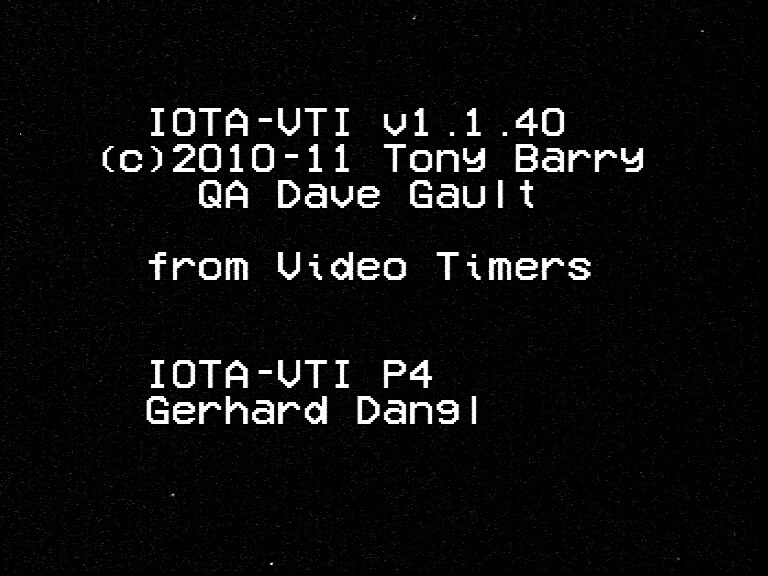 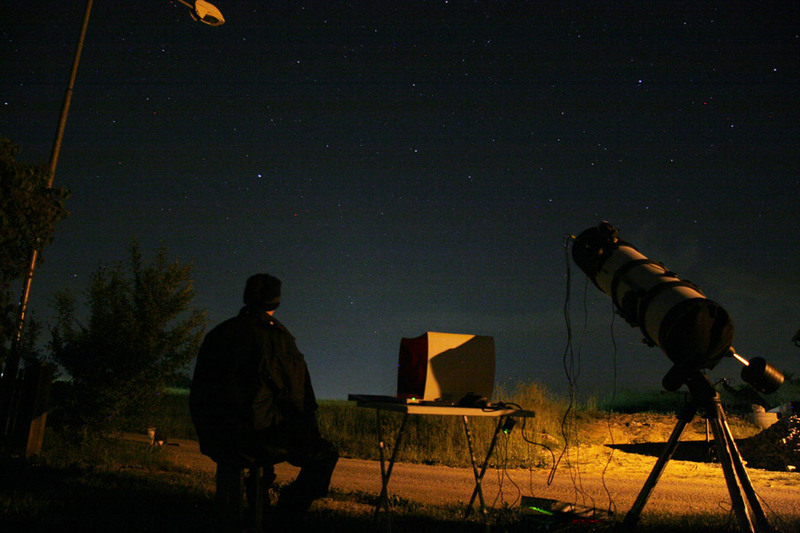 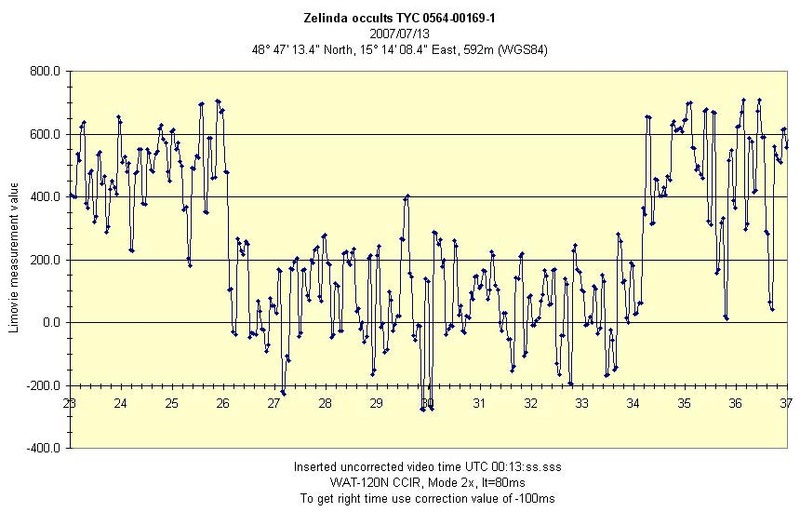 In the International Occultation Timing Association - IOTA many observers worldwide, profi astronomers and amateurs, are involved to observe star occultations by minor planets, or by planets with their moons or by the Earthmoon accurately and to collect the results via internet. 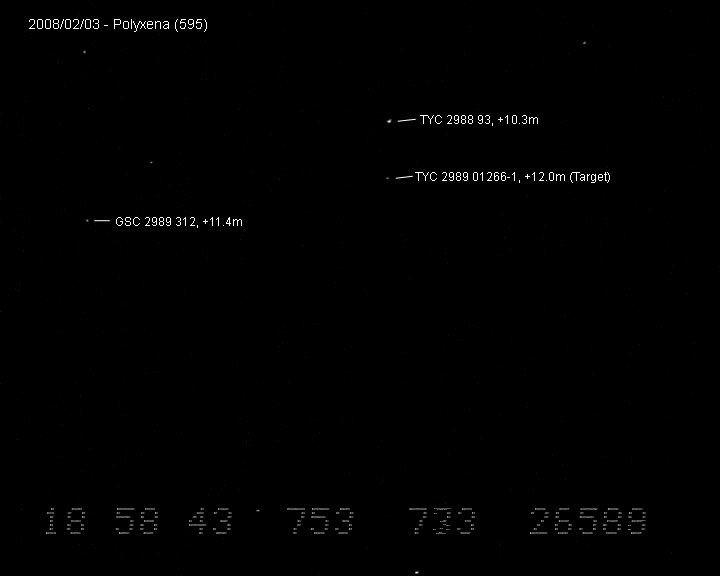 Thus very often informations about a minor planet can be upgraded without the need of an expensive and time consuming mission with a spacecraft. 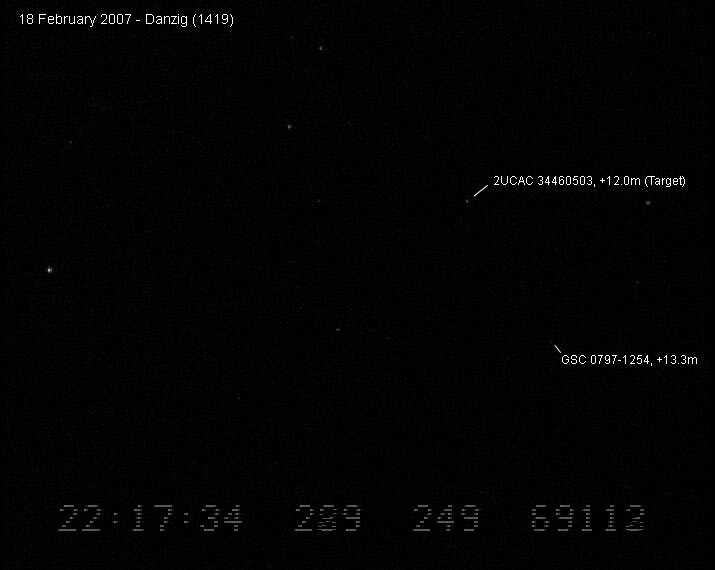 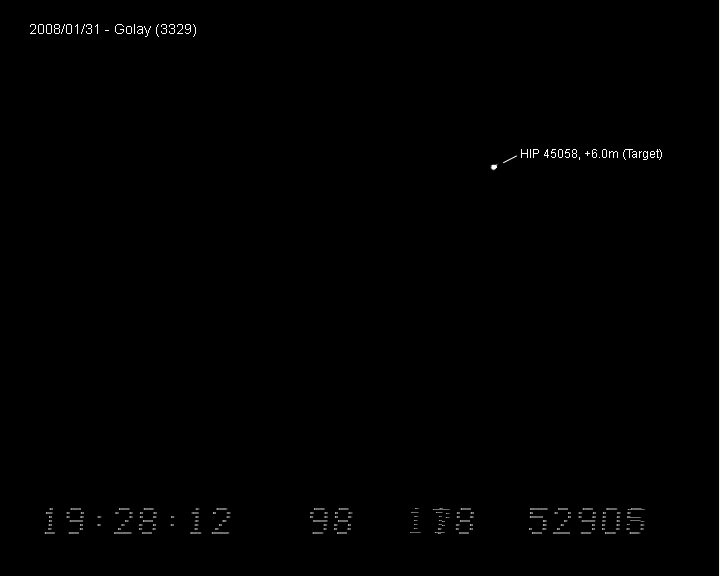 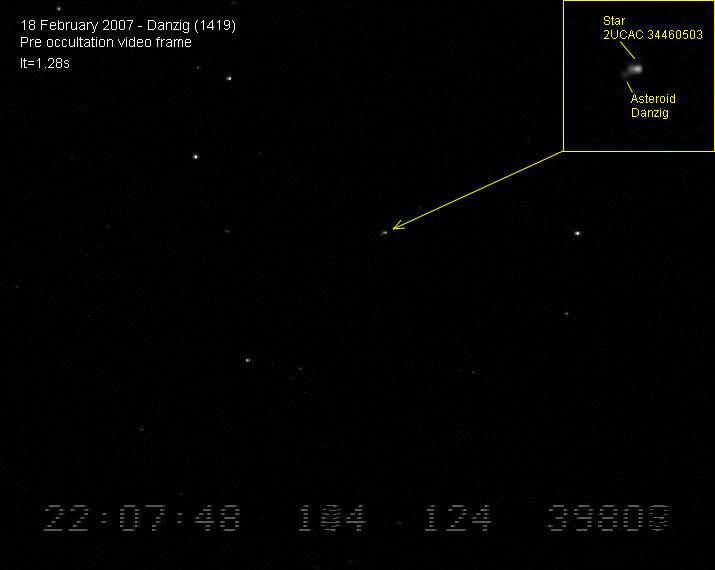 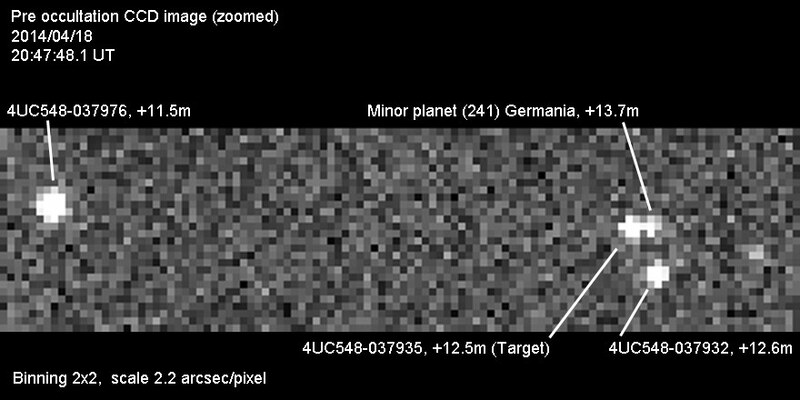 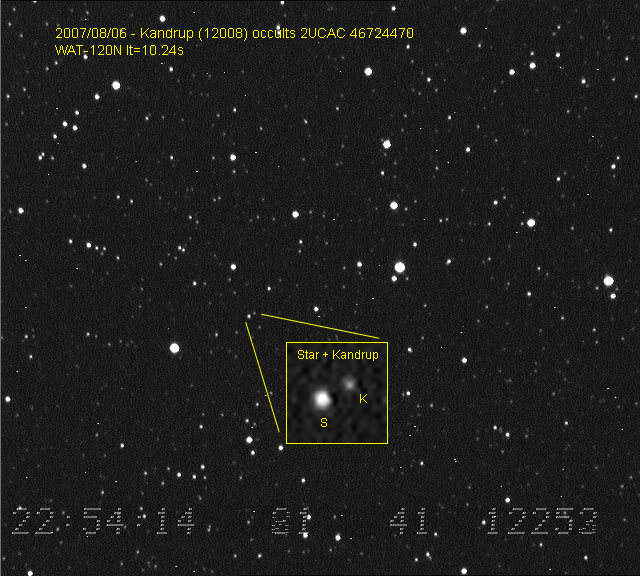 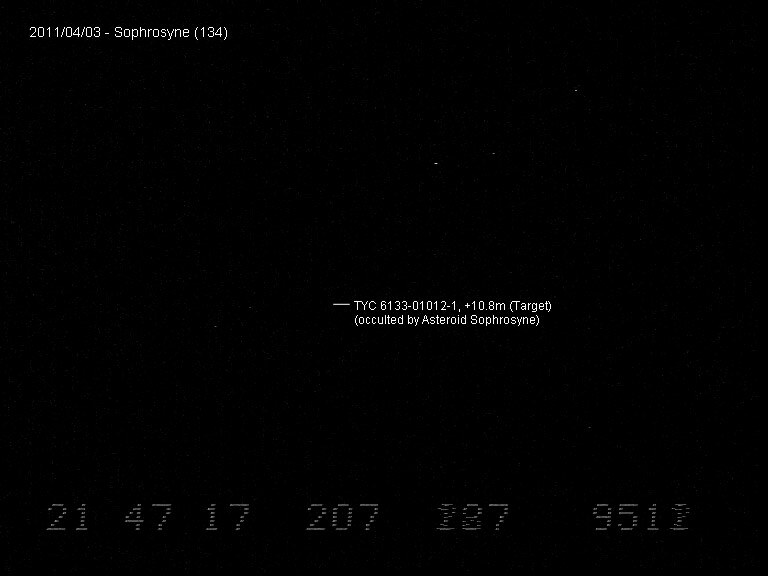 A determination of the body shape of this minor planets as well as the discovery of satellites is possible from earth by a sufficient number of observations with good separated observer positions. 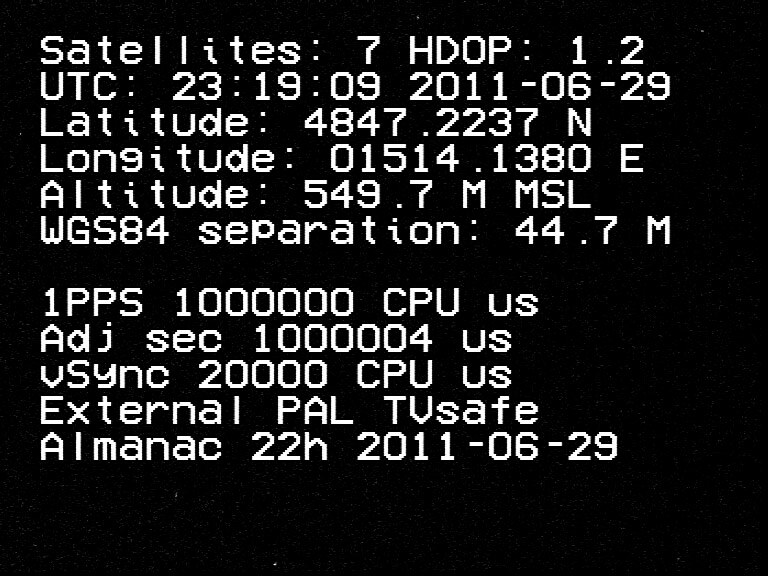 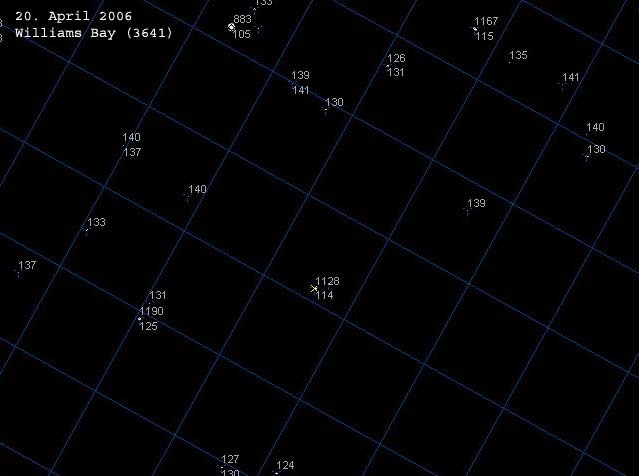 Also the current orbital elements of an asteroid can be determined very accurate in this way. 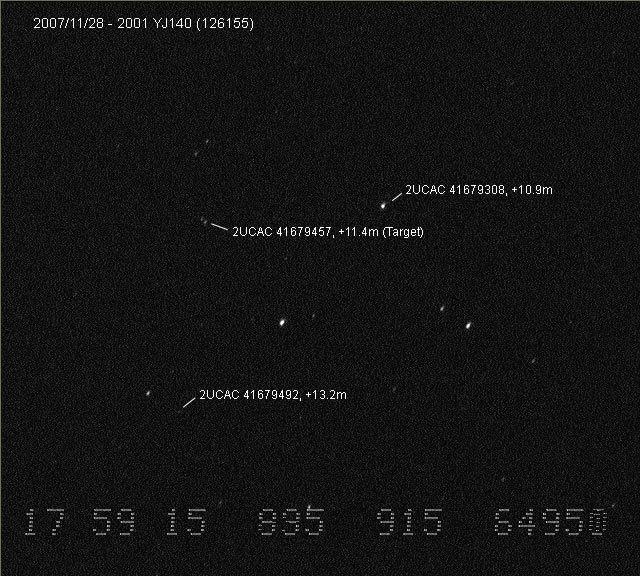 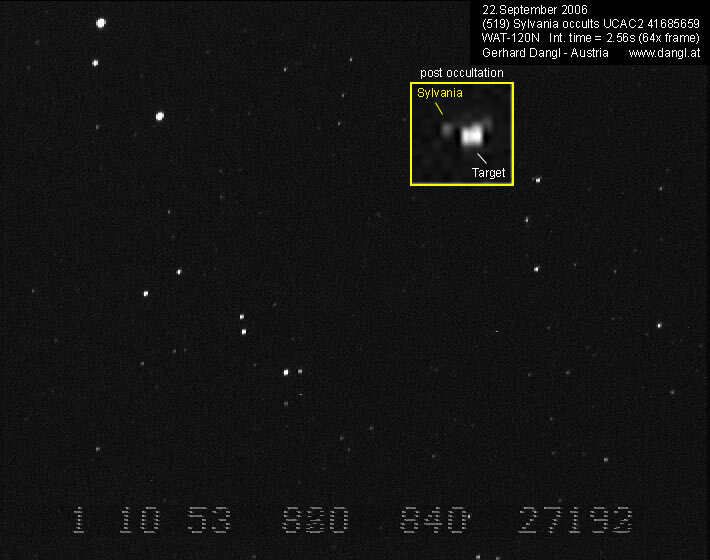 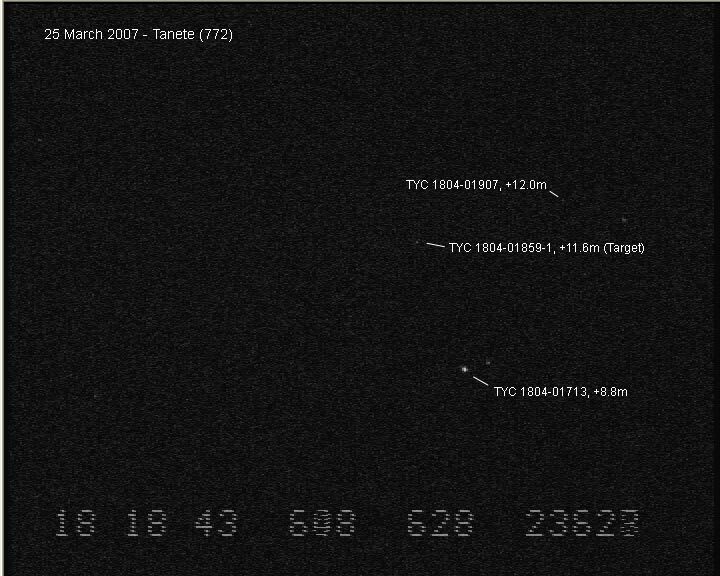 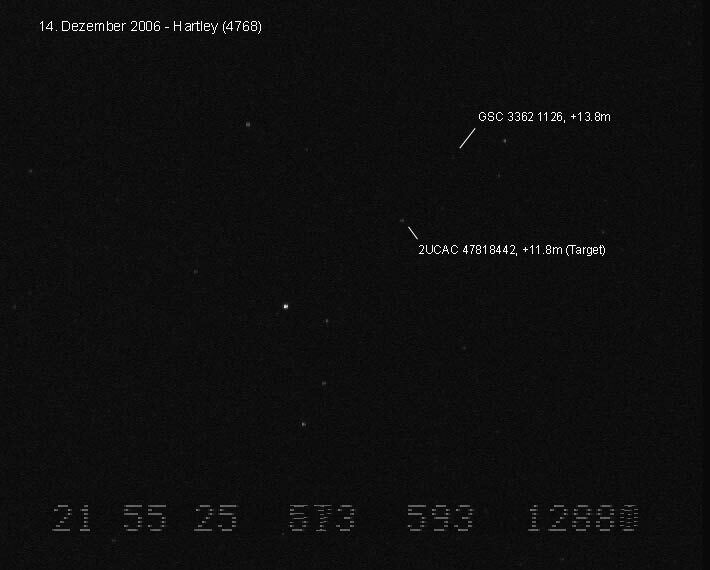 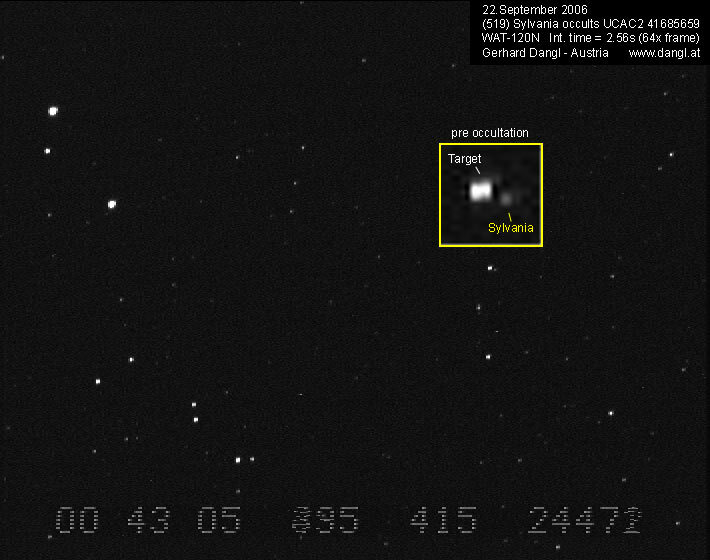 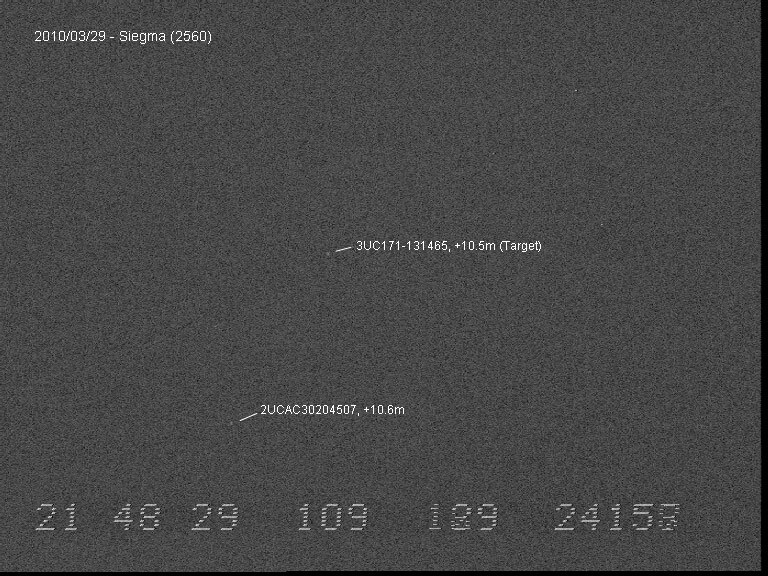 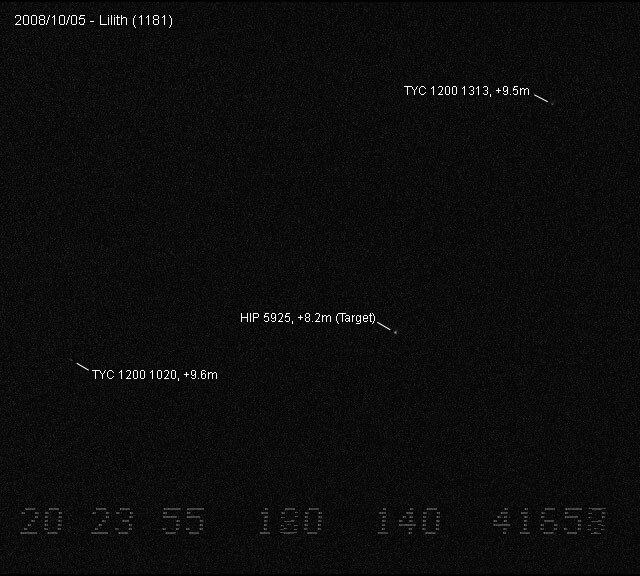 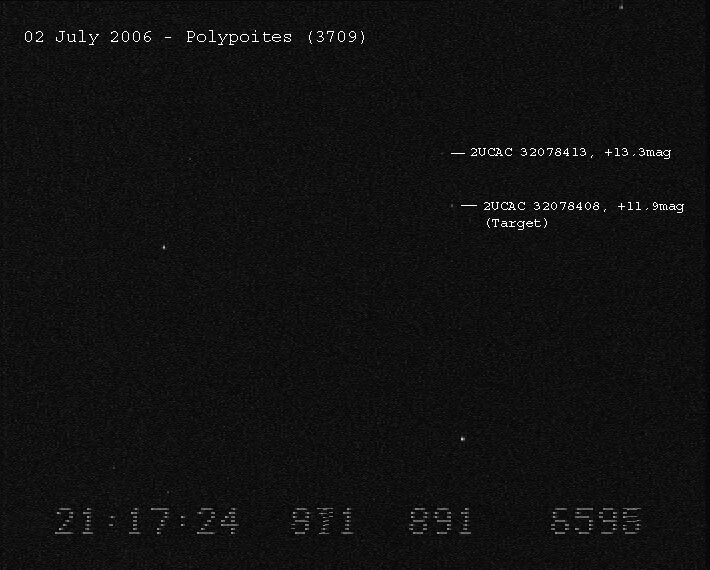 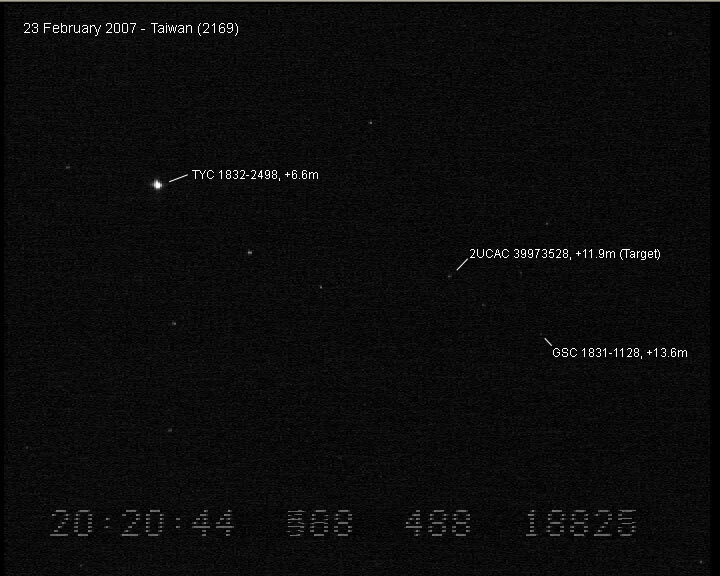 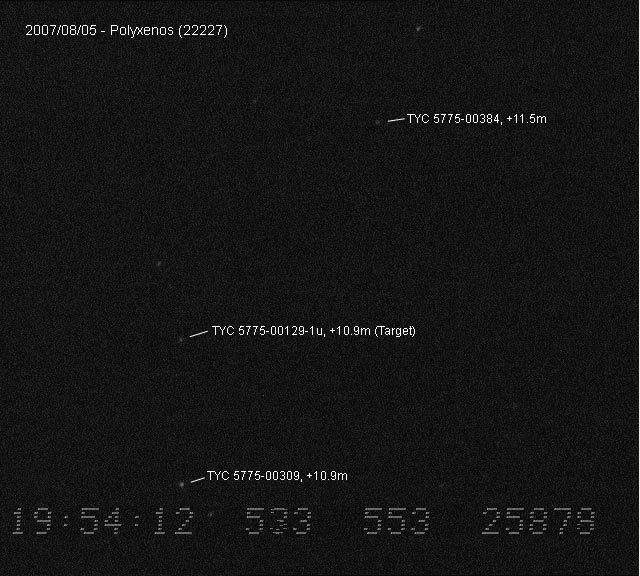 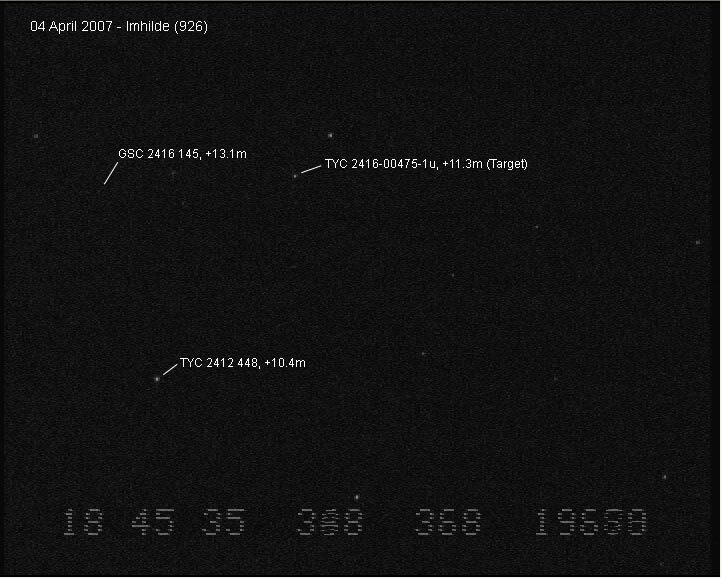 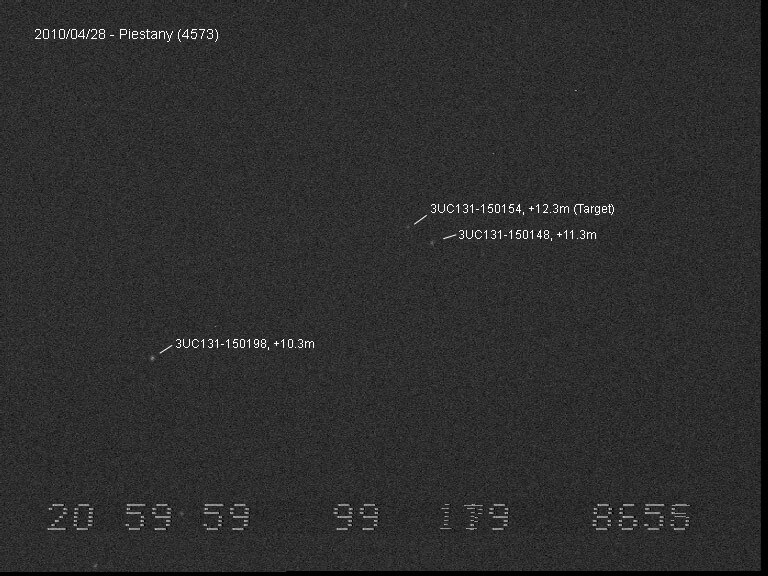 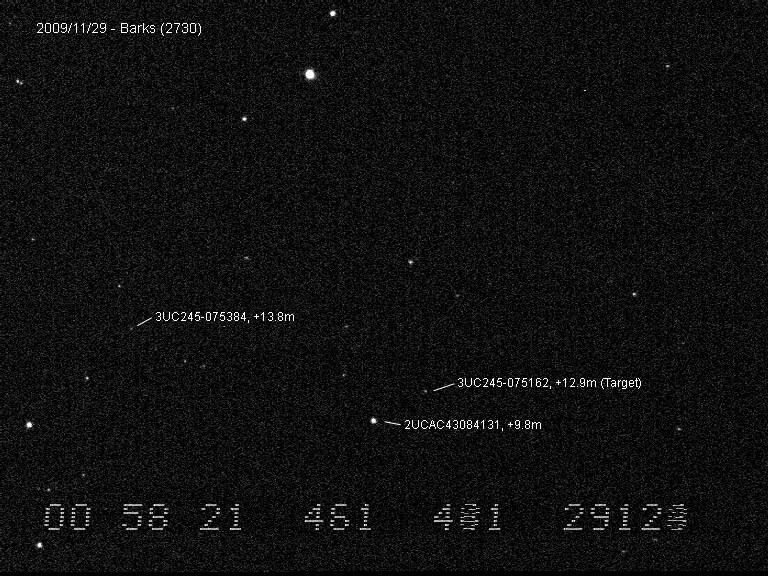 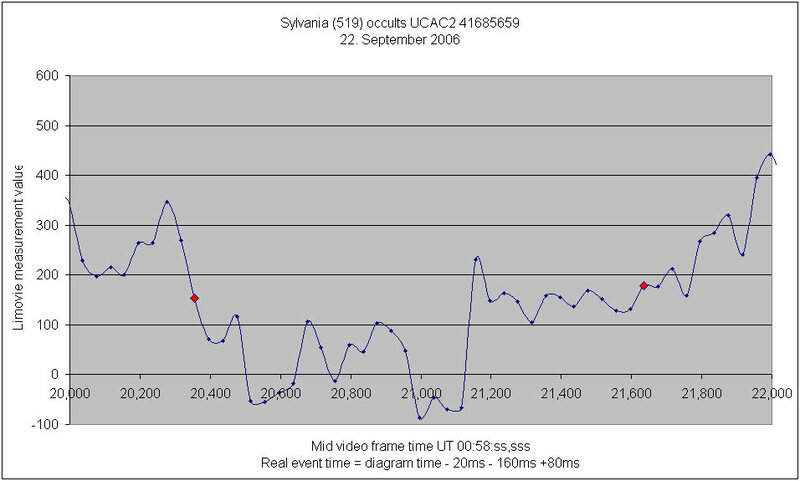 For data evaluation reports about a negative occultation are important in the same manner as the mostly smaller number of positve occultation reports. 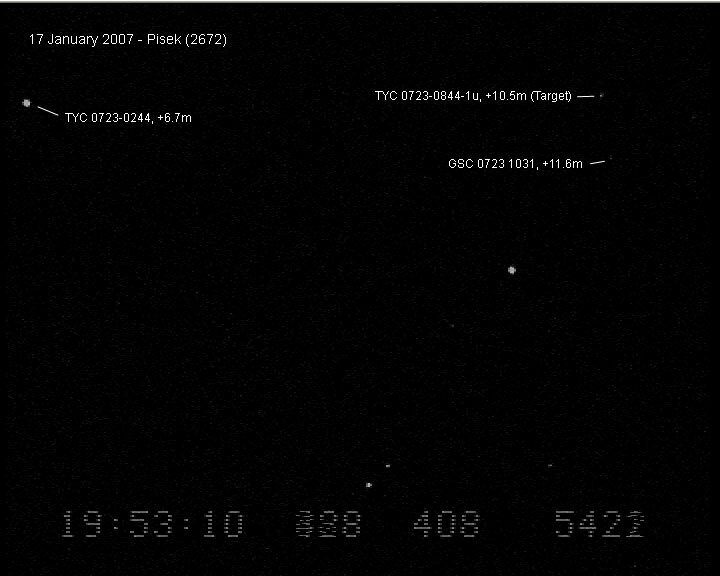 Since August 2003 I am participating in this observation programs. 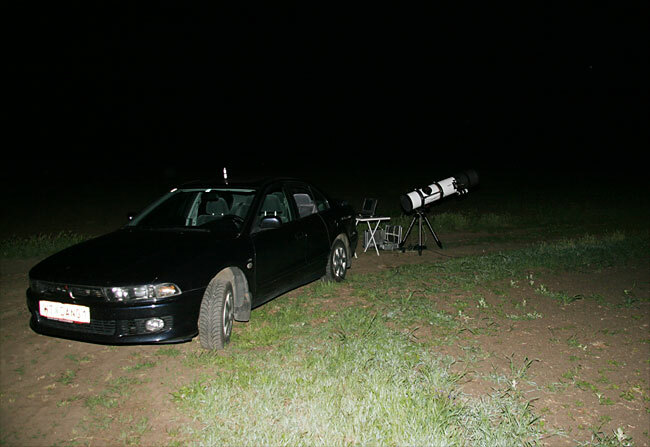 Of course it is only possible on good weather conditions and if my time allows. 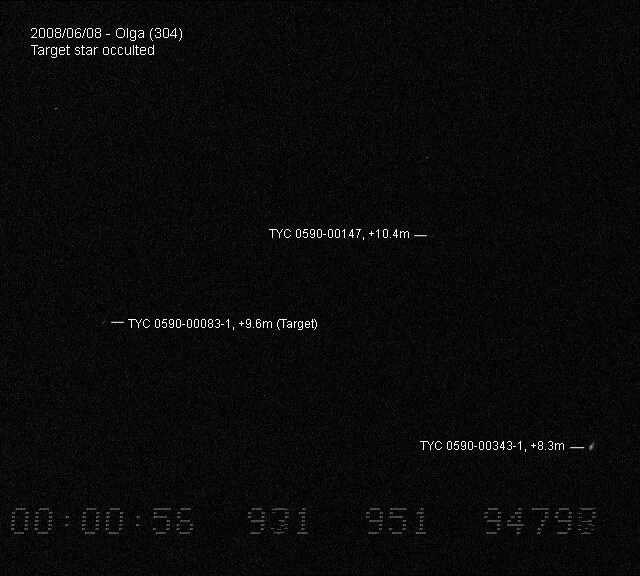 Sadly many observations are disturbed in the important point of time by clouds or by dense fog. 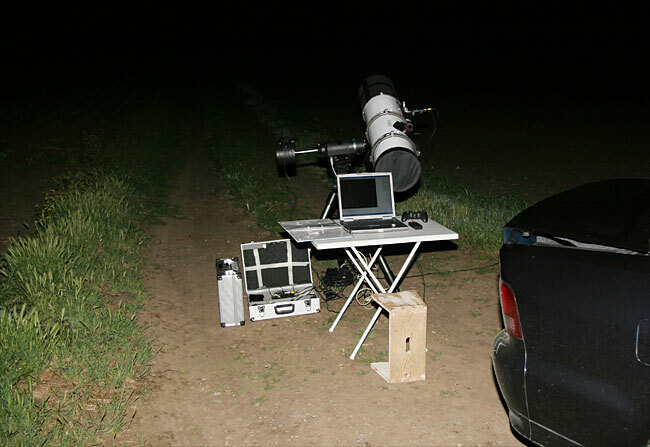 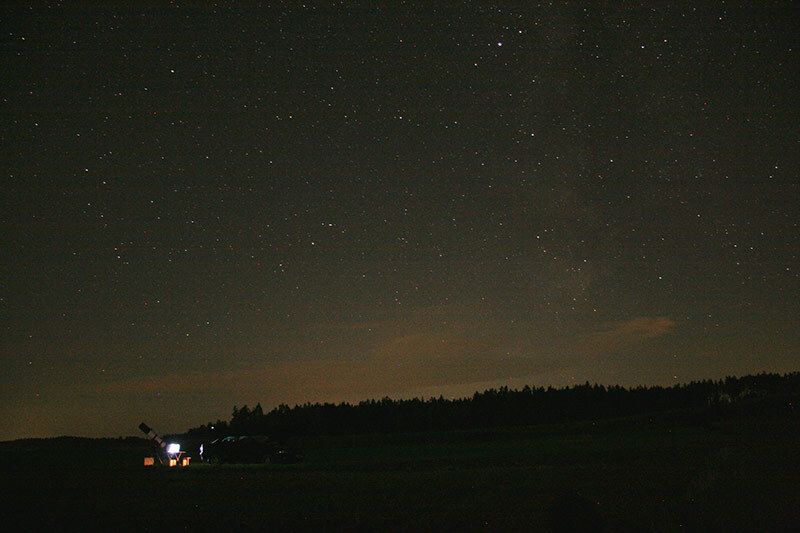 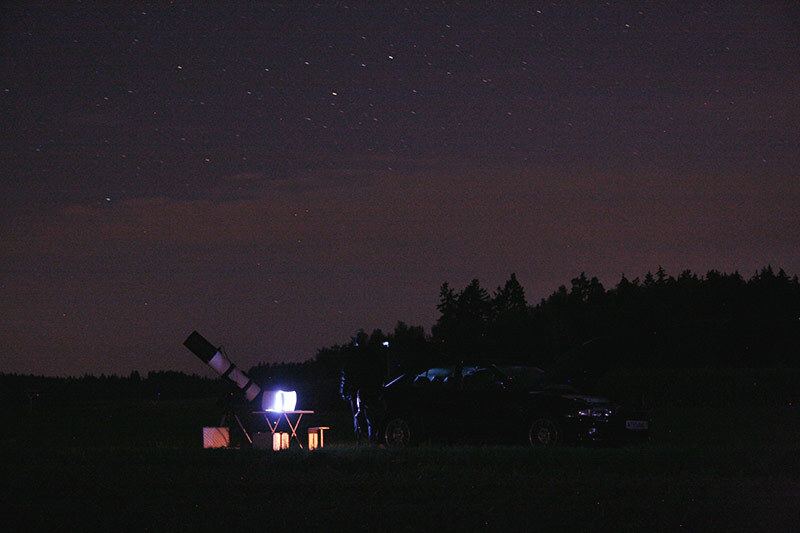 Then no report can be created and the necessary equipment with a mass of about 100 kilograms was just moved for astronomy science for some night hours in fresh air. 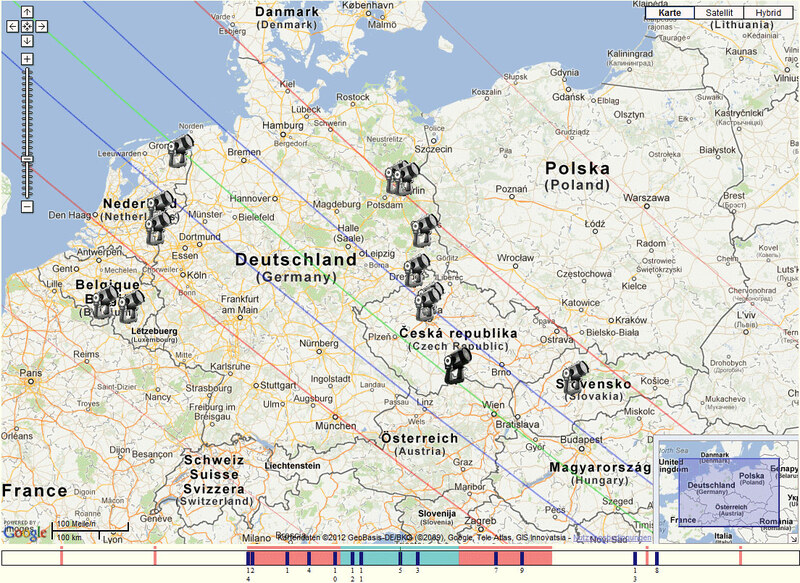 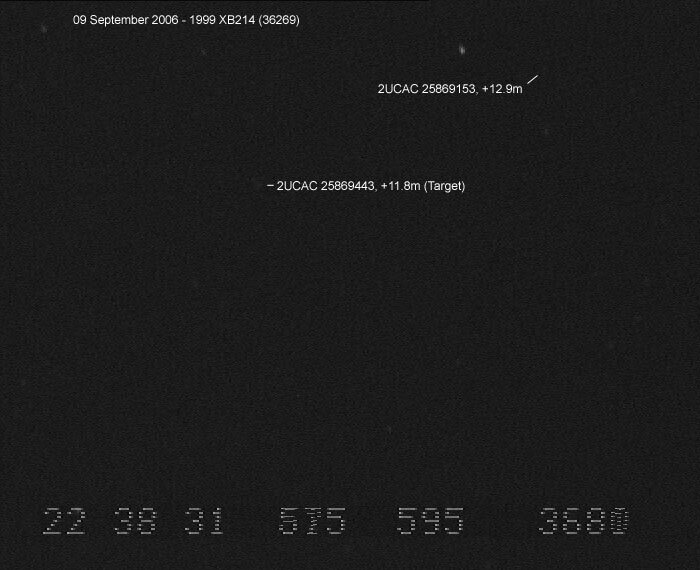 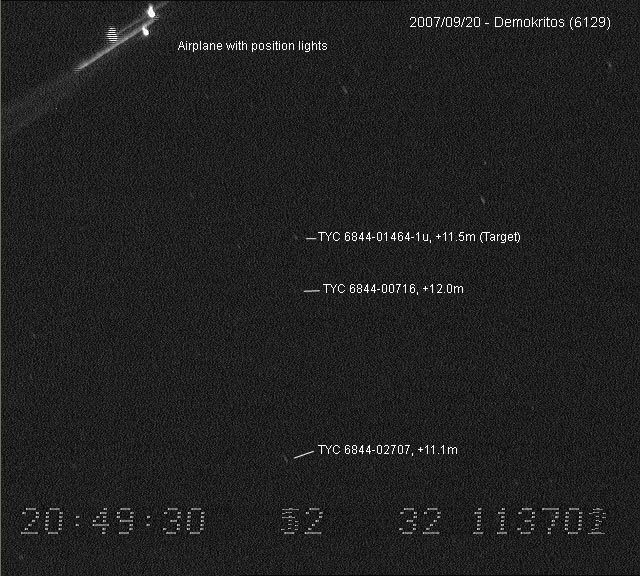 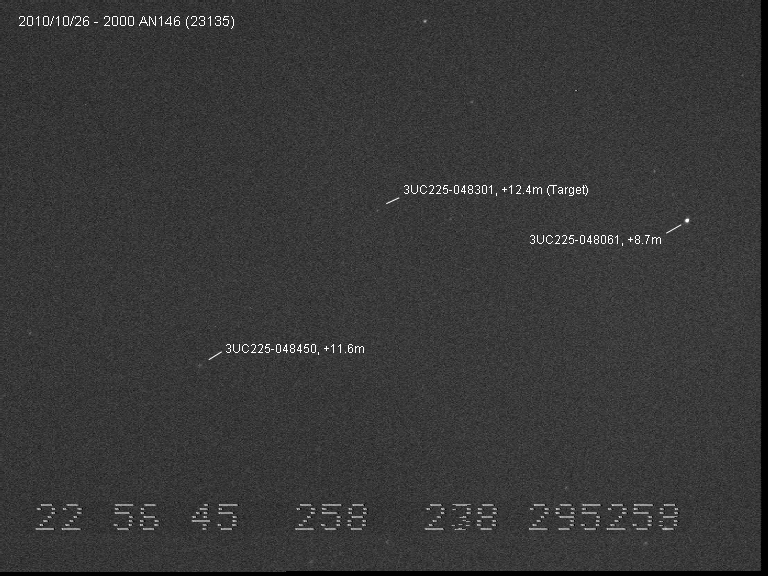 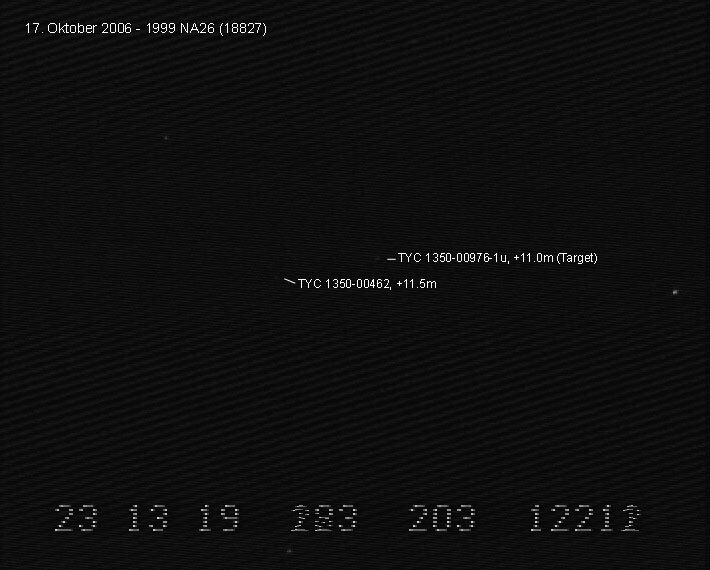 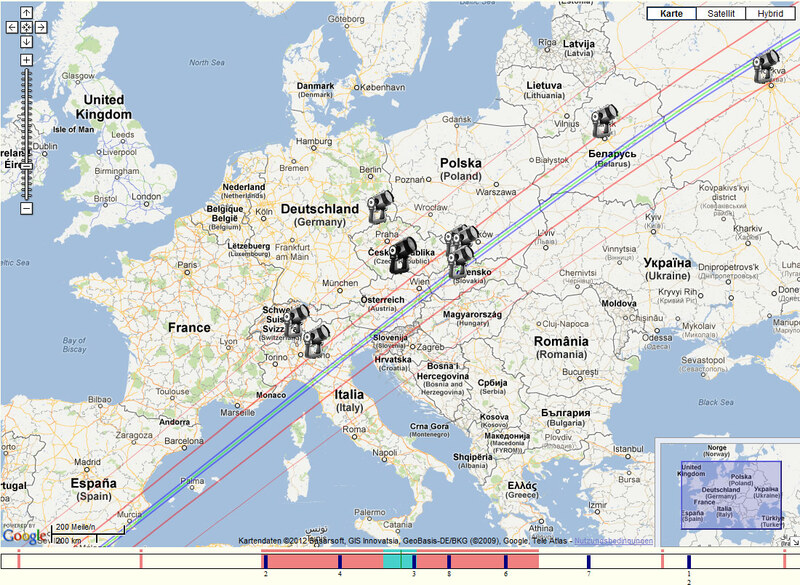 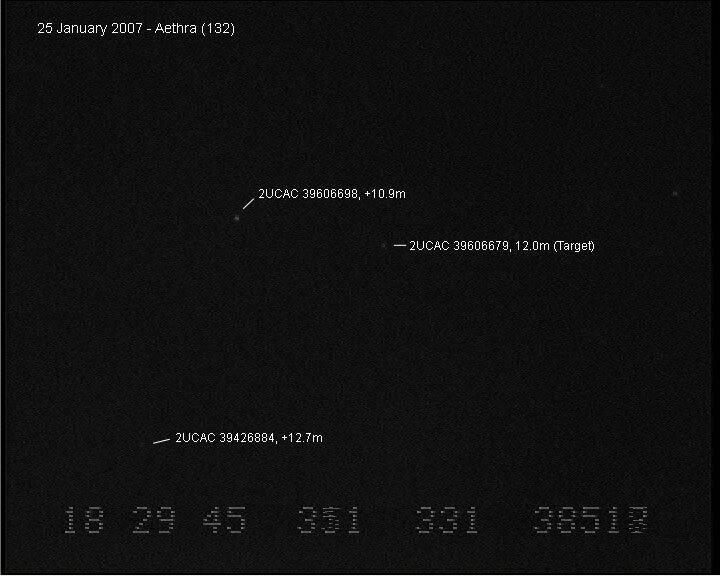 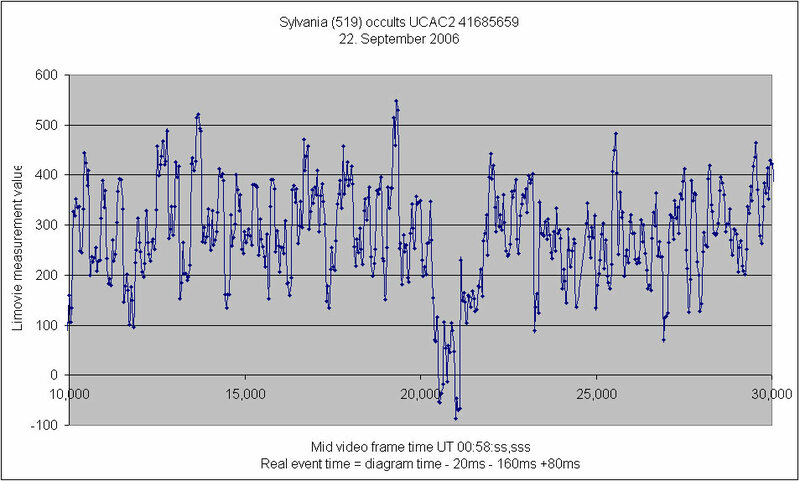 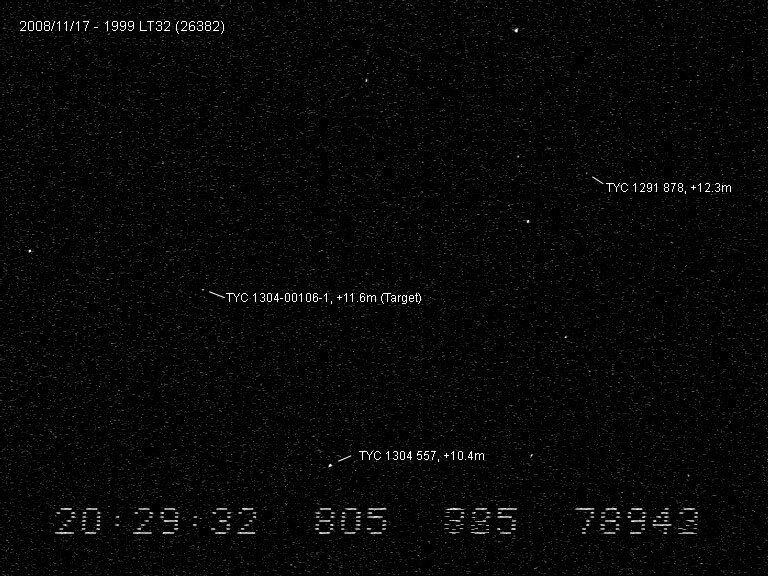 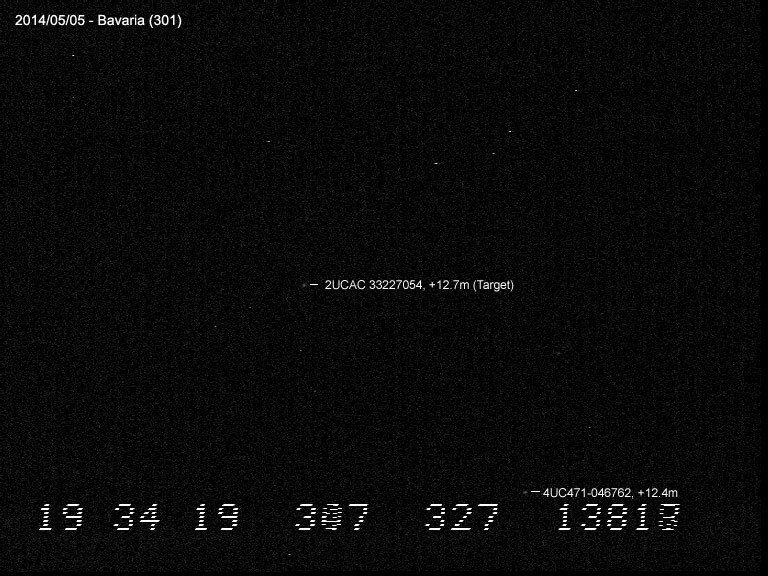 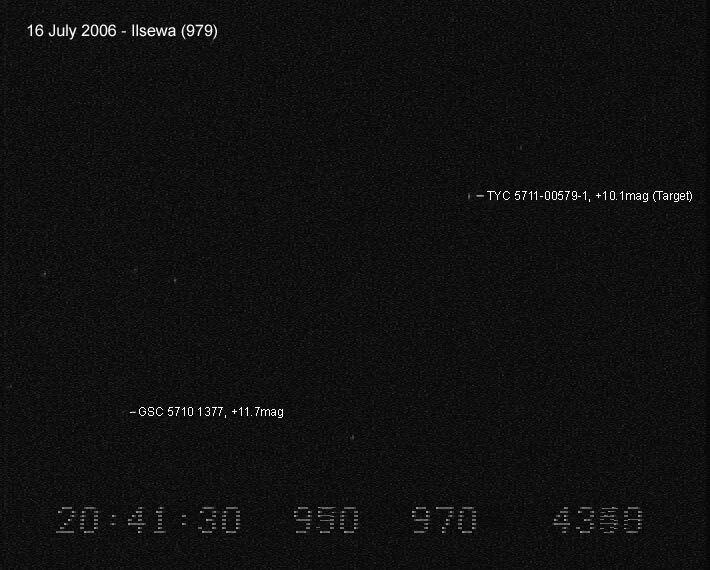 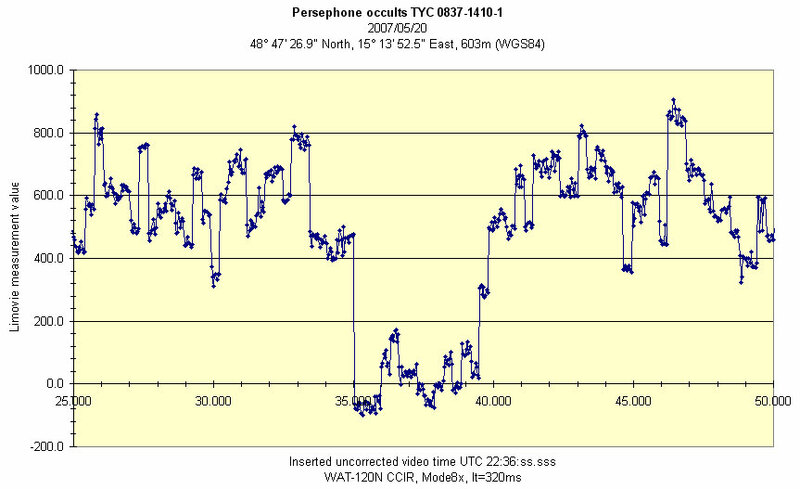 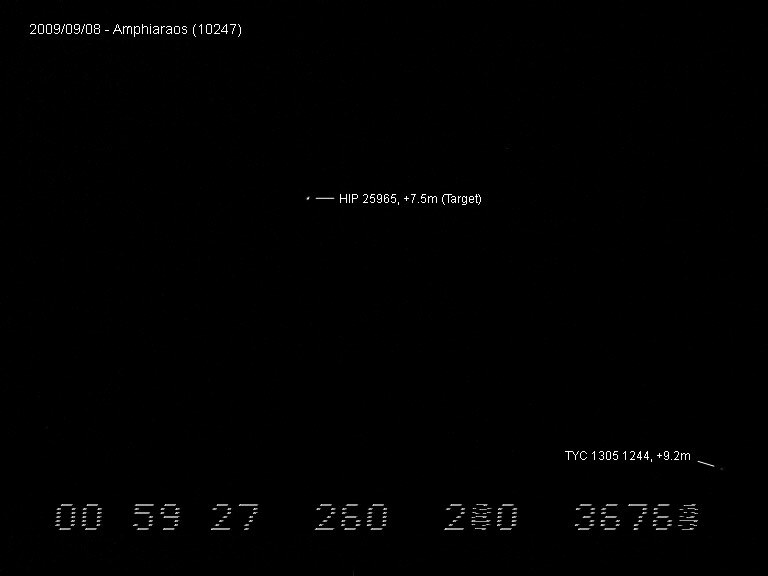 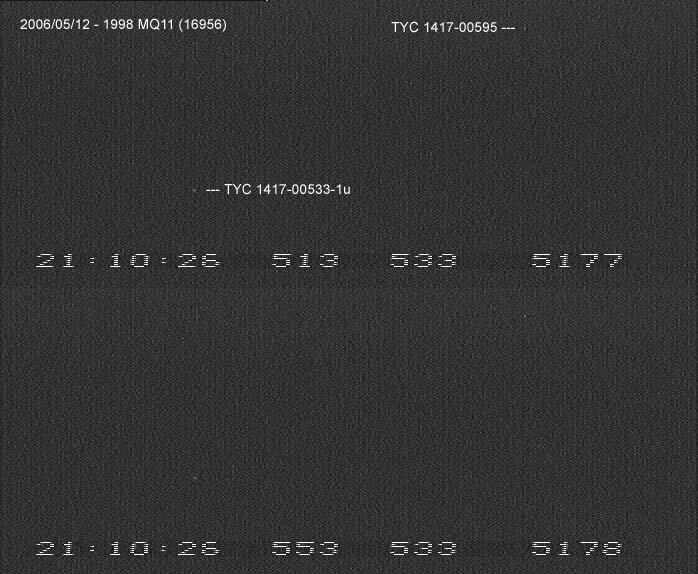 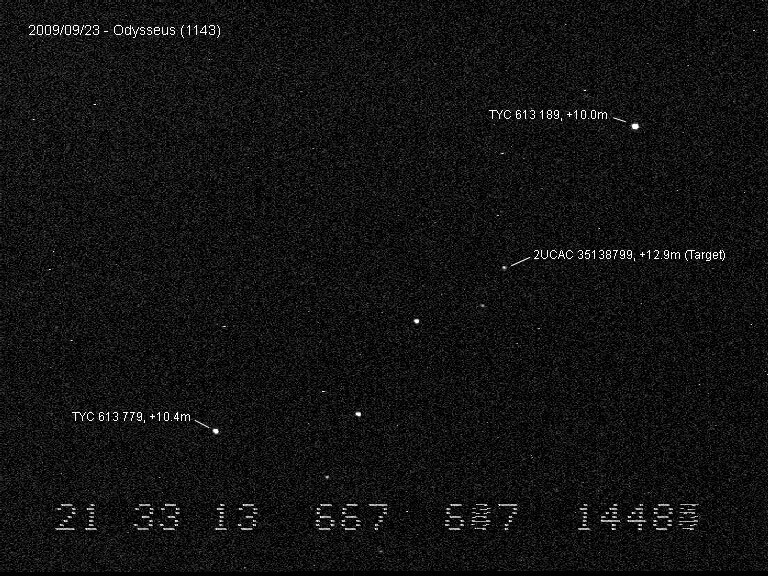 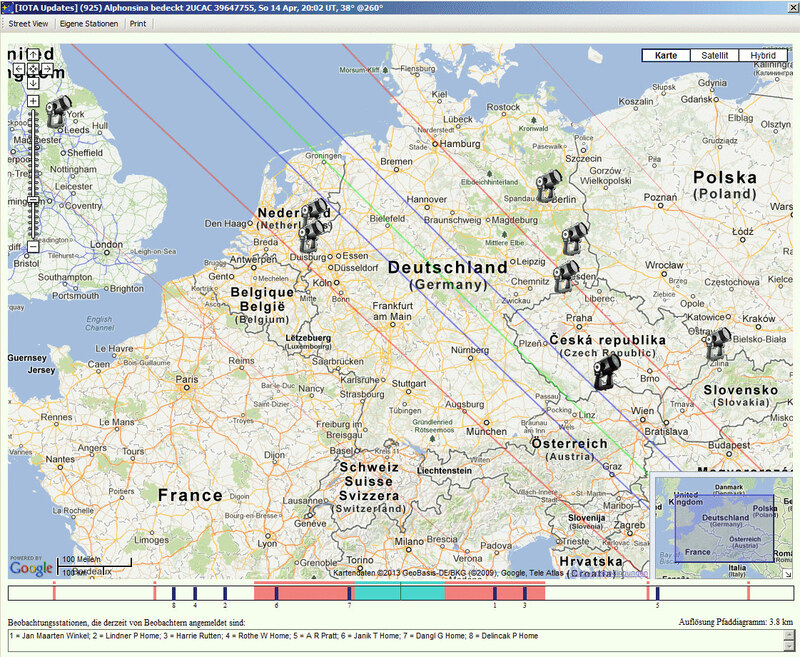 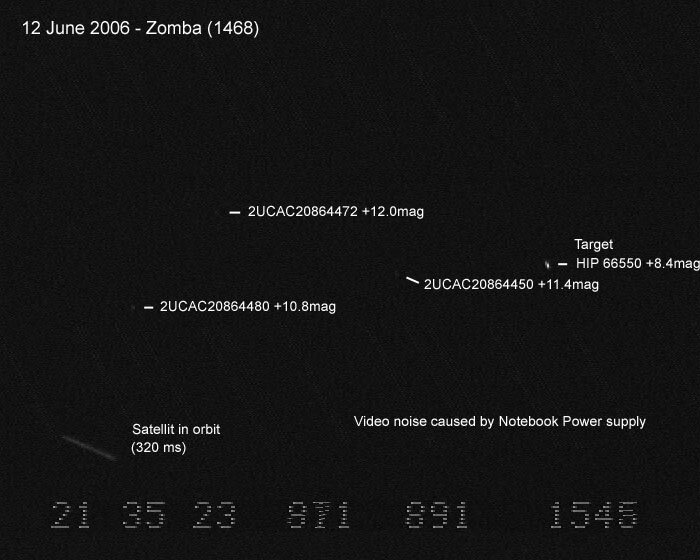 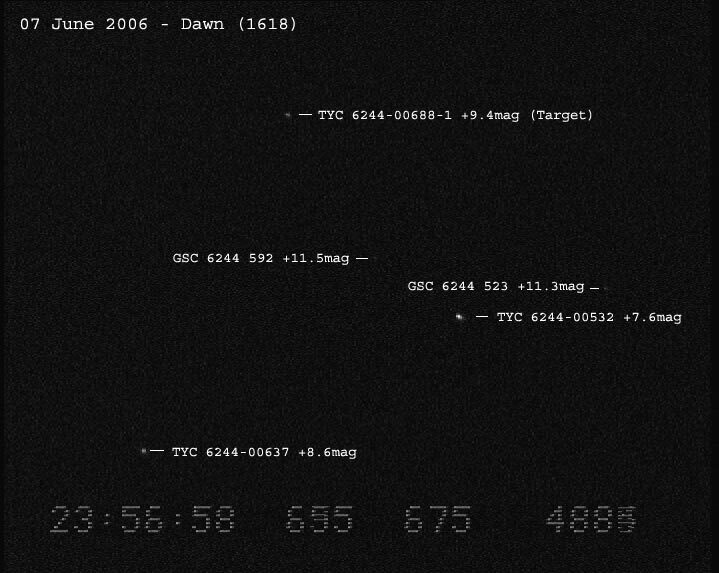 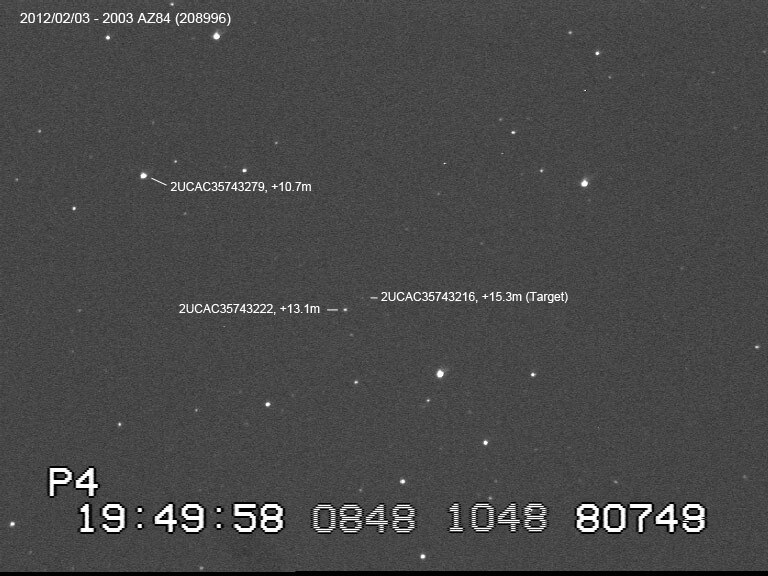 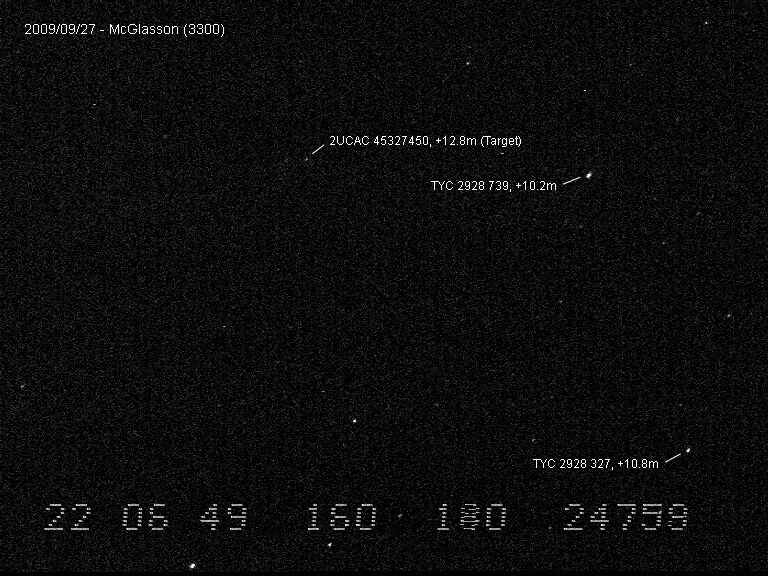 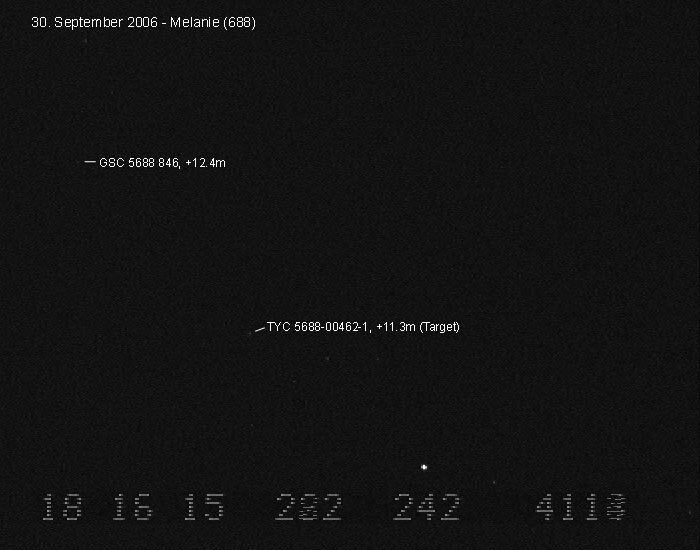 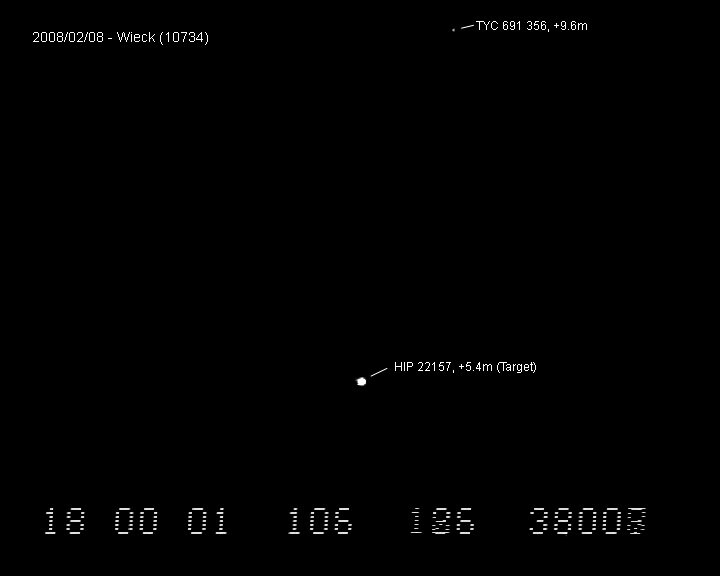 From 08/2003 I was able to make 382 asteroidal occultation observations with 38 events recorded positive. 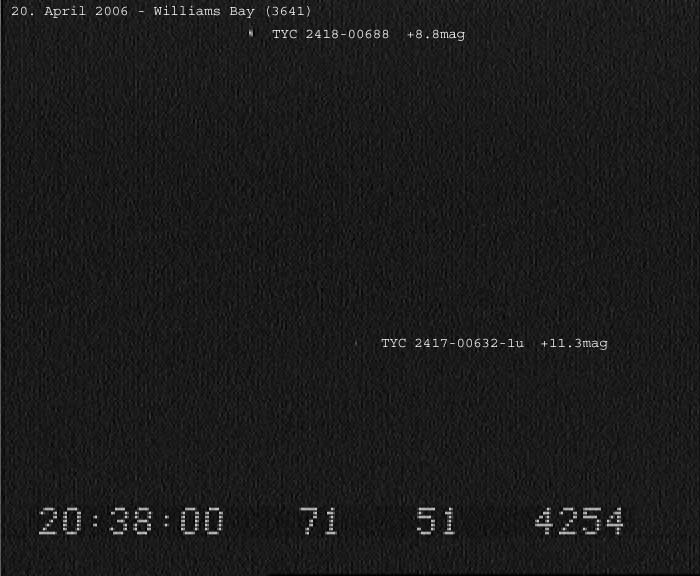 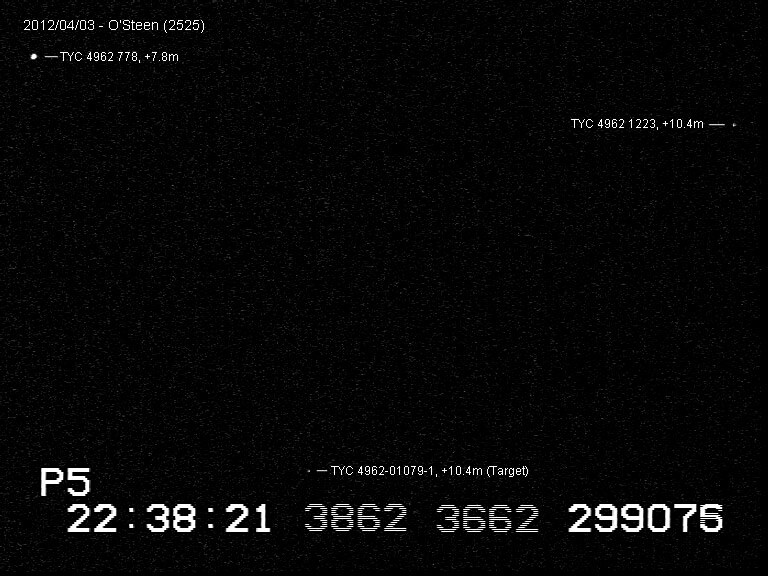 From this 382 reports 373 with a predicted duration of more than a second are listed on www.euraster.net. 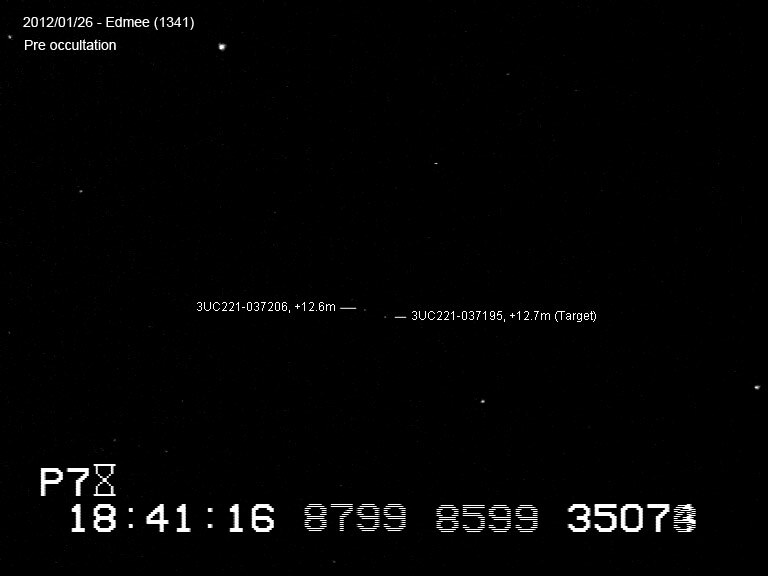 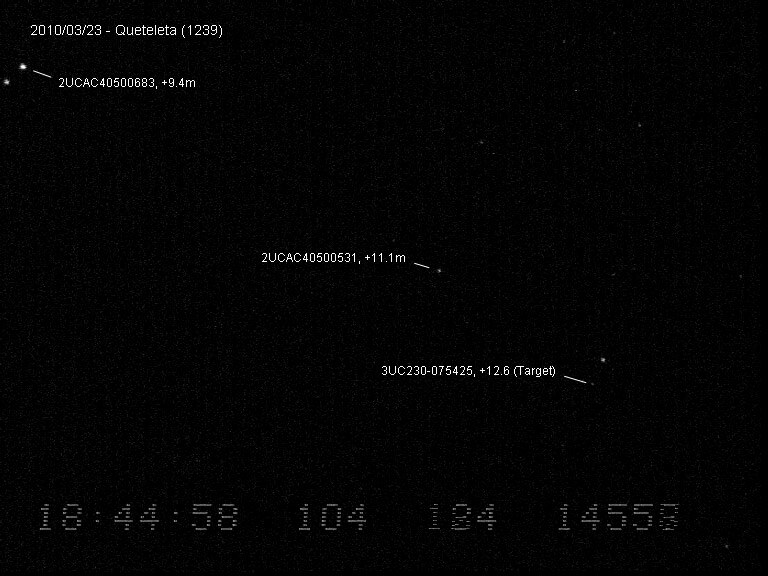 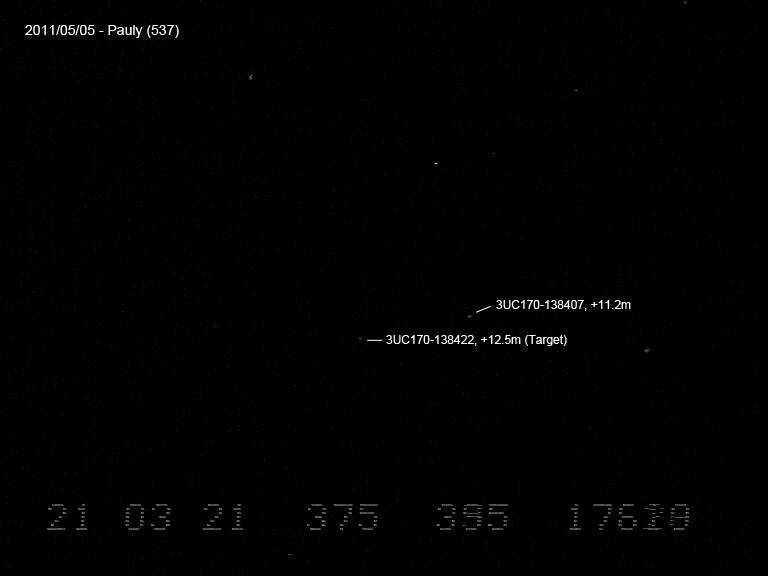 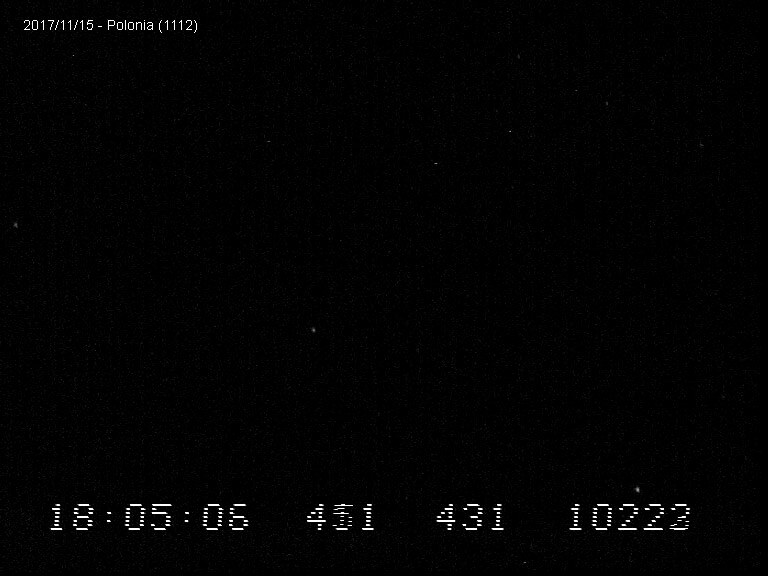 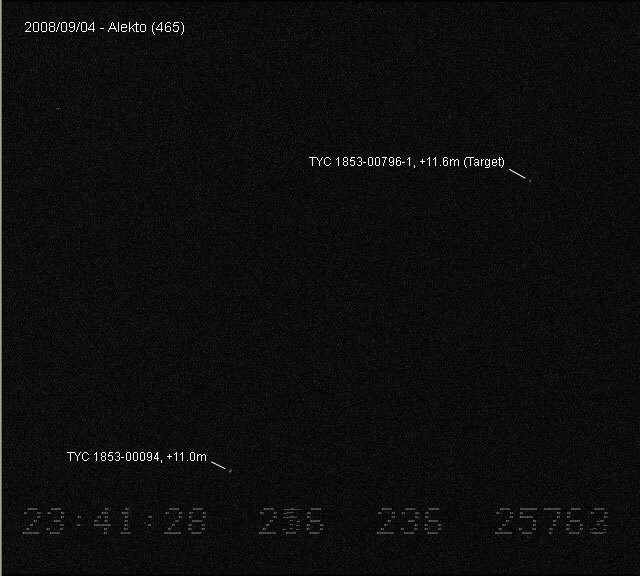 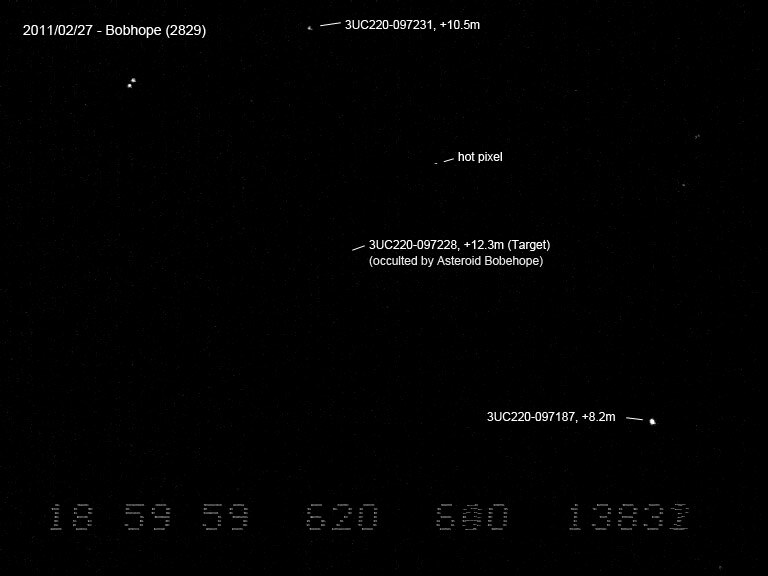 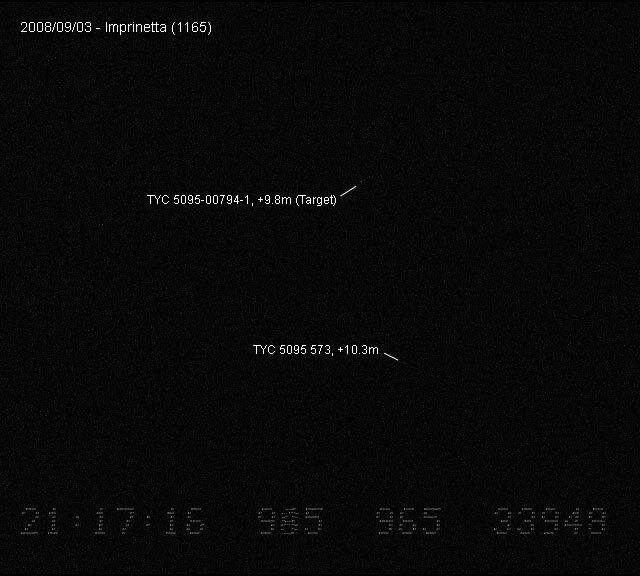 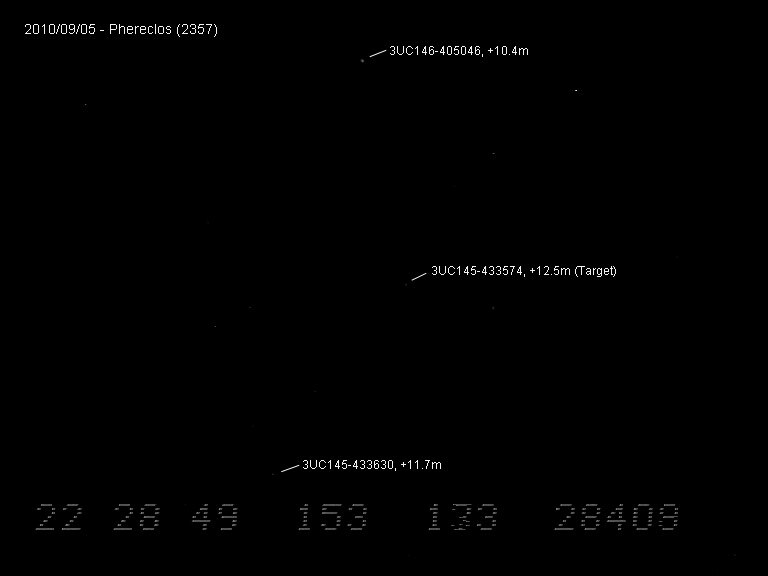 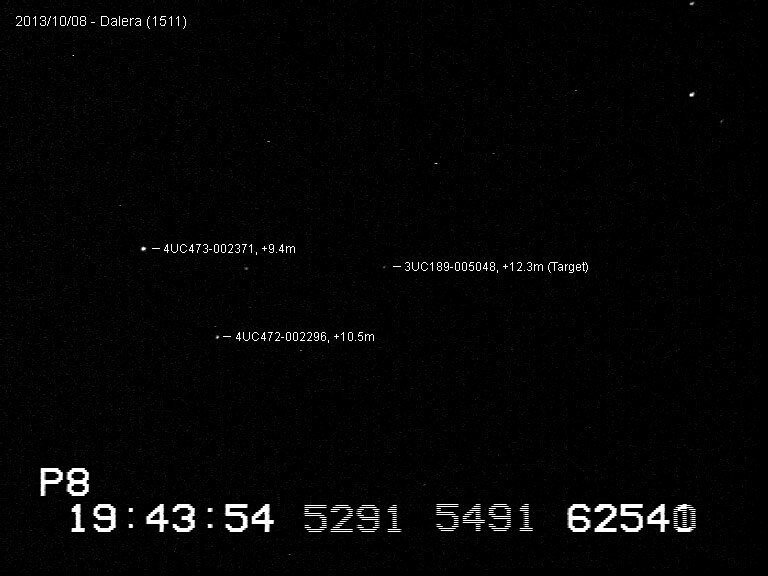 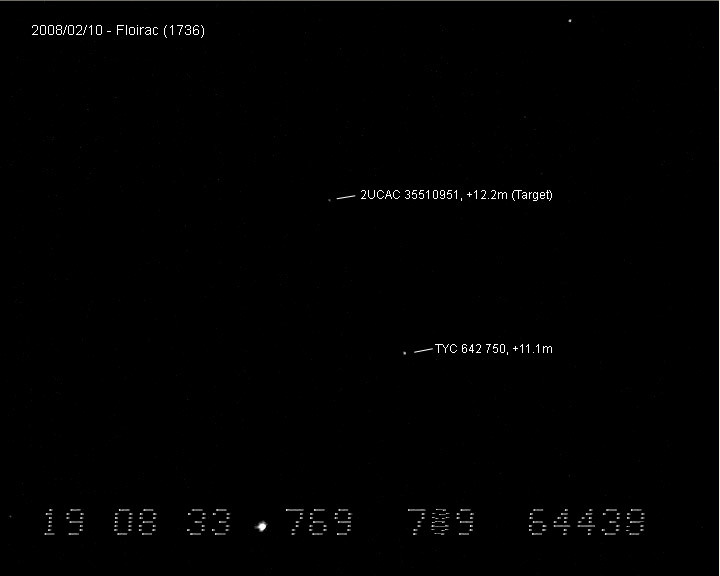 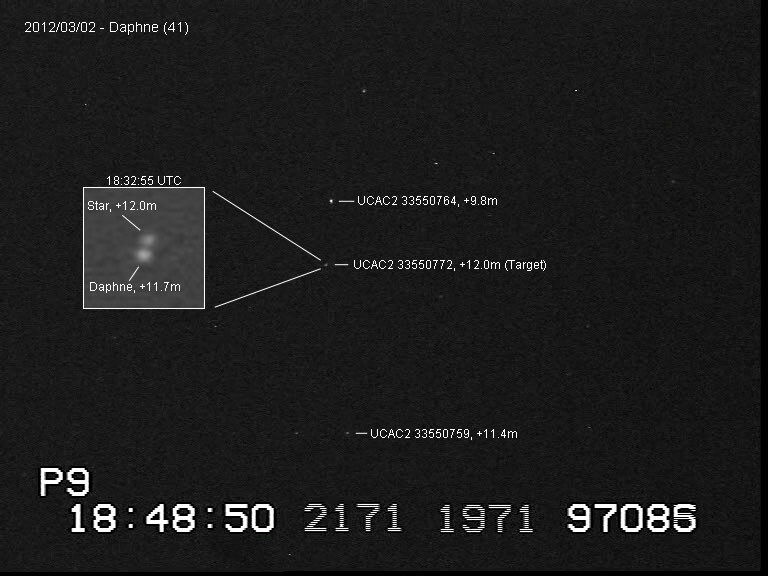 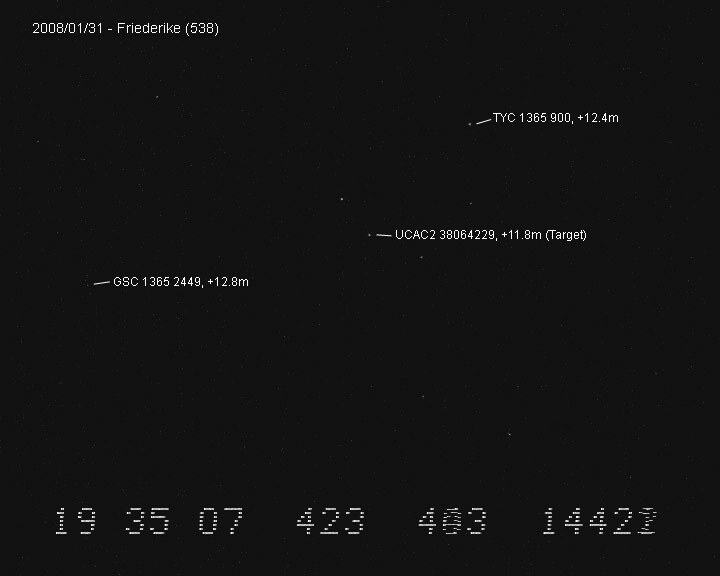 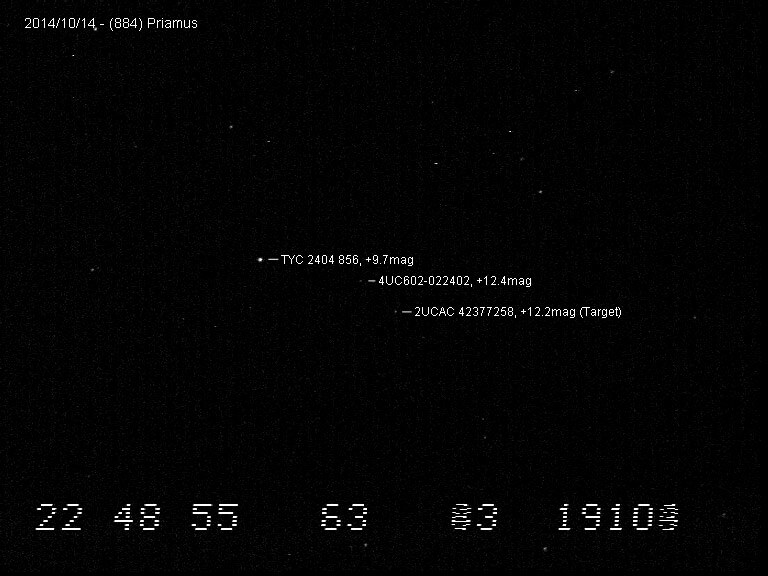 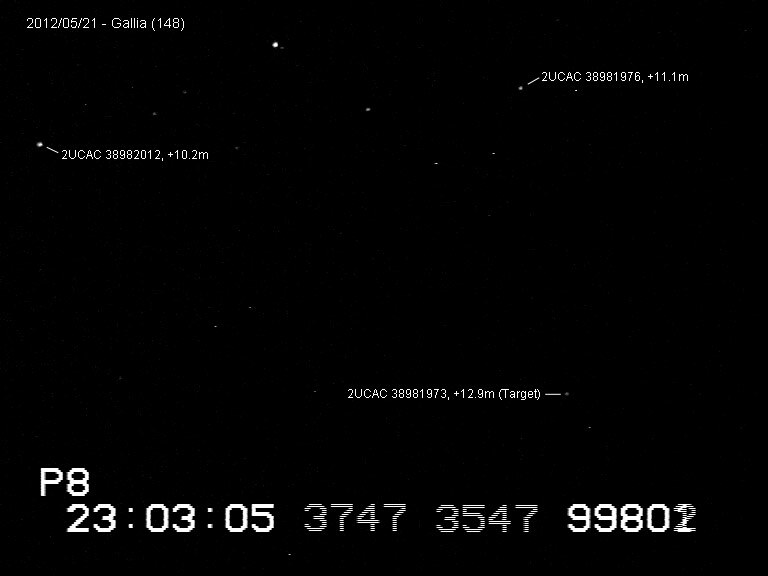 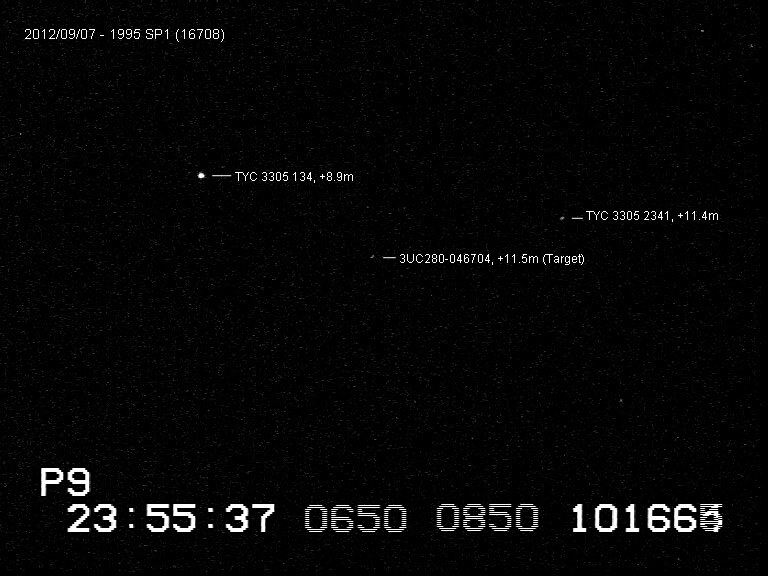 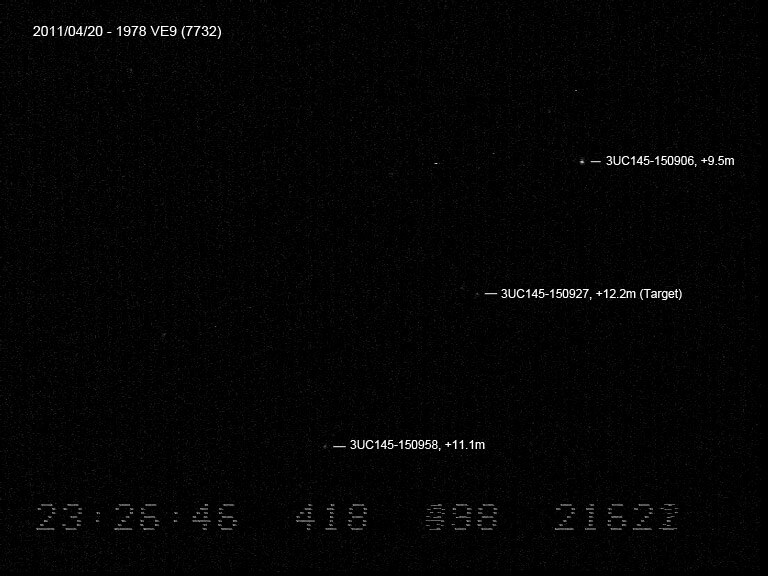 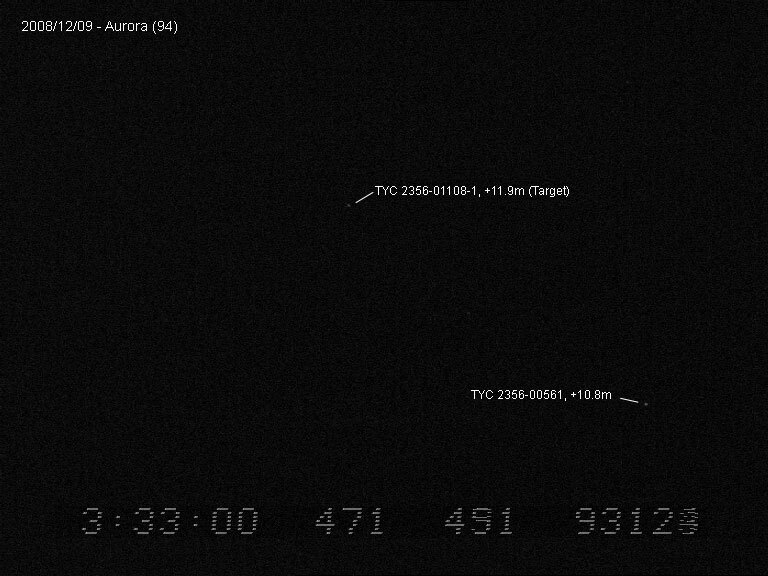 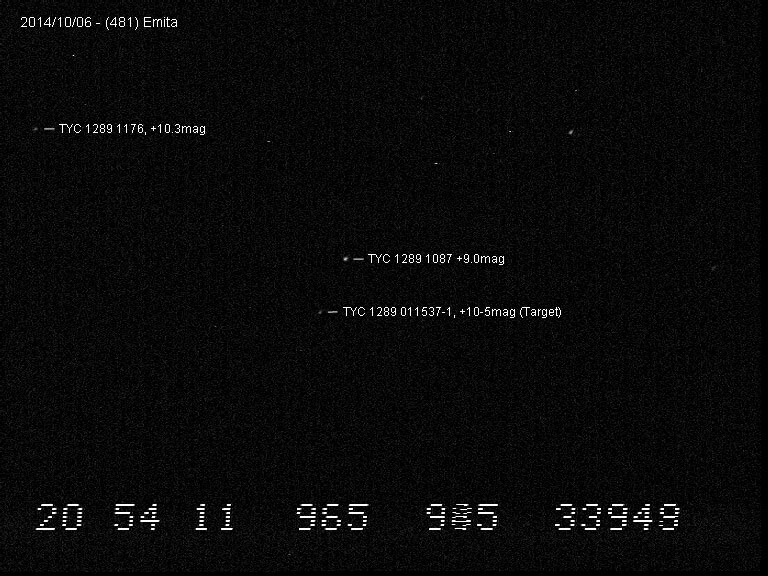 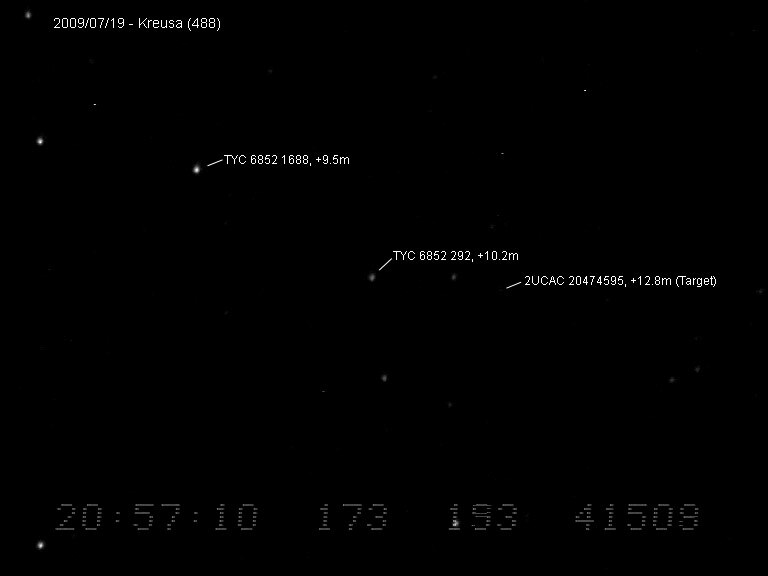 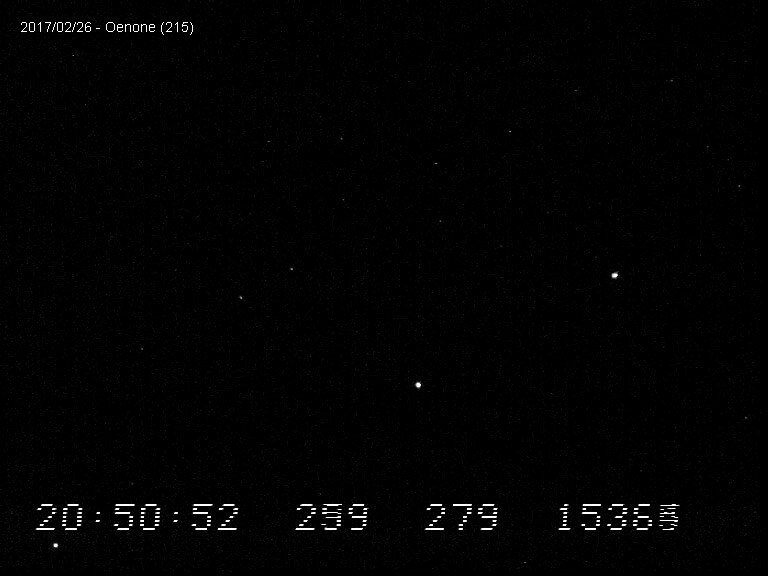 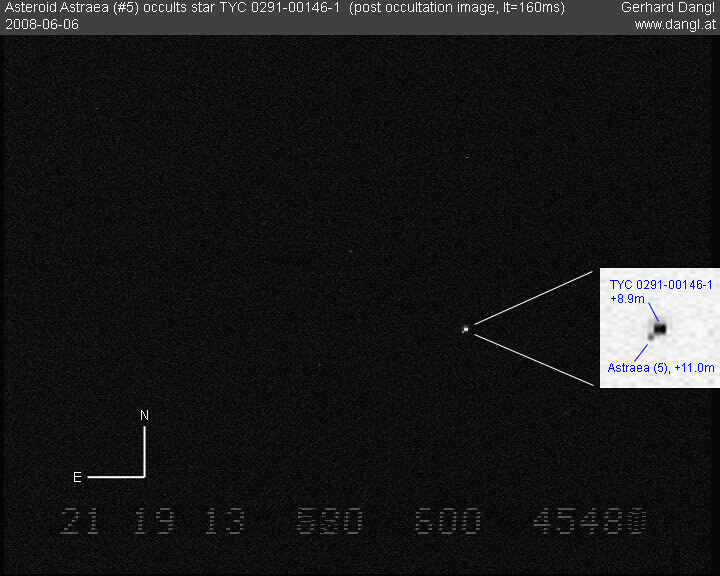 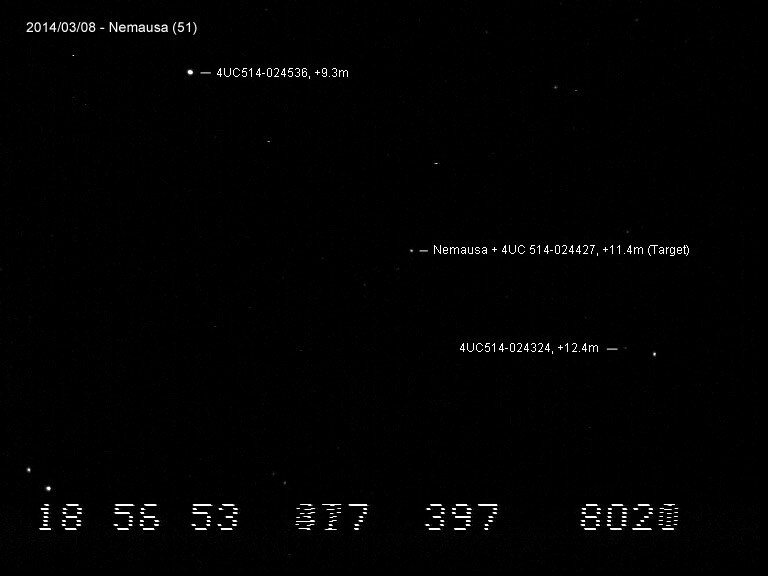 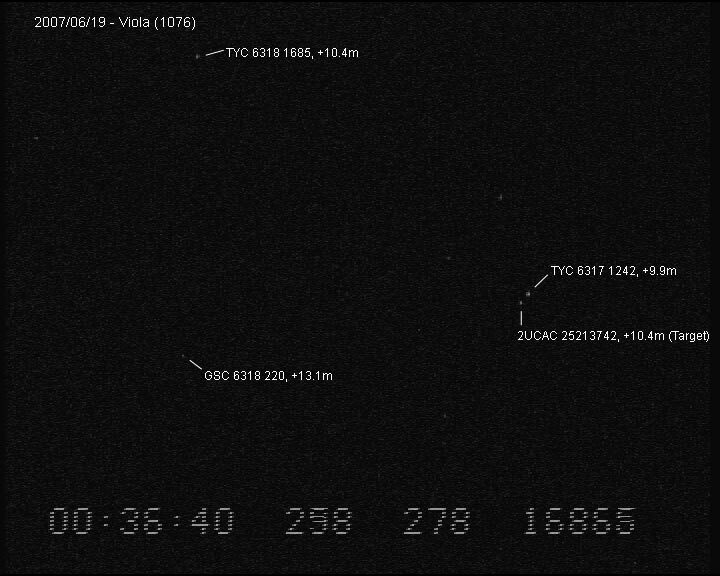 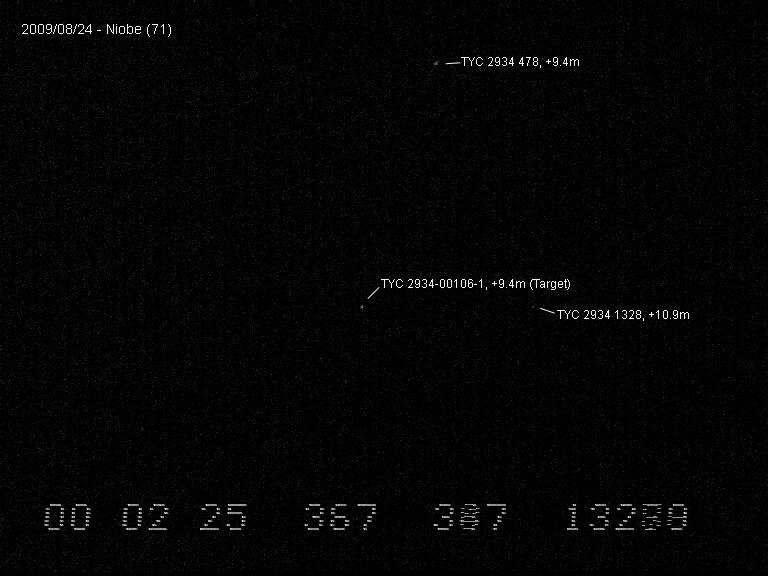 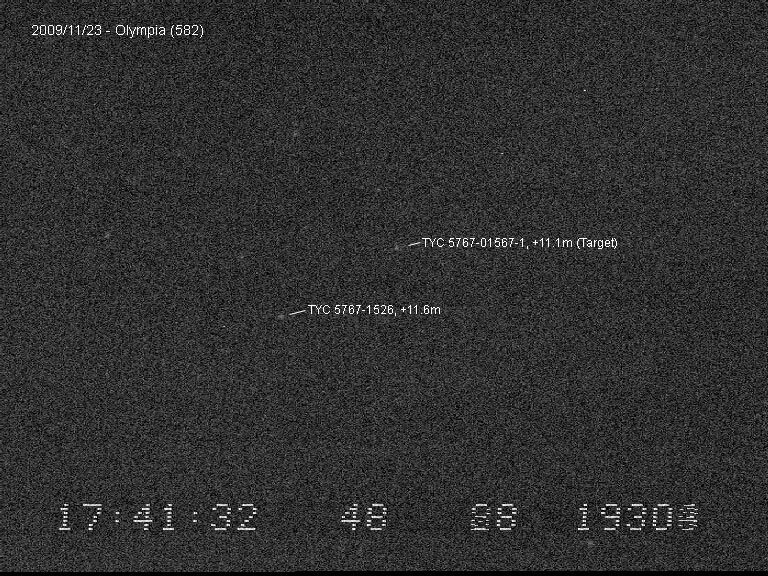 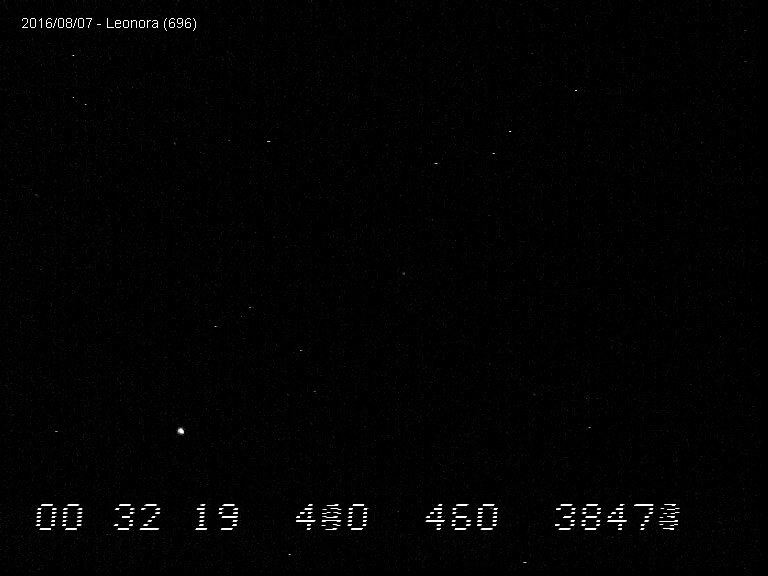 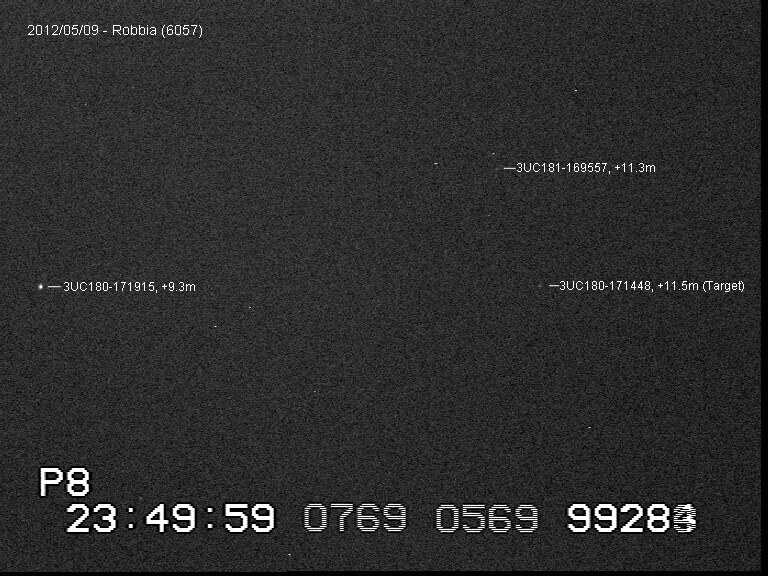 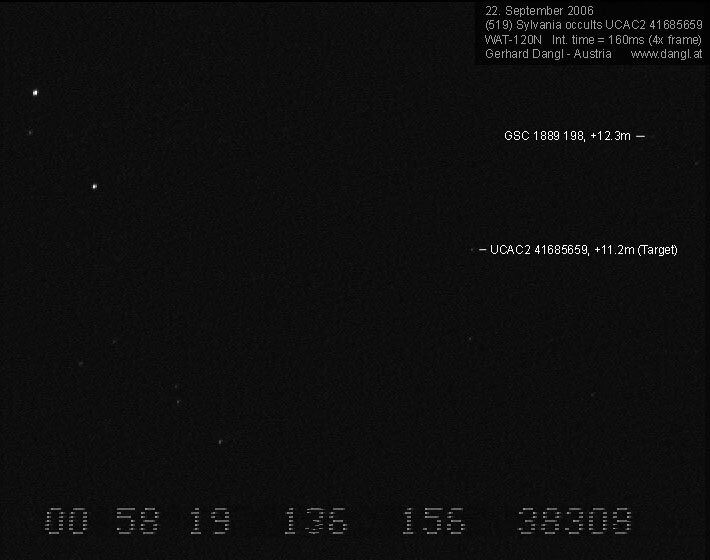 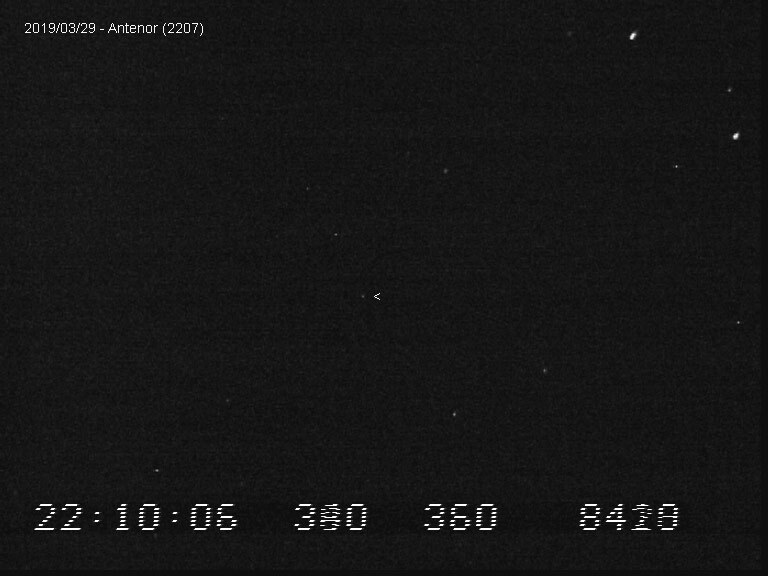 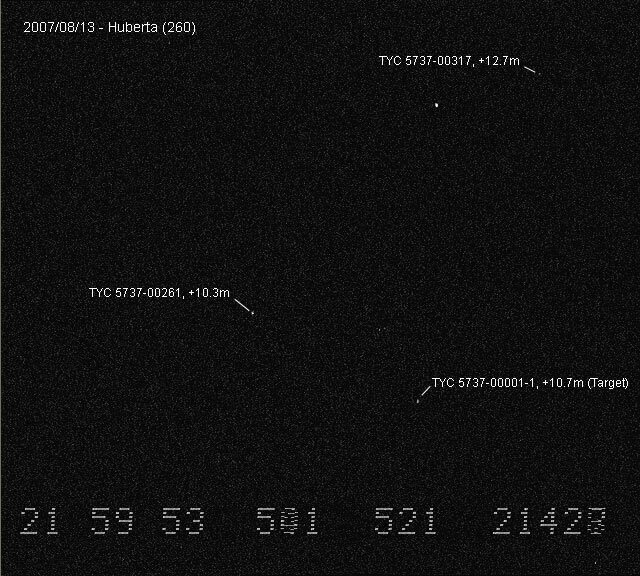 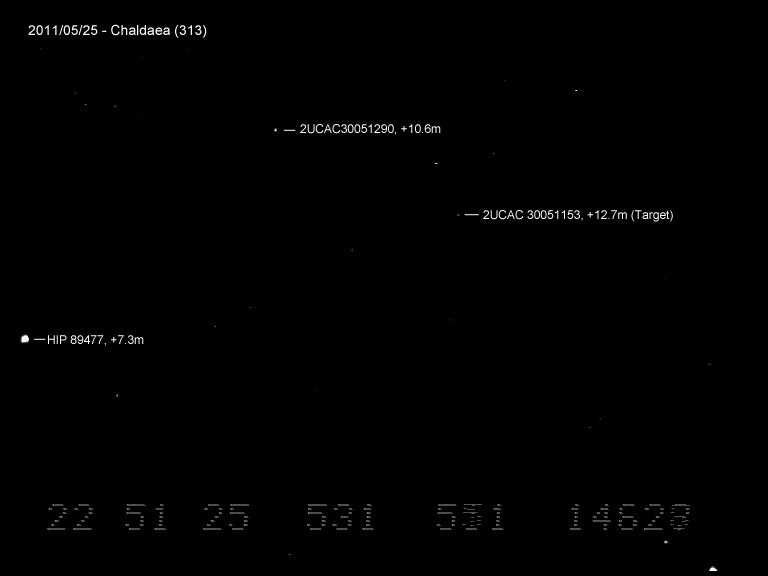 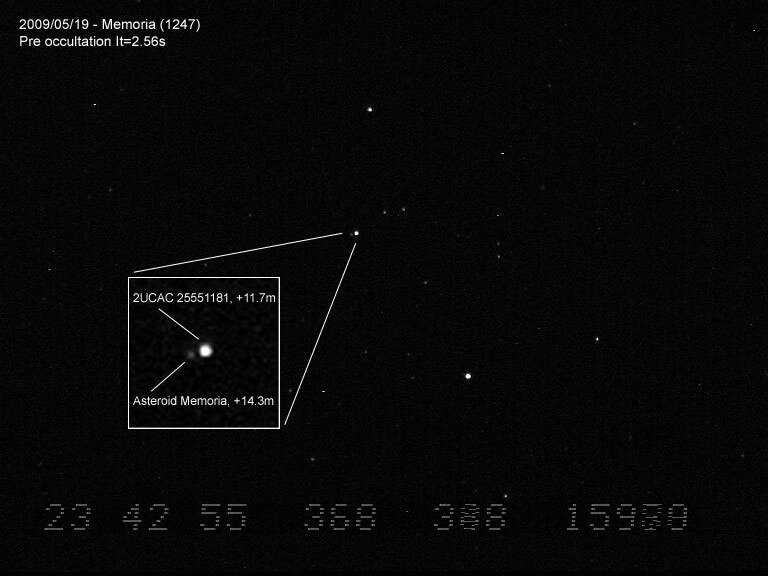 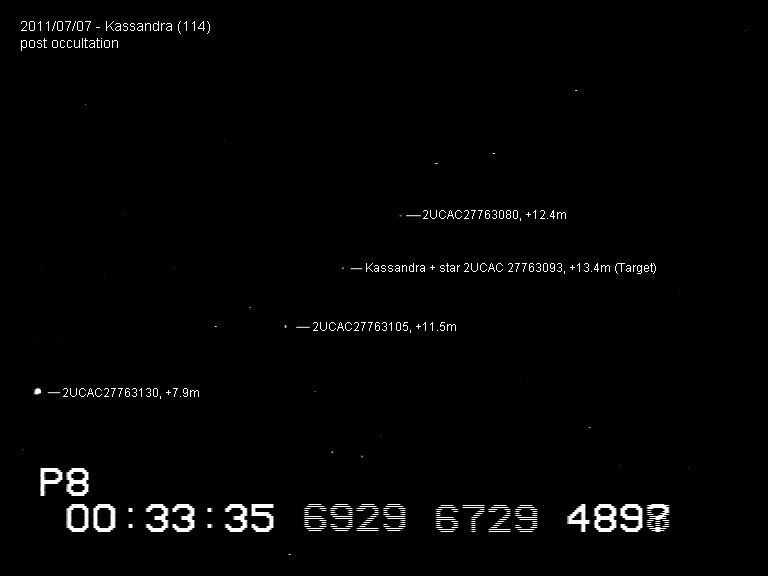 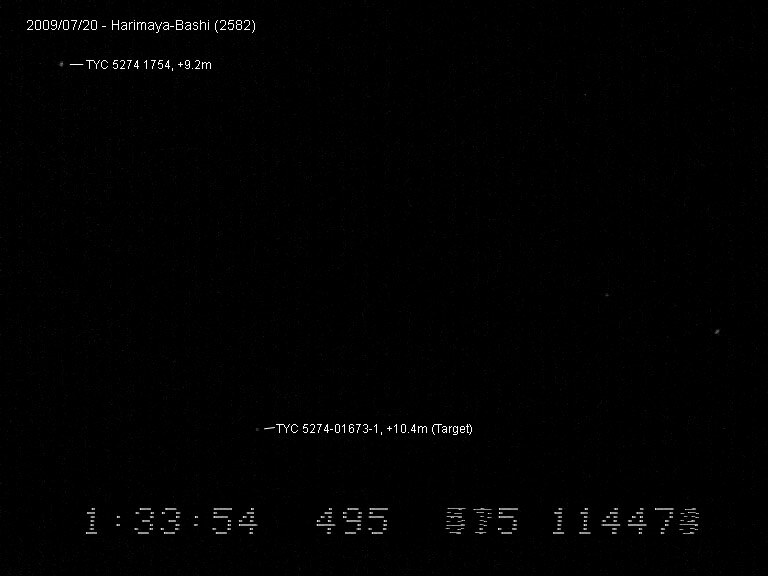 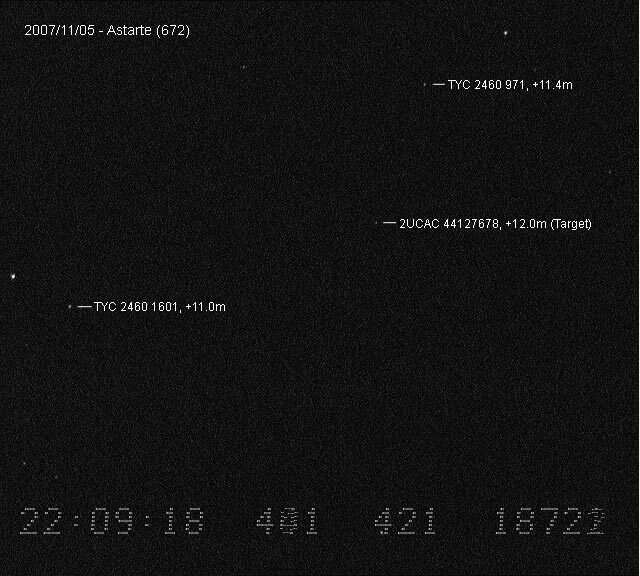 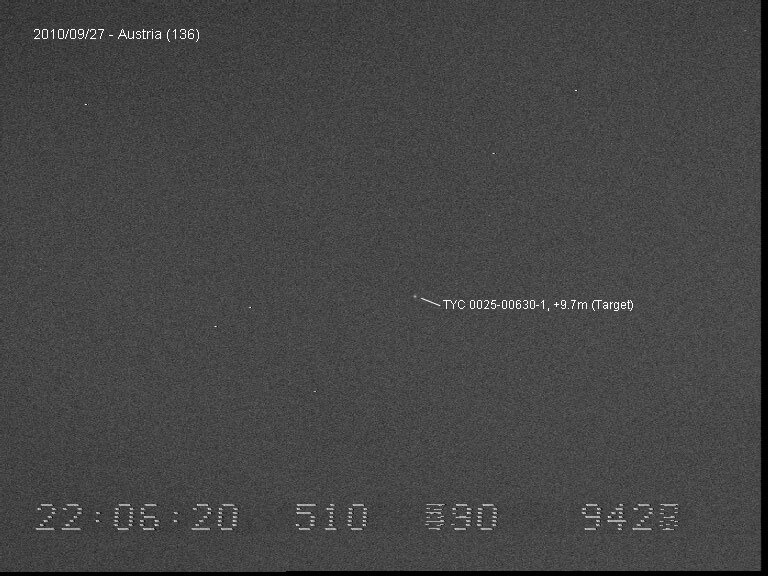 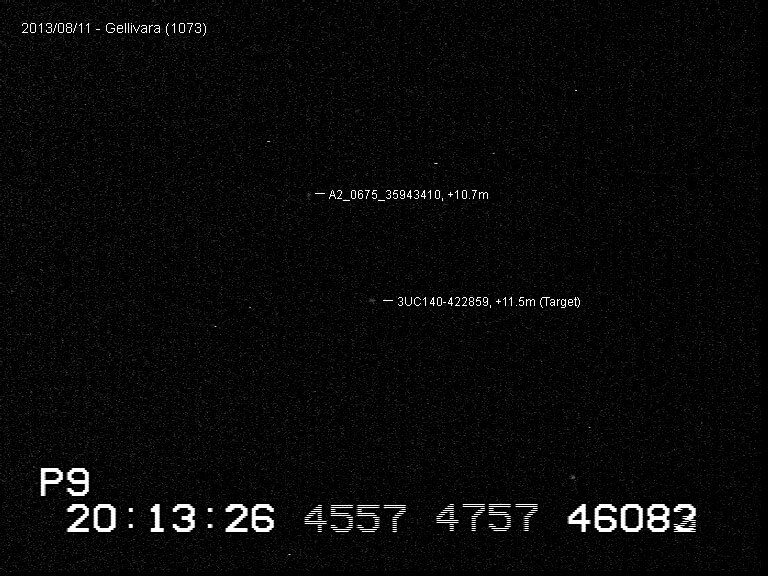 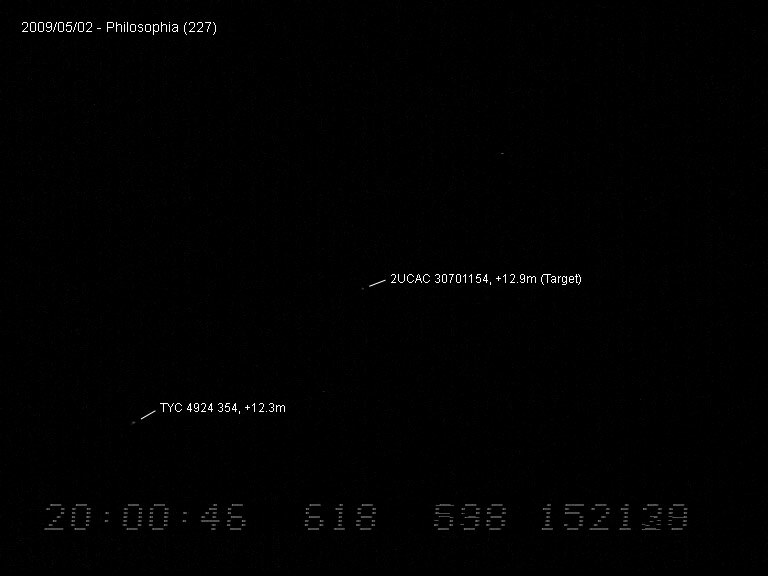 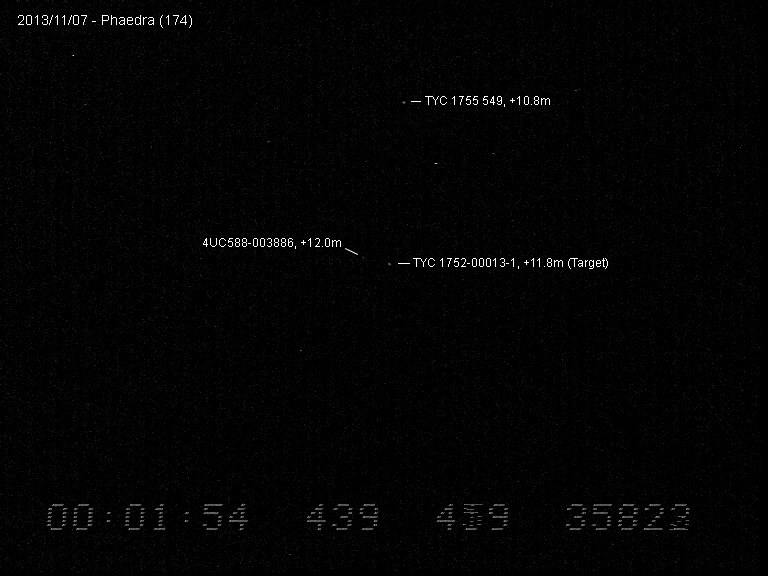 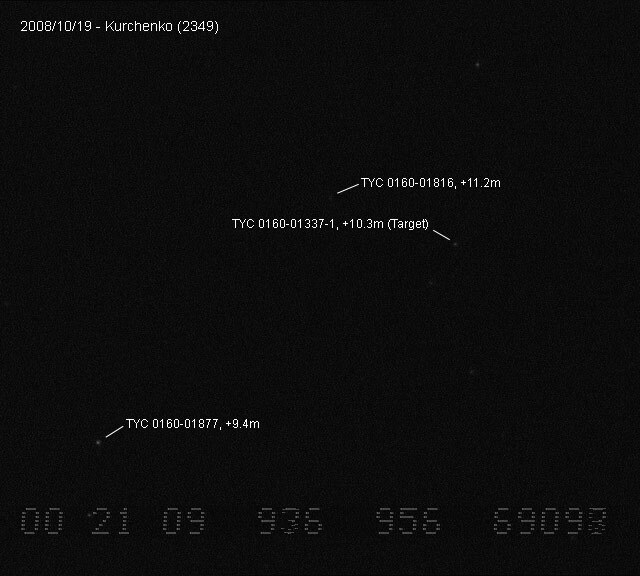 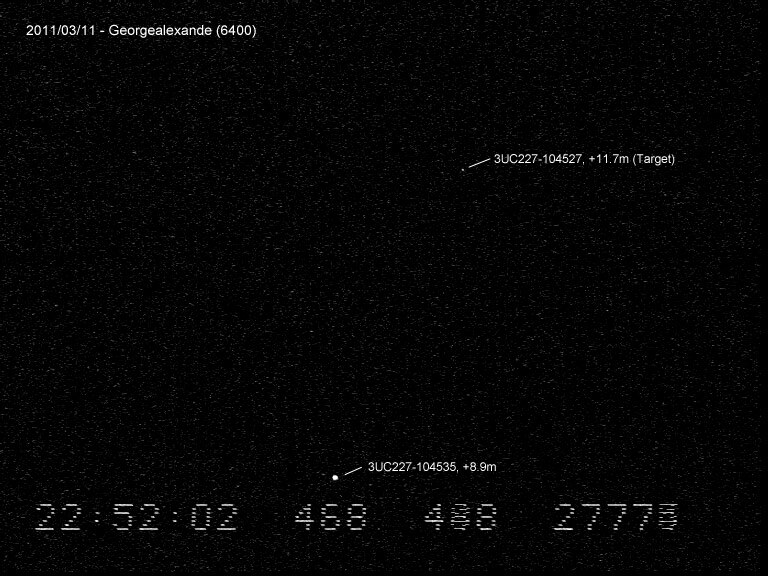 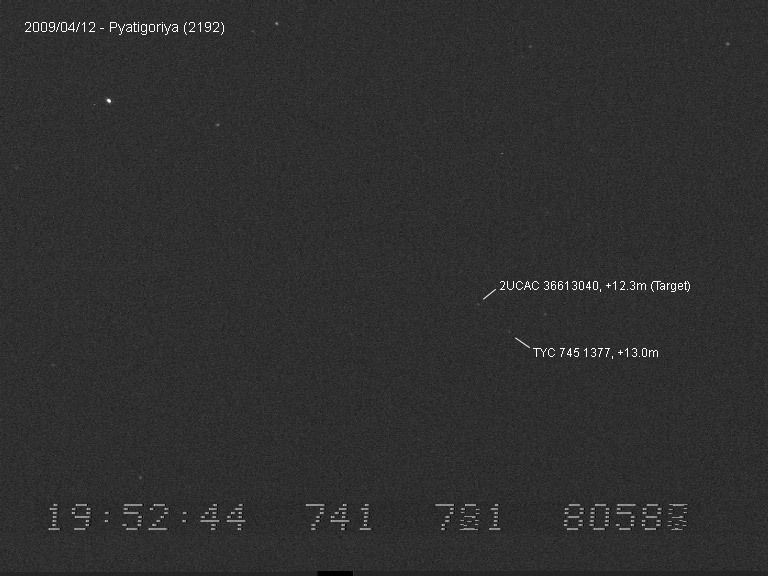 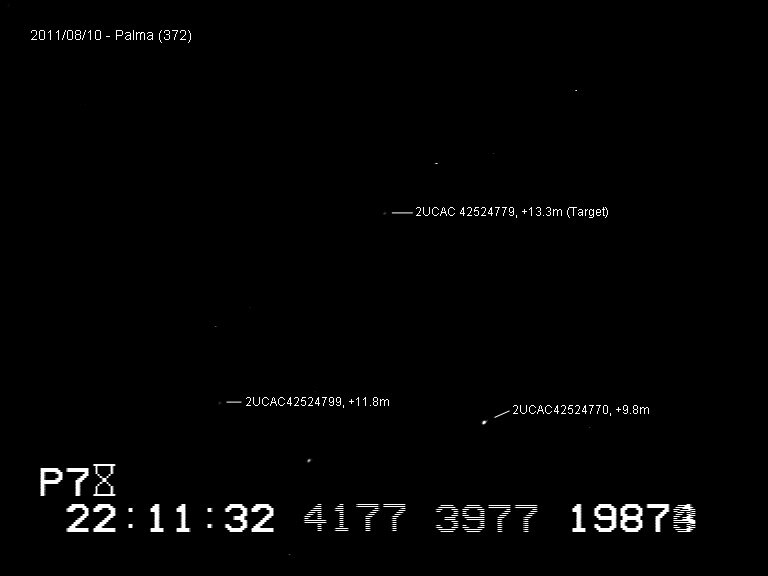 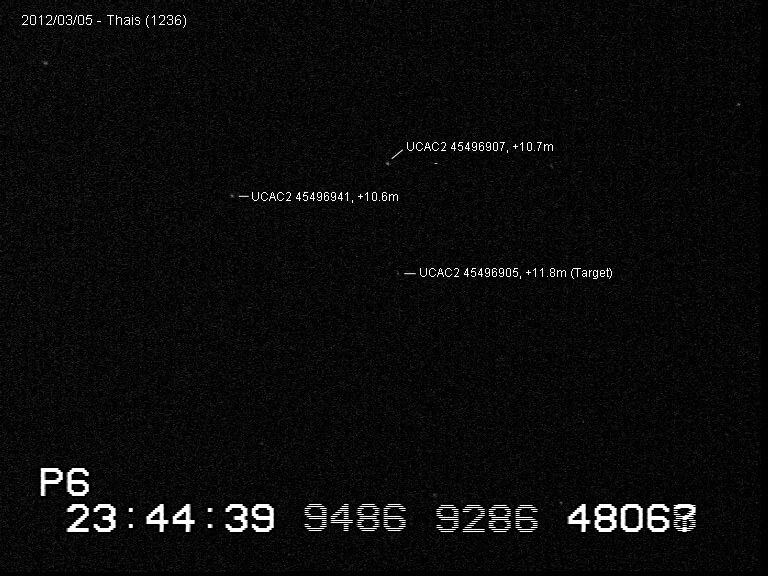 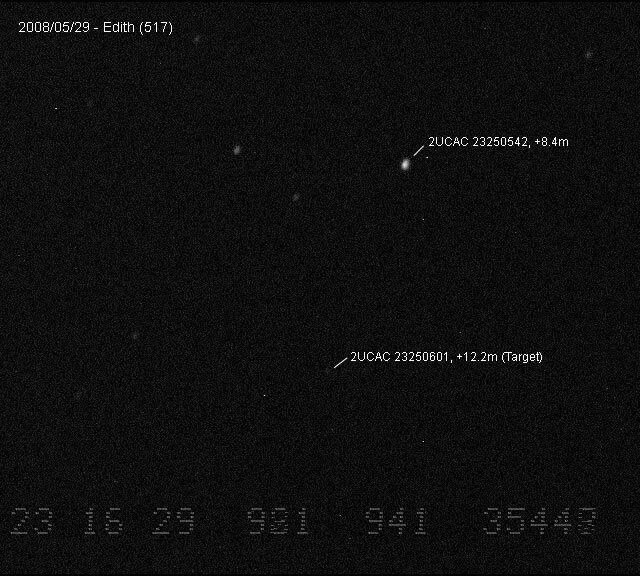 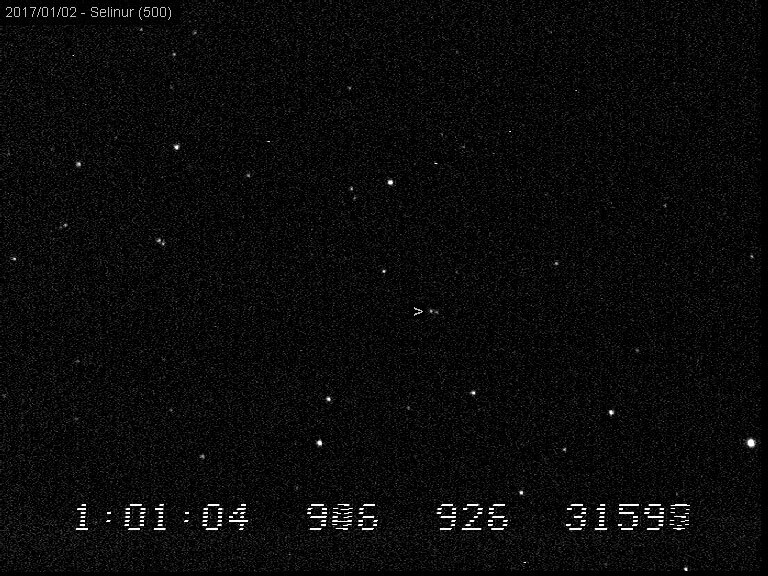 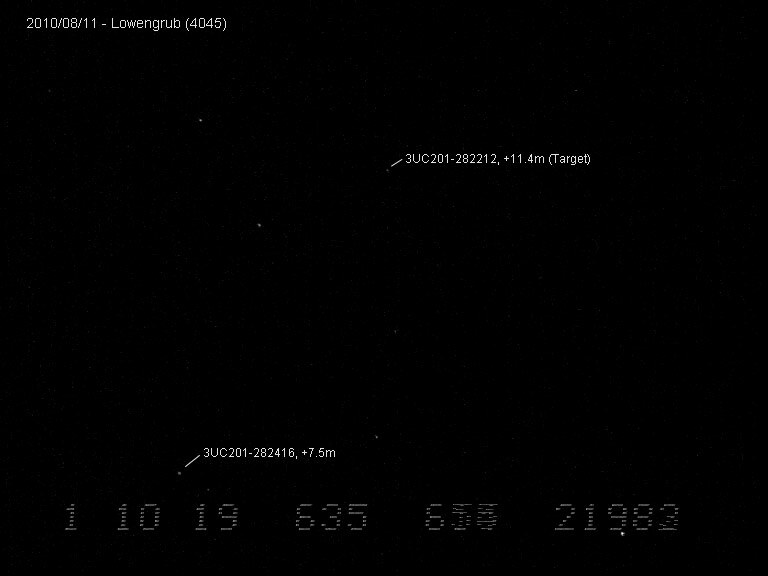 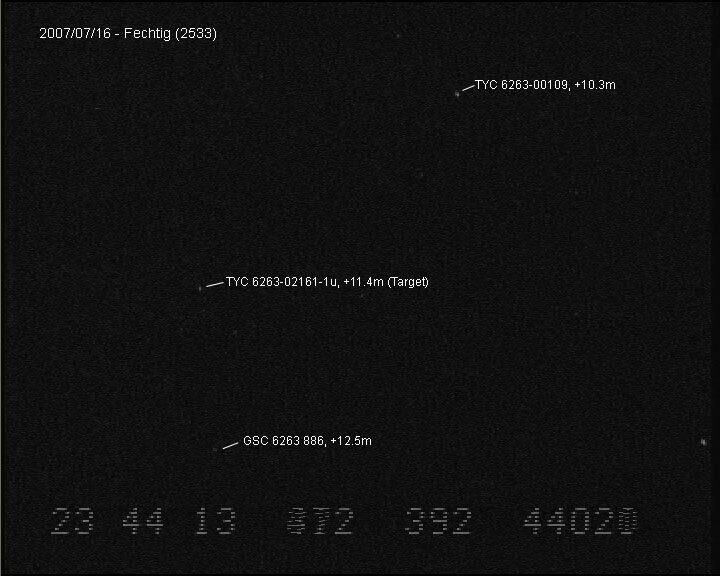 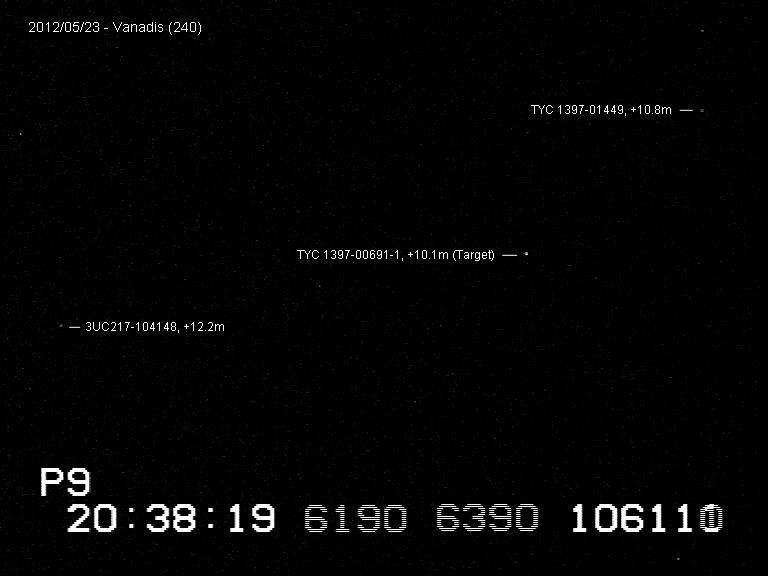 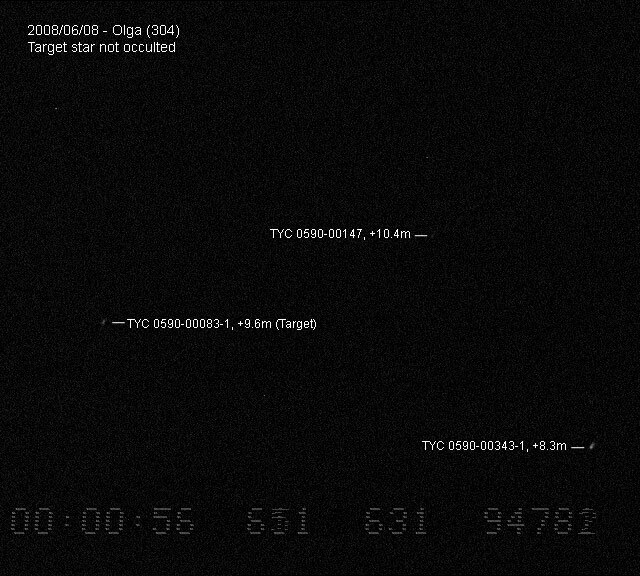 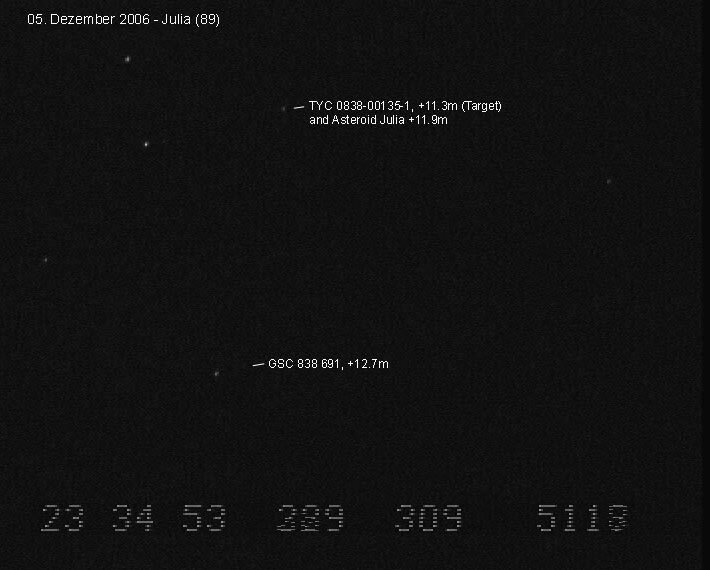 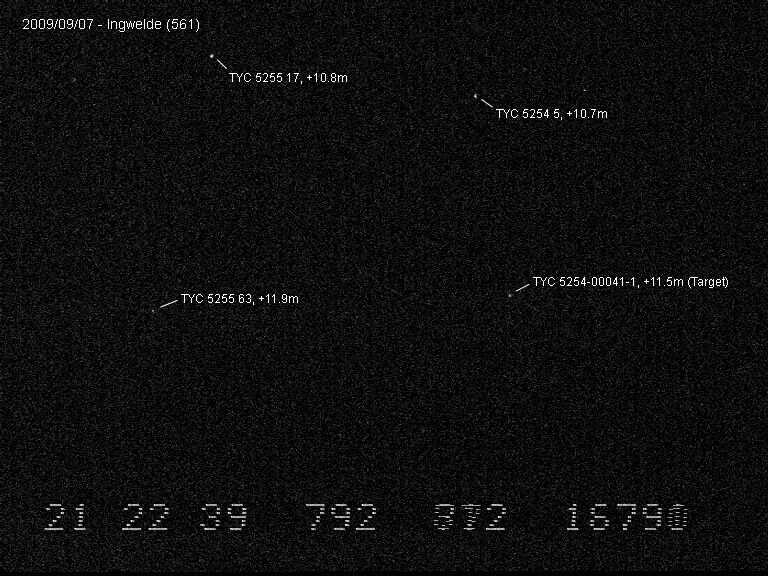 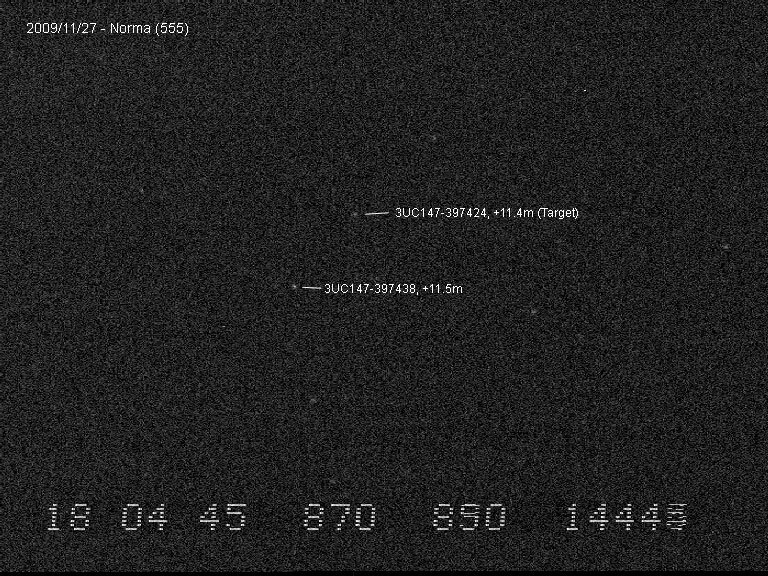 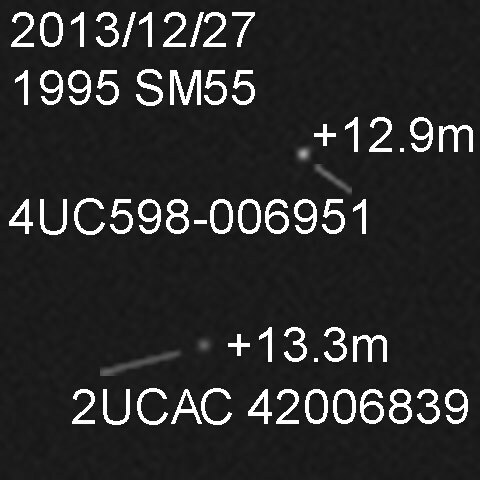 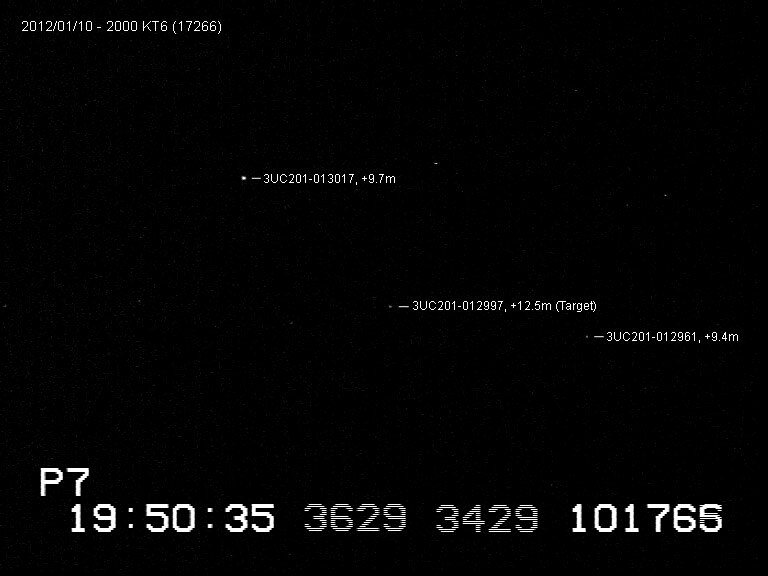 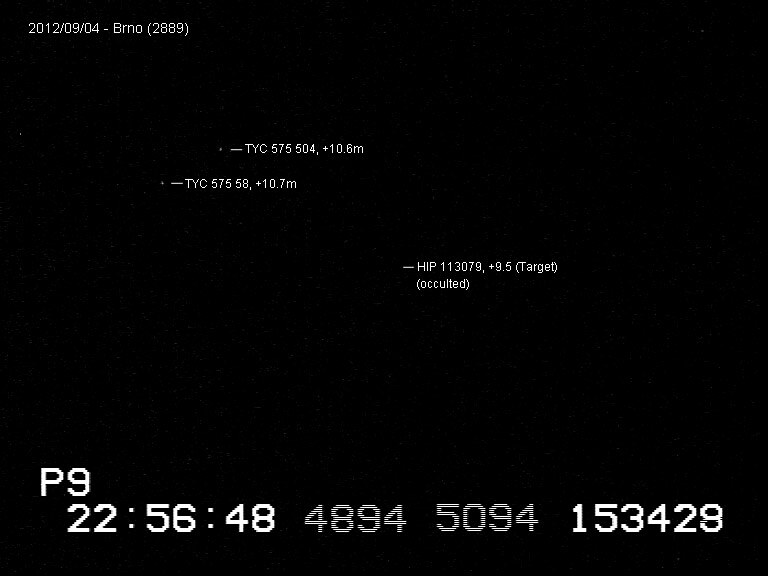 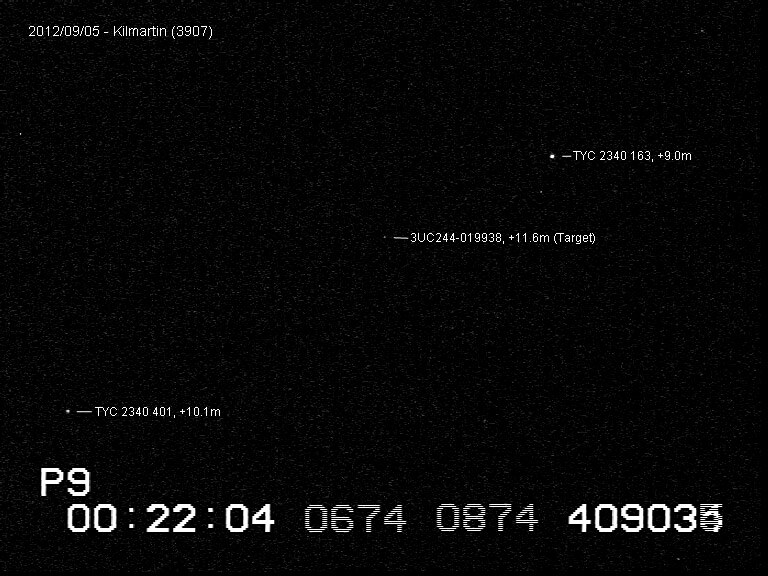 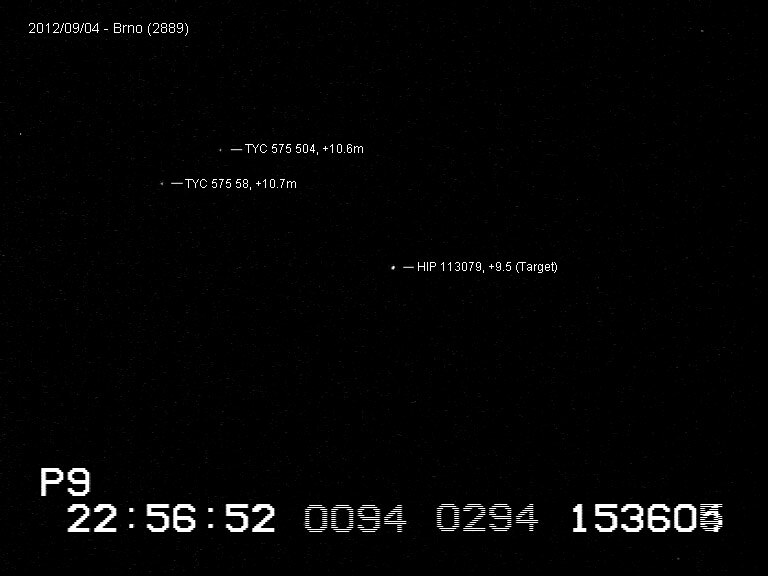 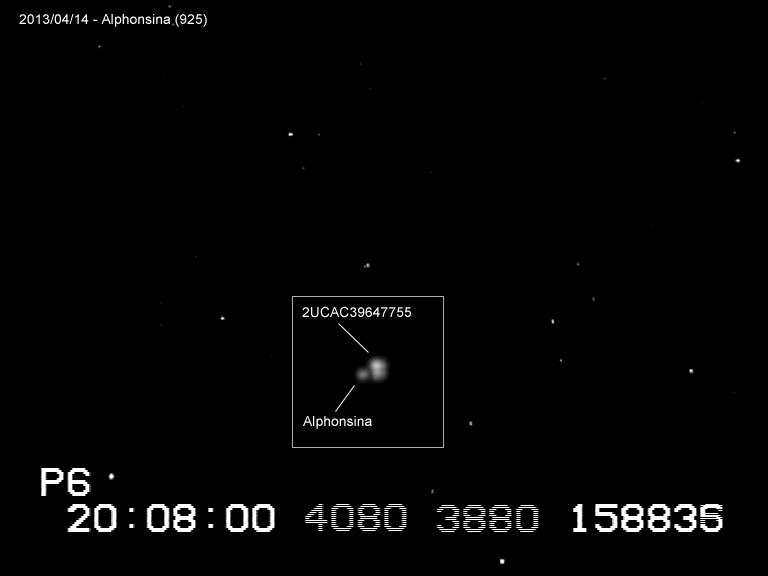 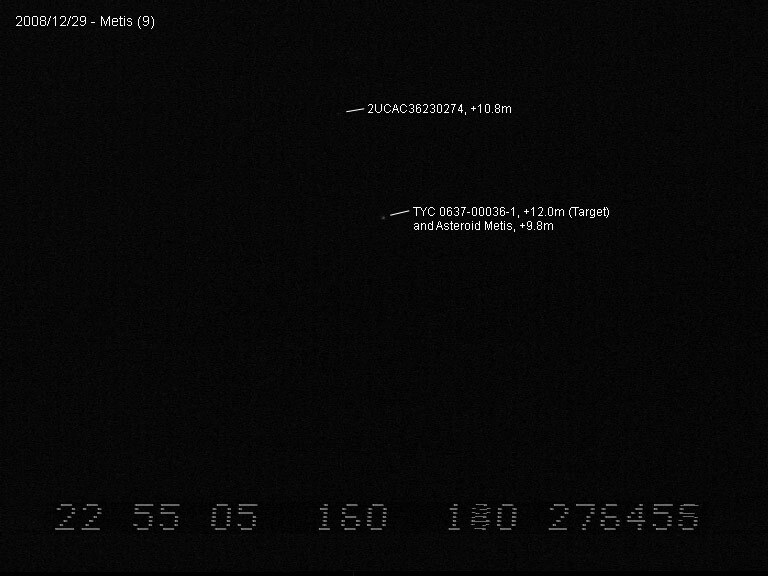 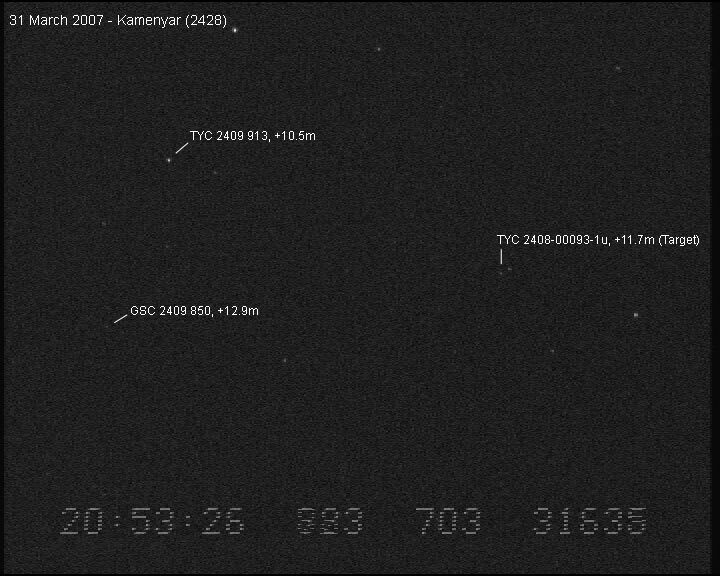 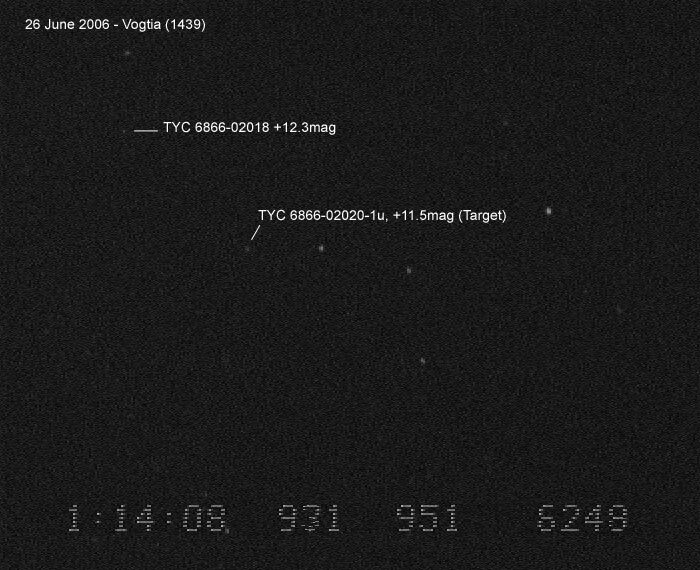 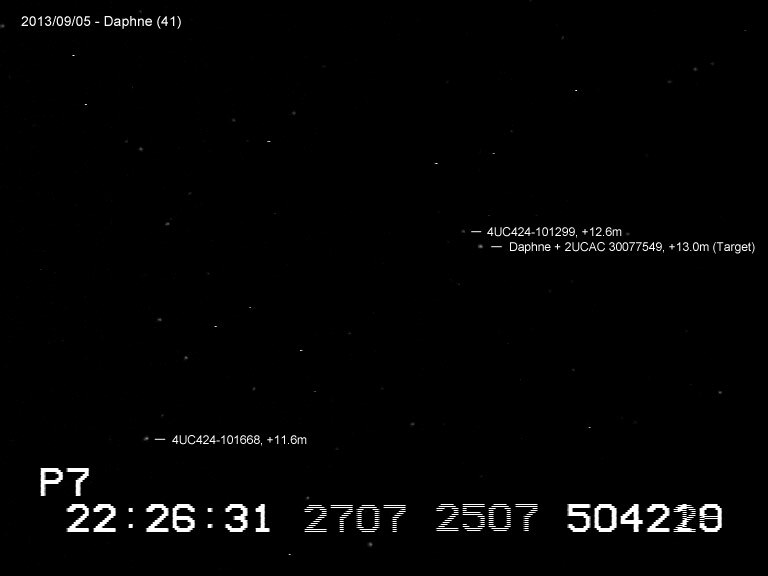 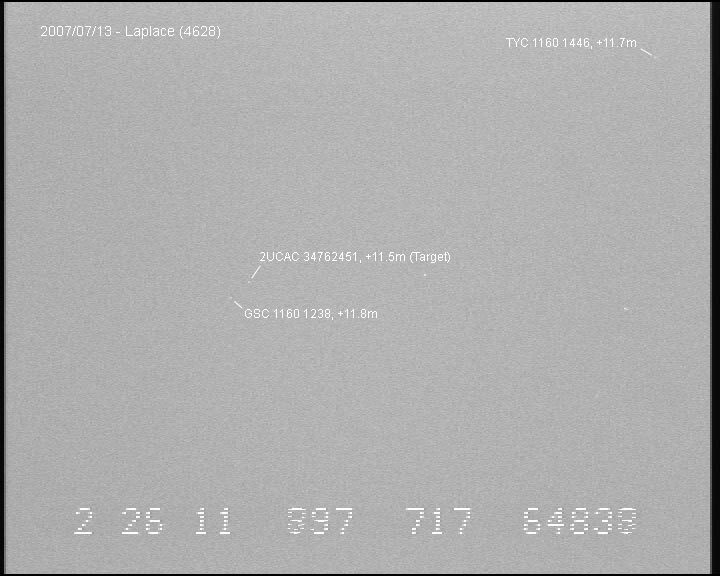 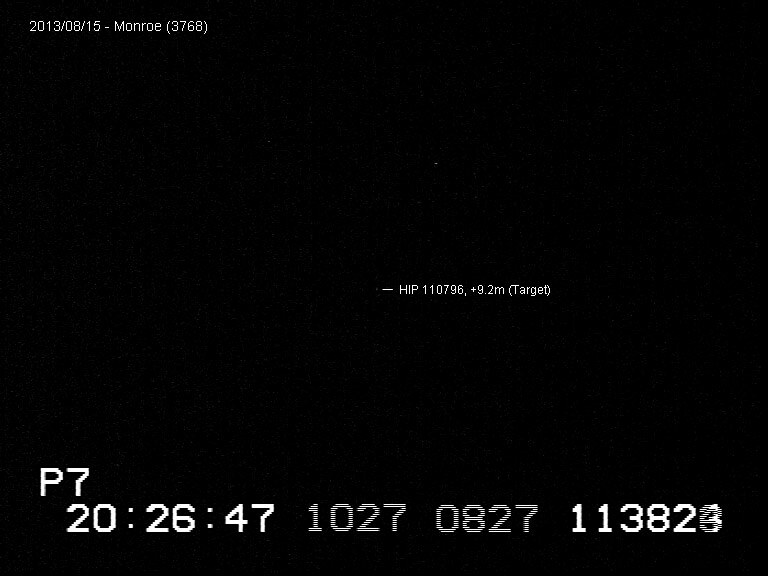 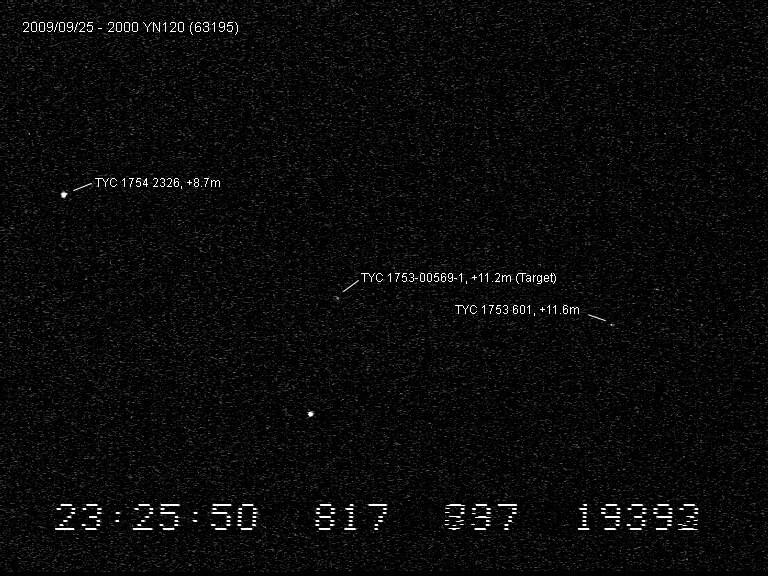 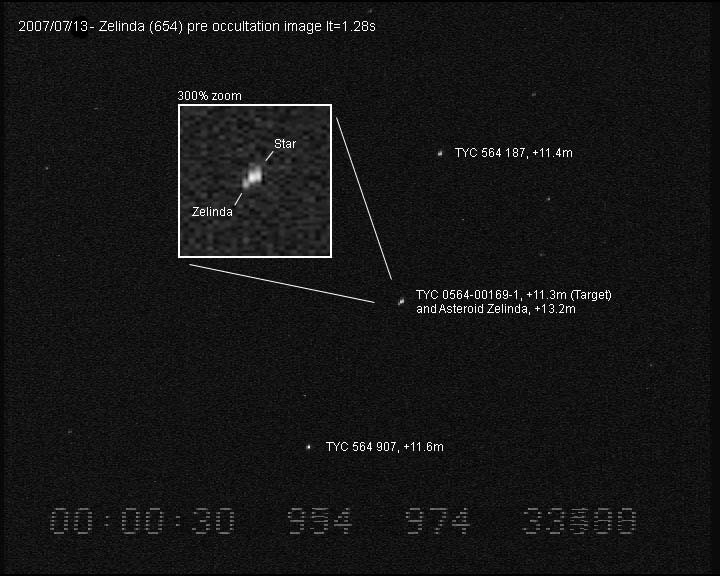 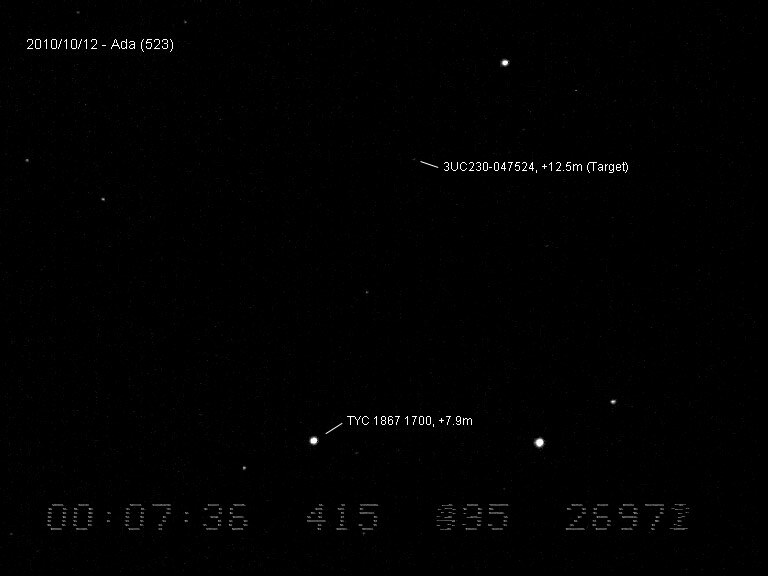 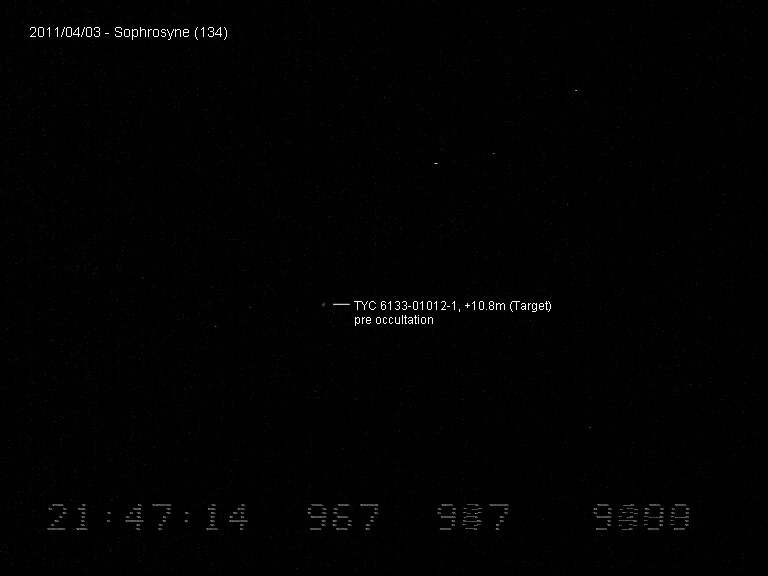 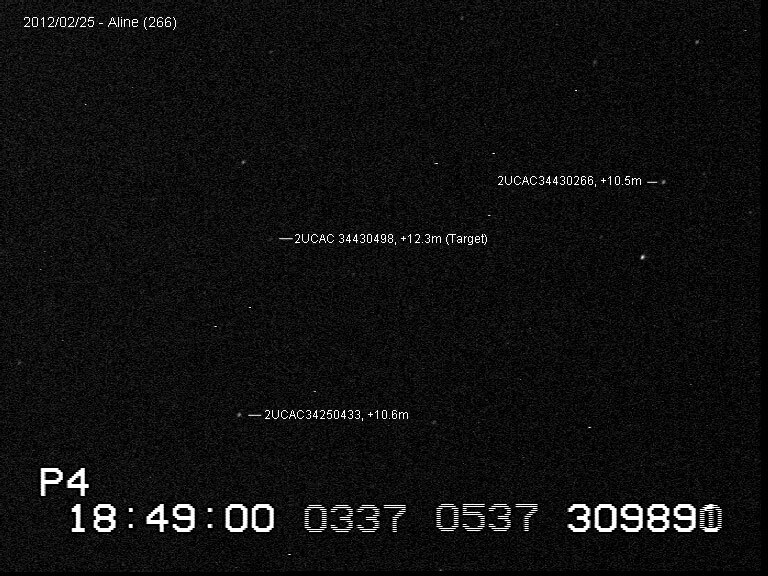 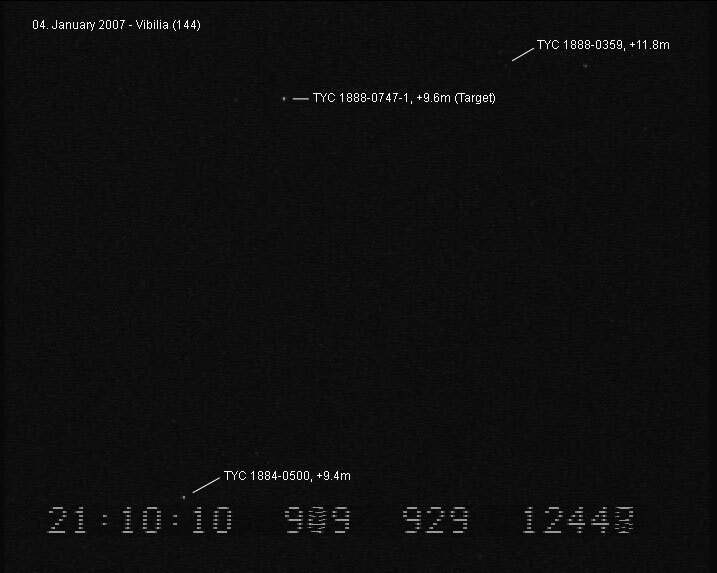 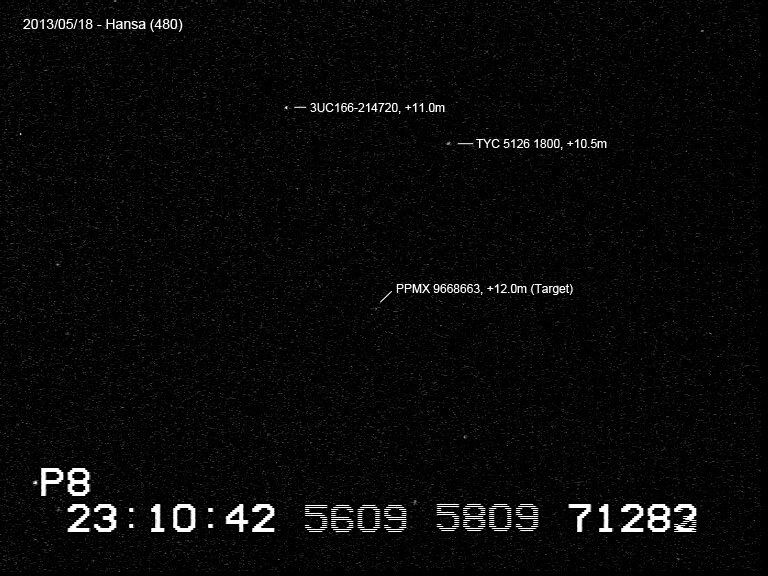 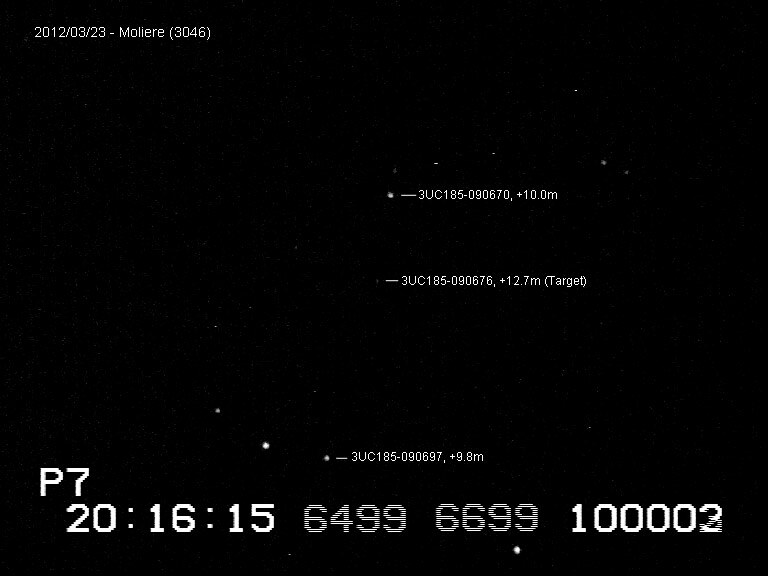 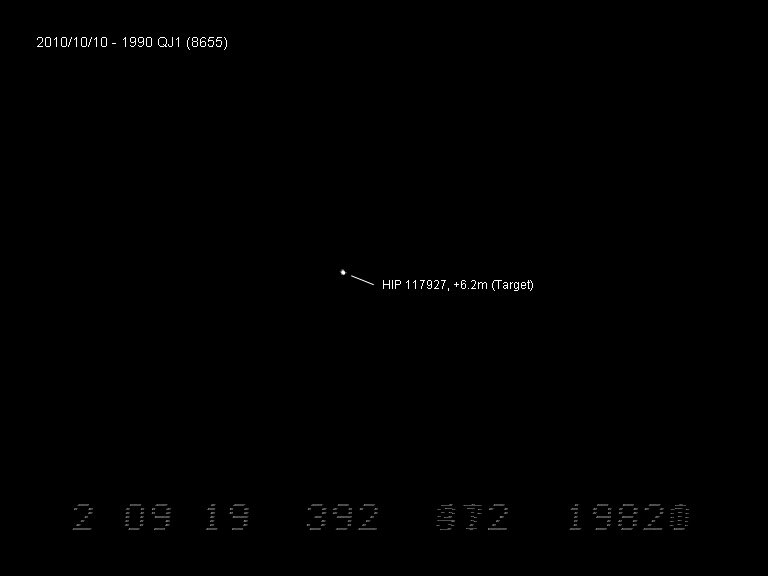 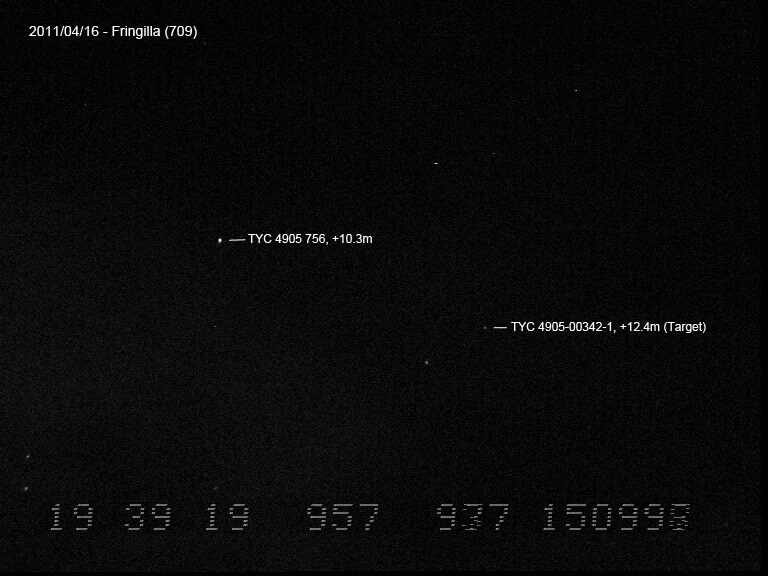 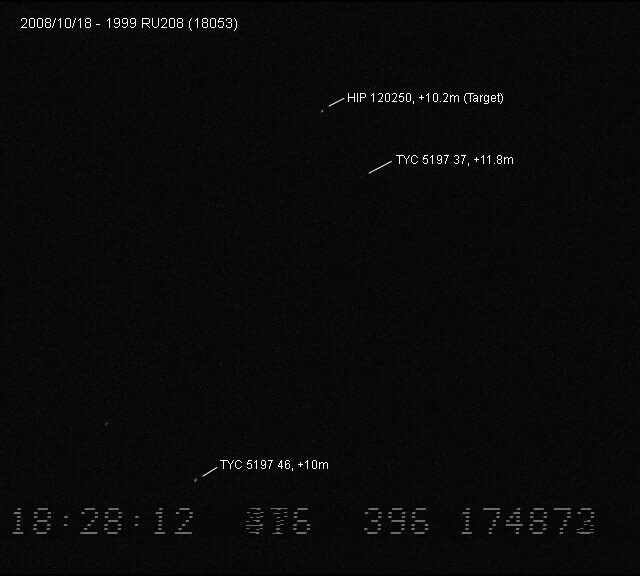 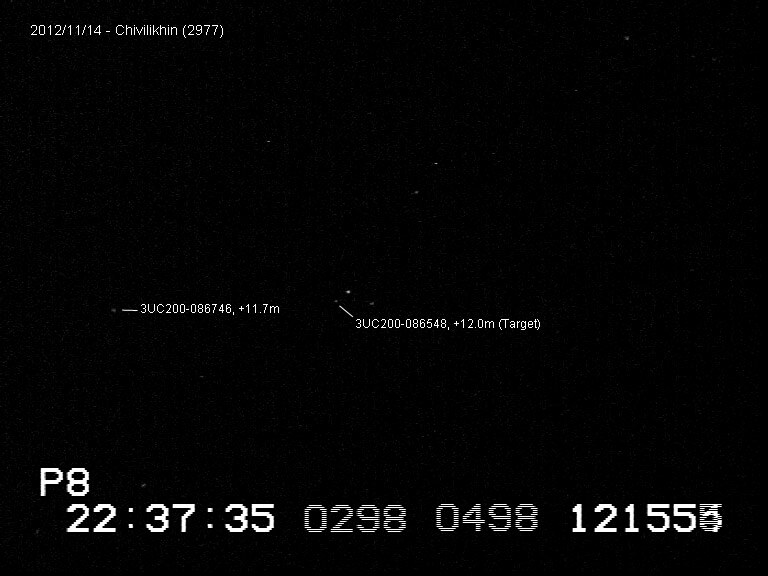 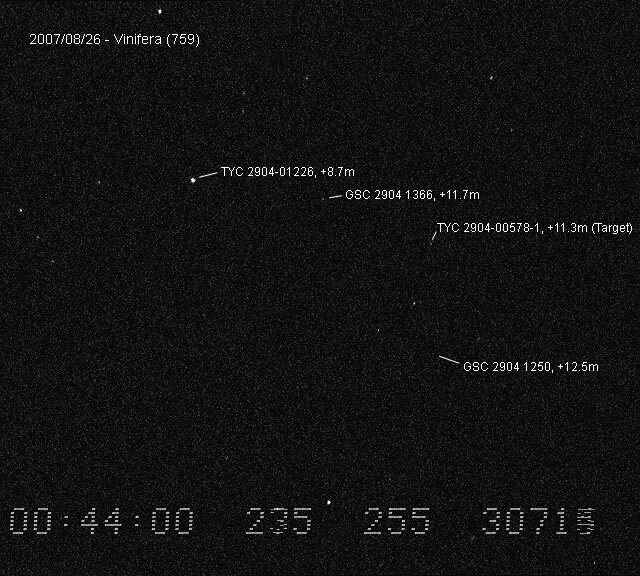 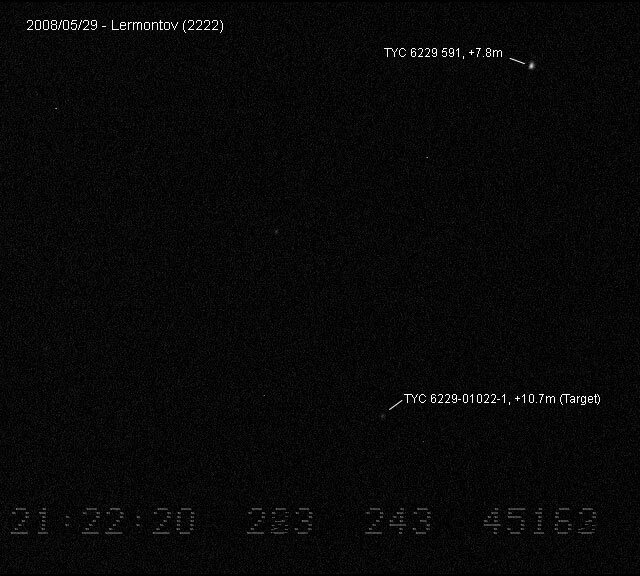 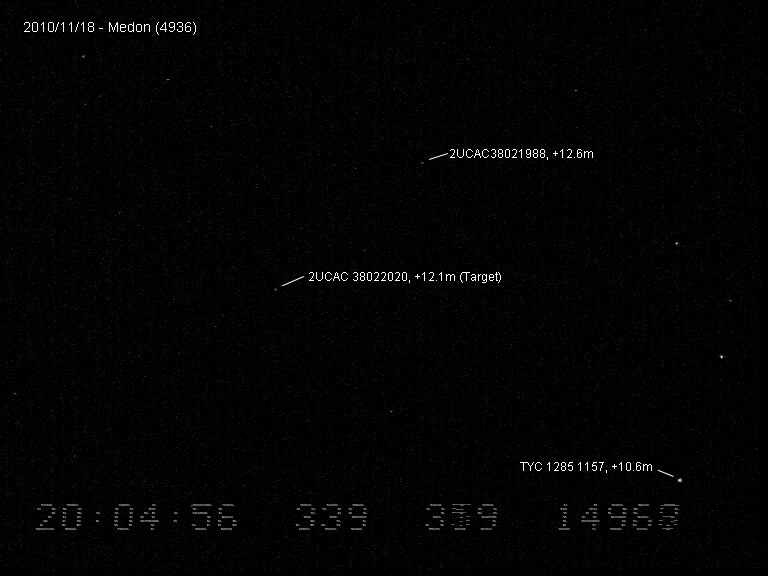 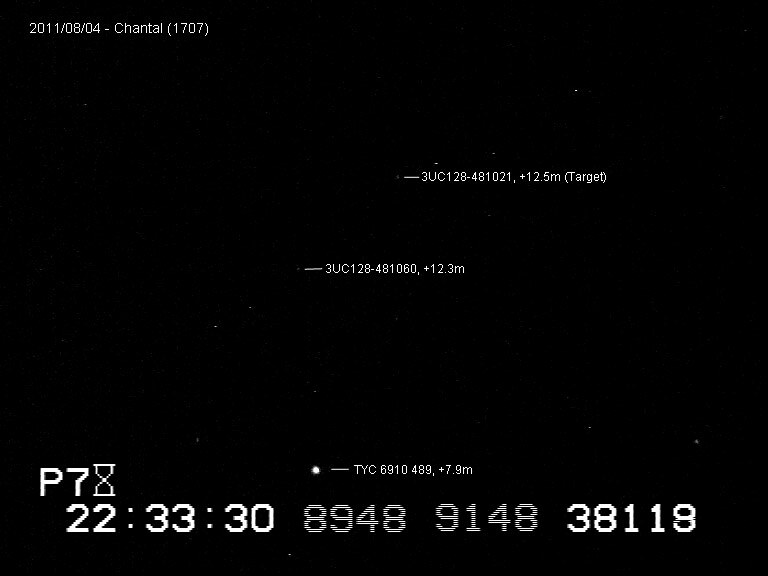 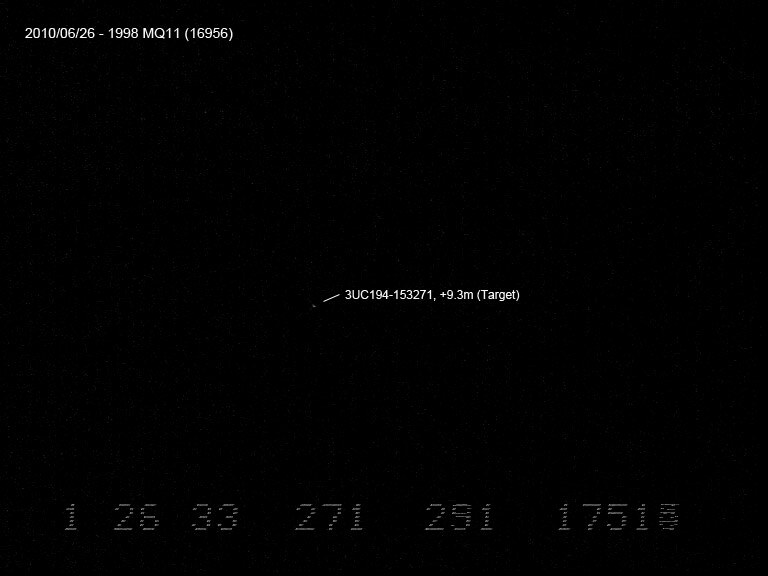 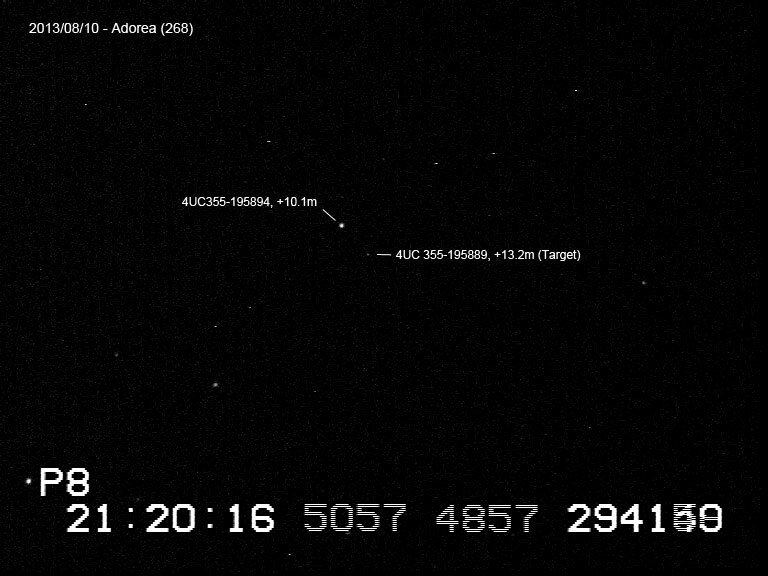 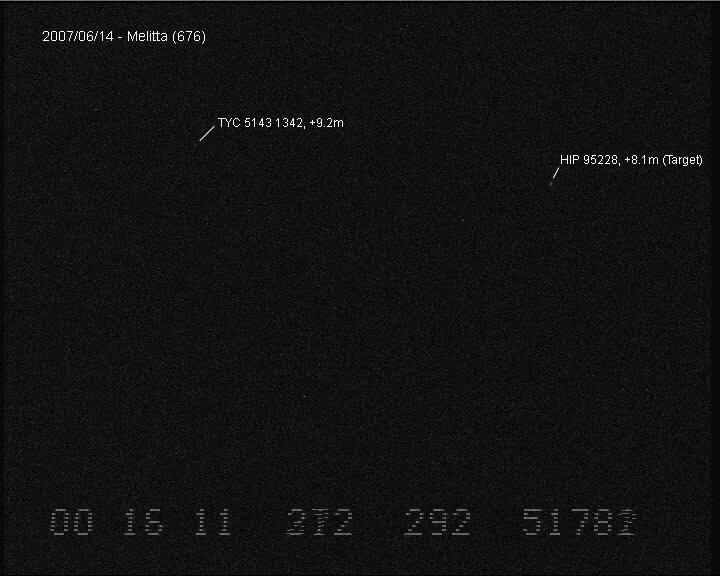 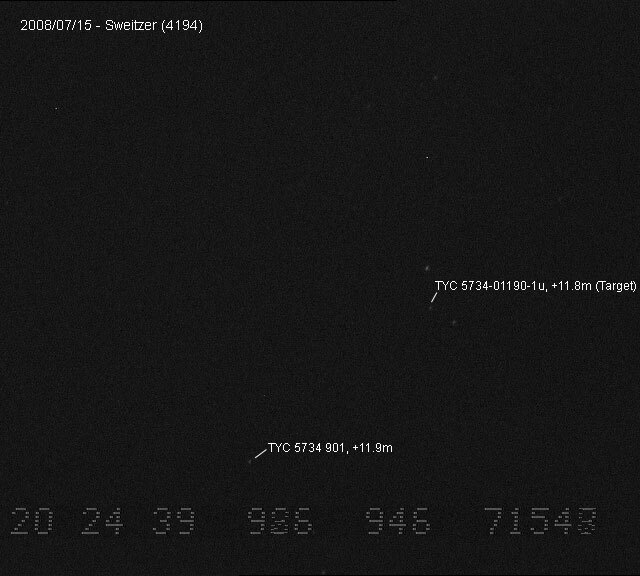 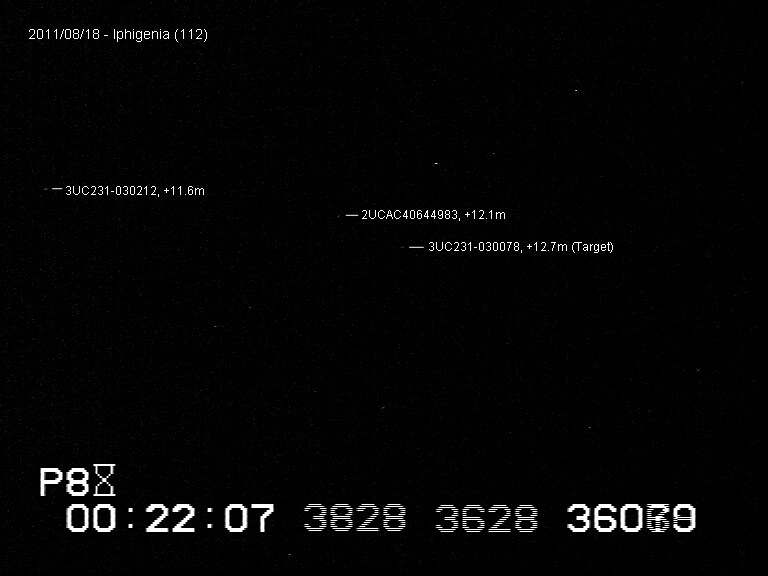 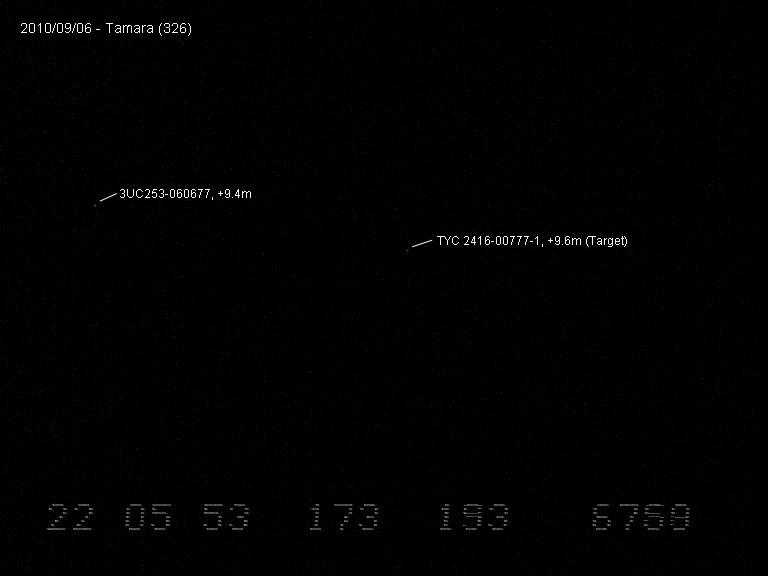 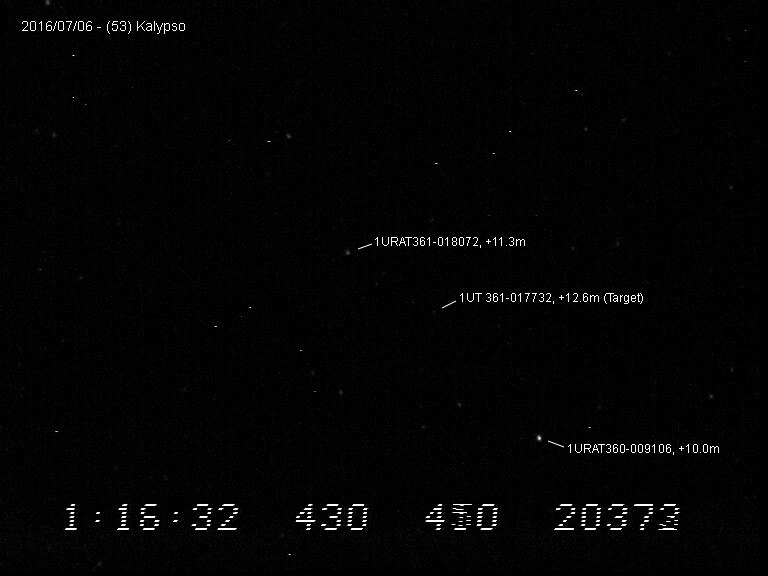 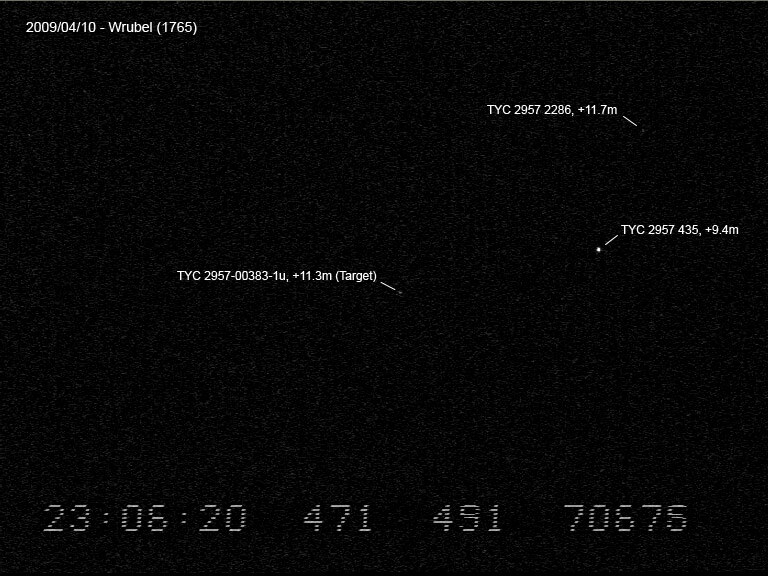 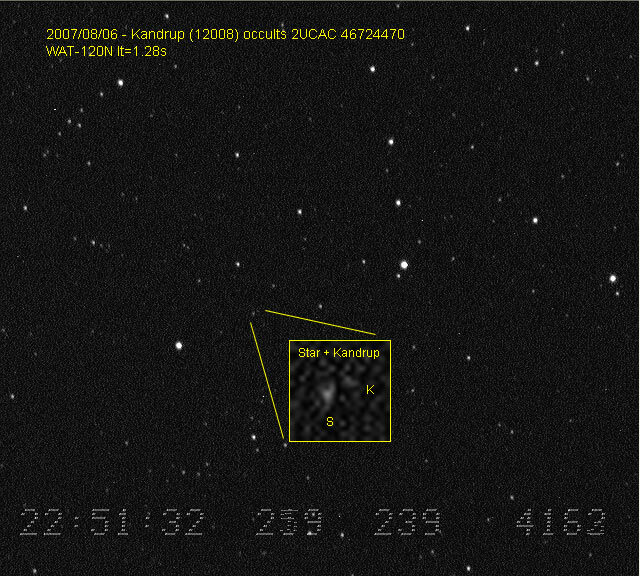 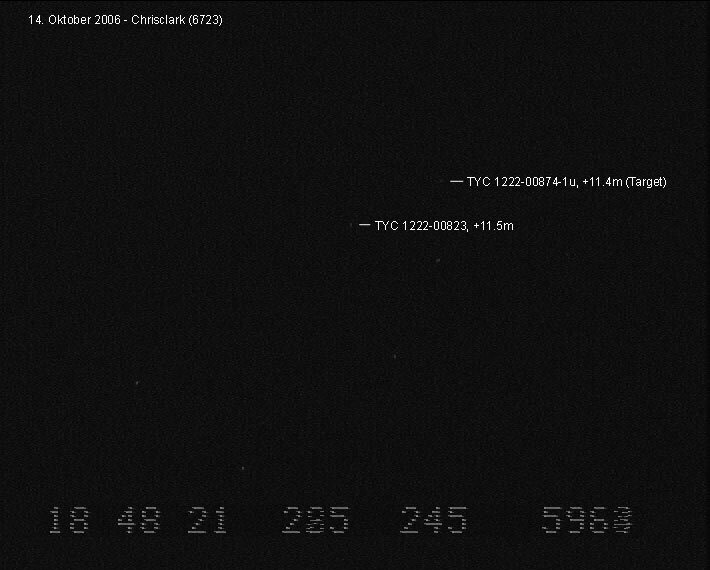 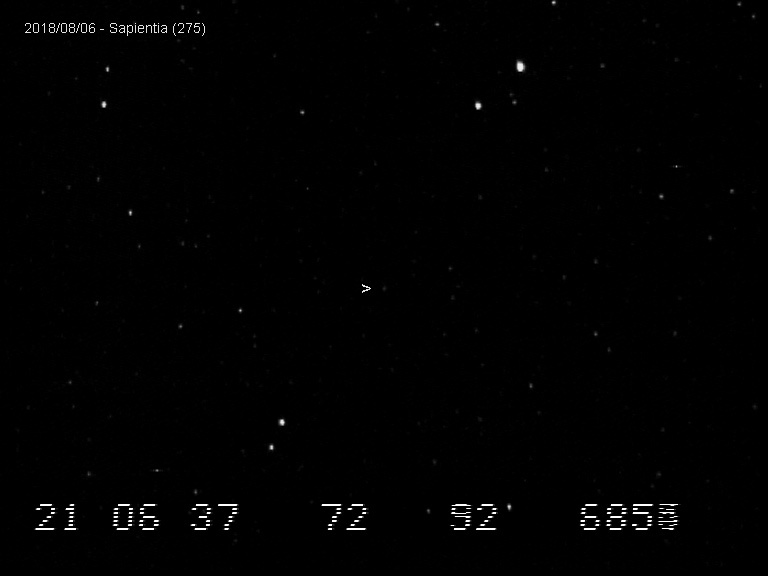 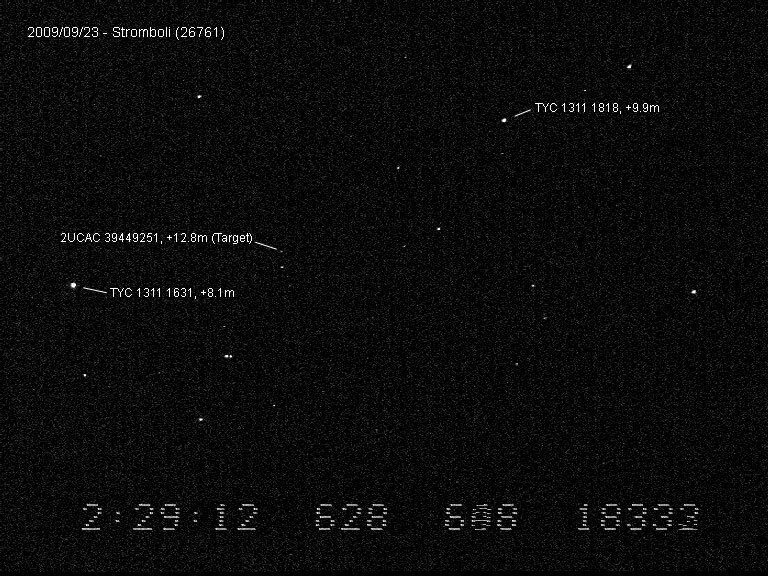 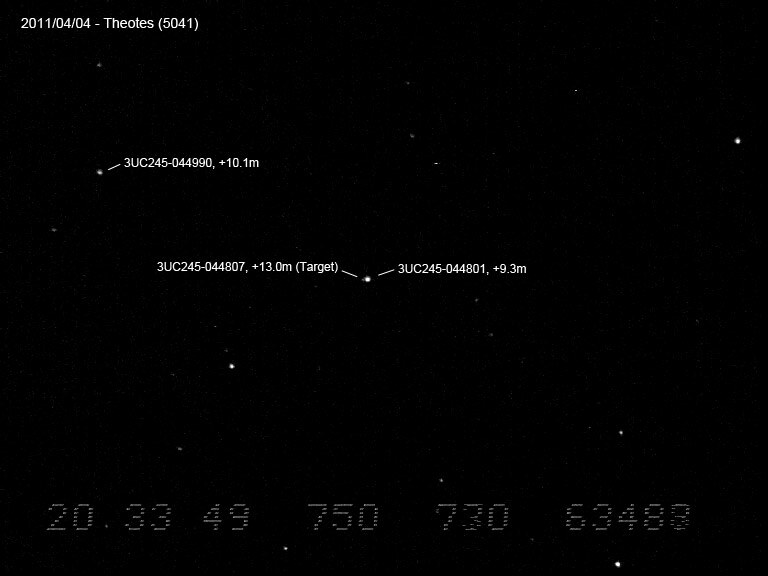 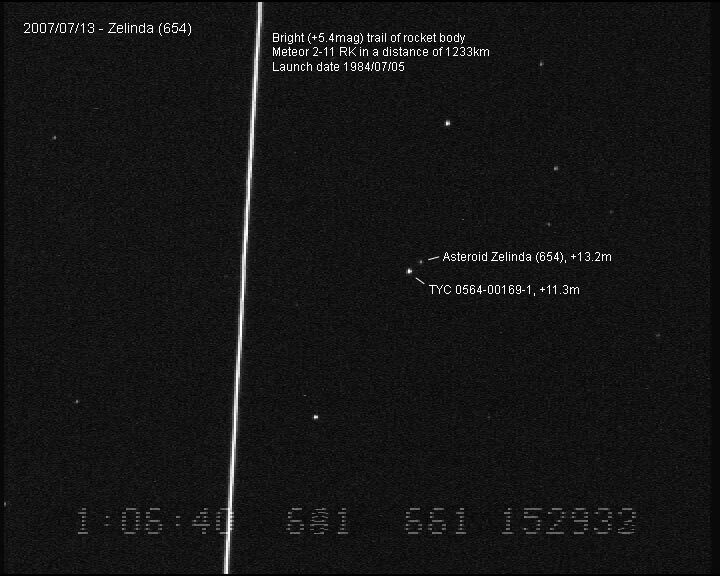 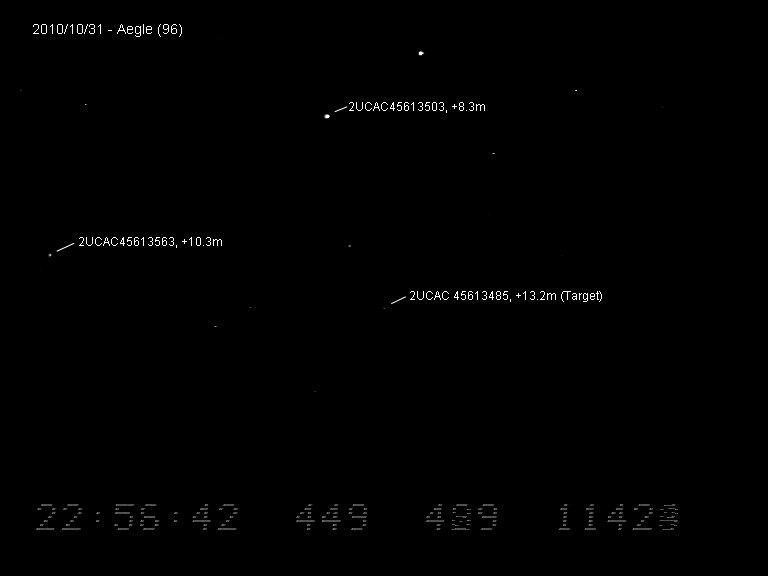 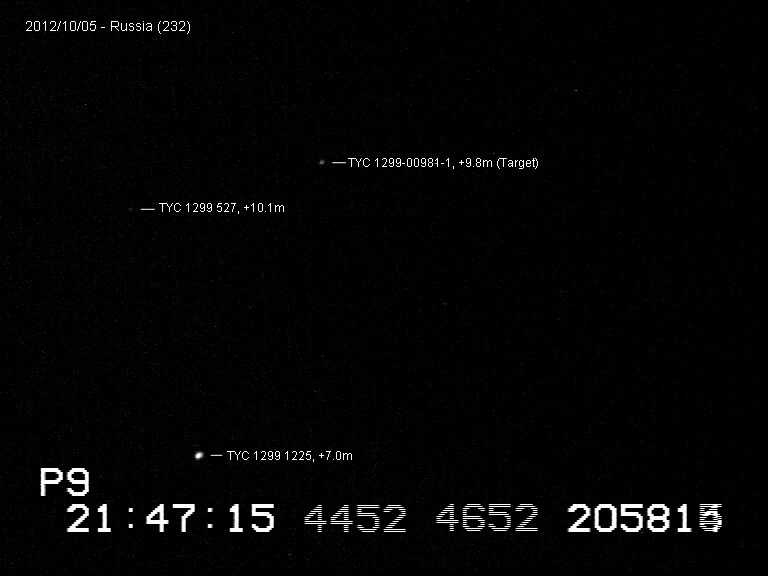 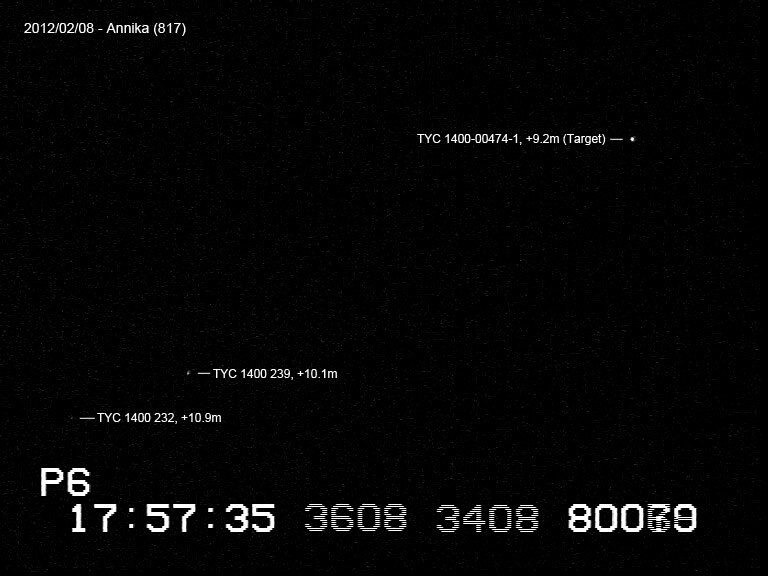 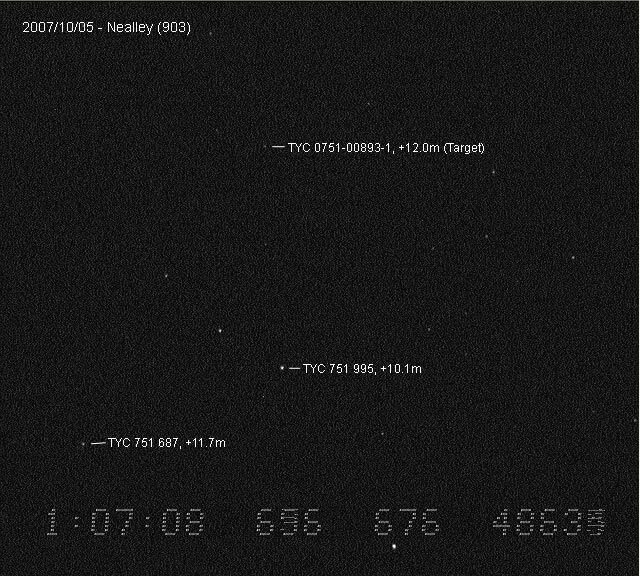 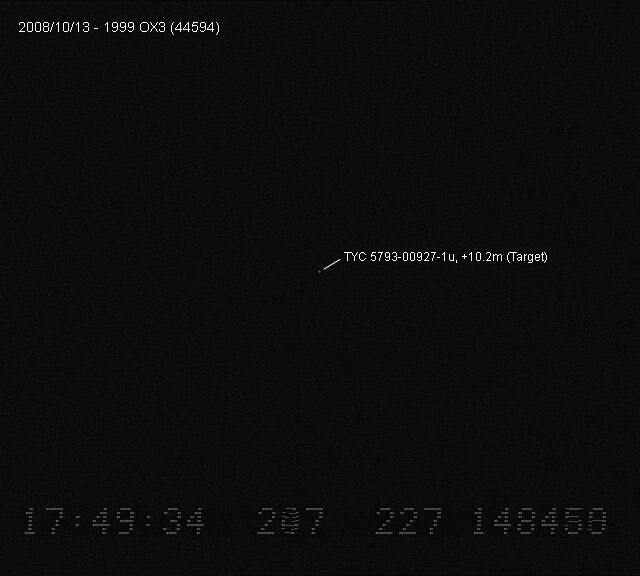 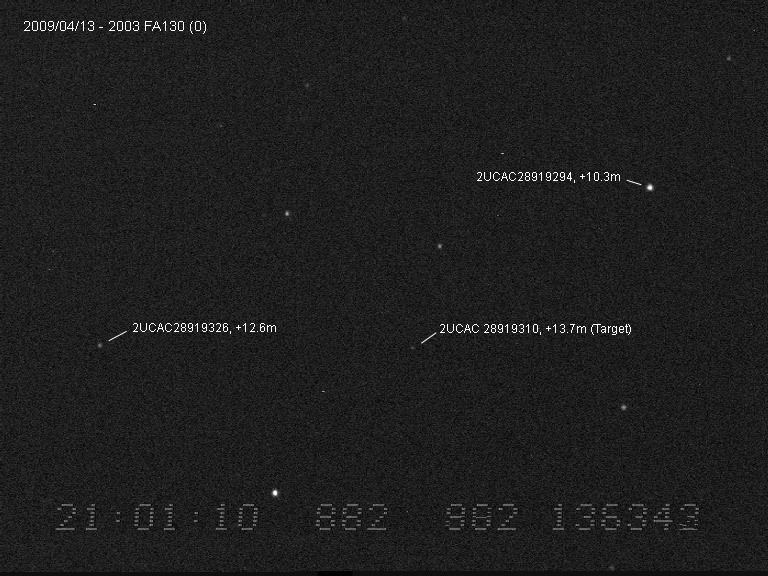 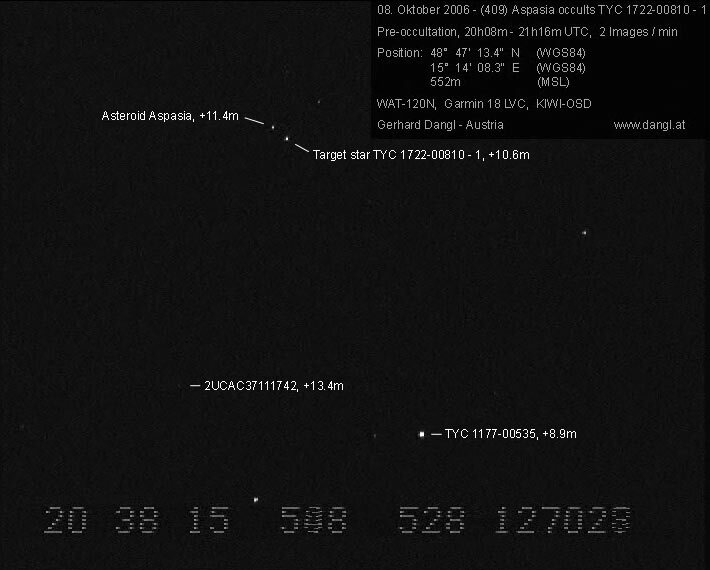 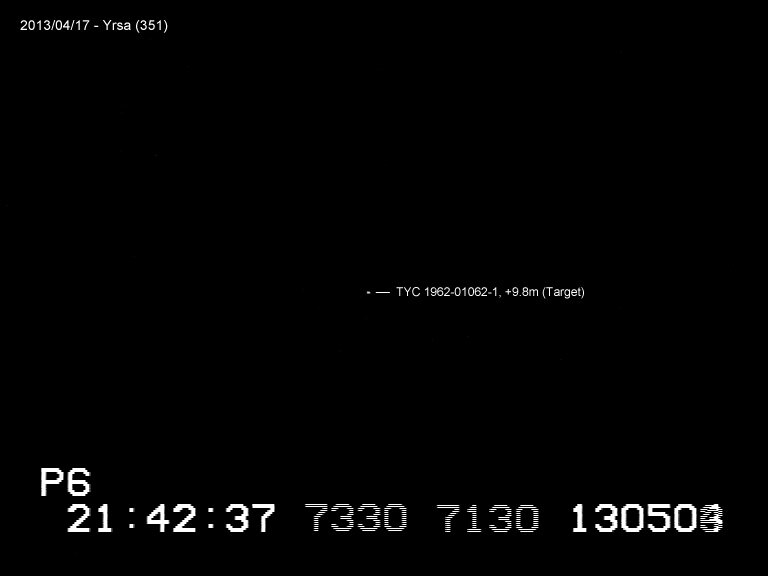 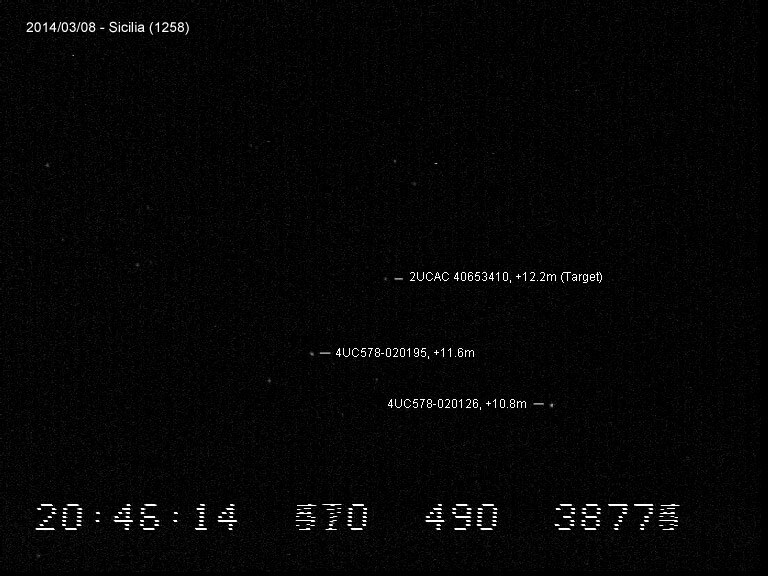 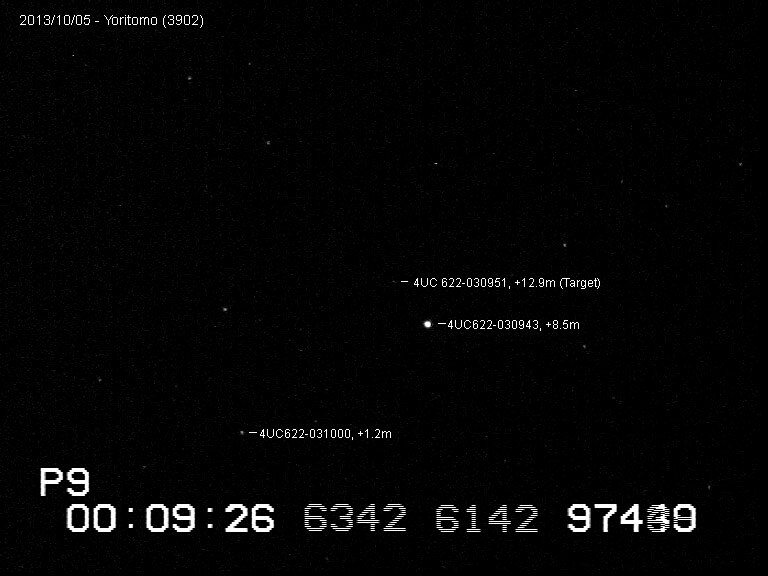 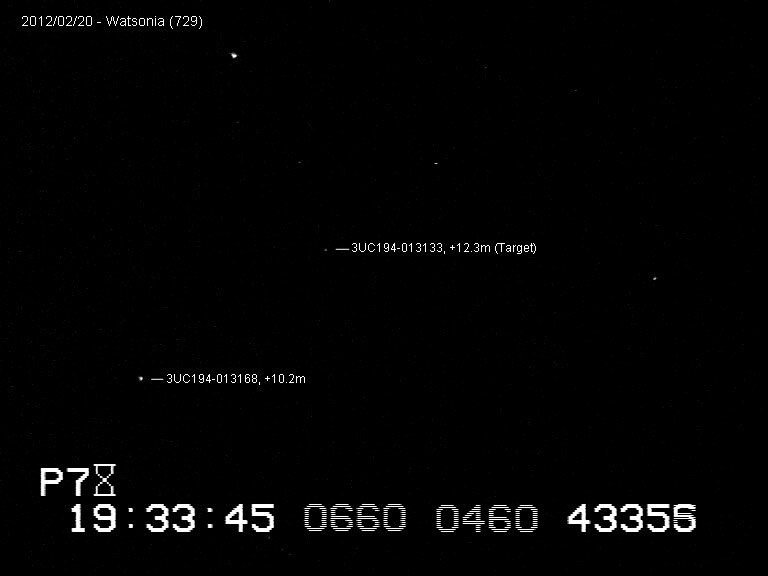 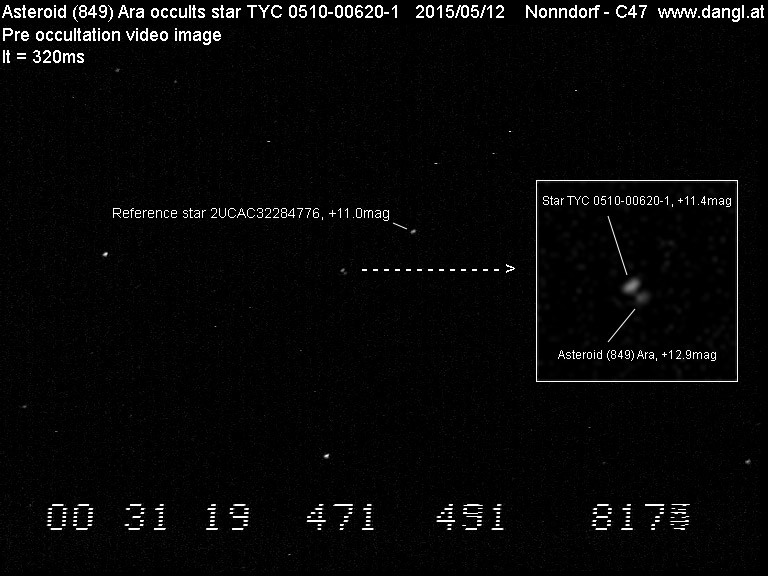 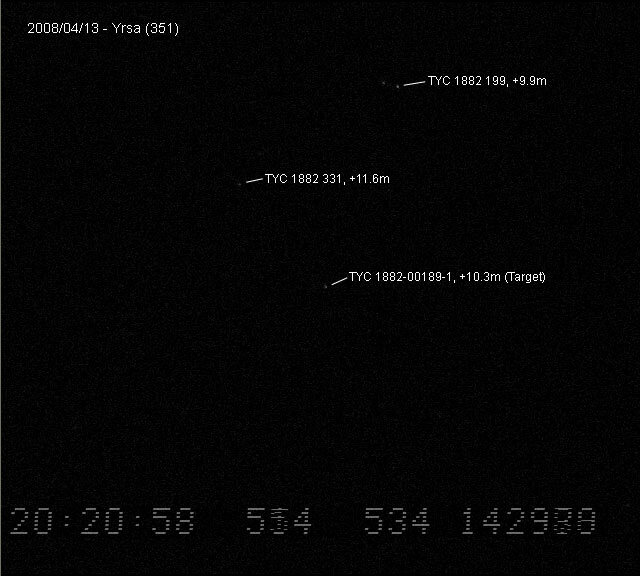 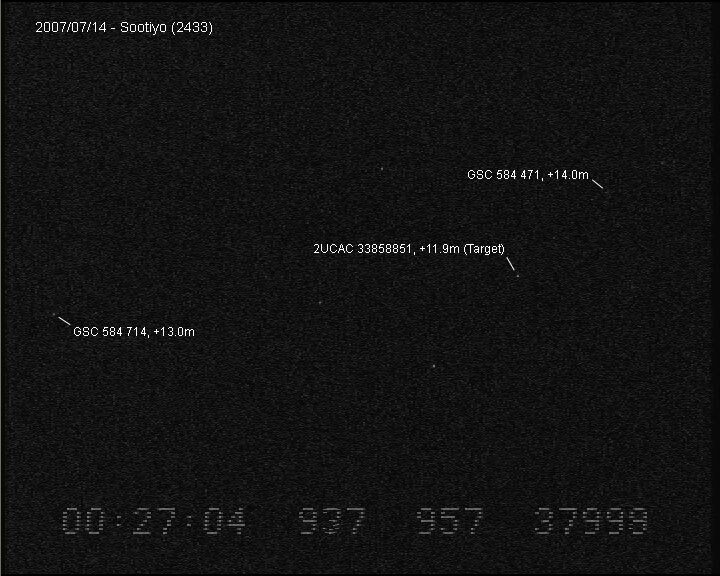 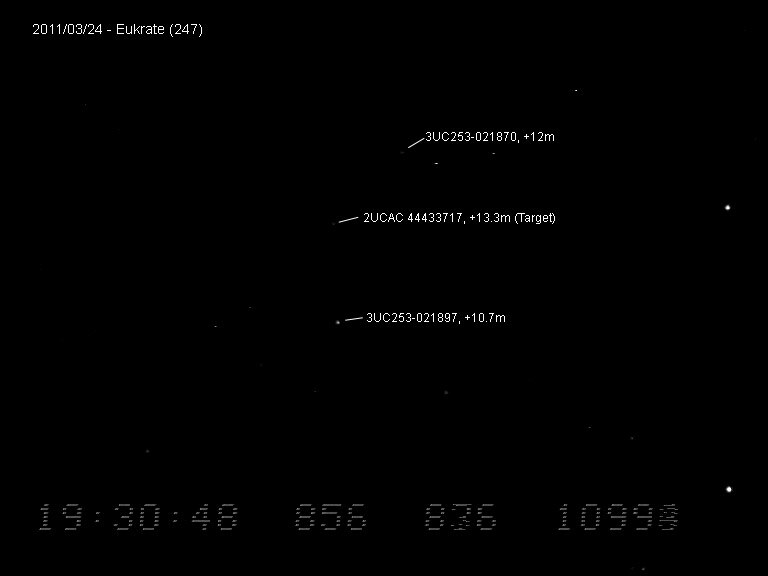 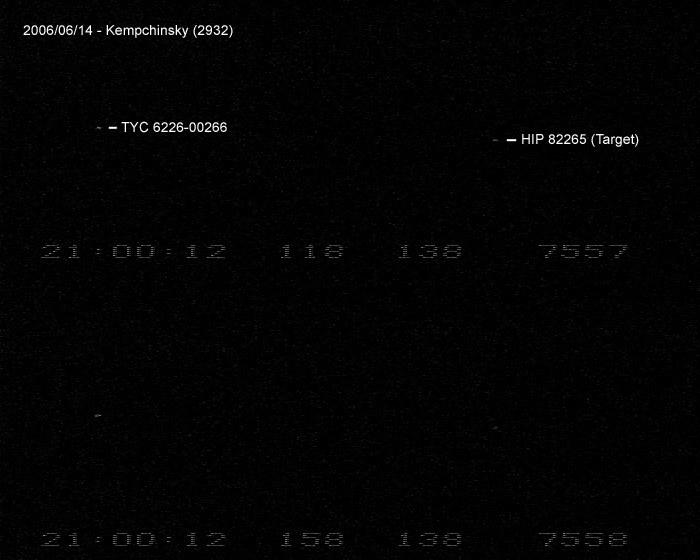 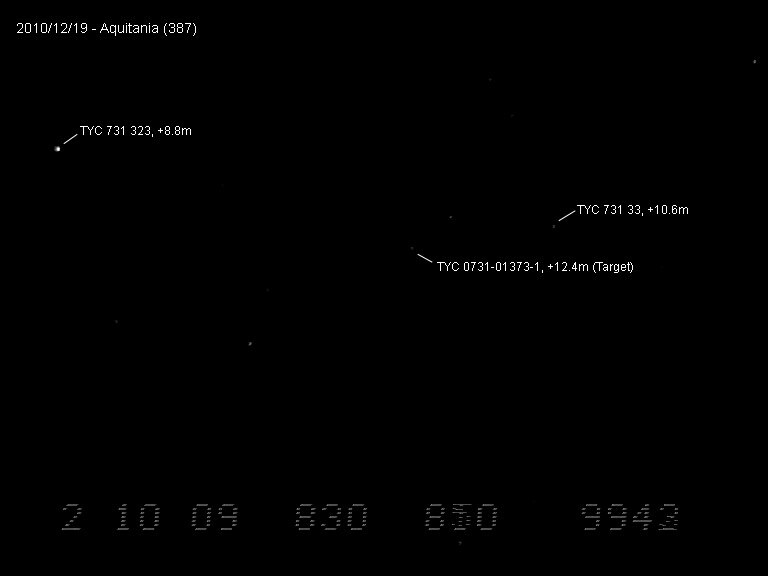 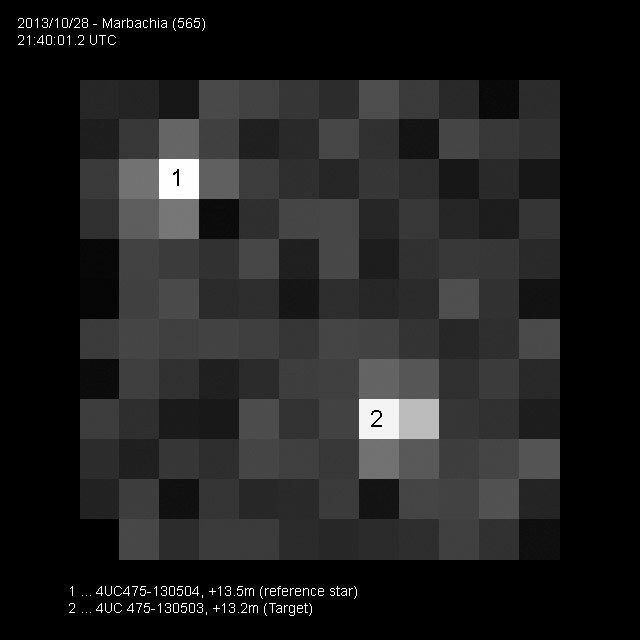 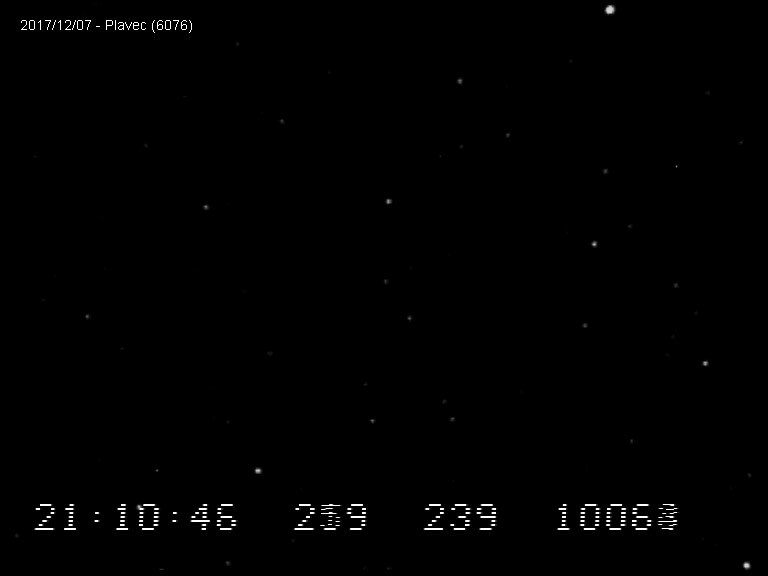 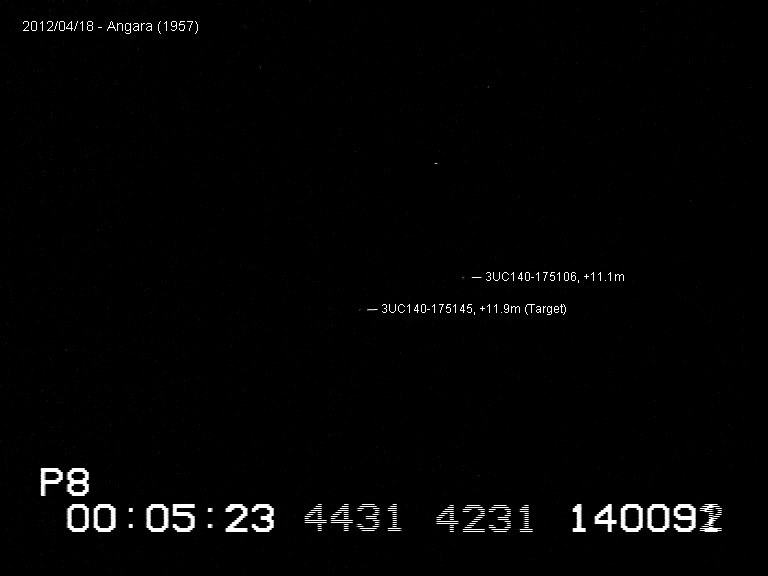 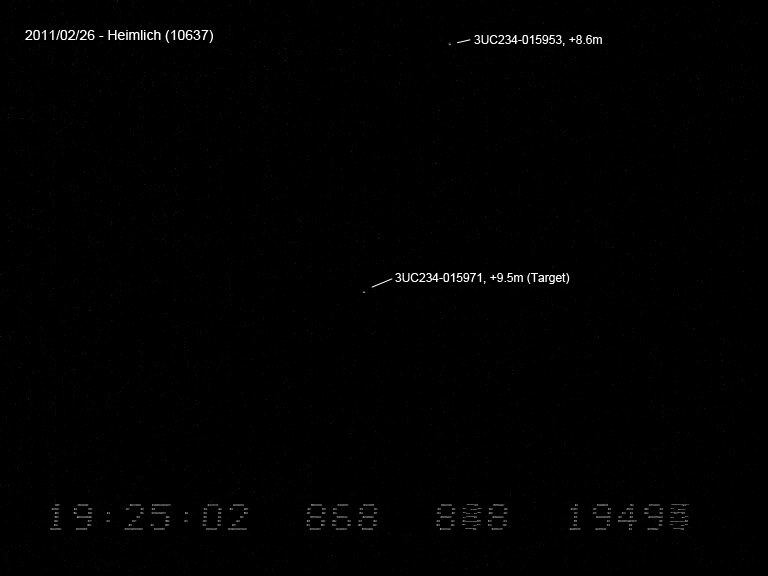 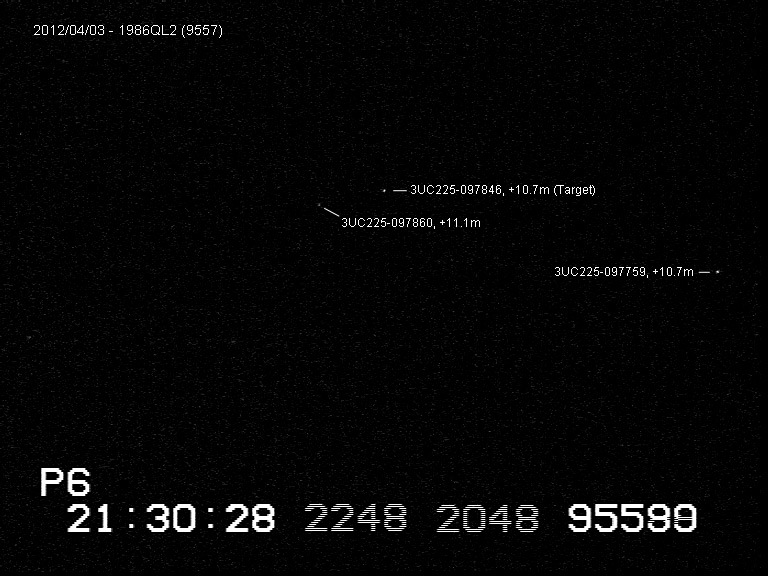 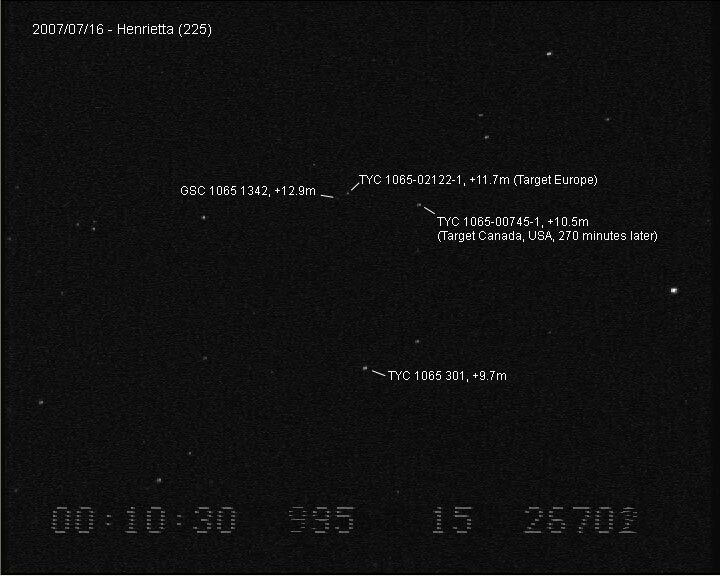 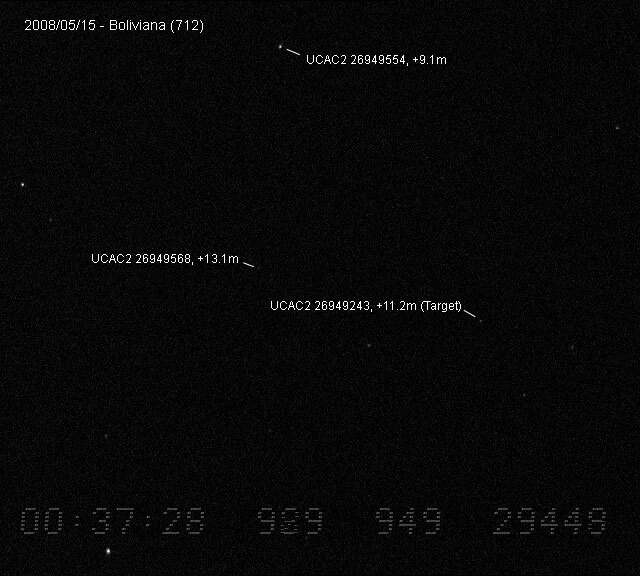 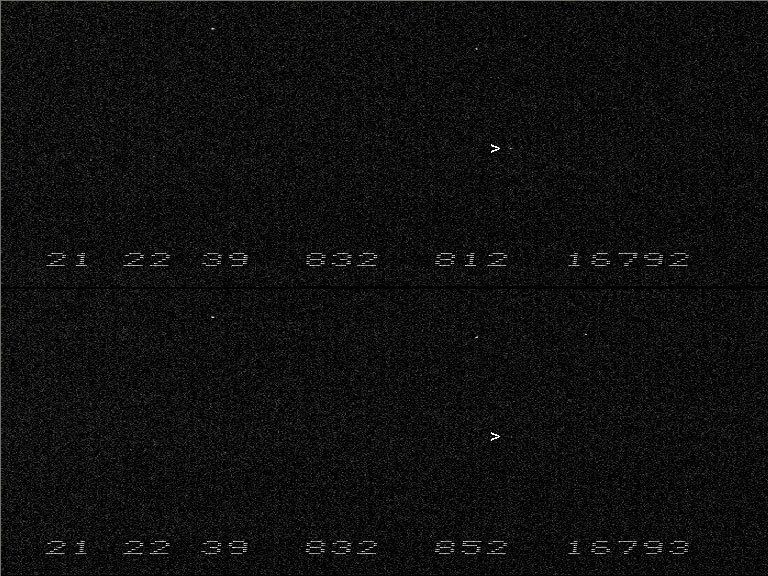 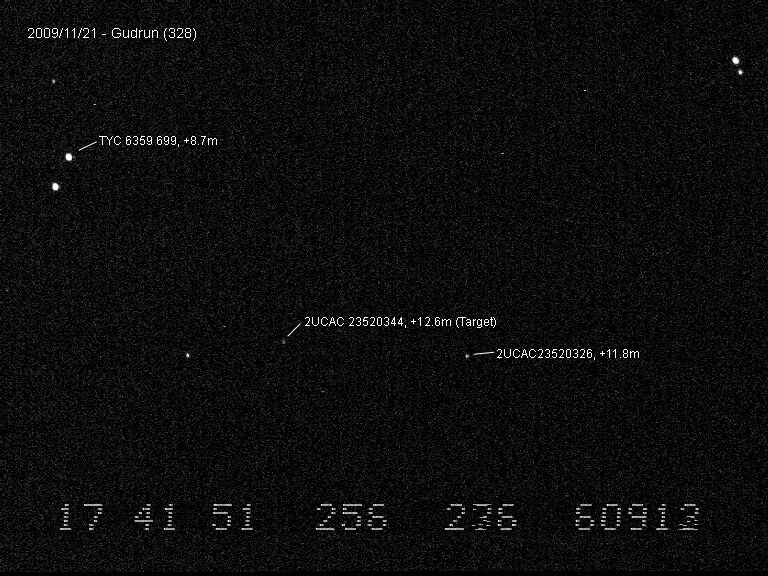 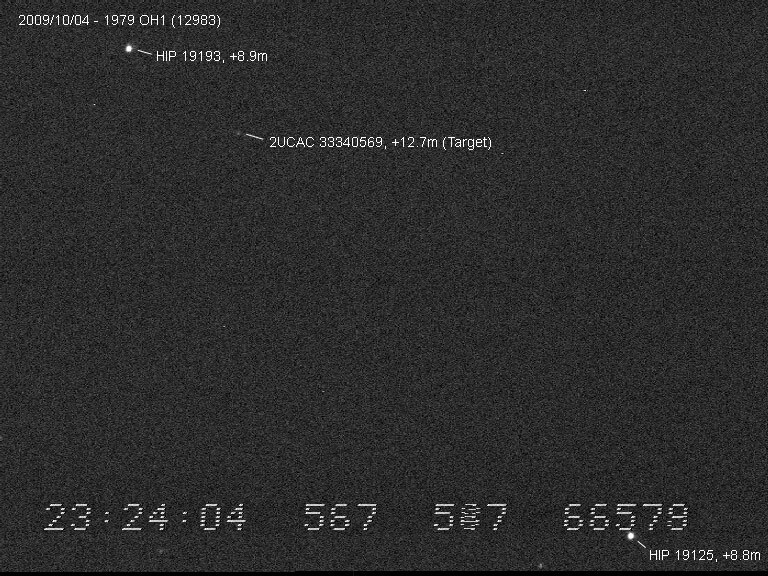 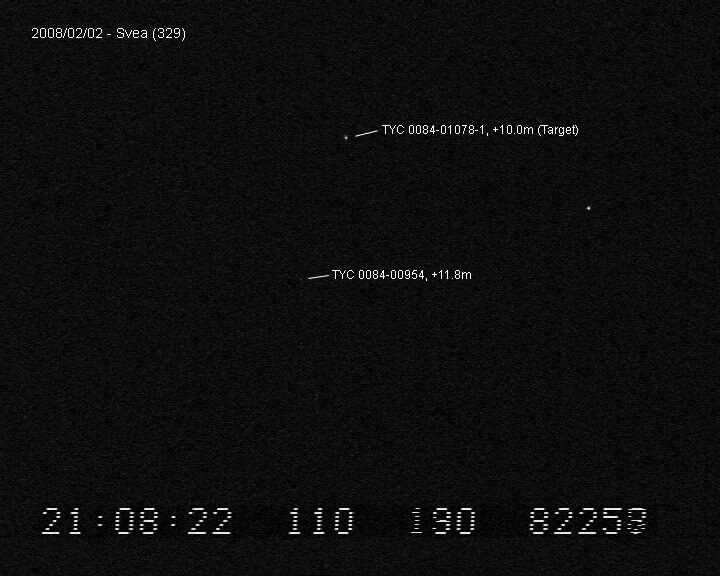 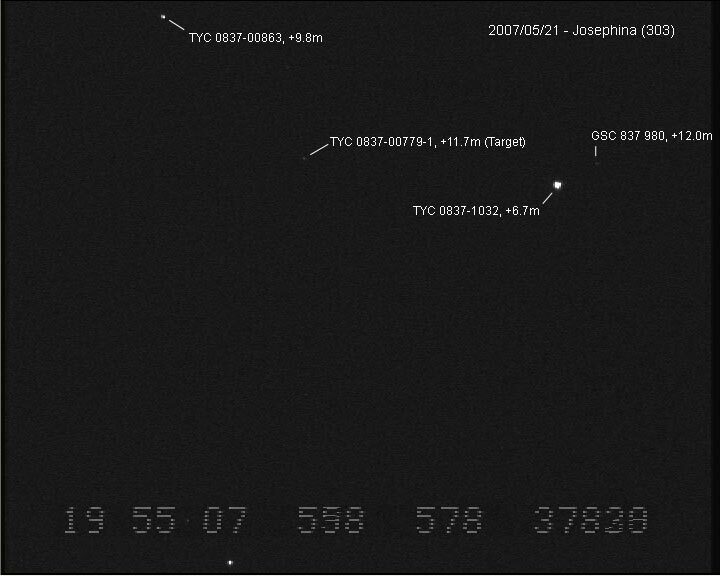 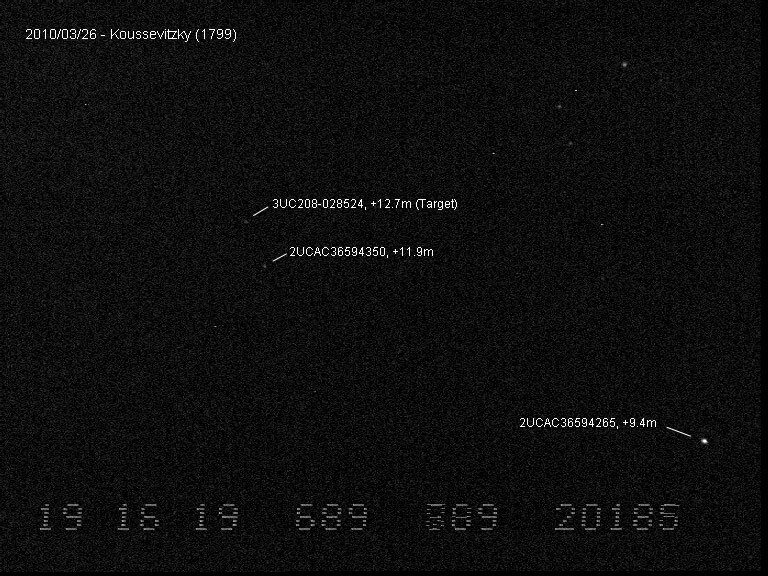 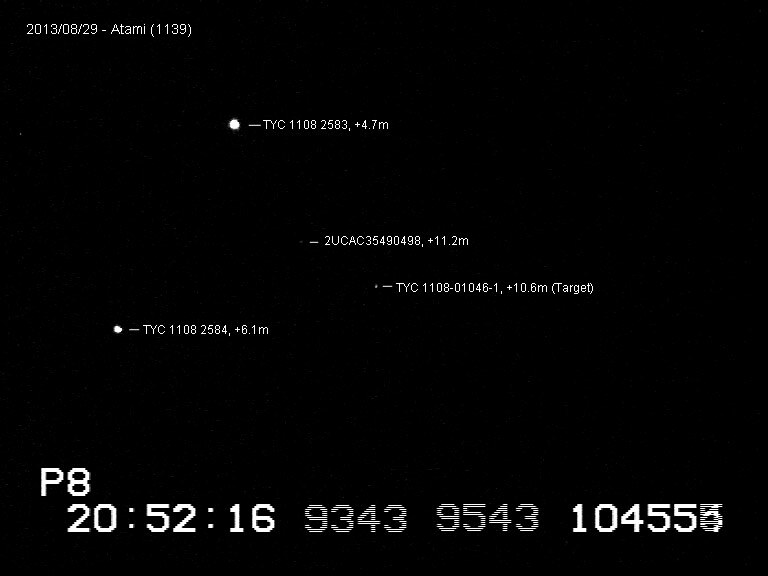 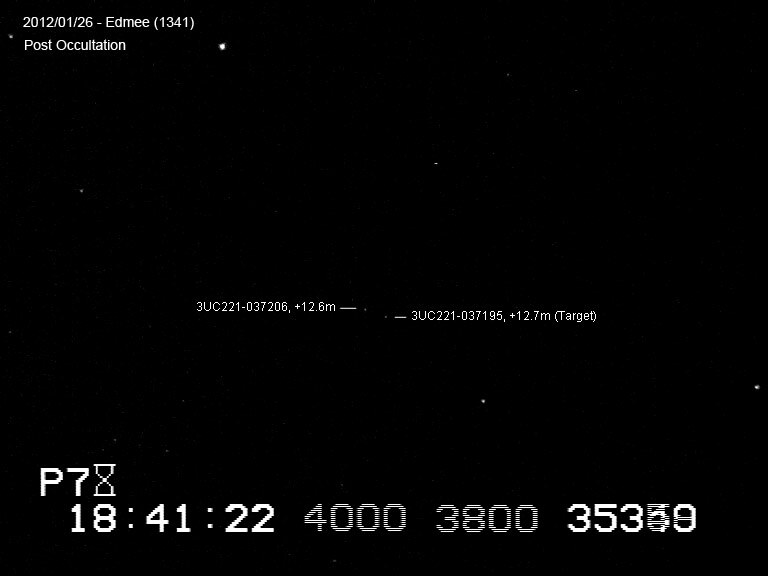 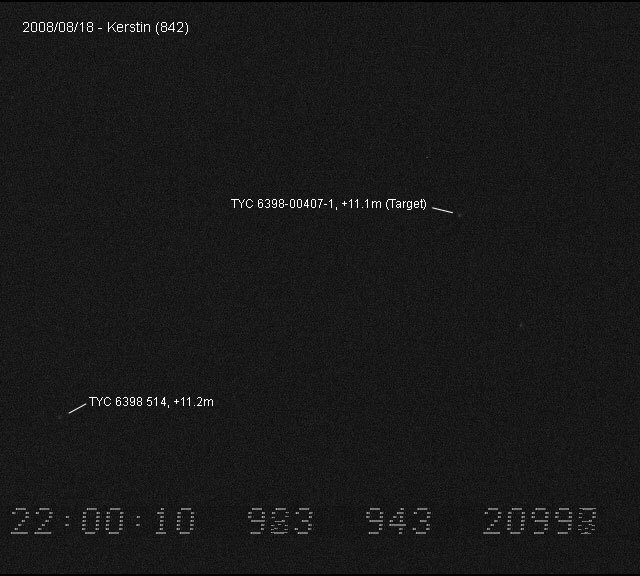 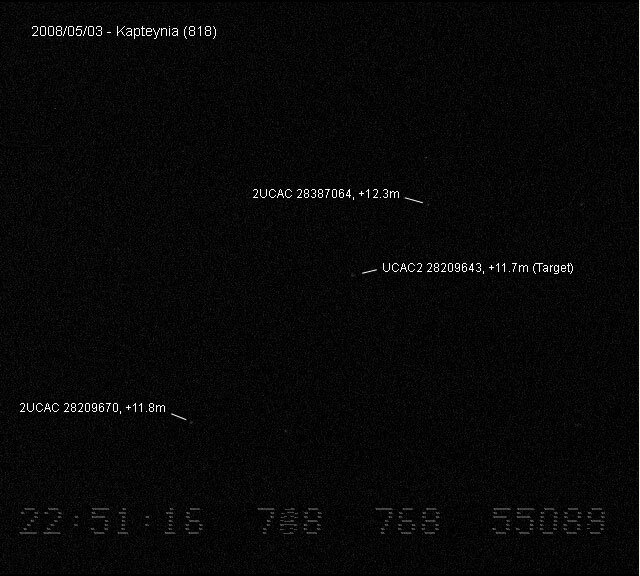 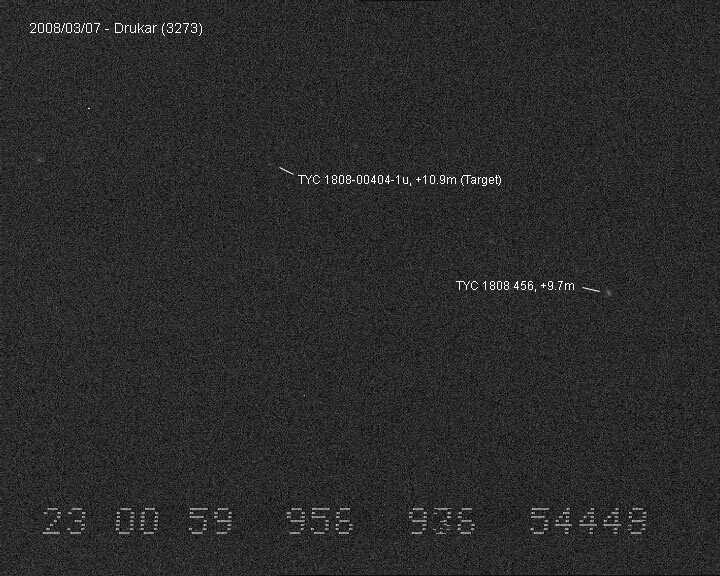 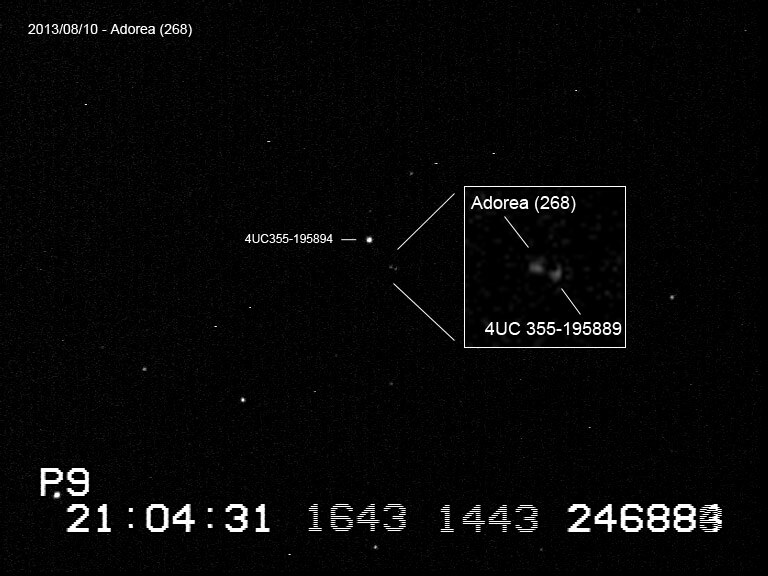 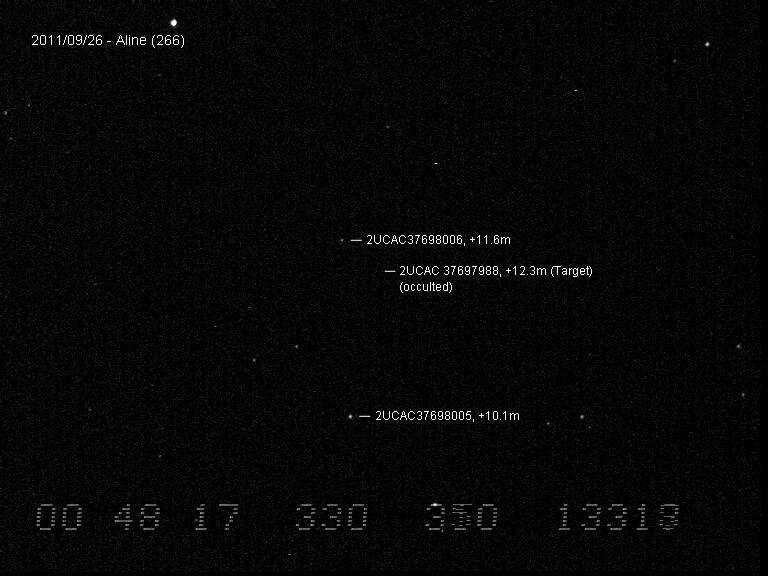 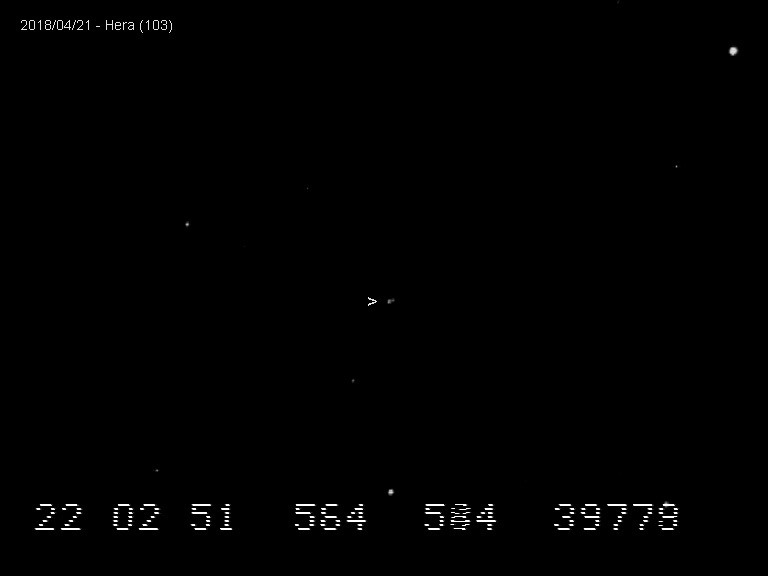 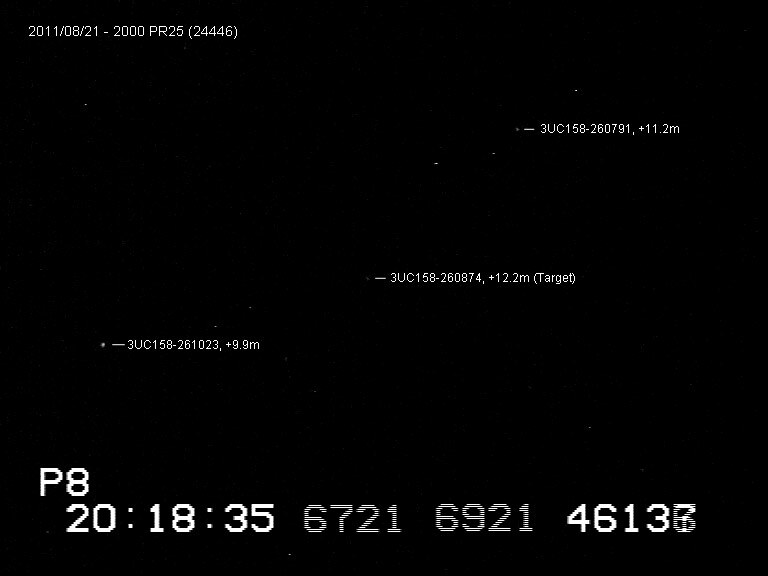 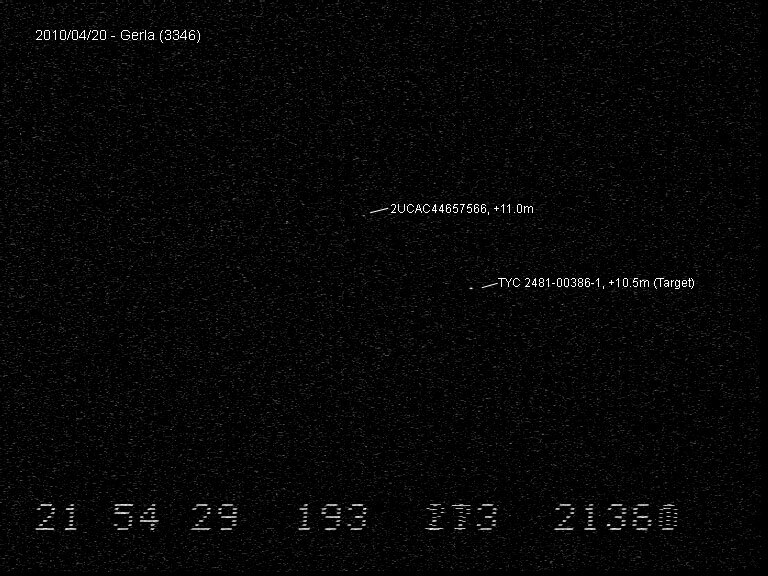 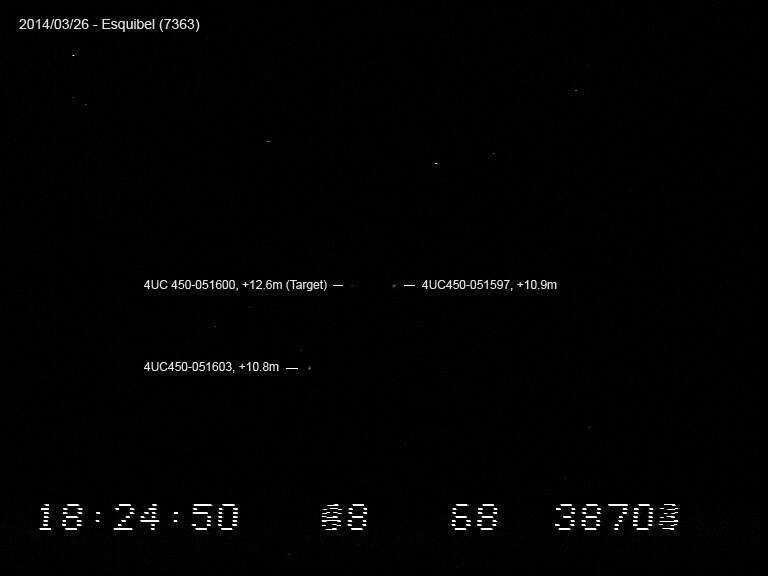 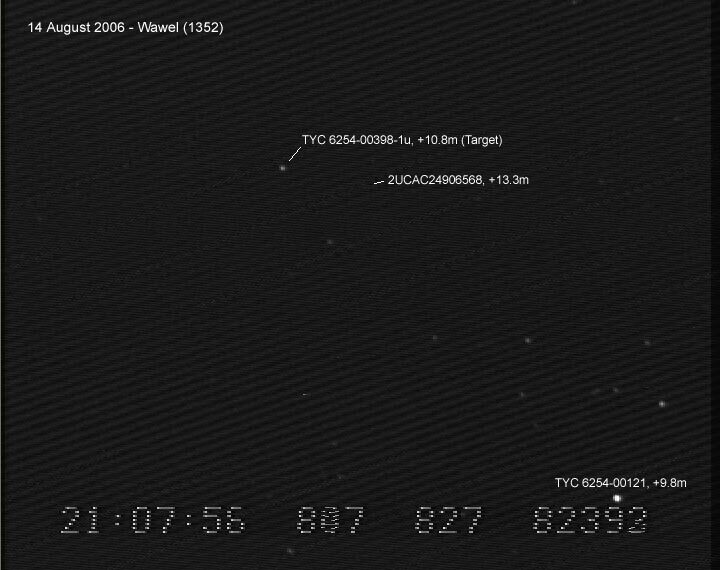 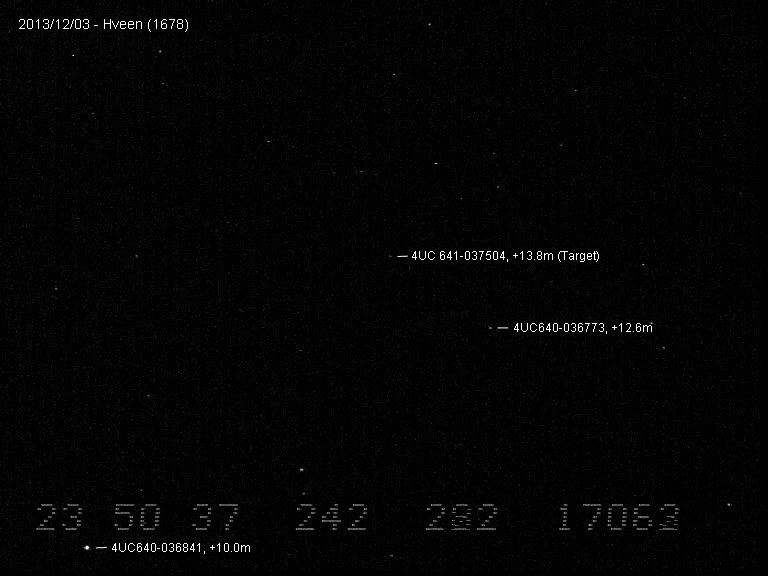 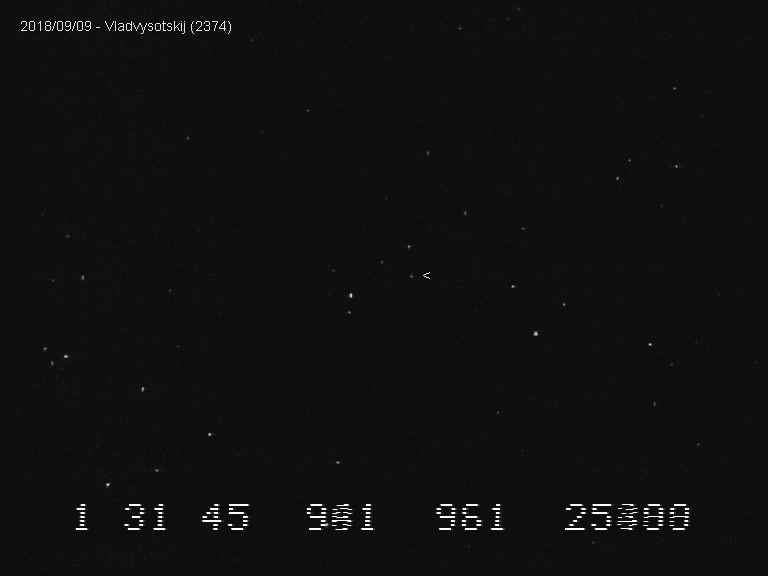 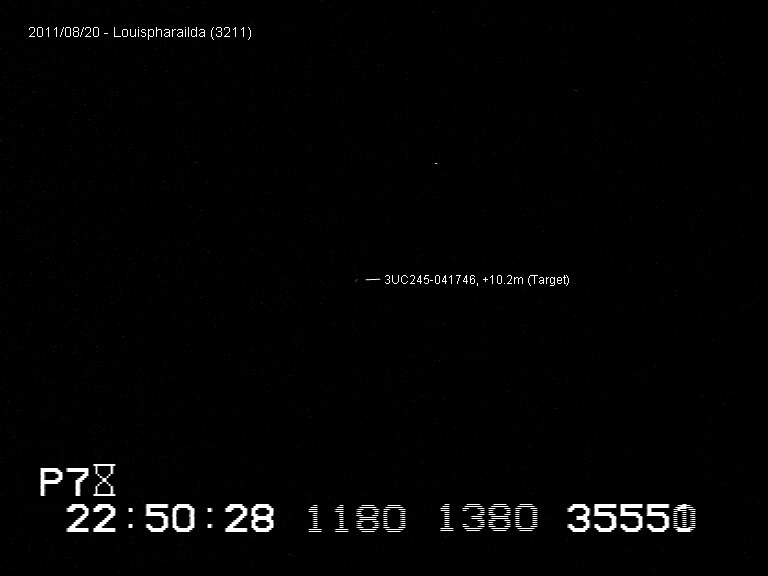 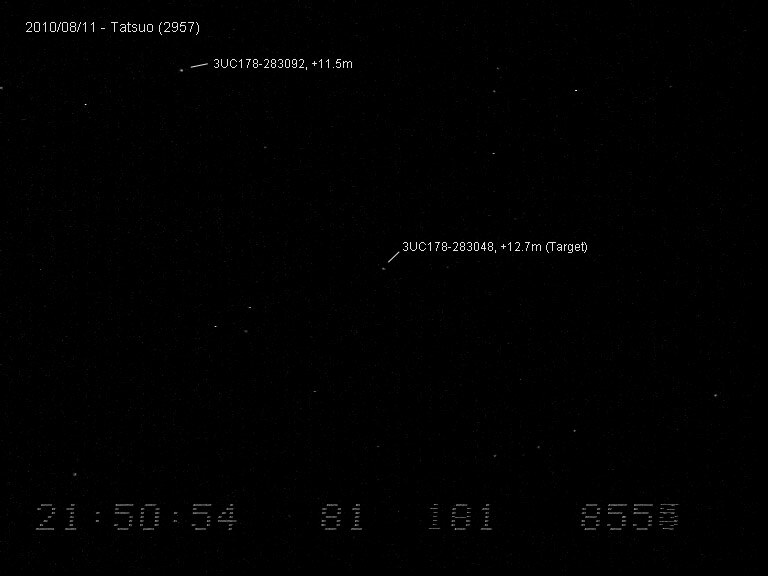 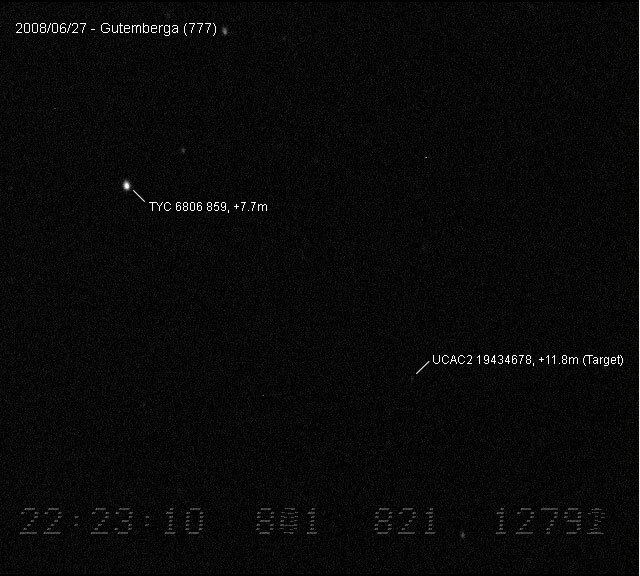 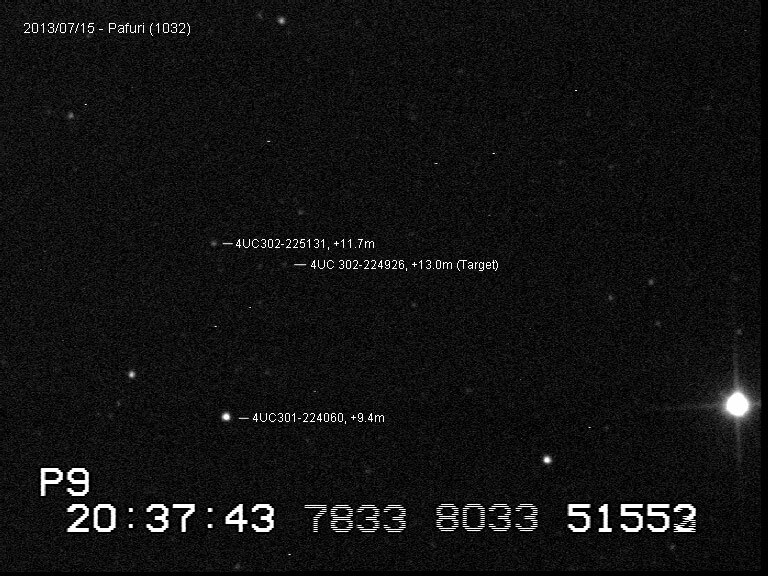 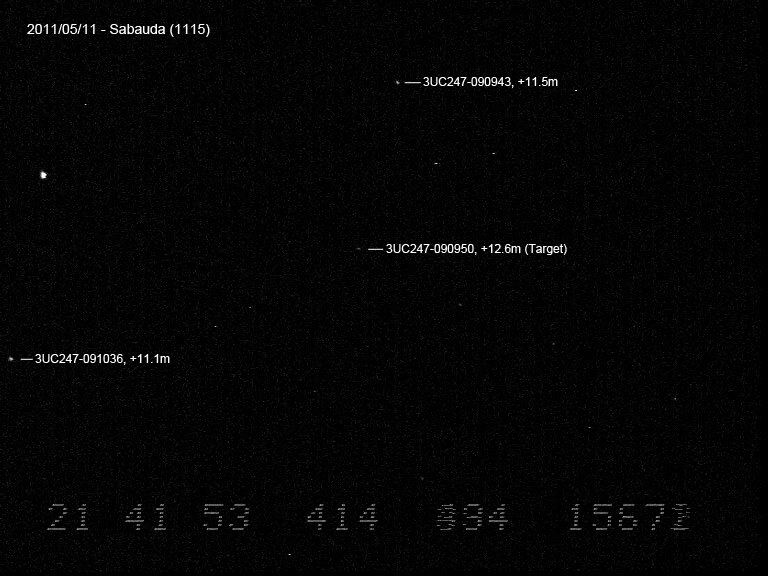 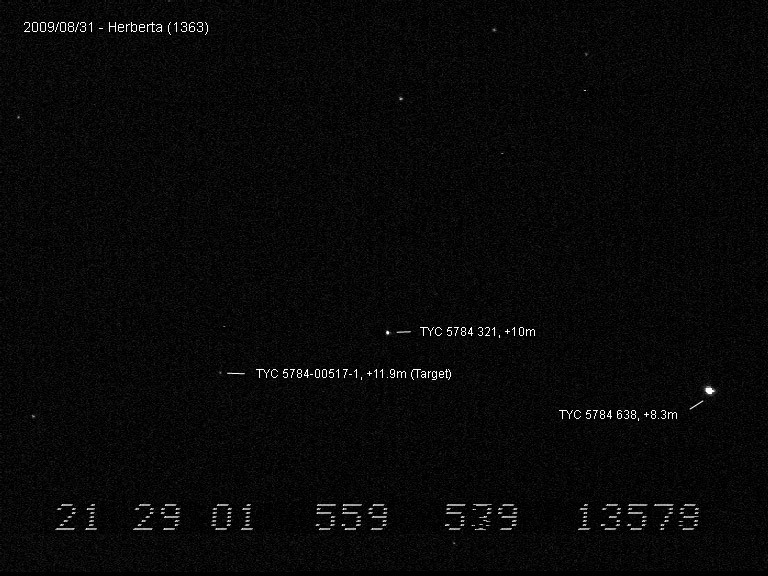 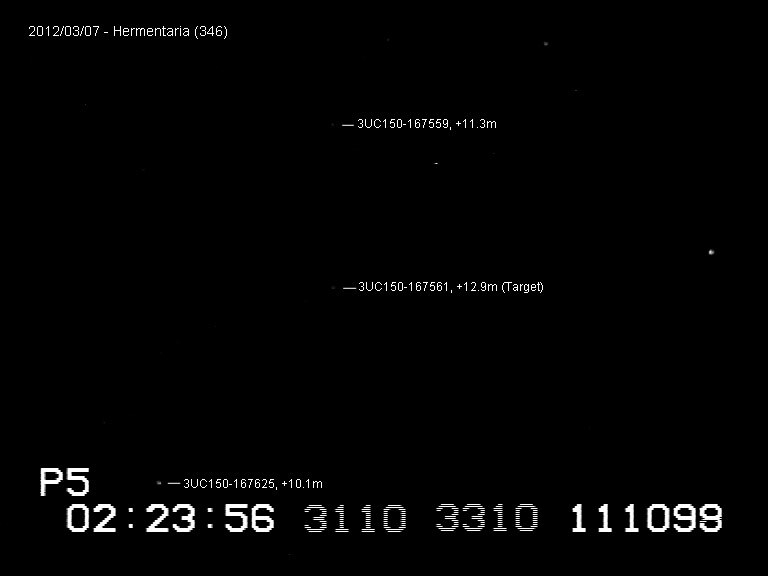 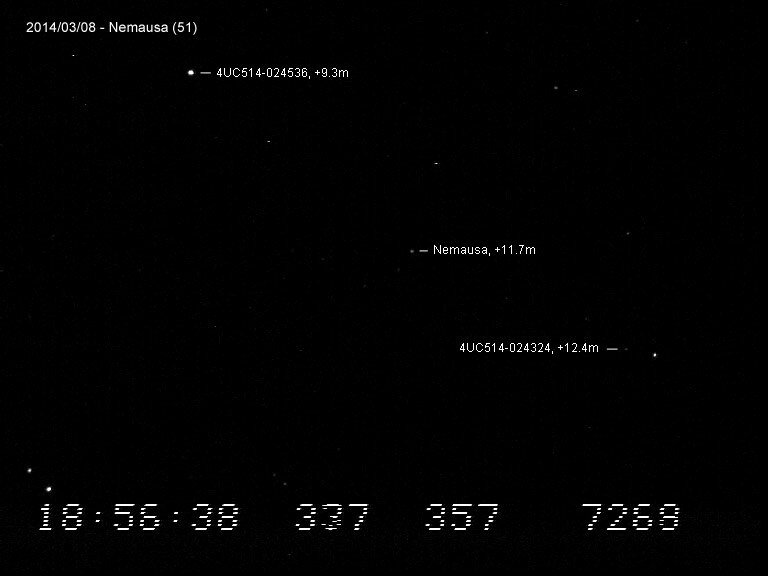 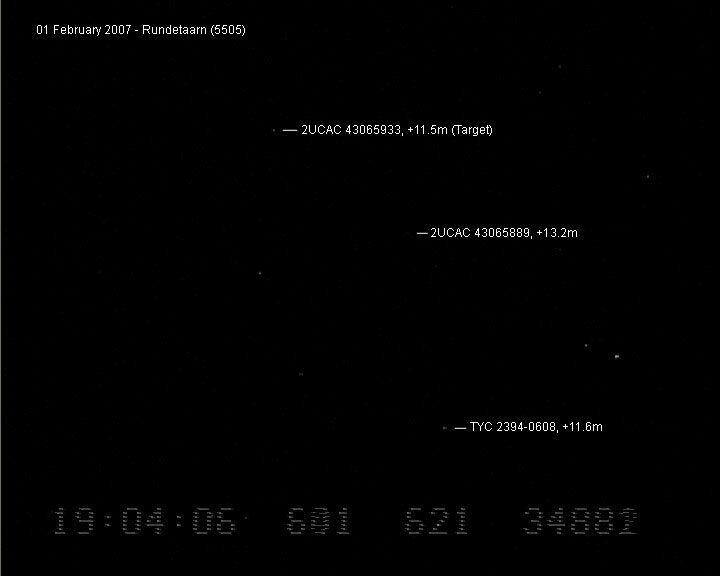 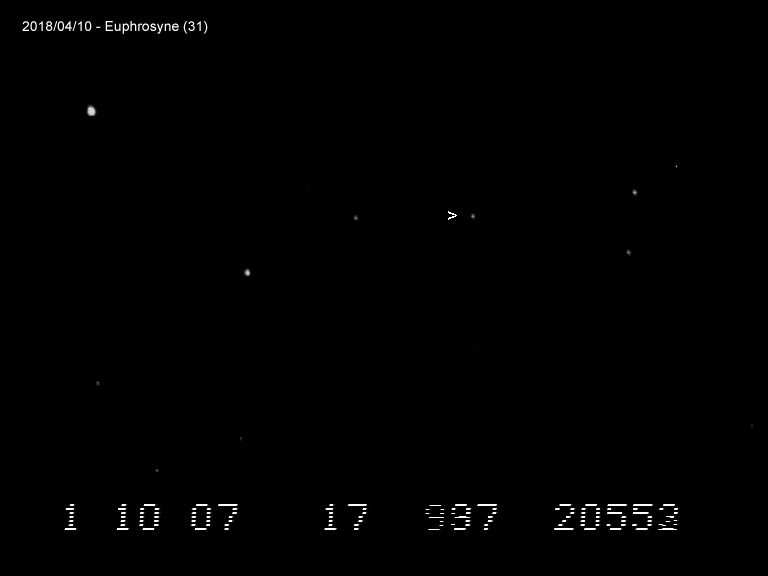 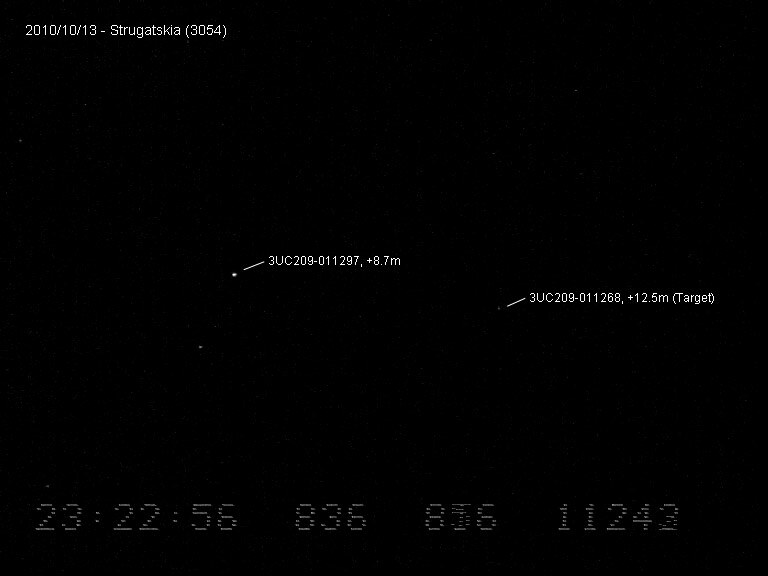 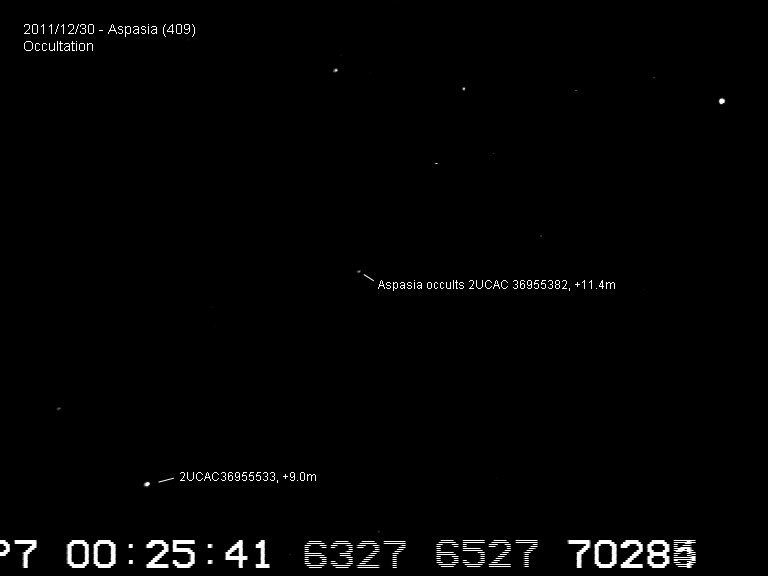 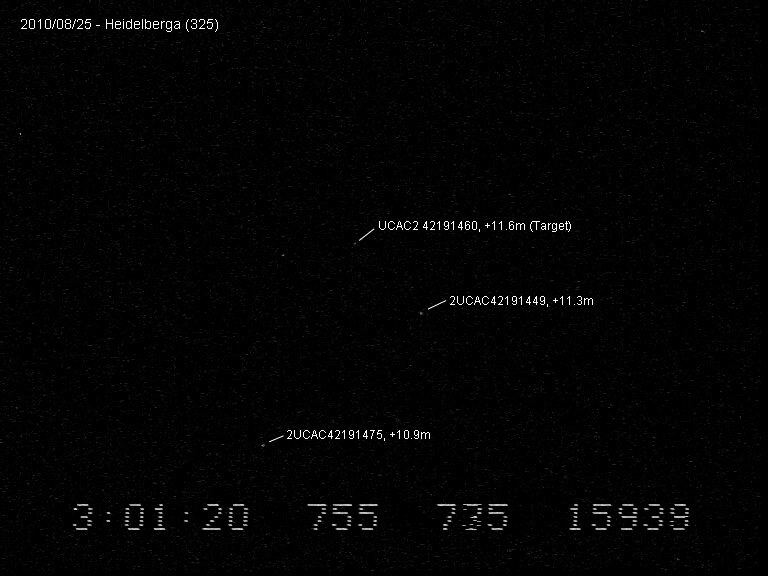 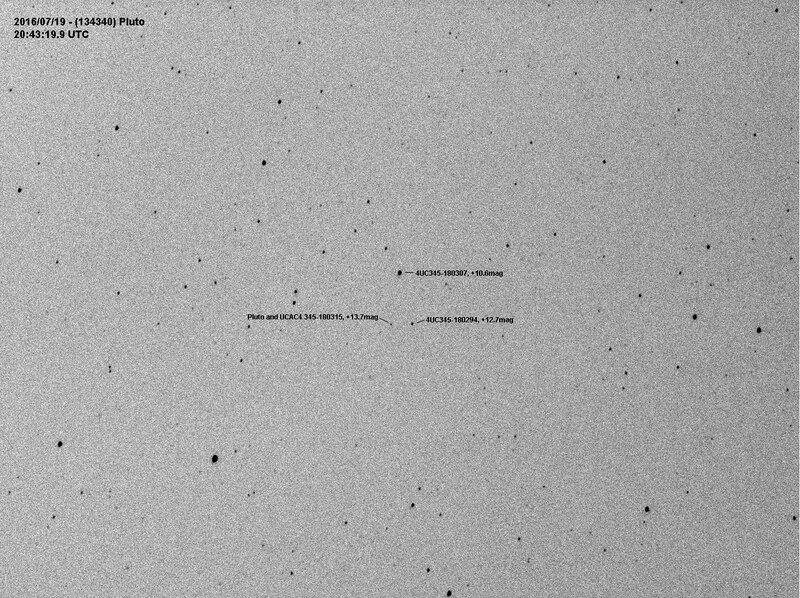 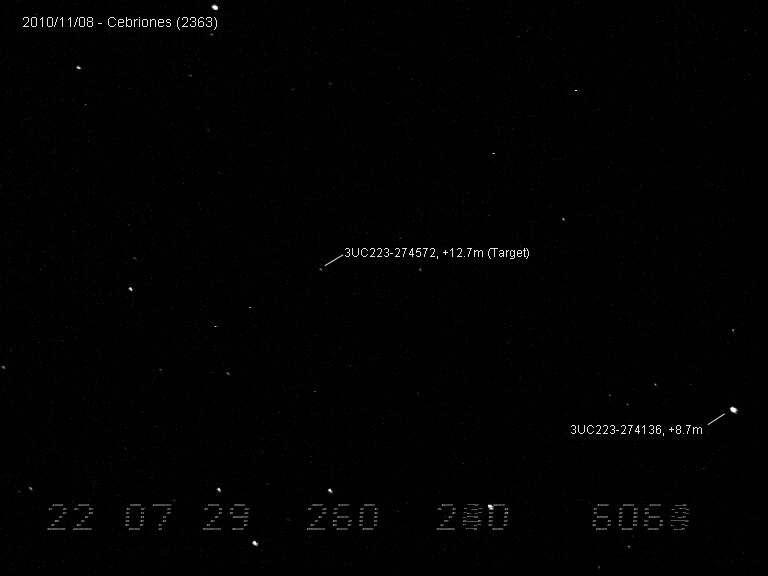 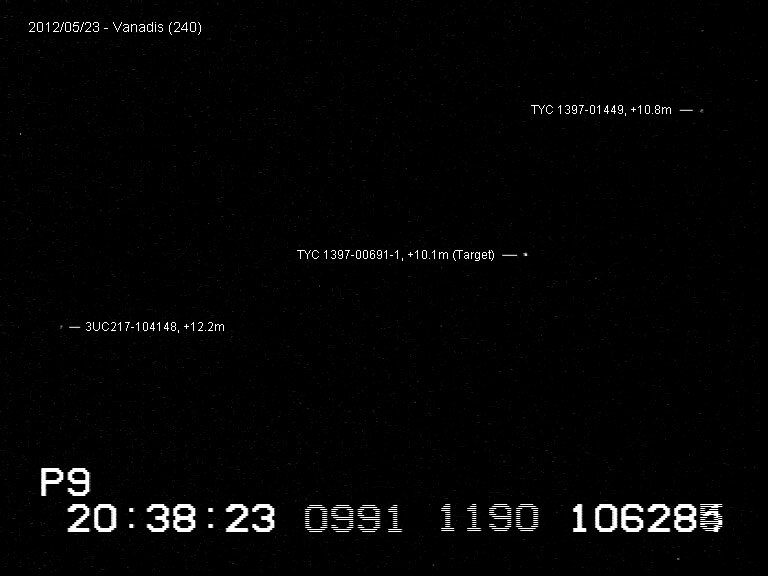 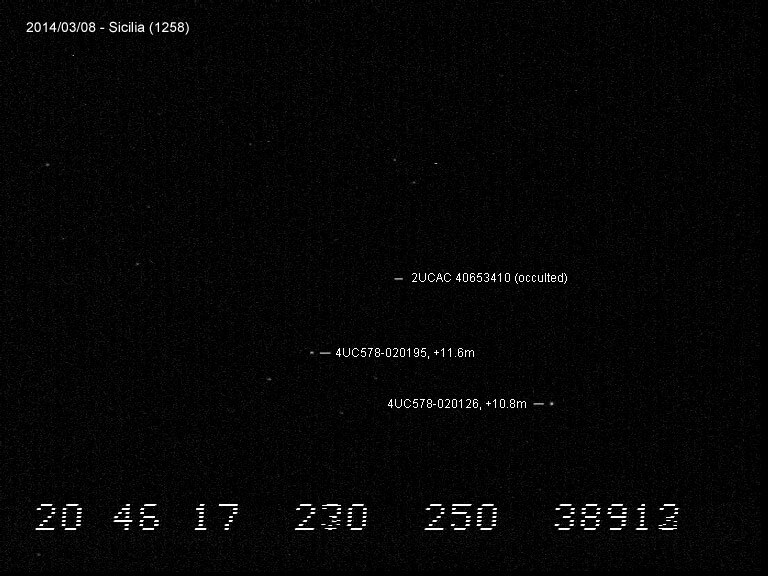 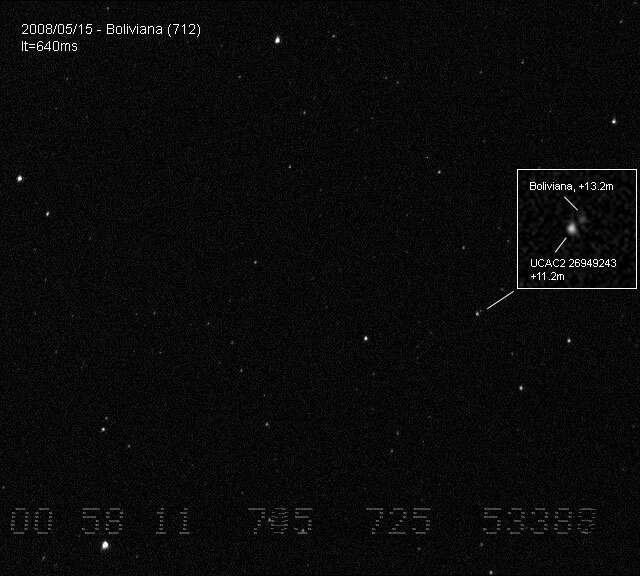 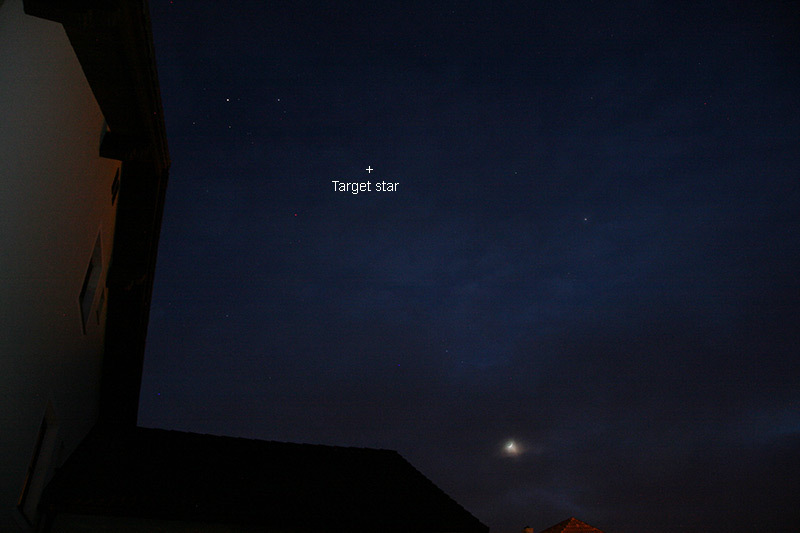 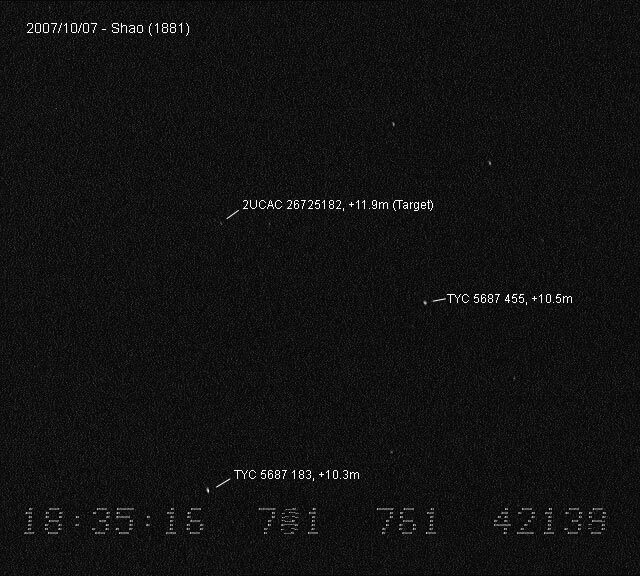 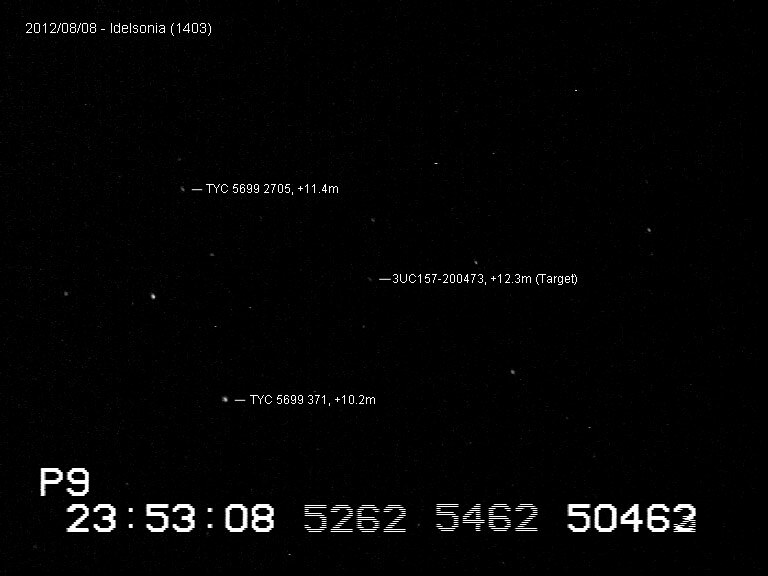 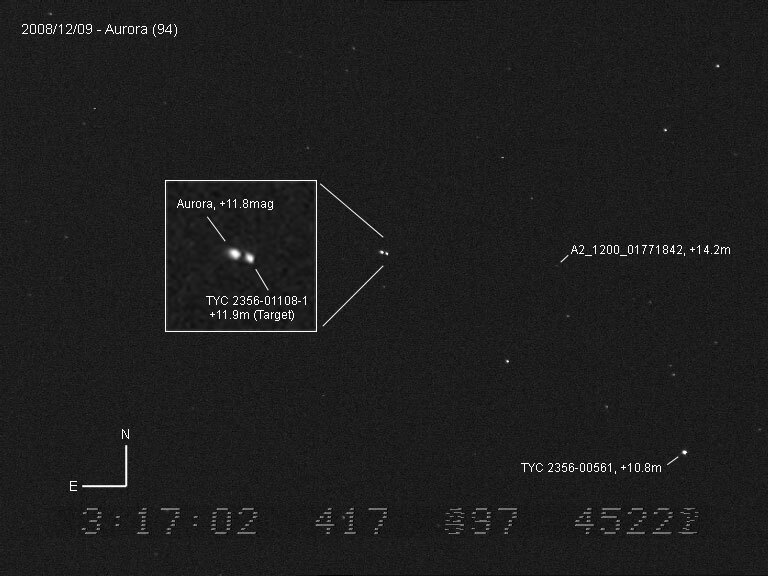 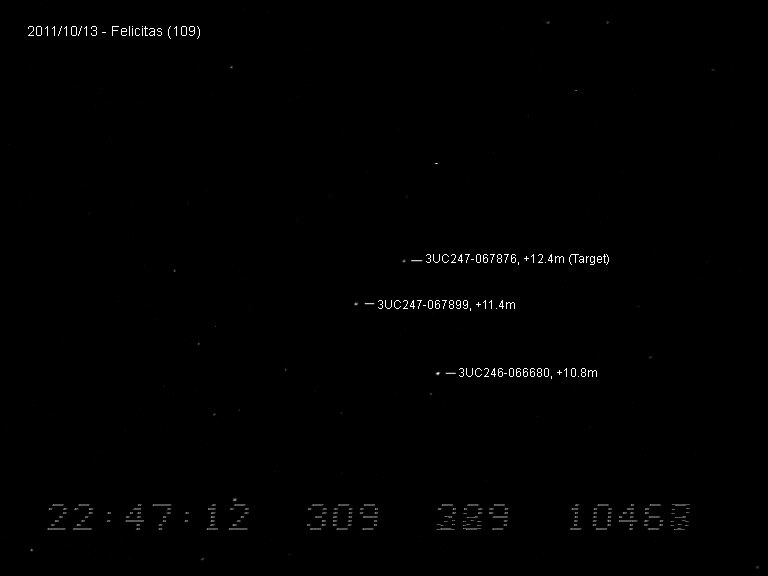 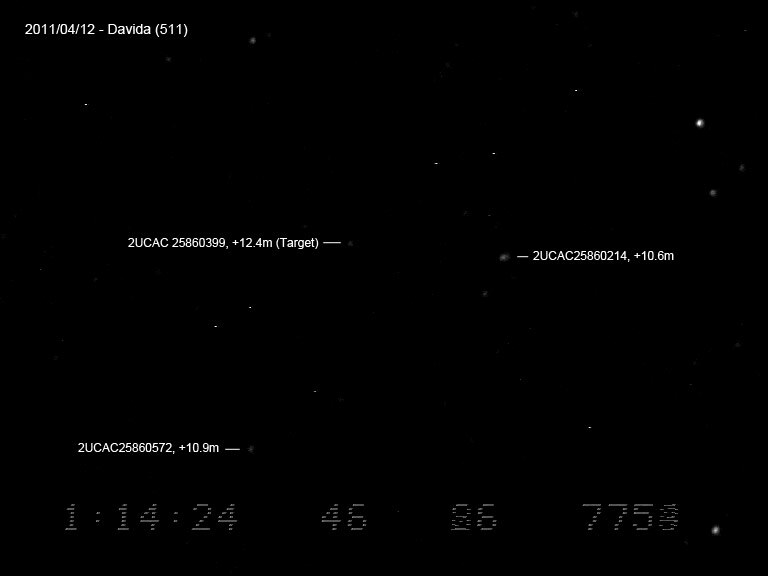 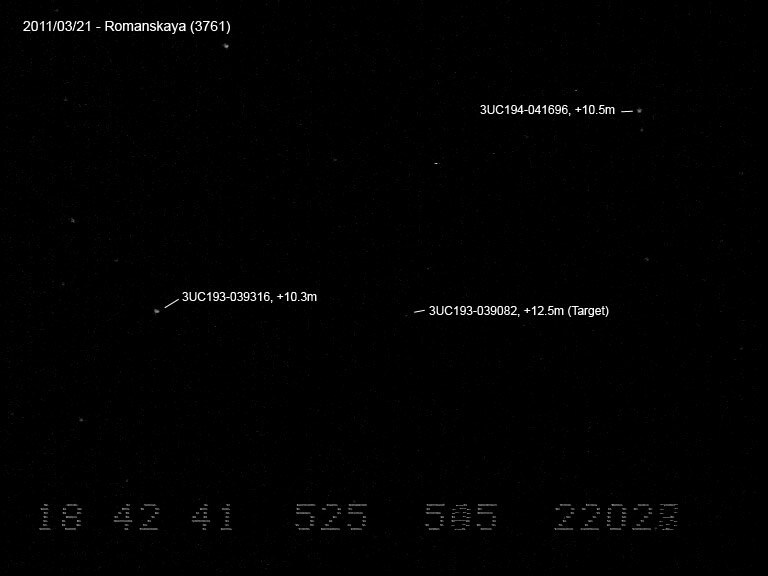 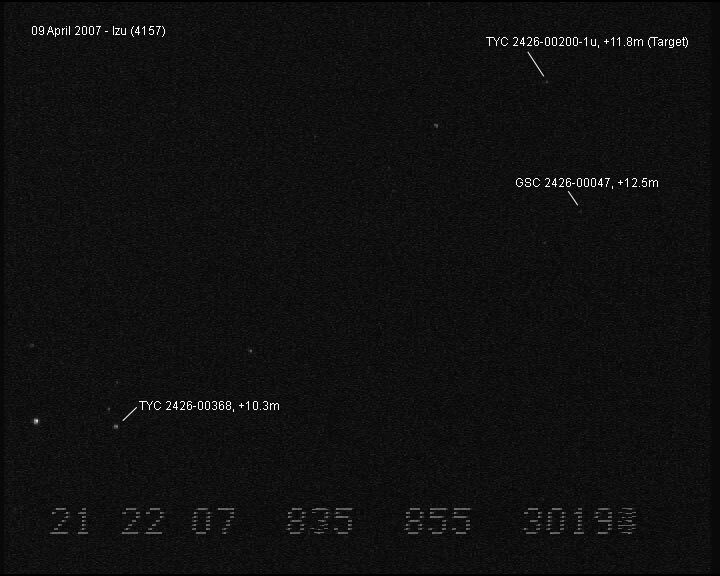 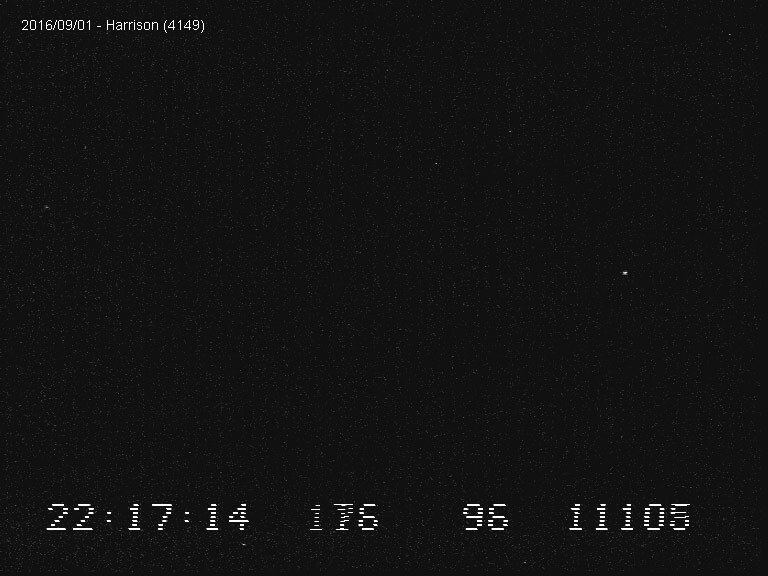 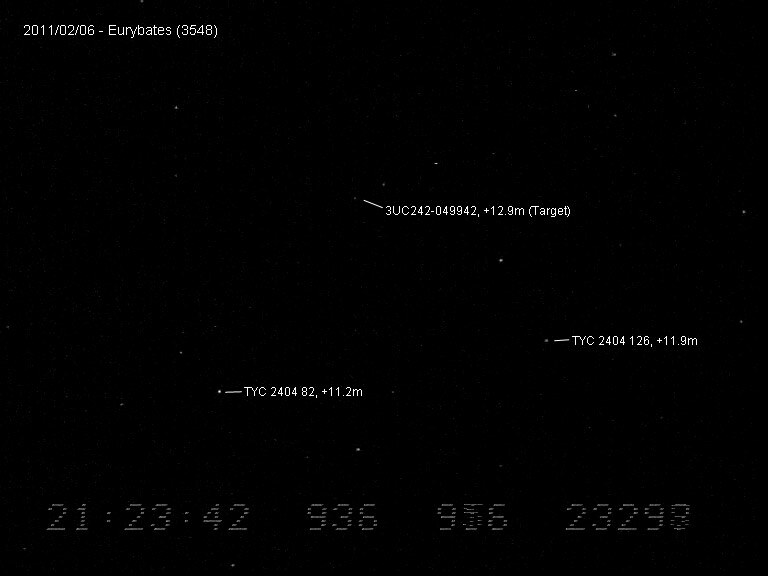 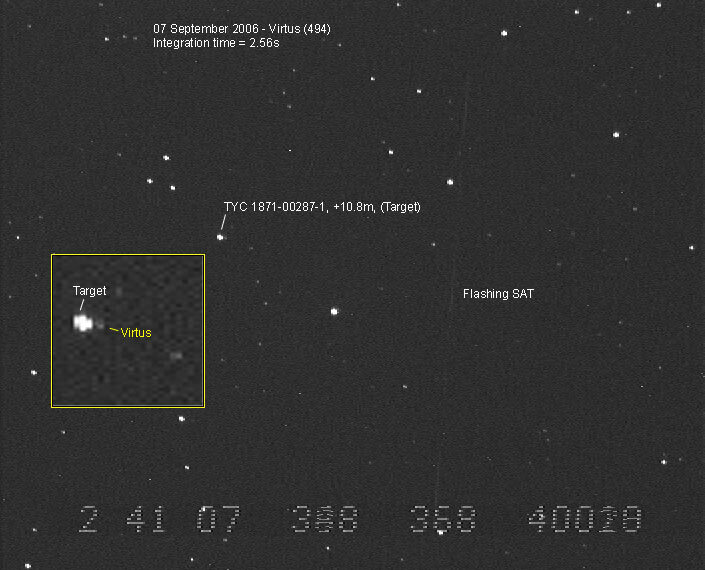 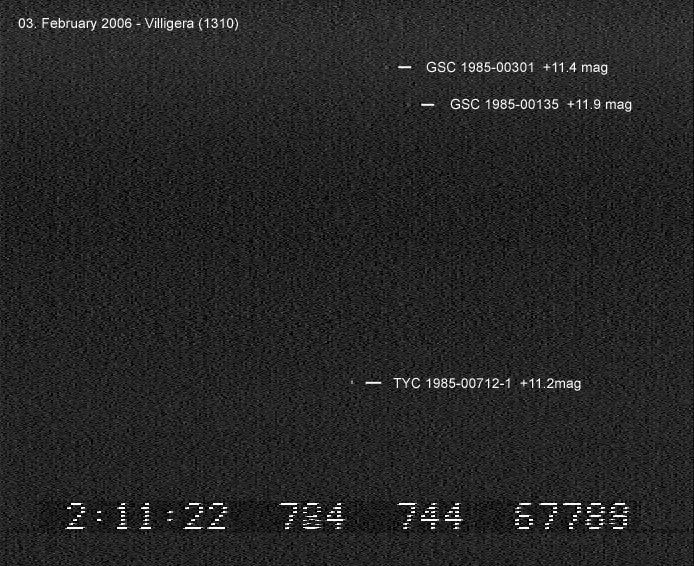 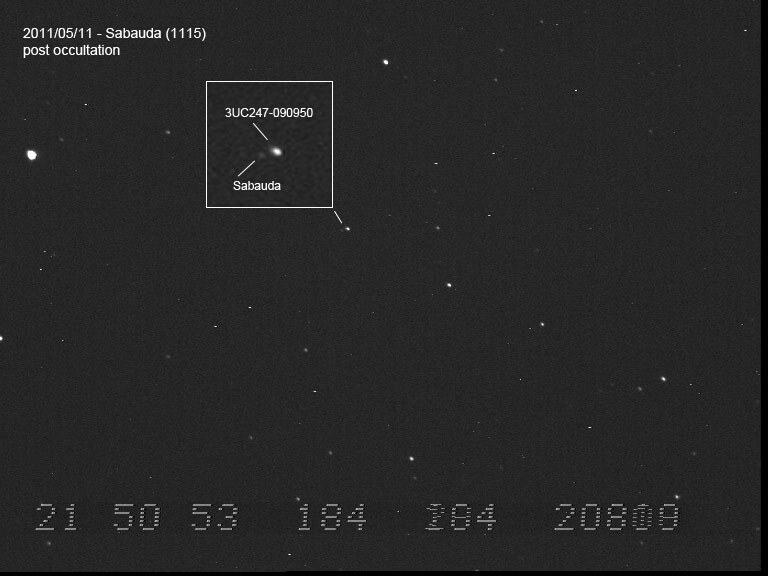 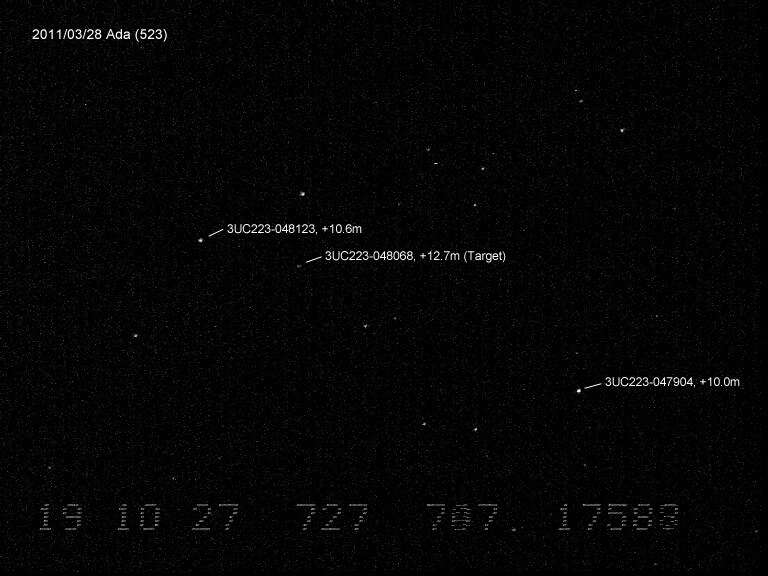 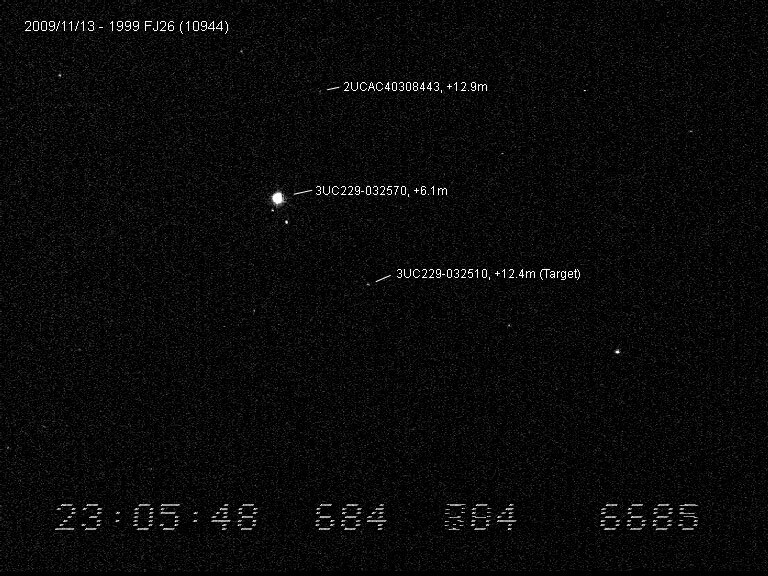 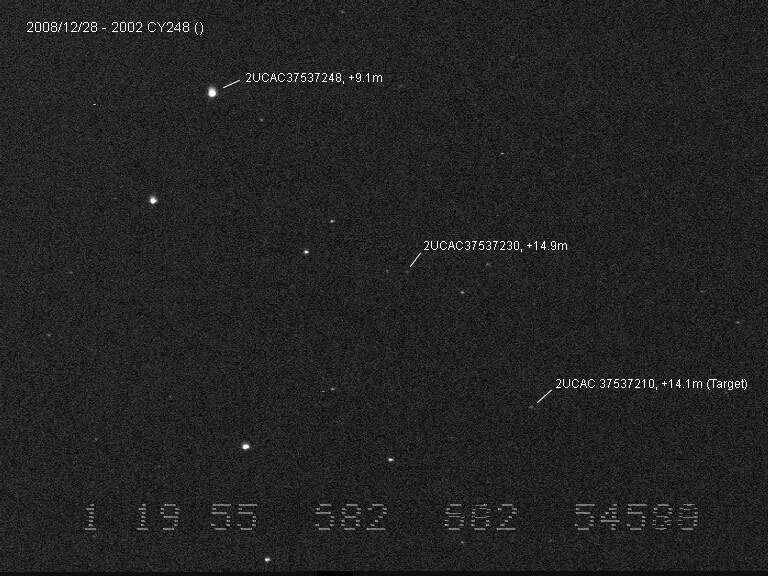 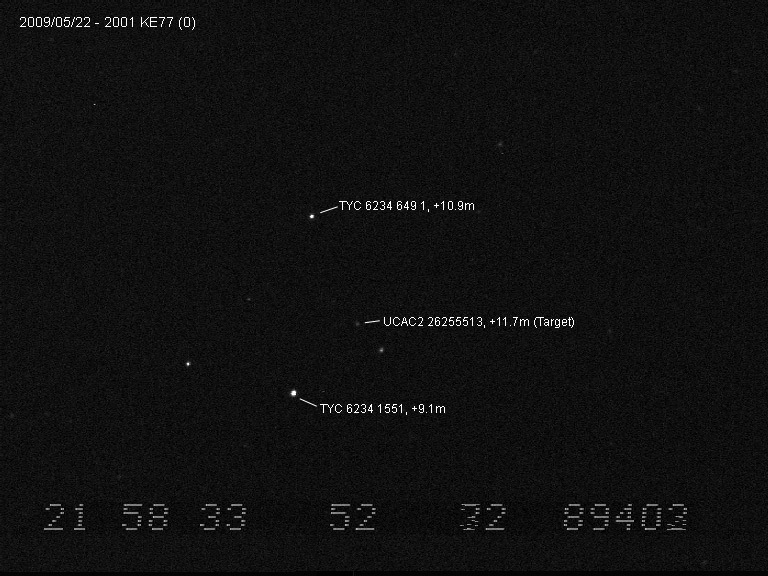 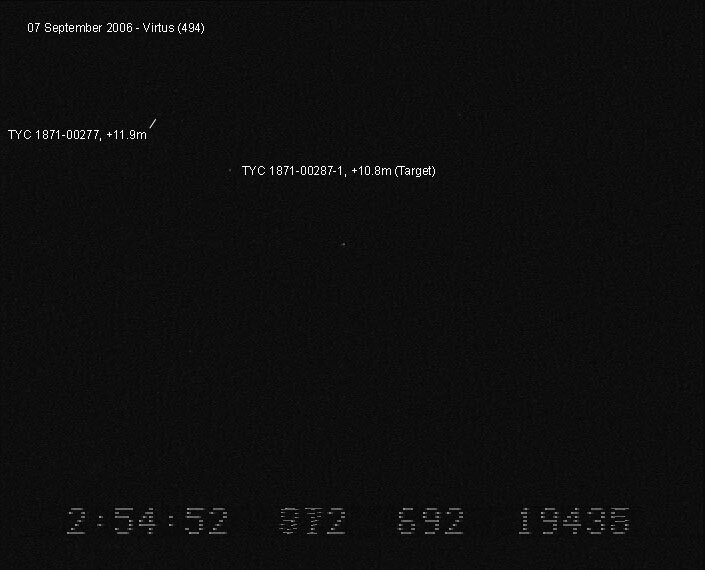 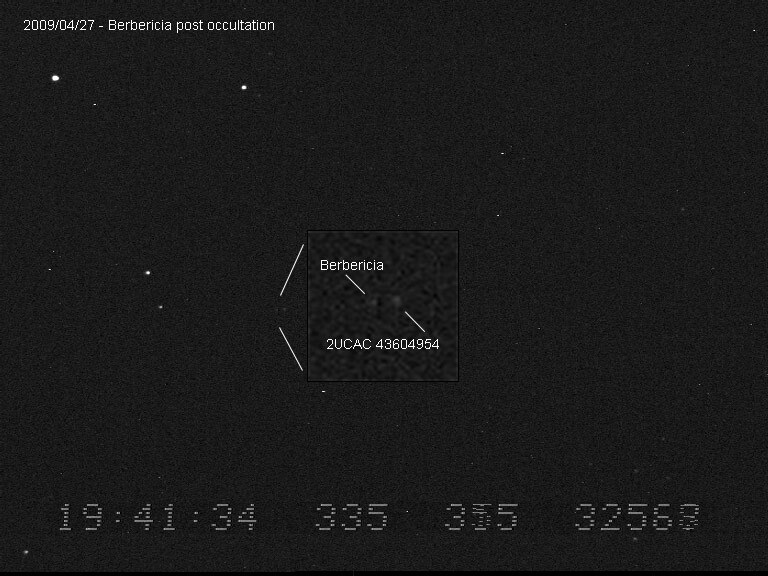 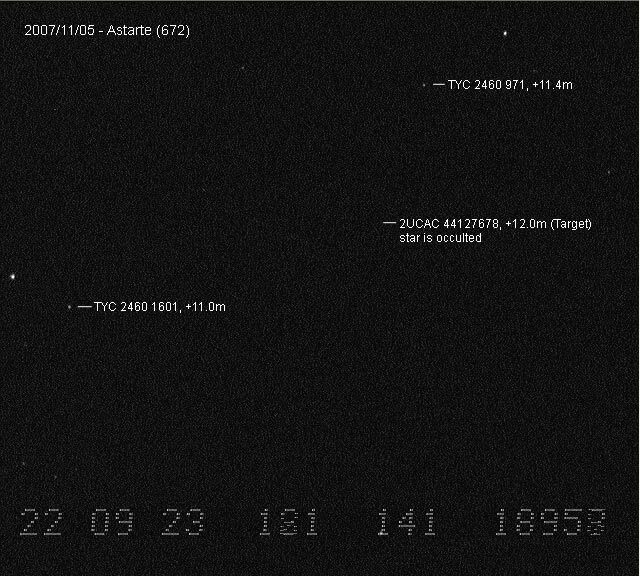 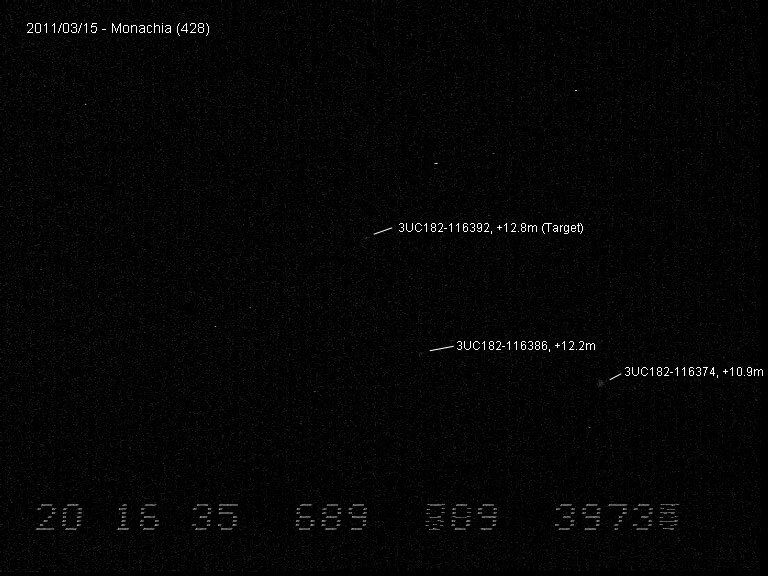 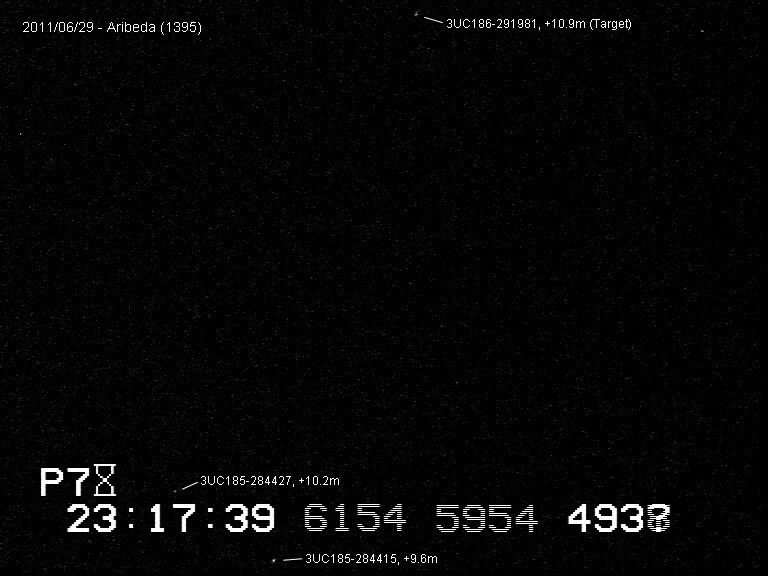 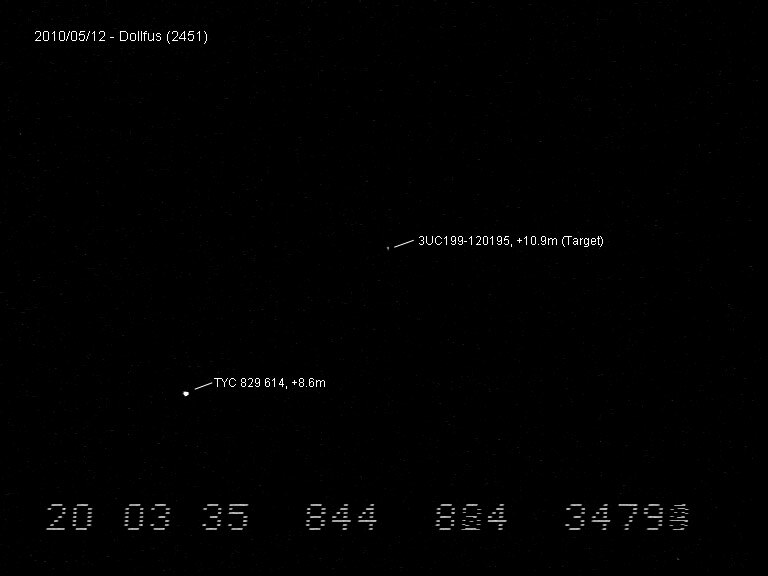 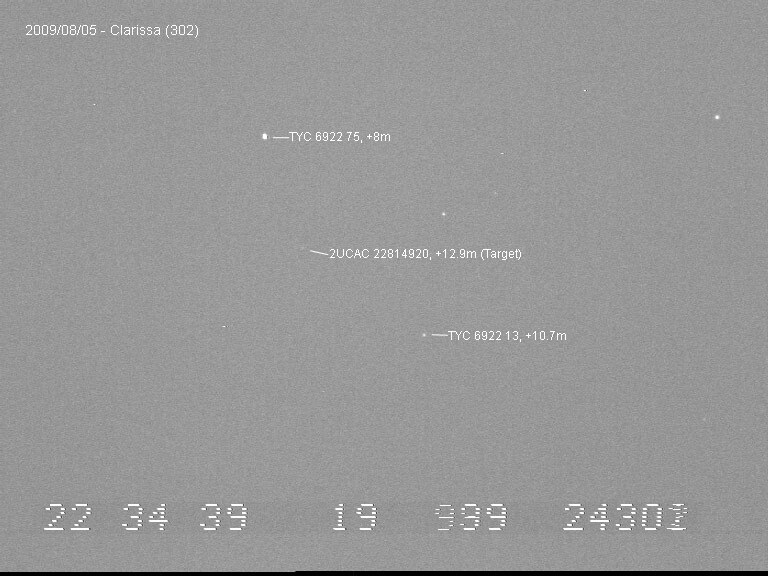 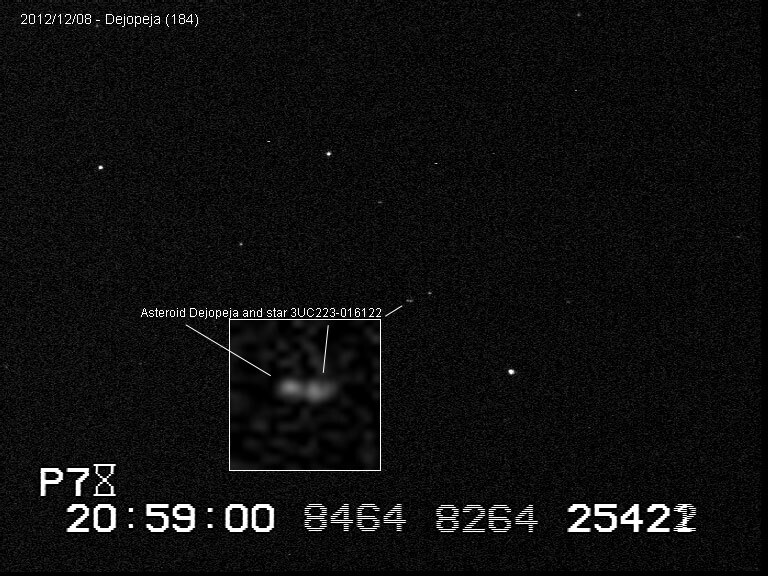 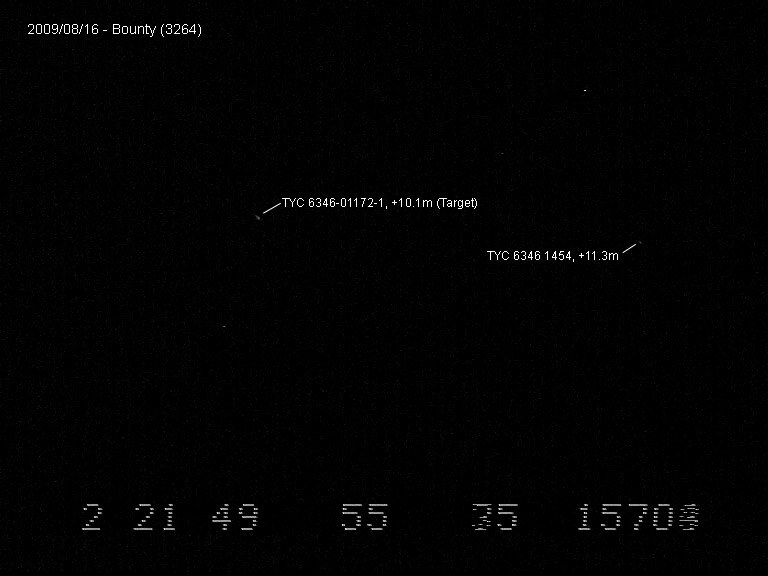 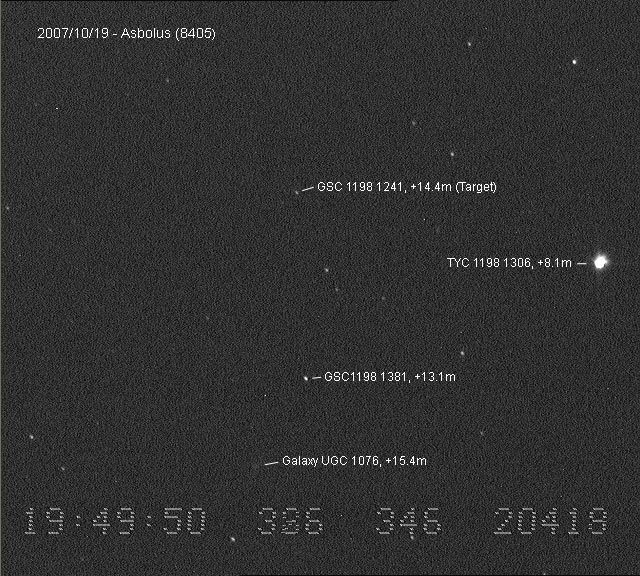 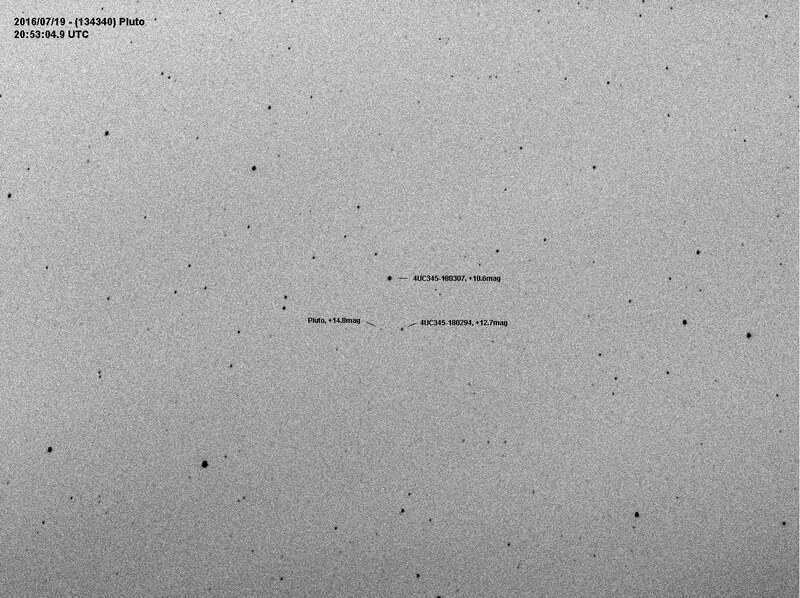 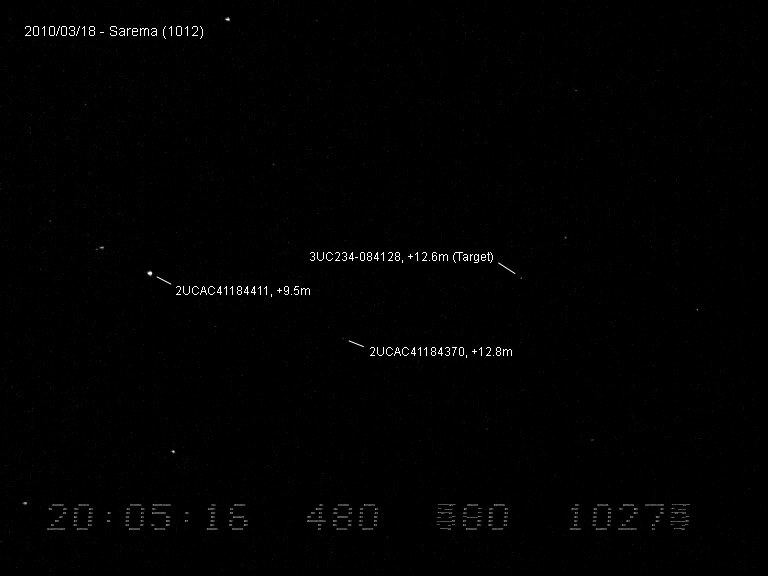 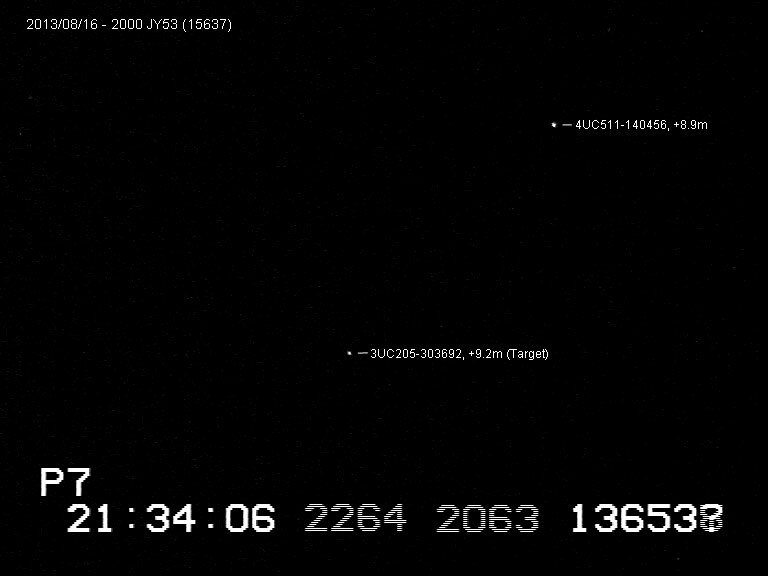 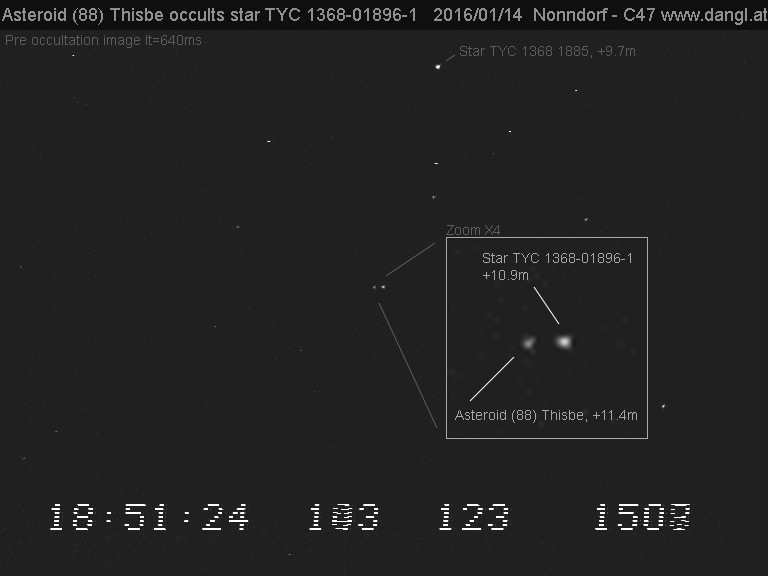 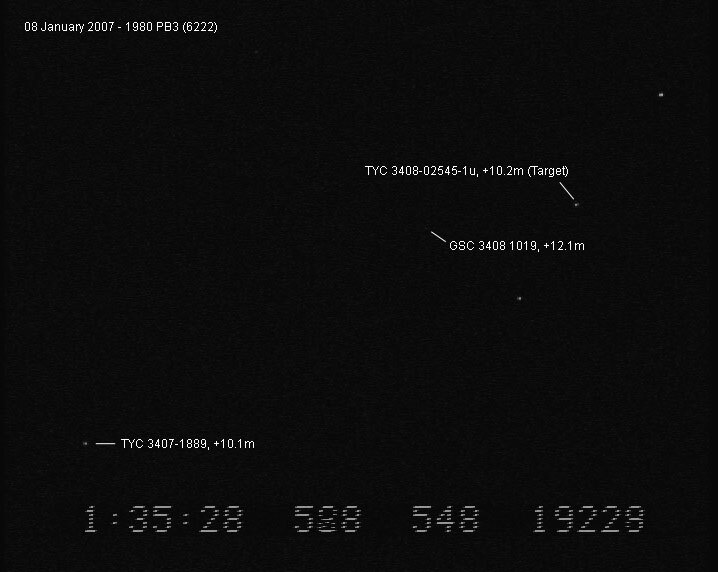 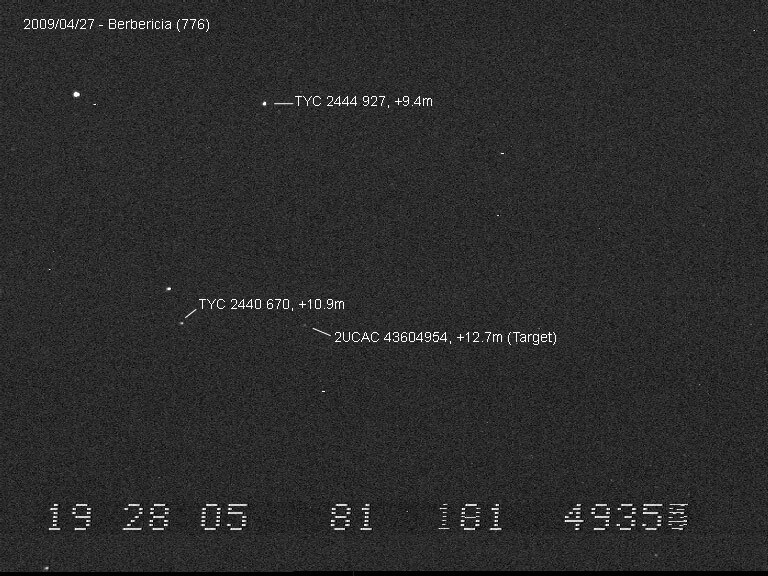 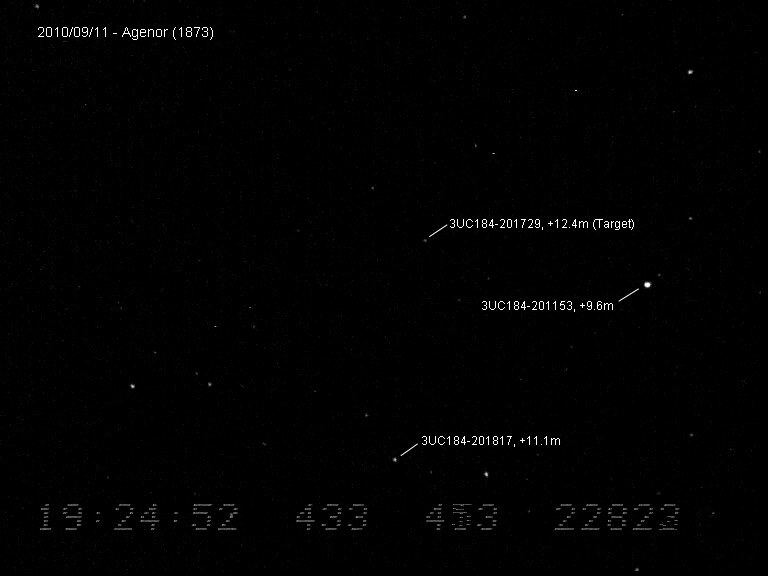 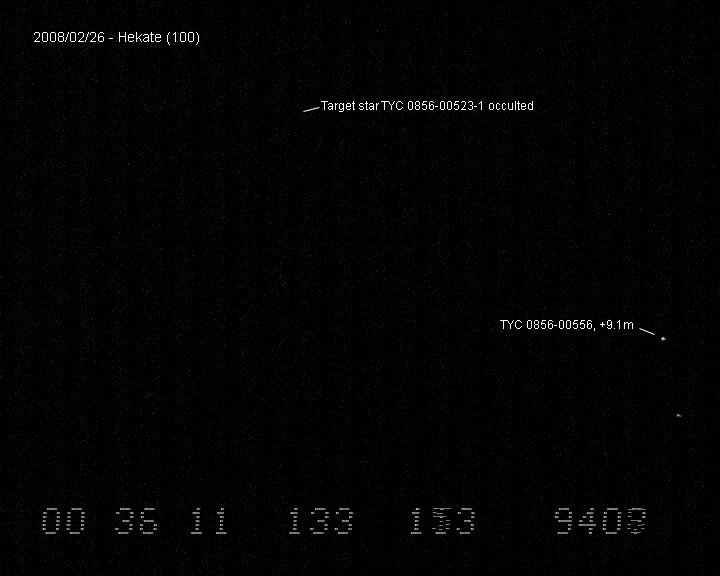 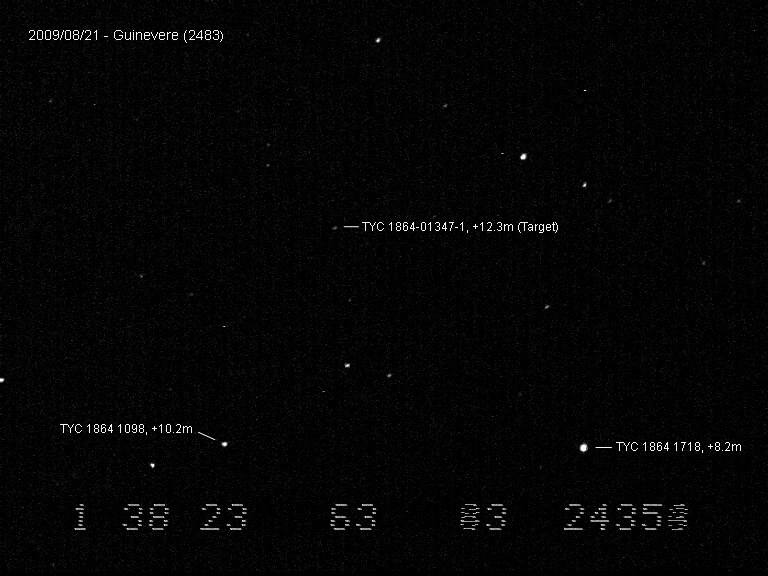 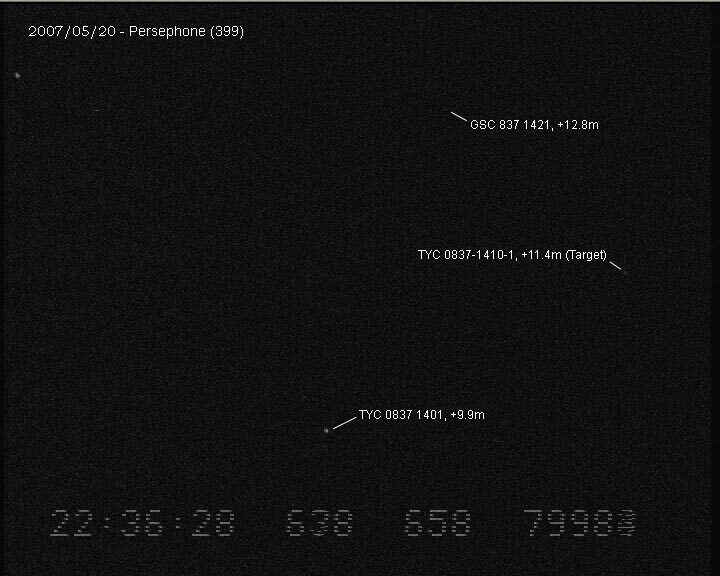 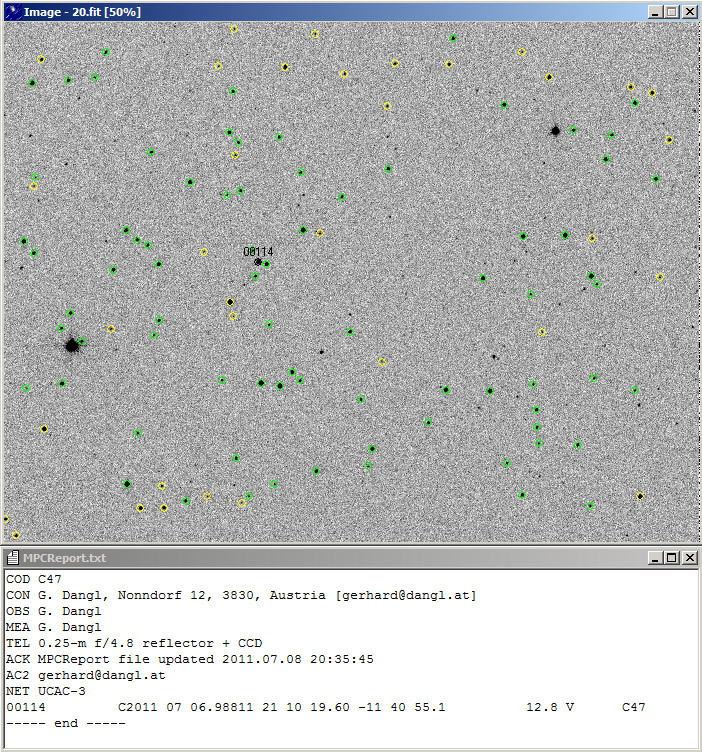 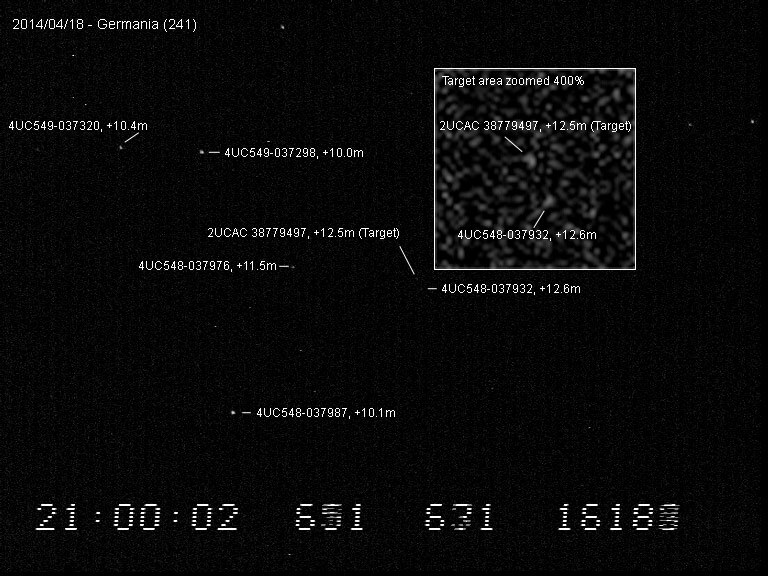 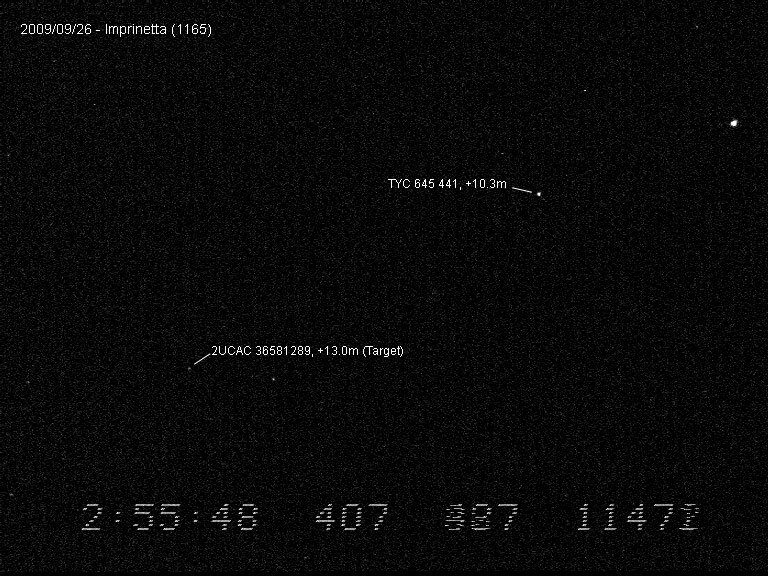 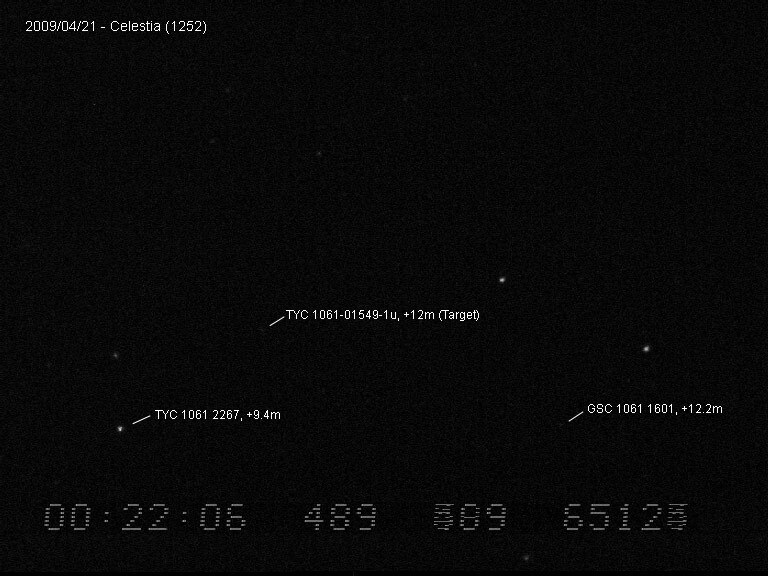 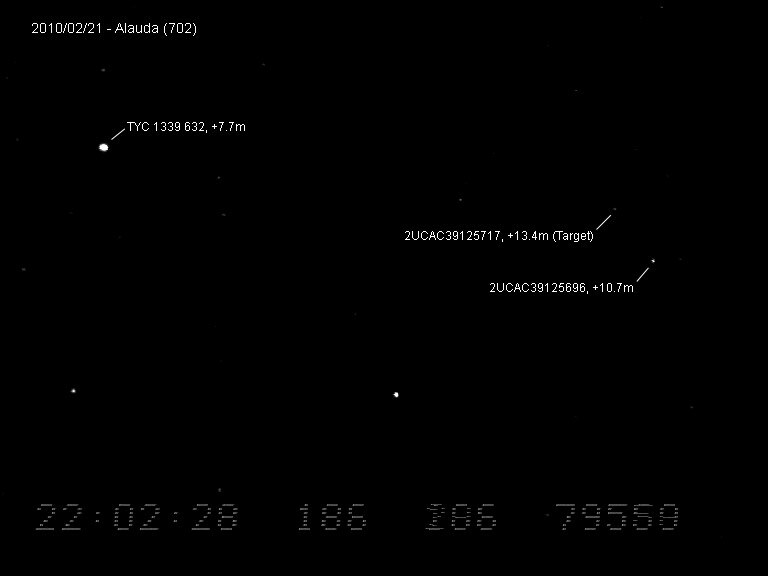 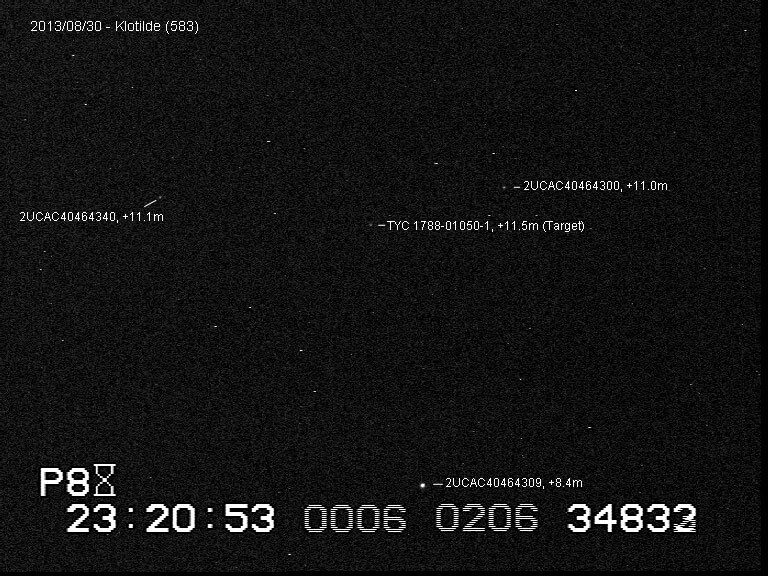 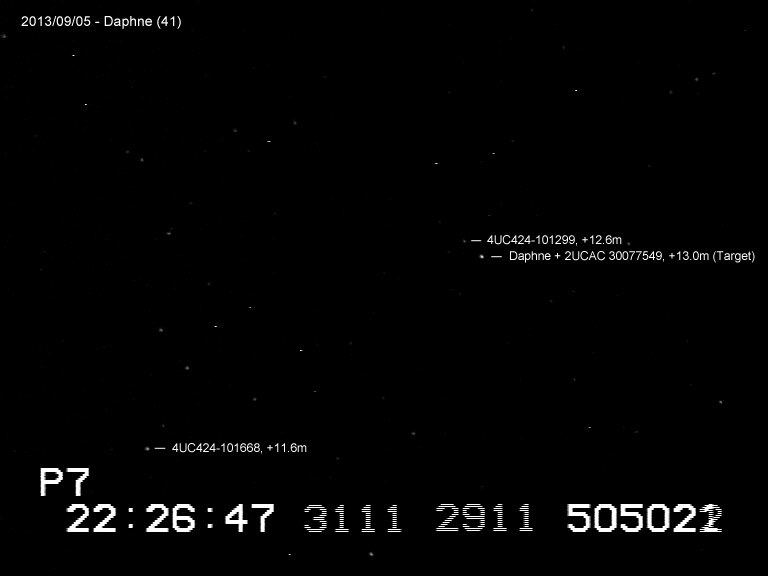 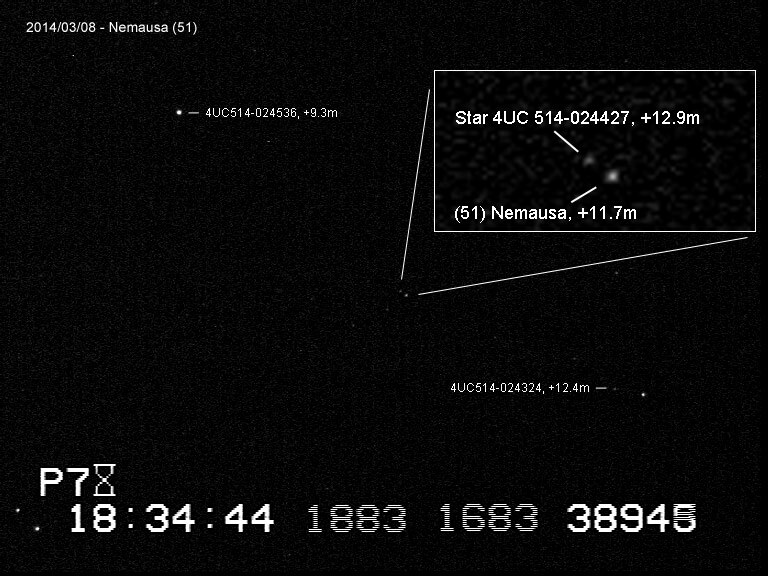 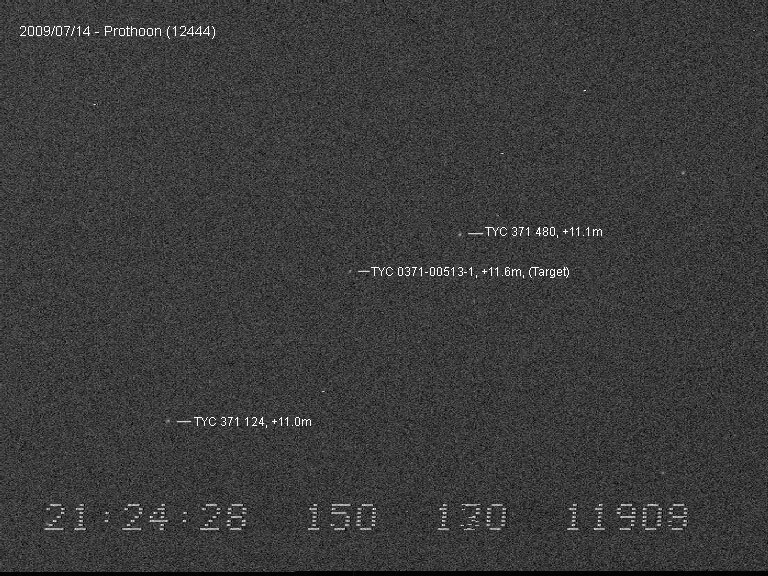 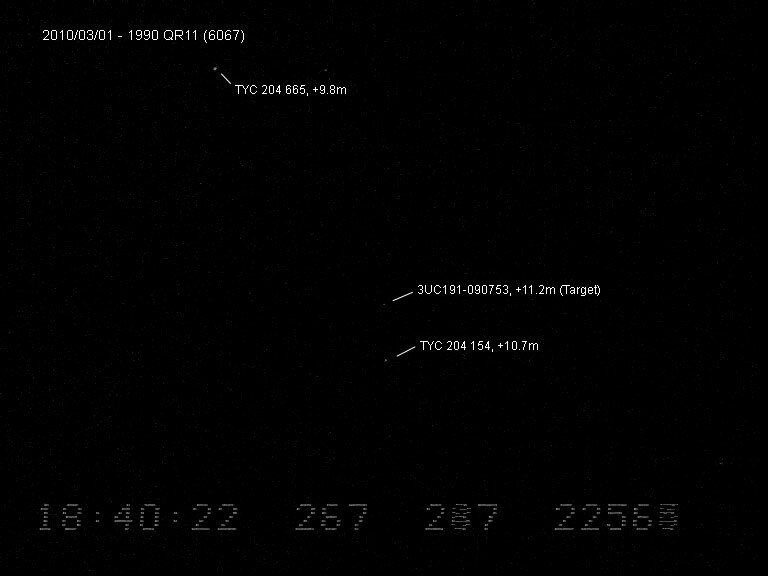 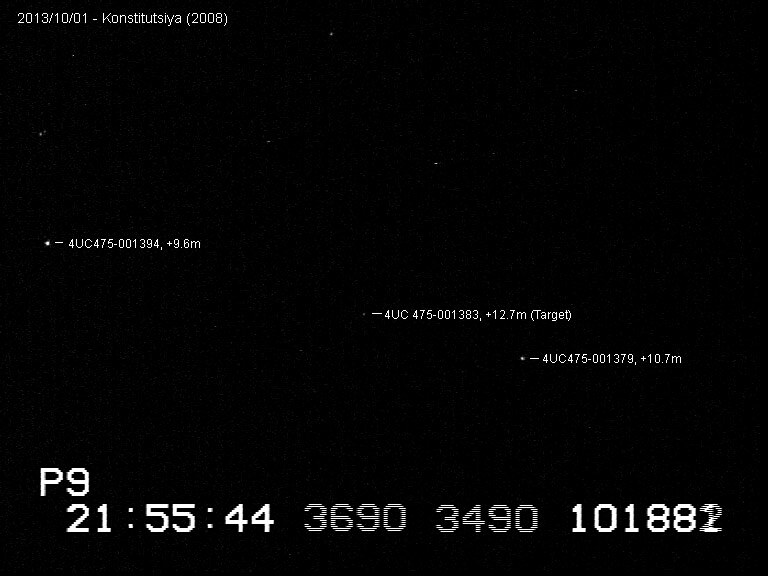 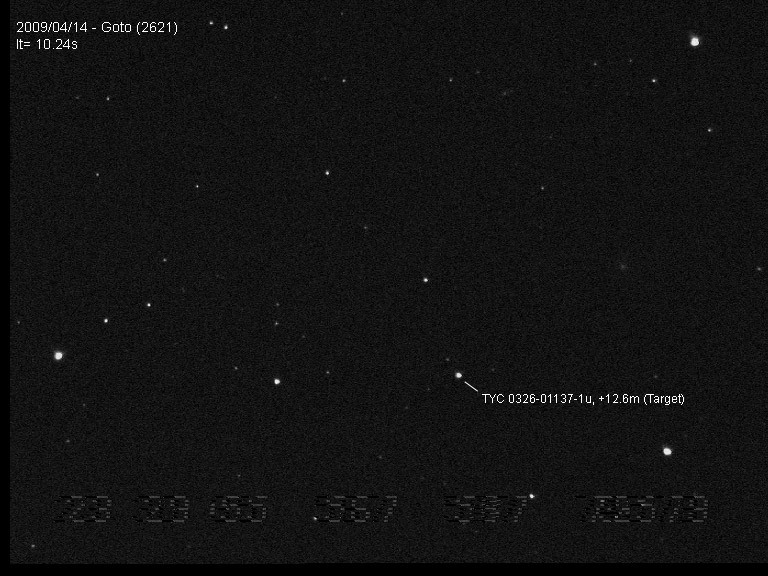 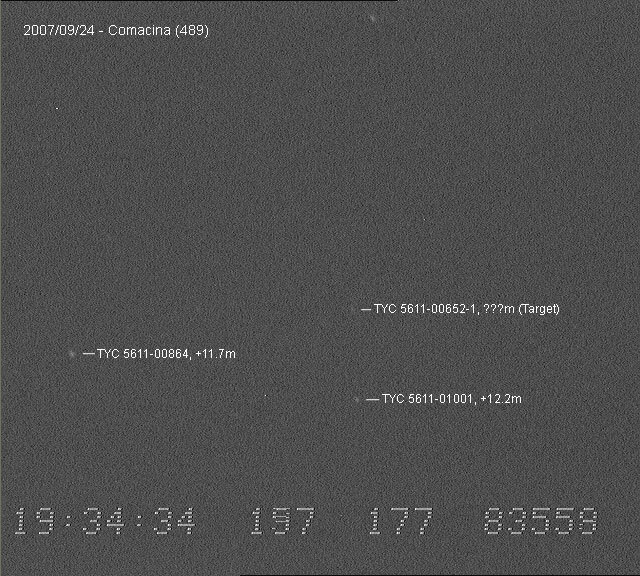 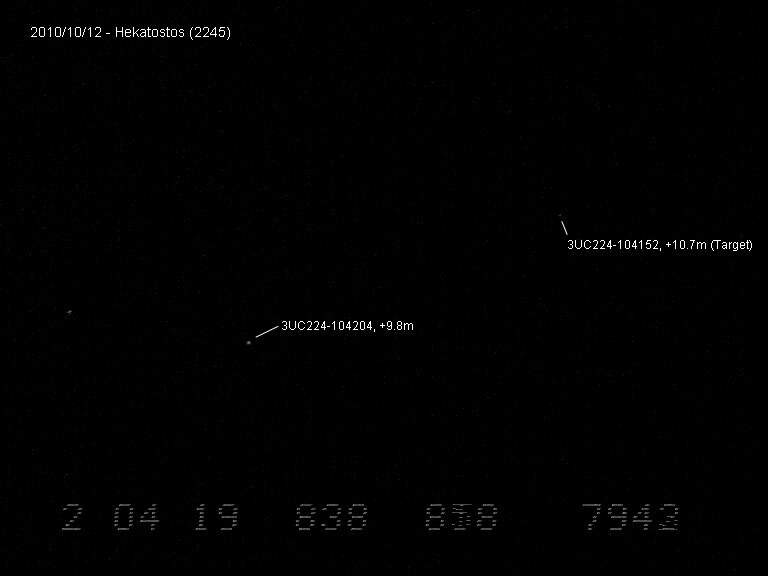 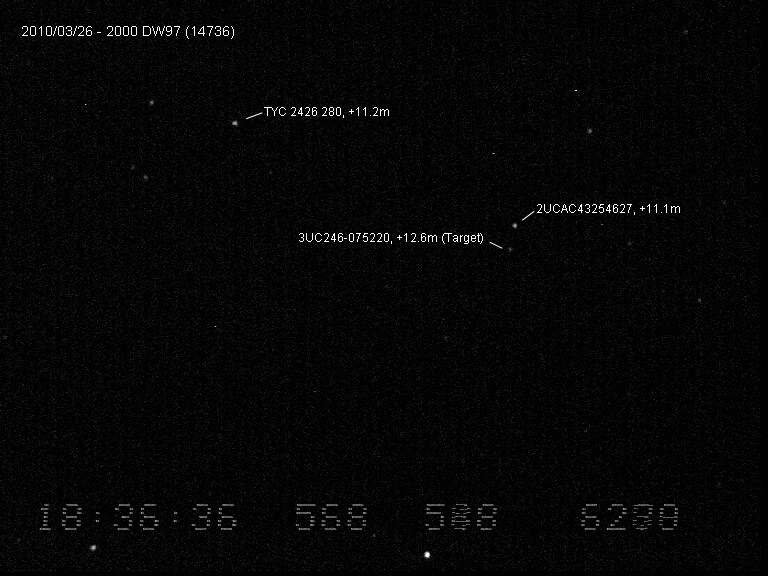 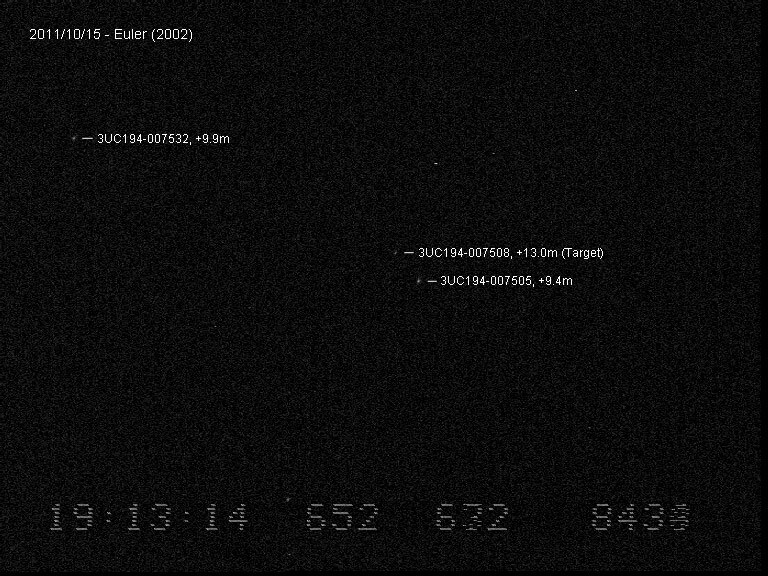 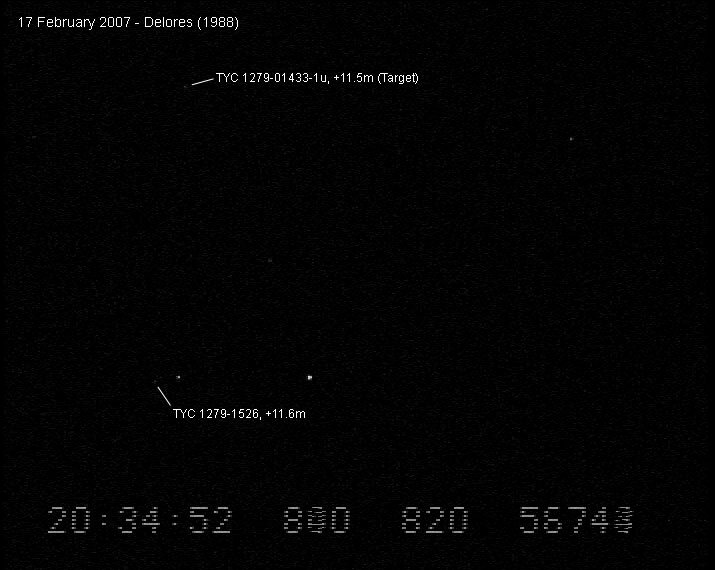 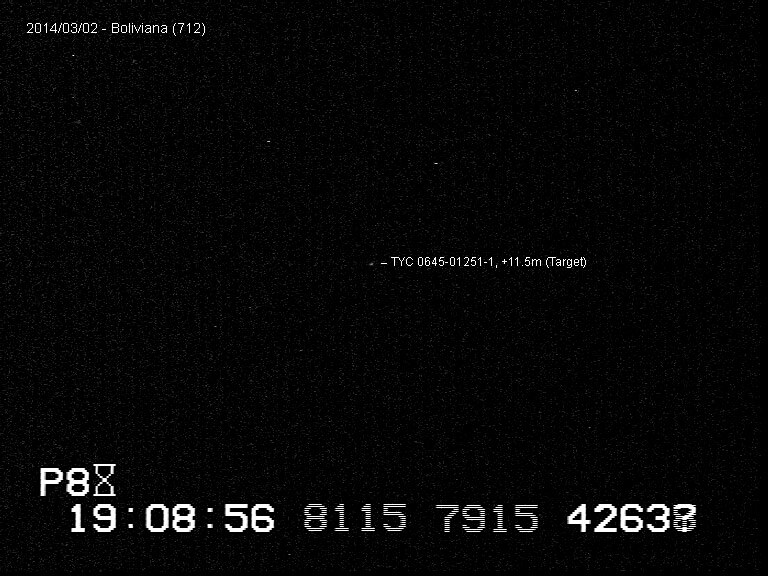 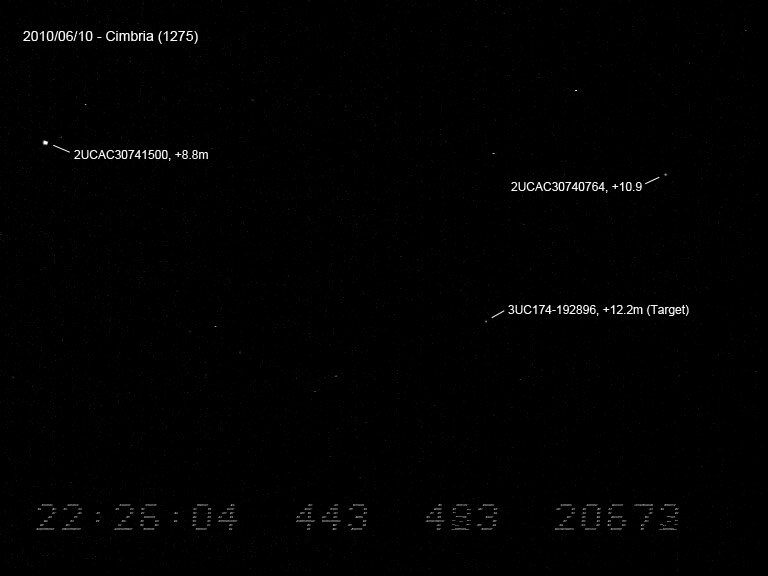 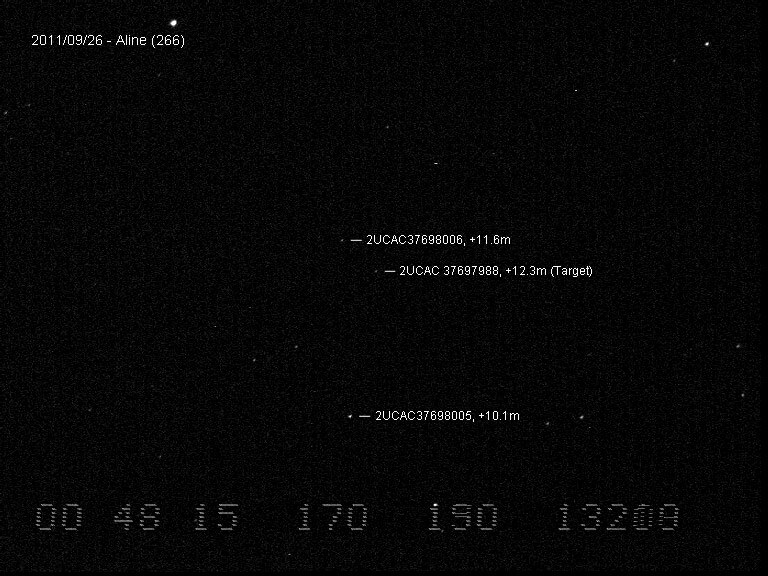 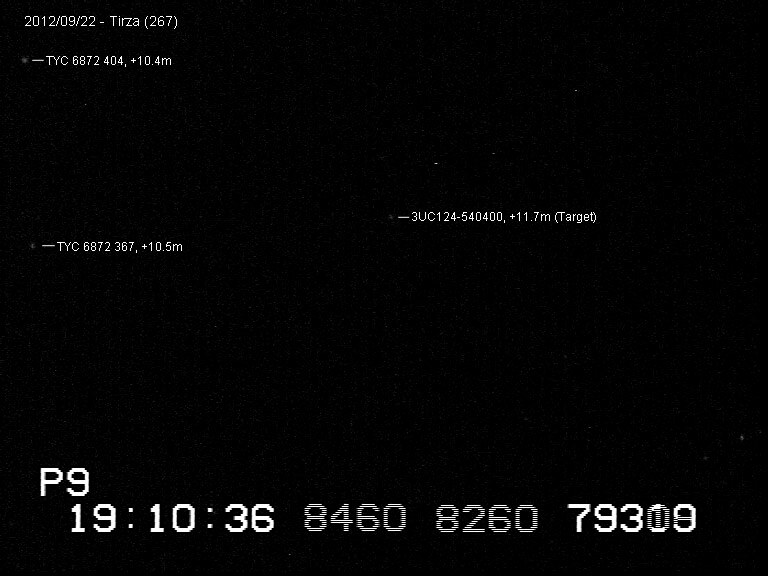 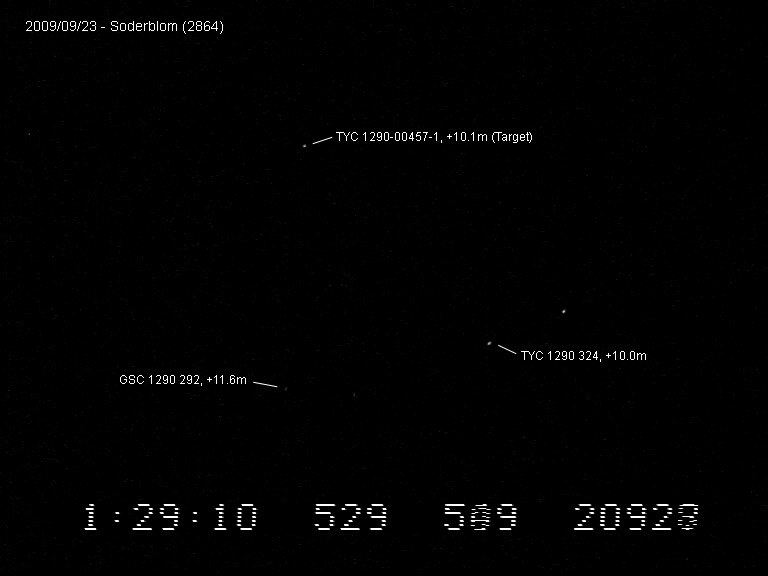 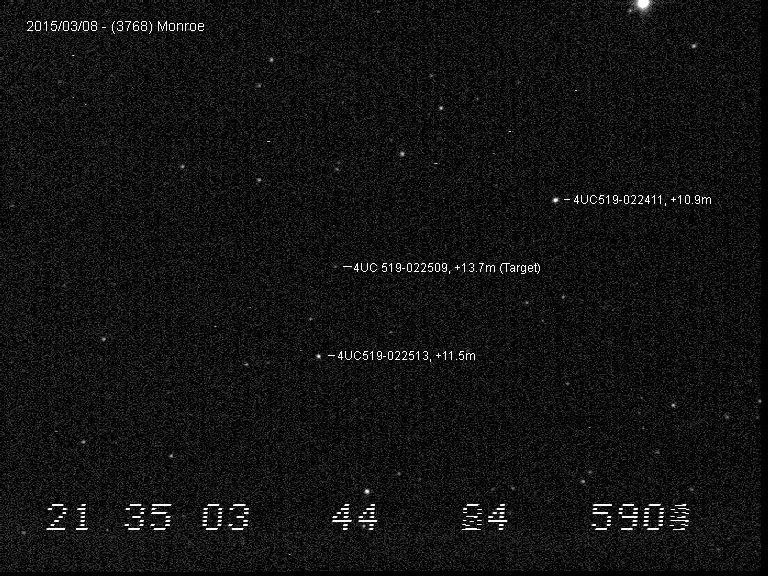 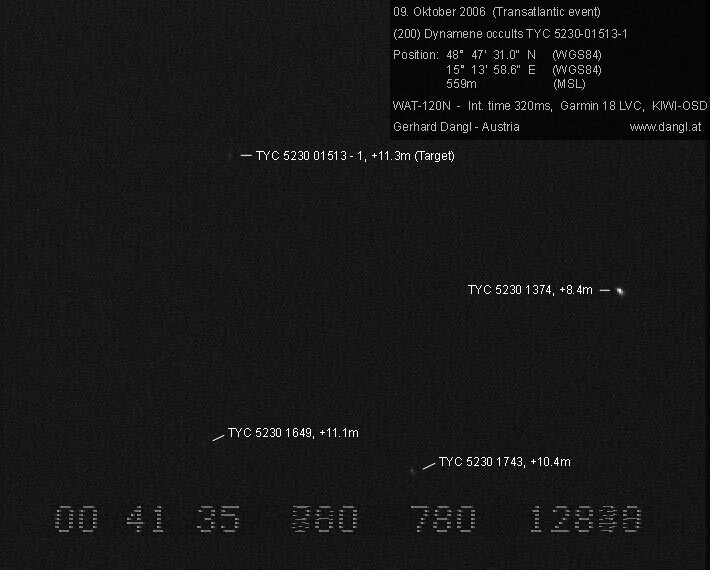 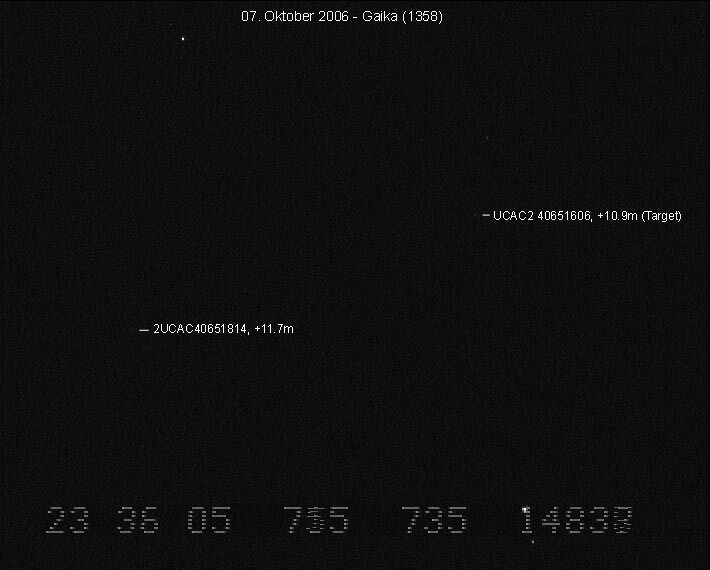 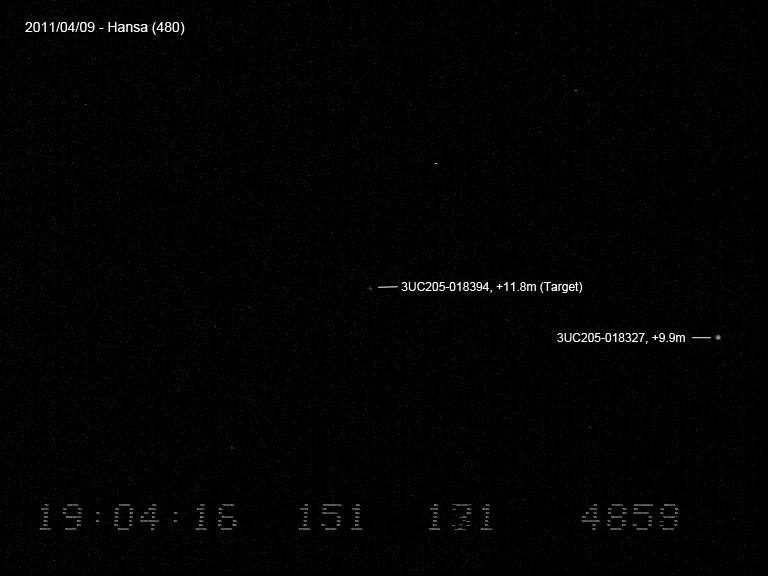 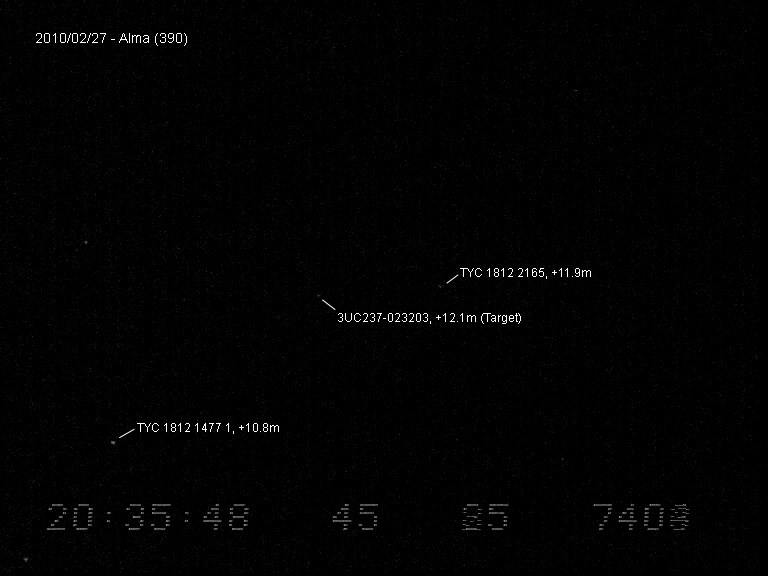 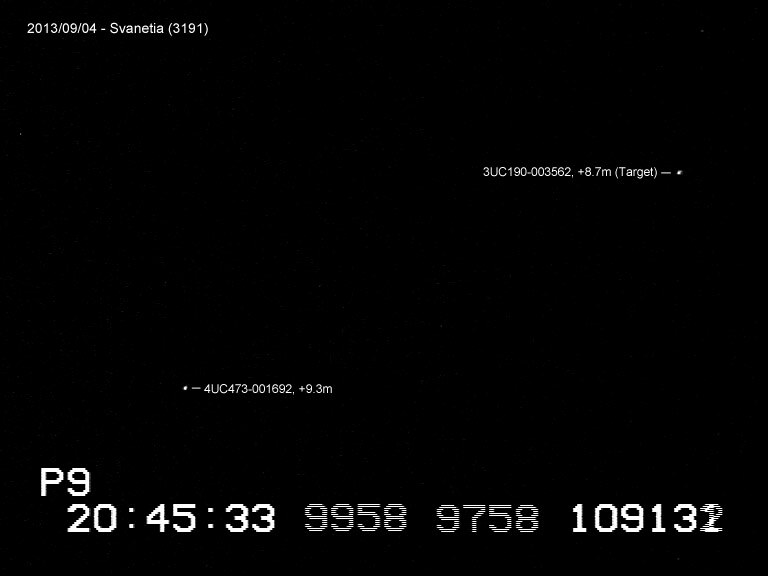 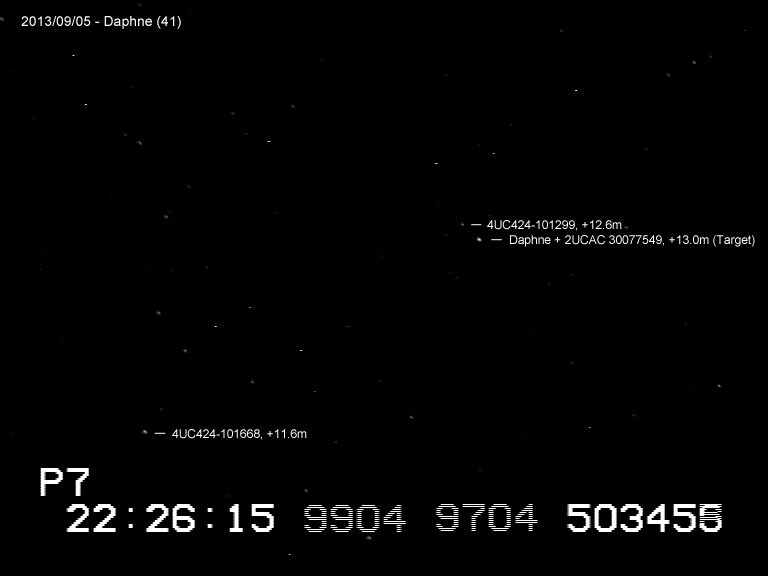 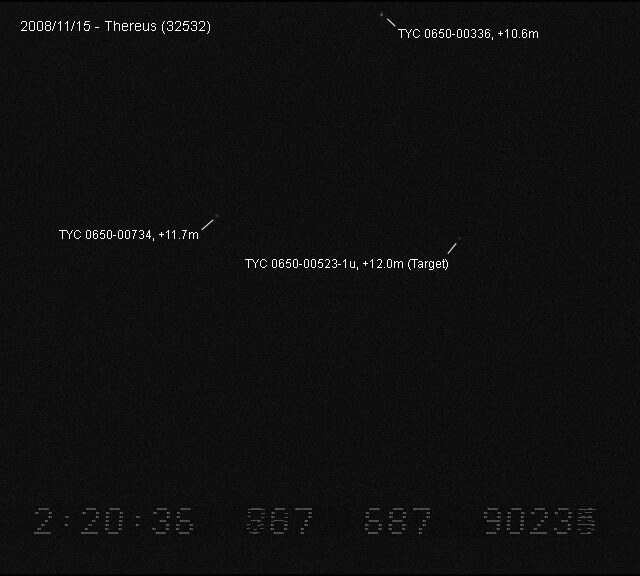 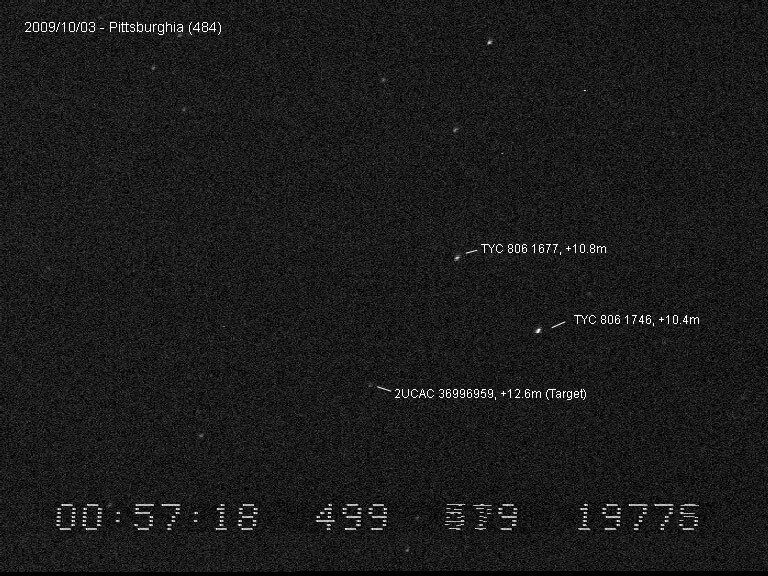 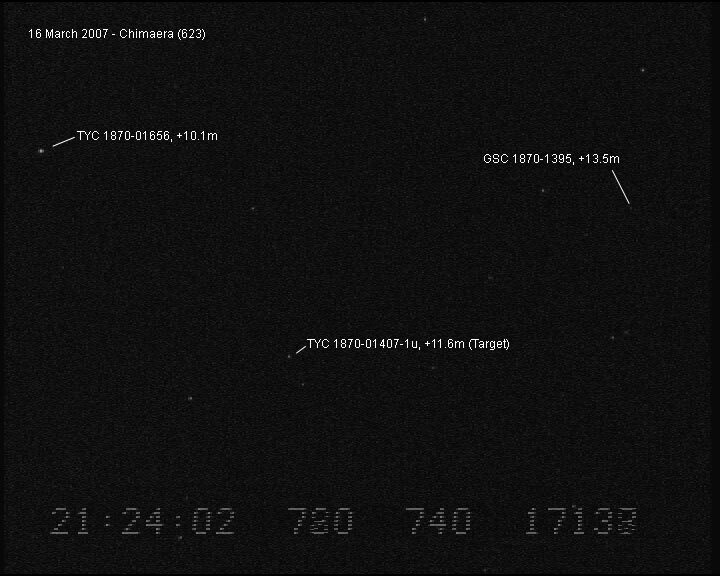 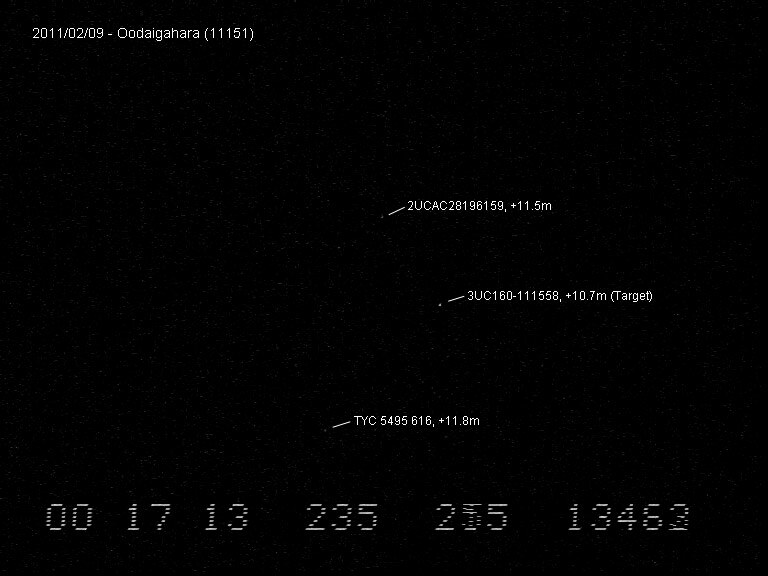 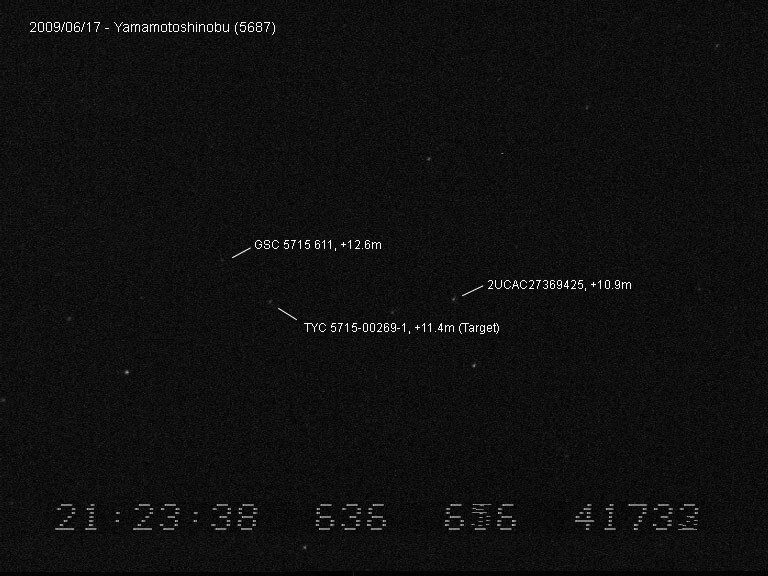 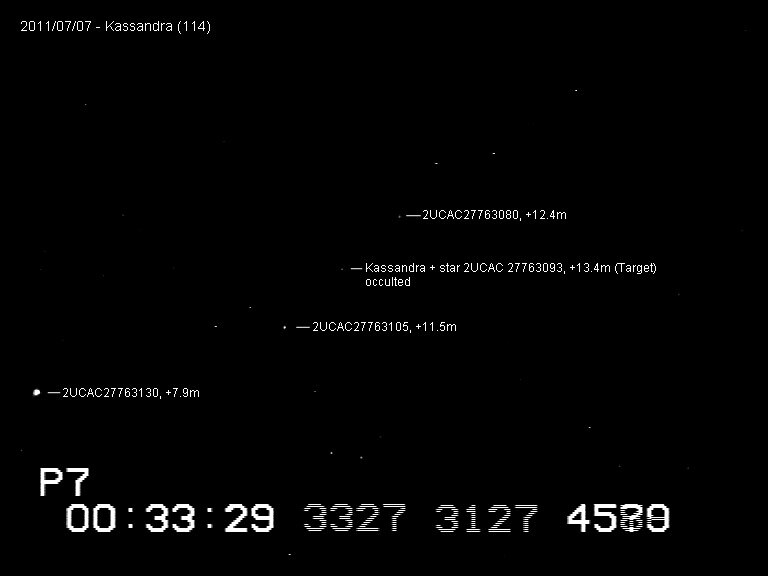 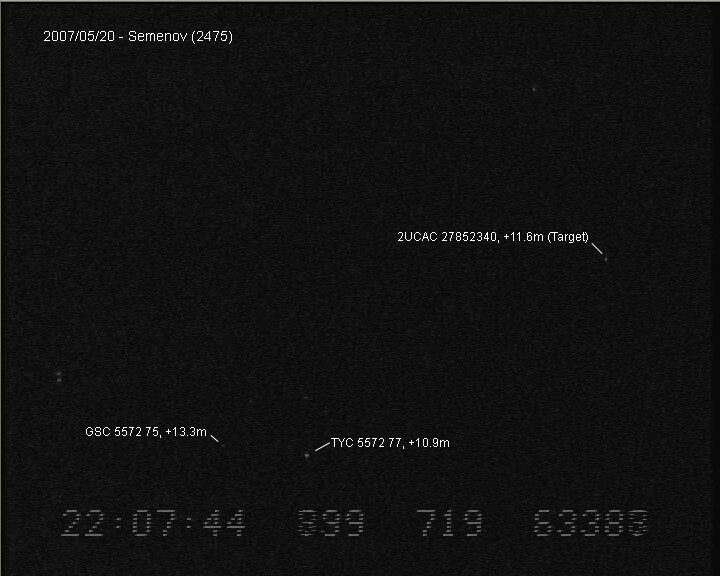 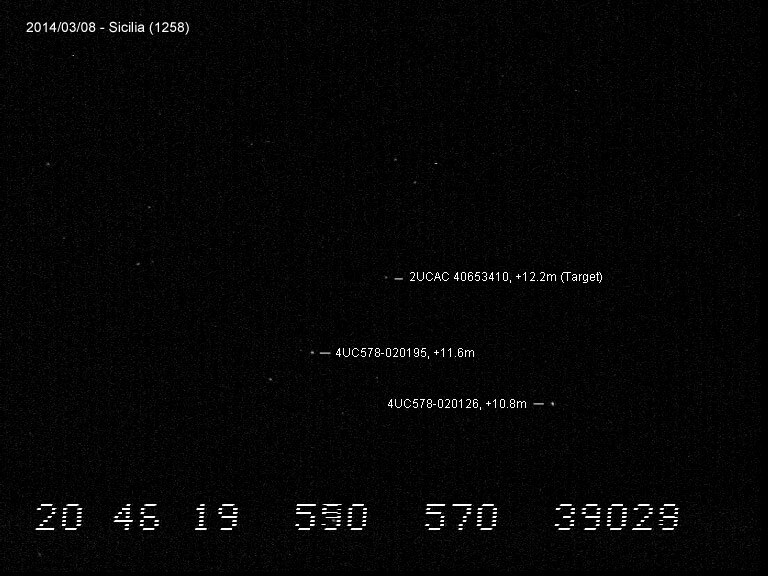 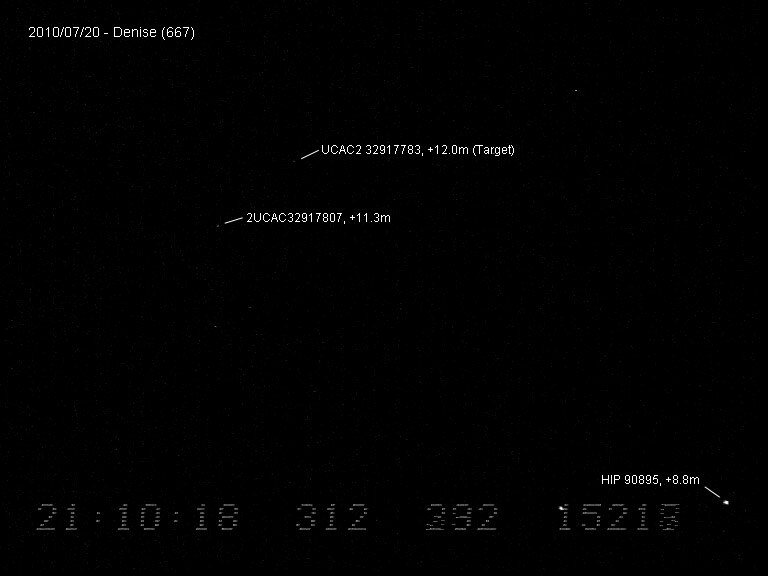 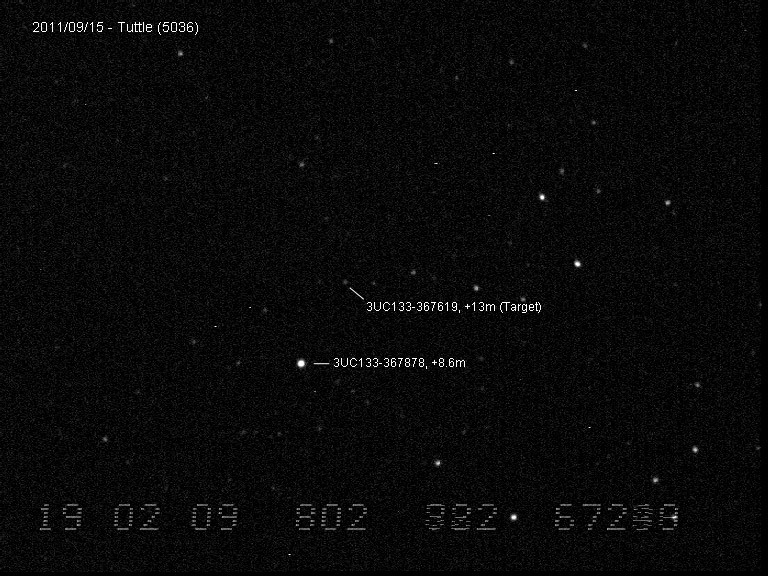 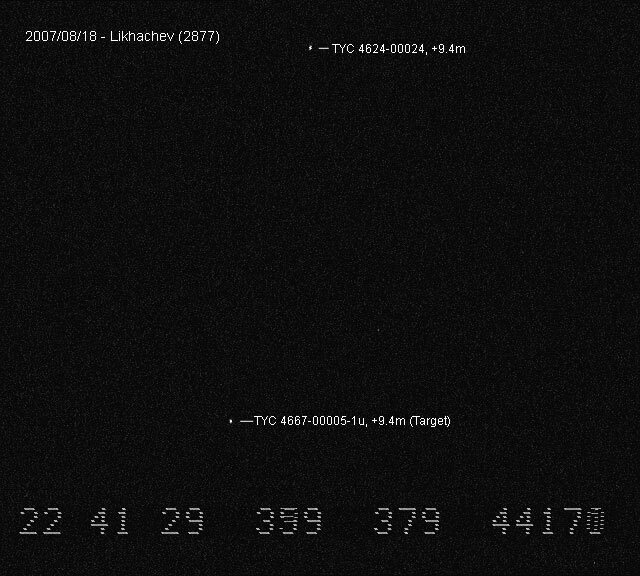 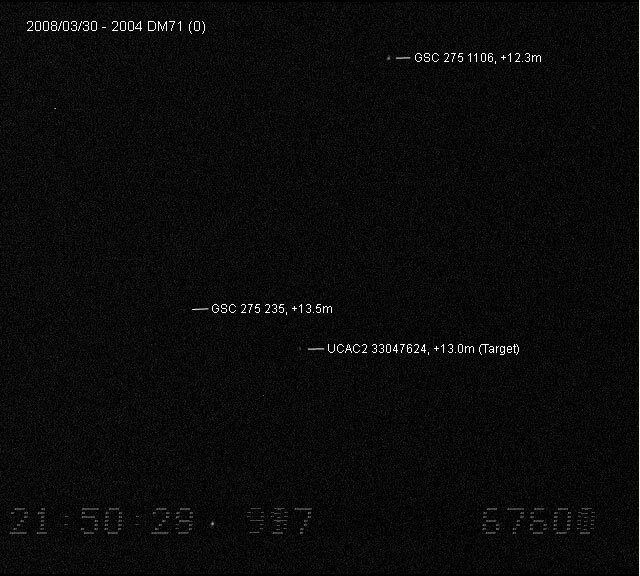 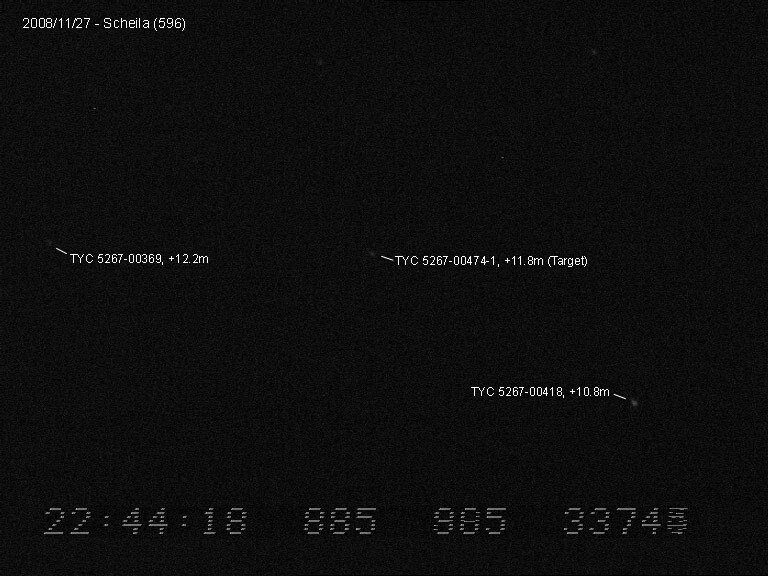 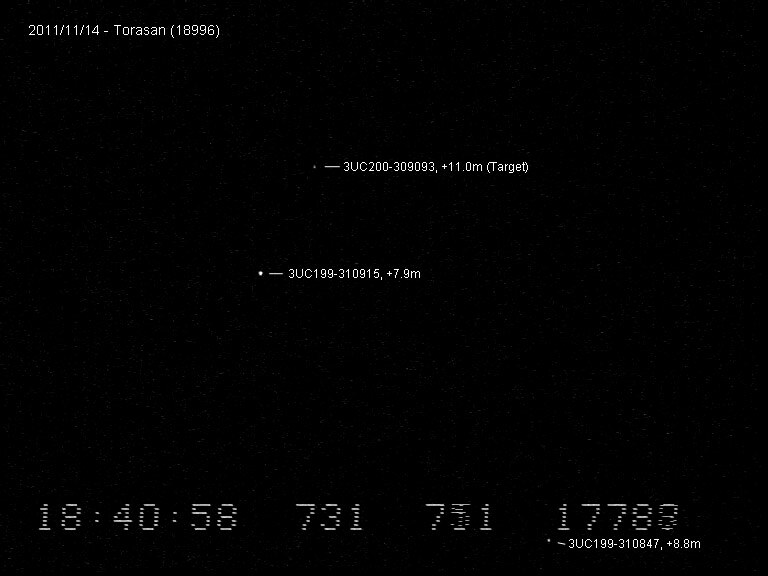 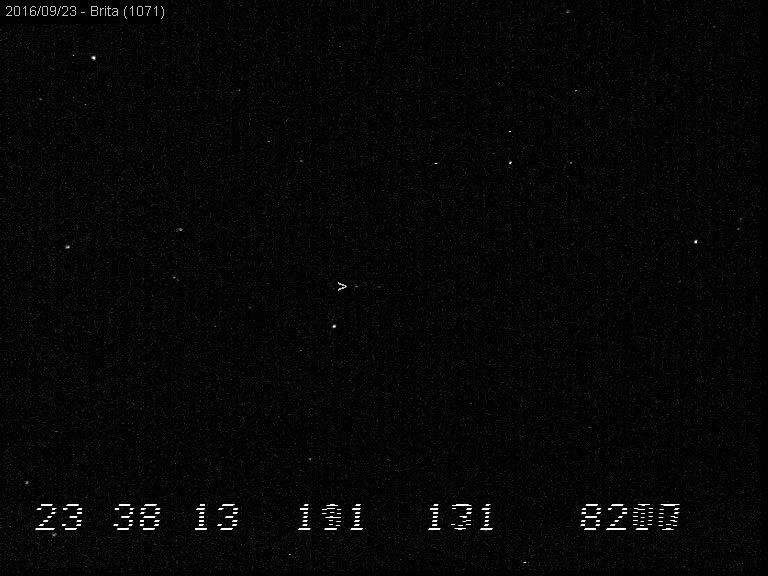 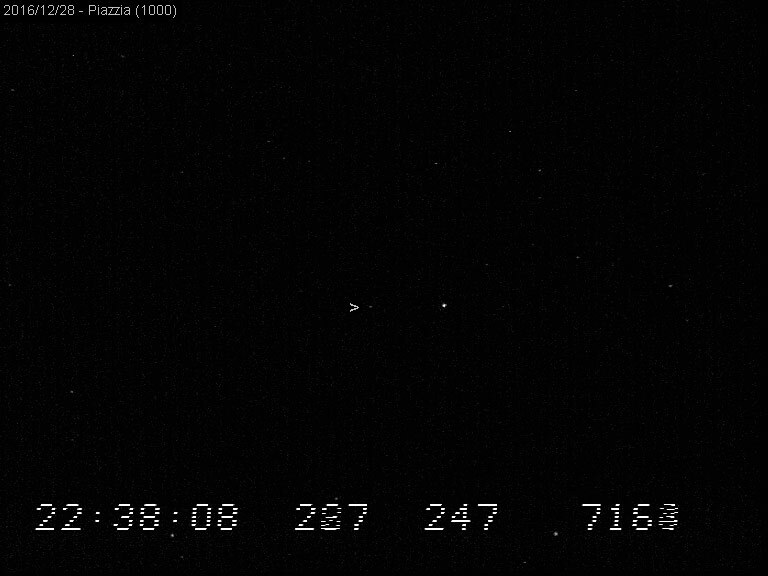 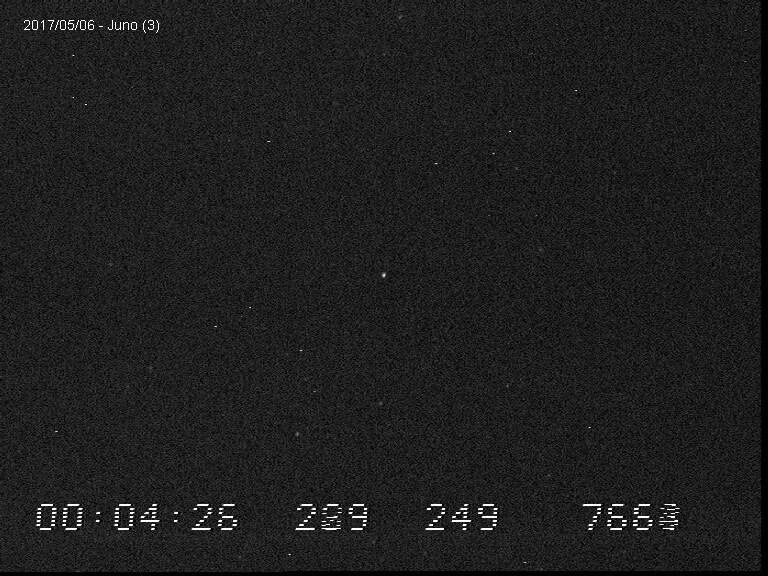 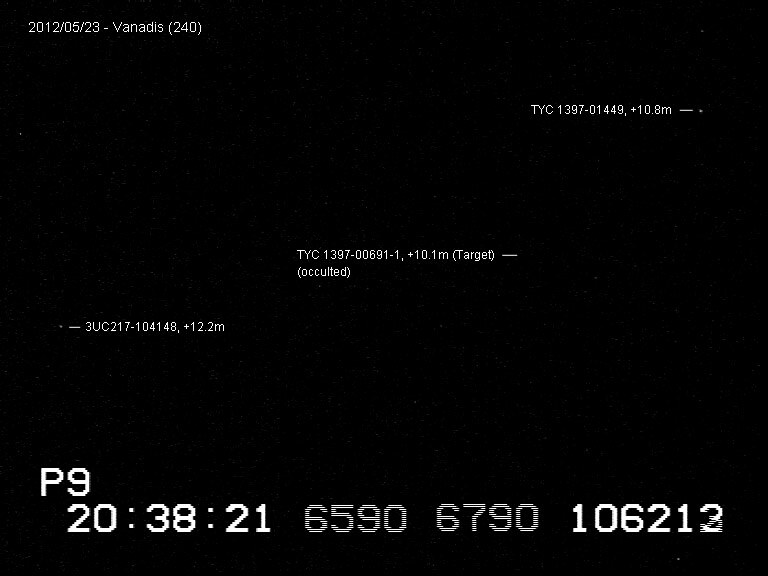 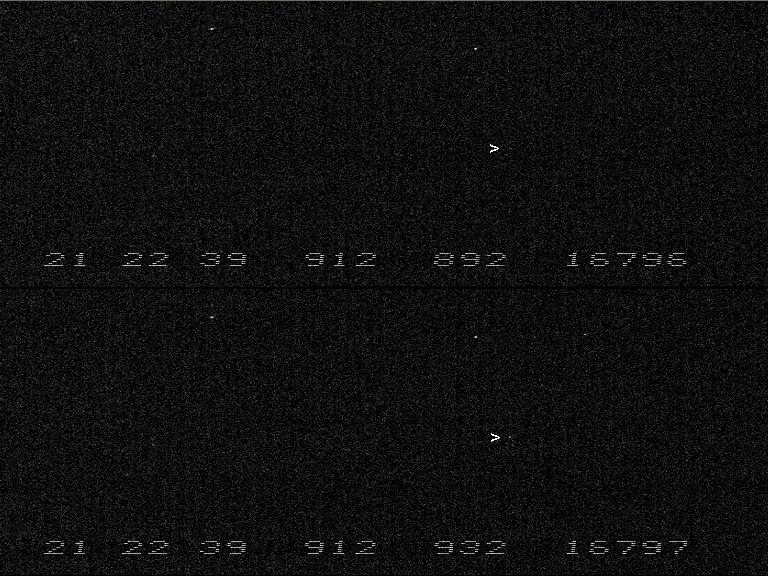 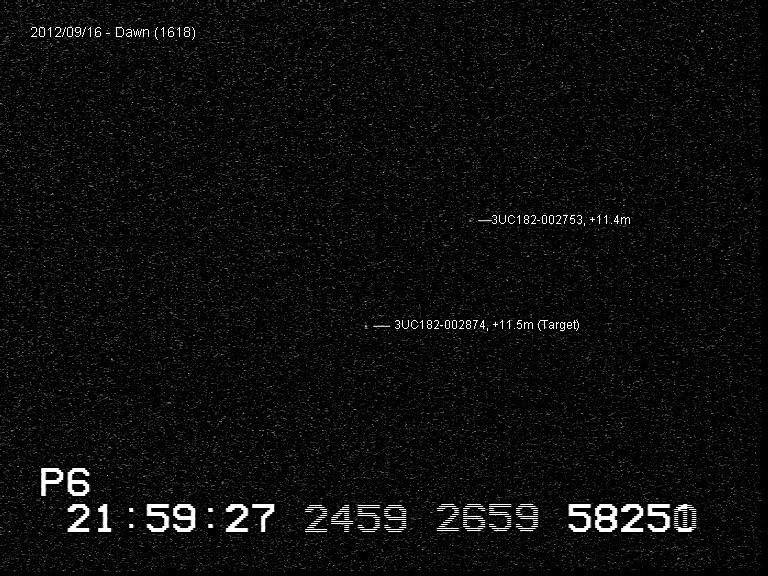 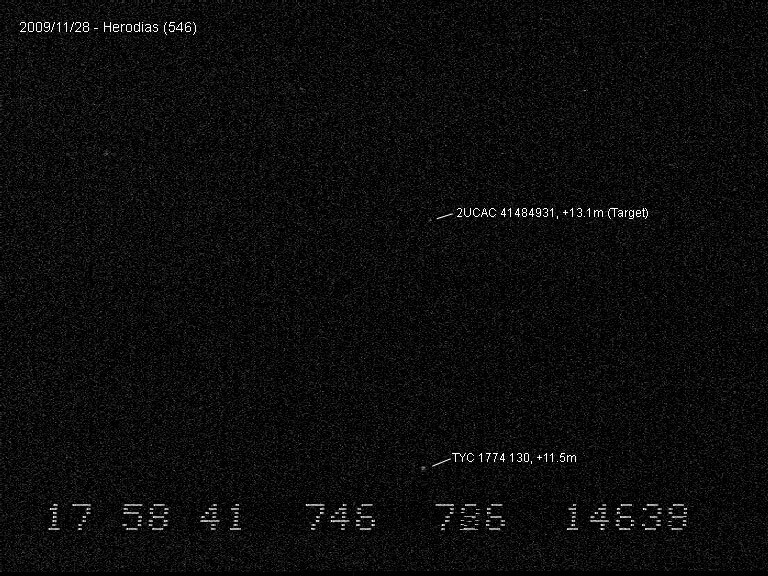 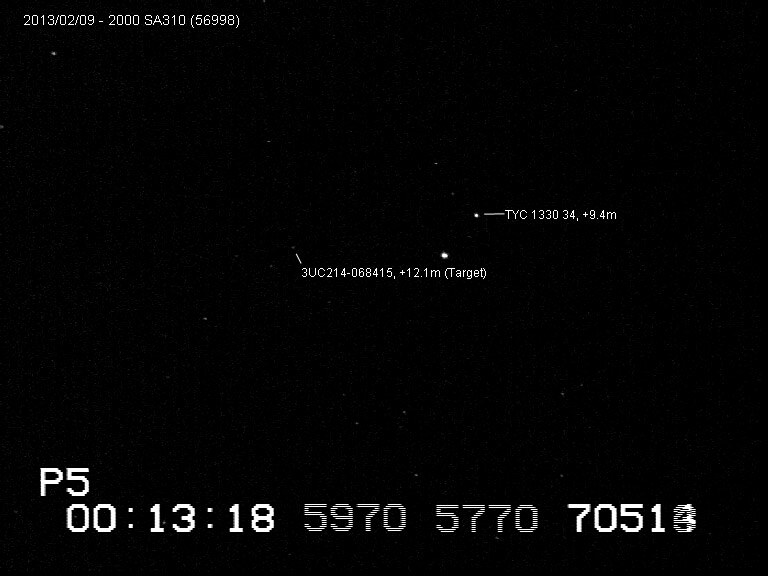 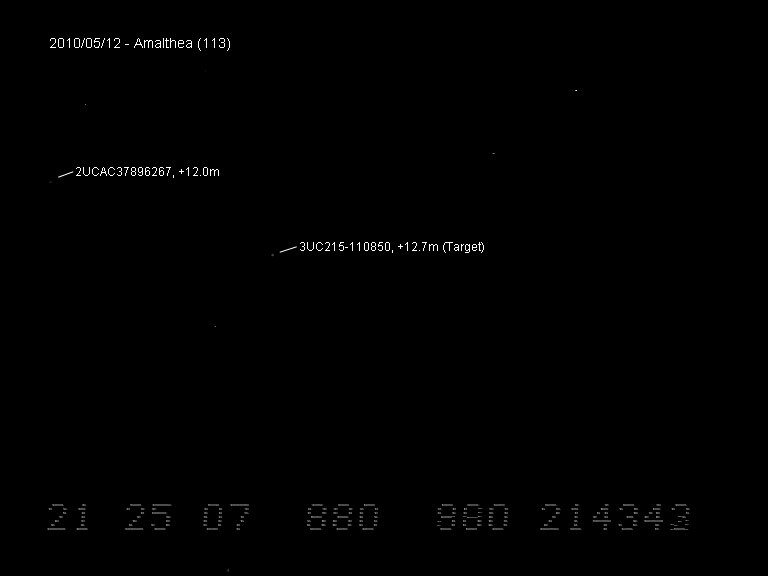 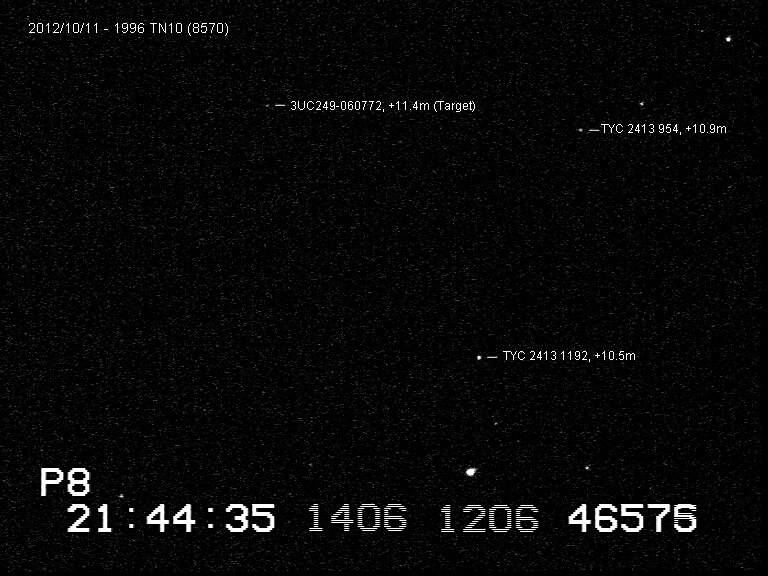 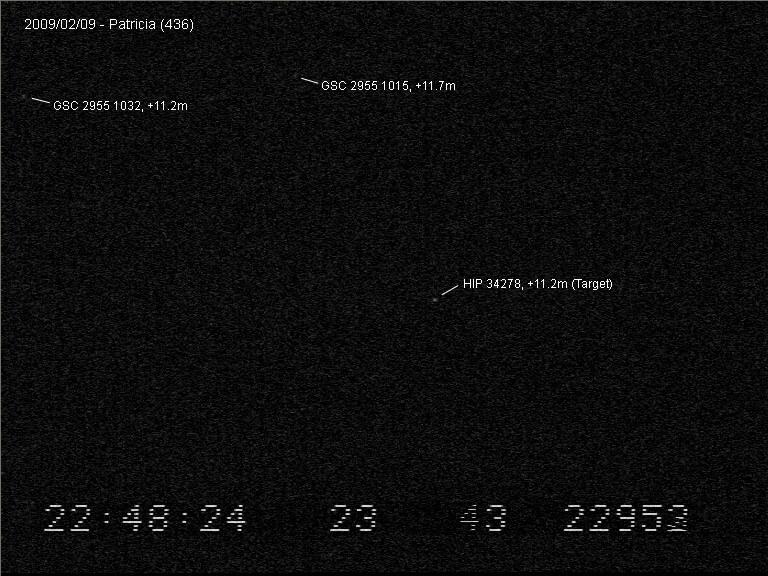 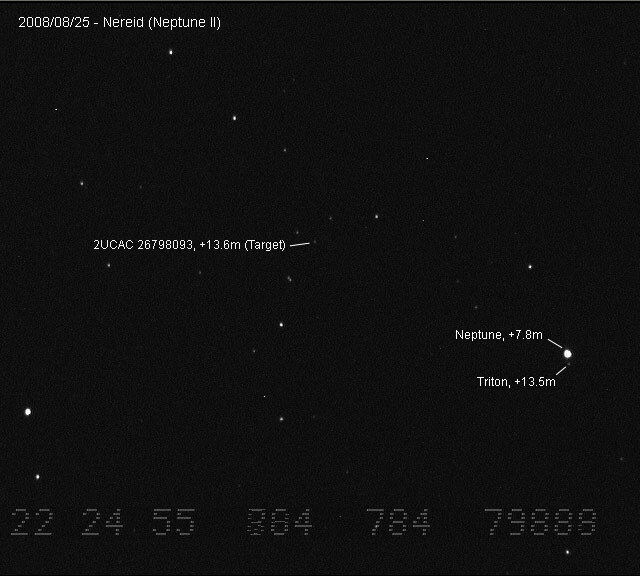 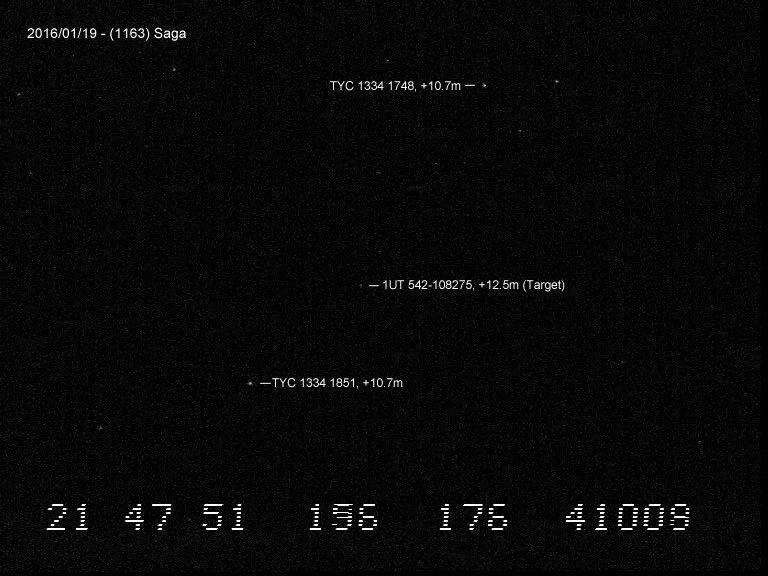 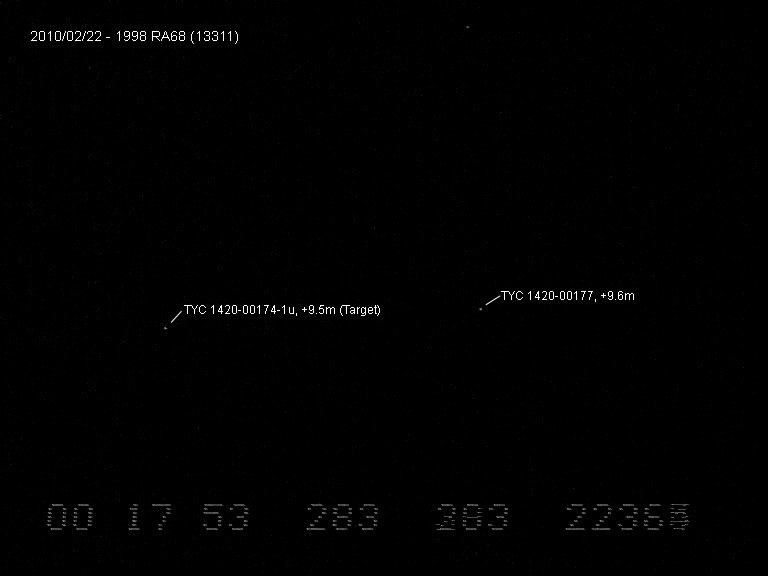 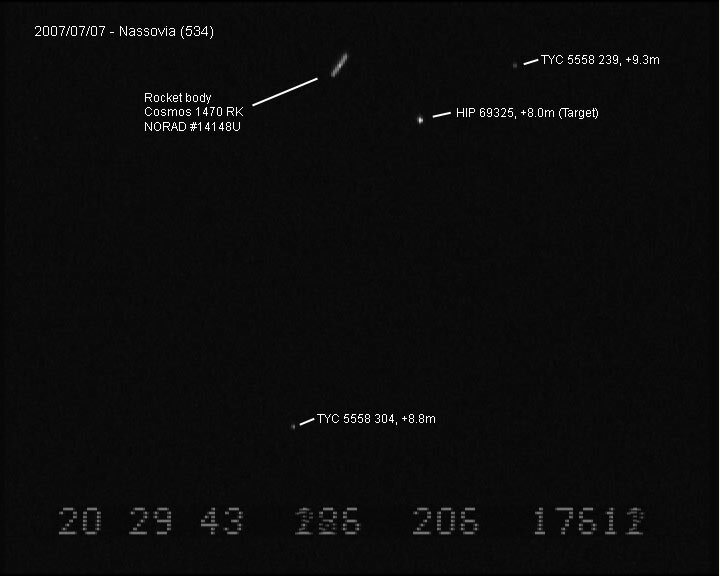 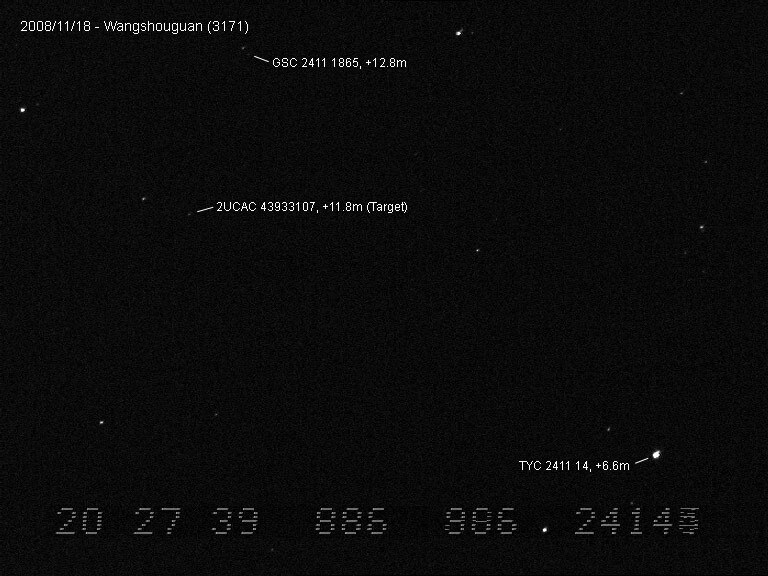 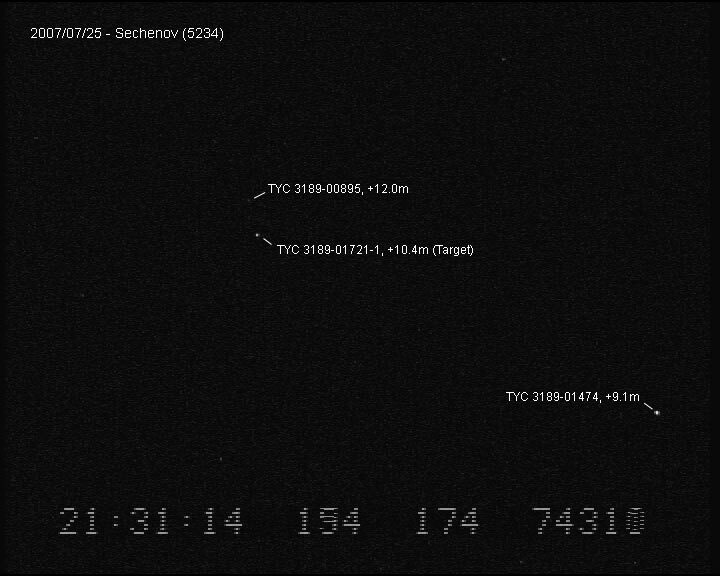 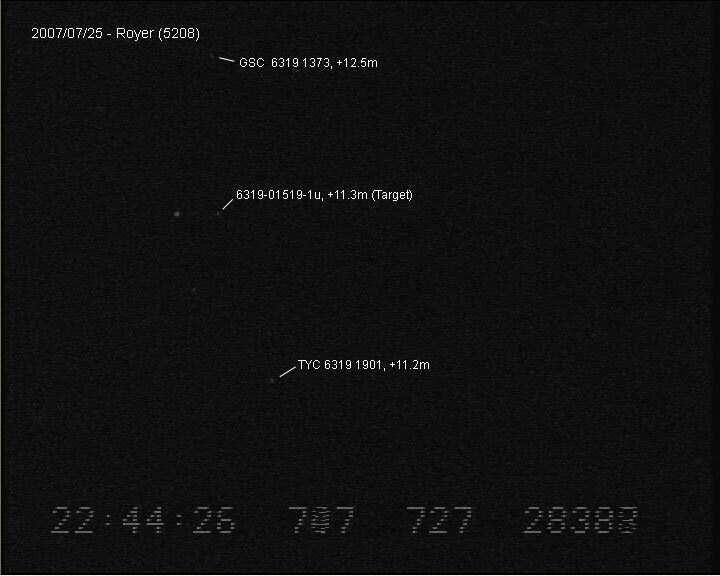 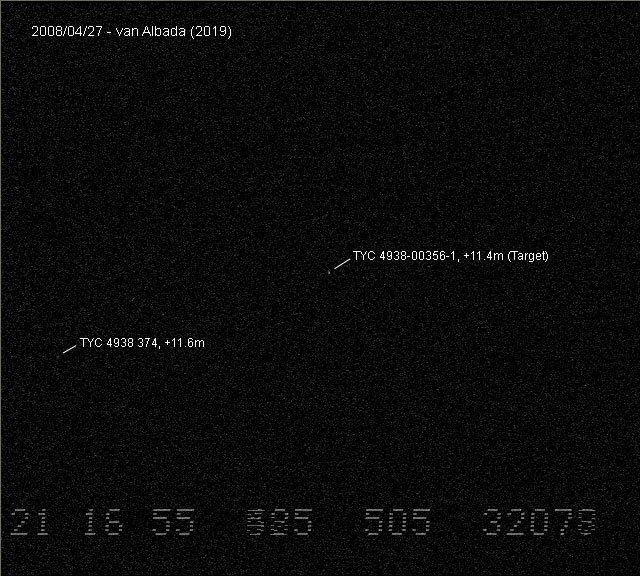 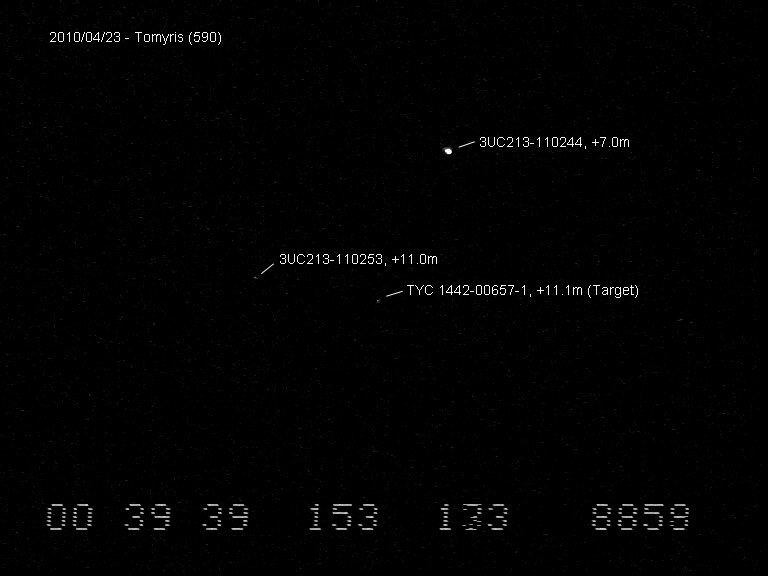 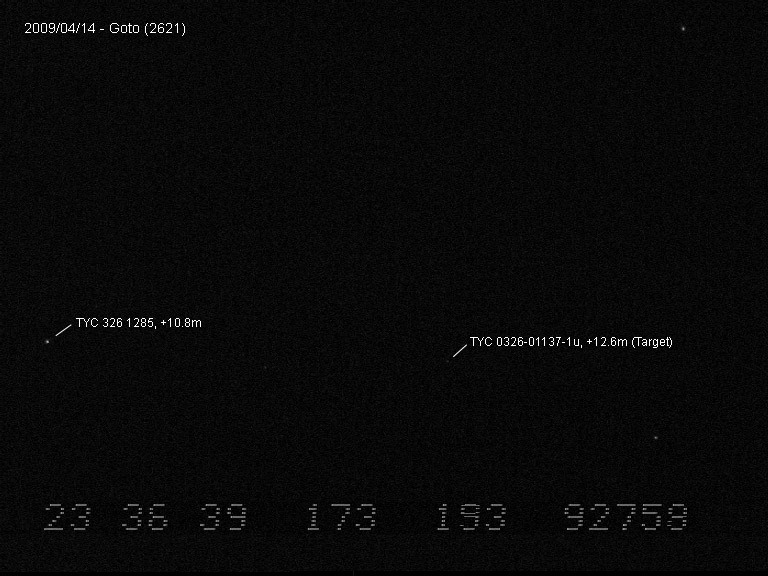 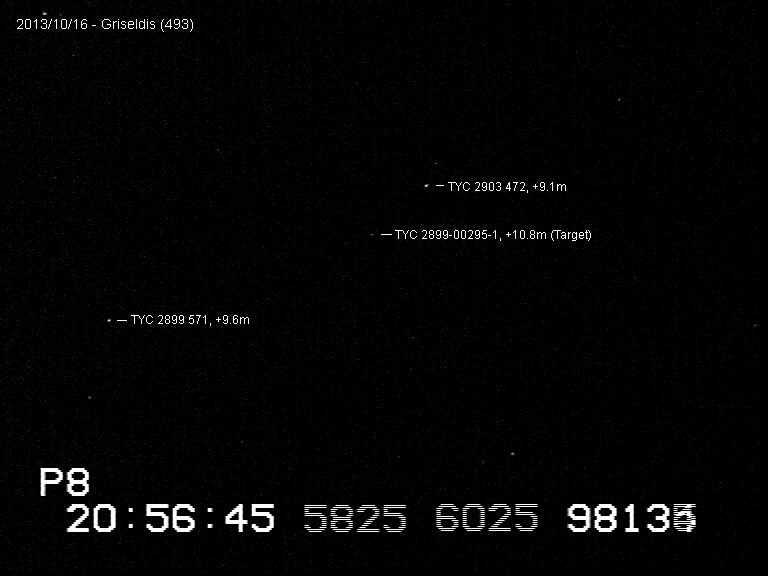 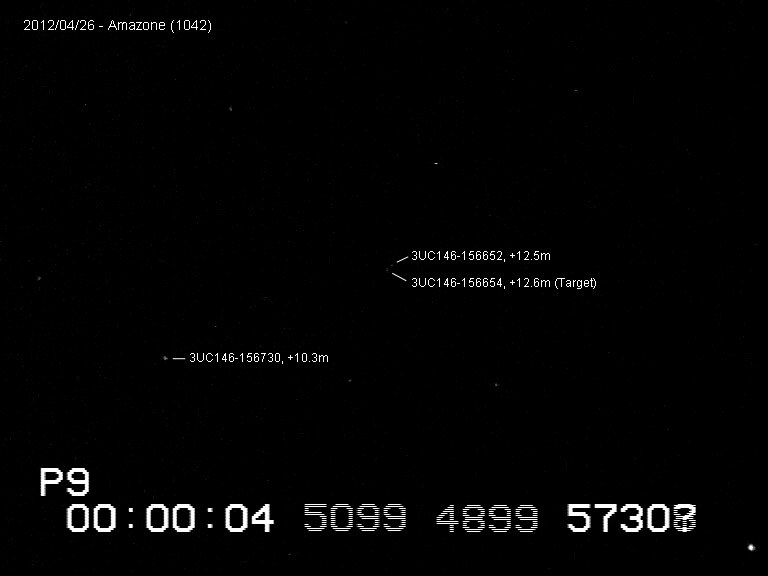 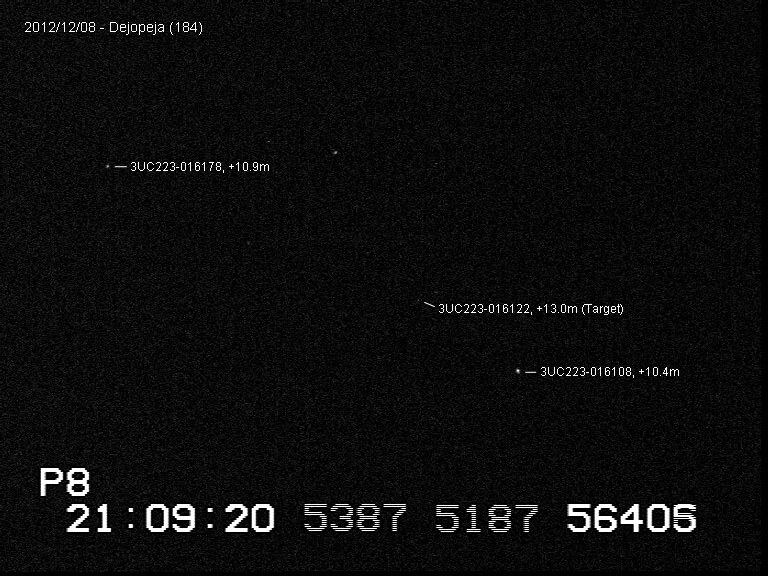 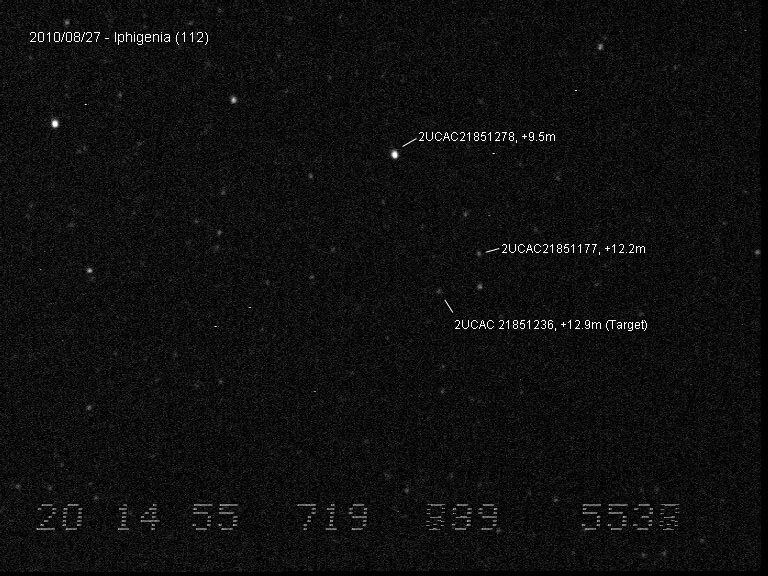 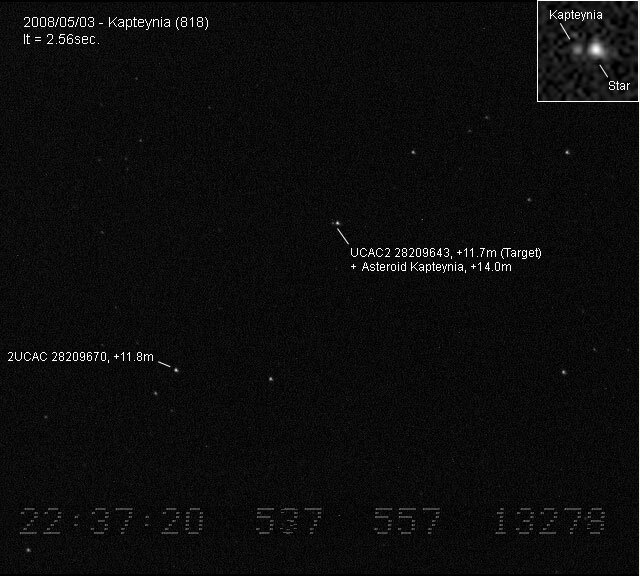 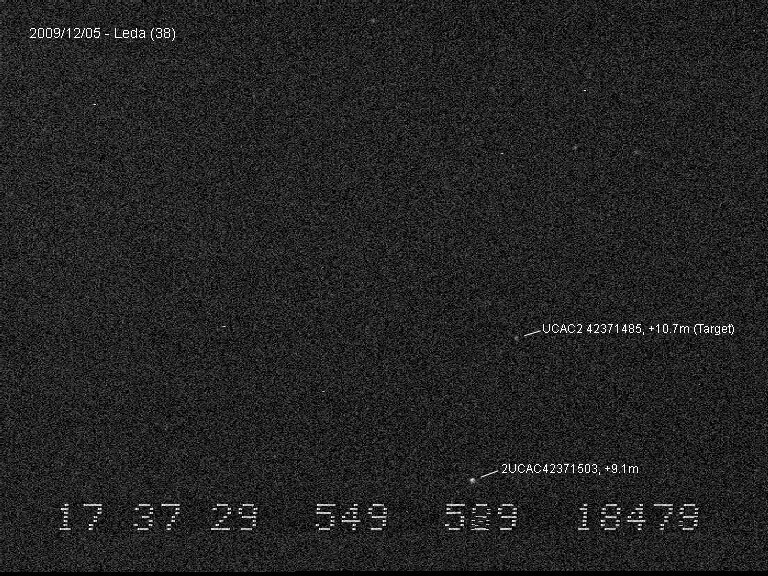 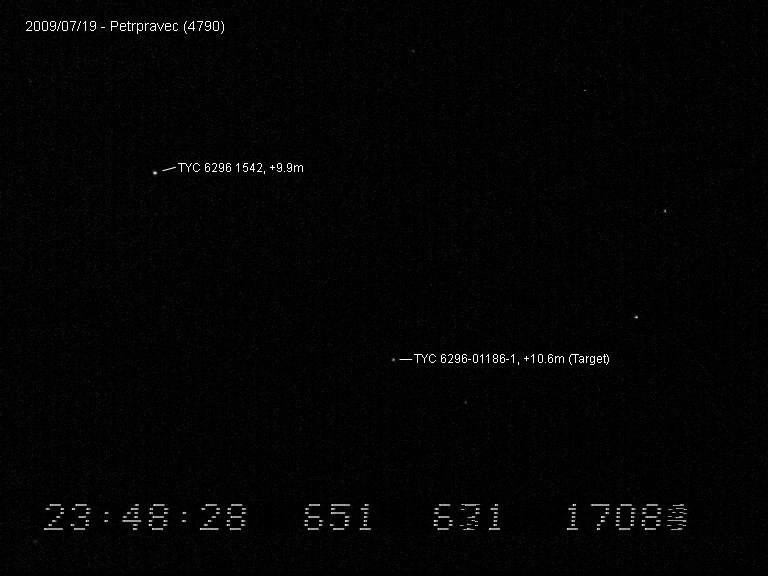 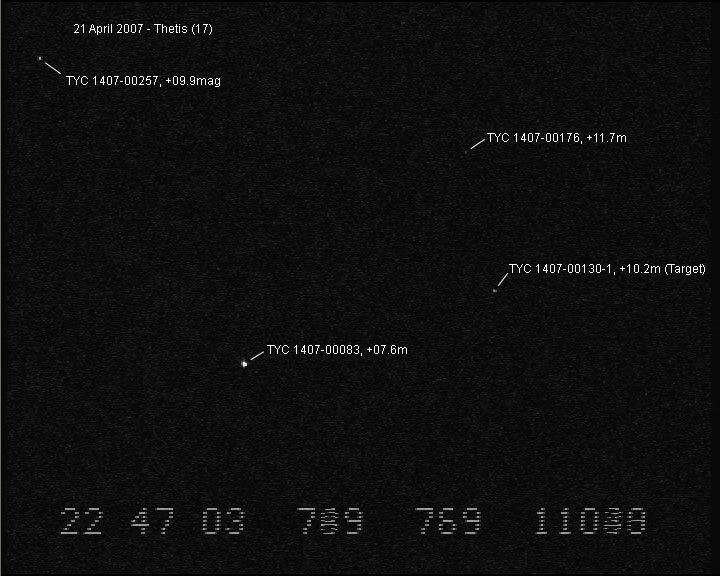 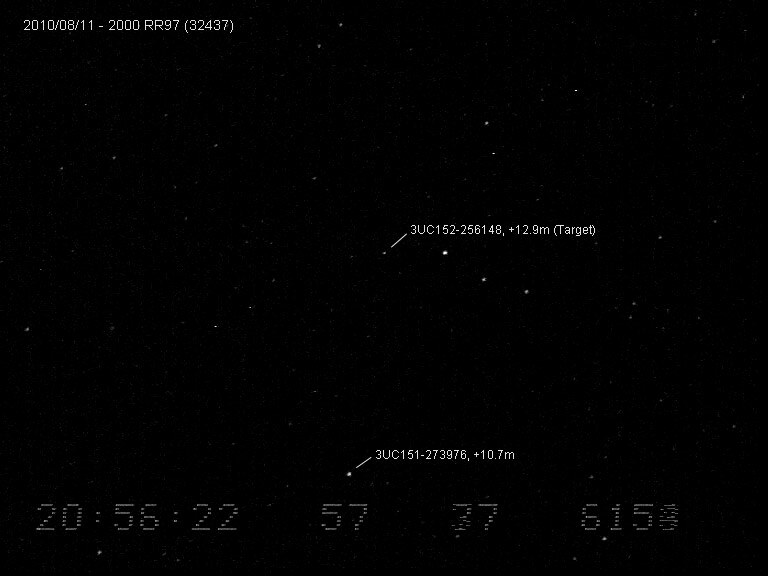 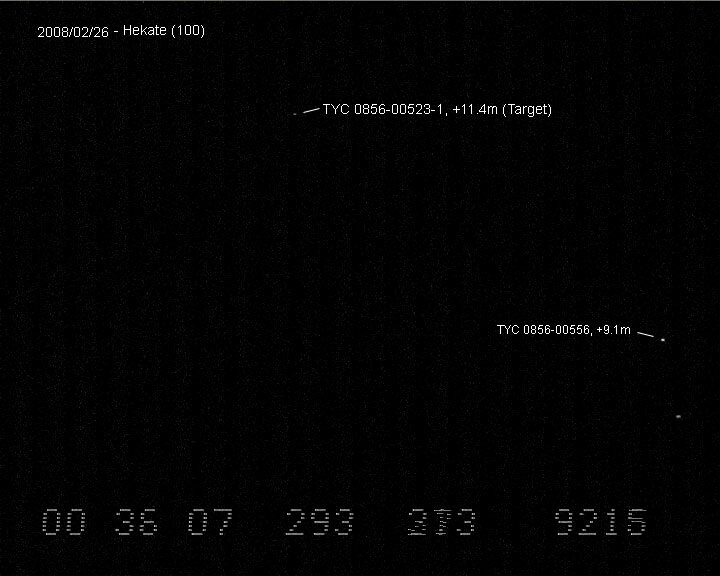 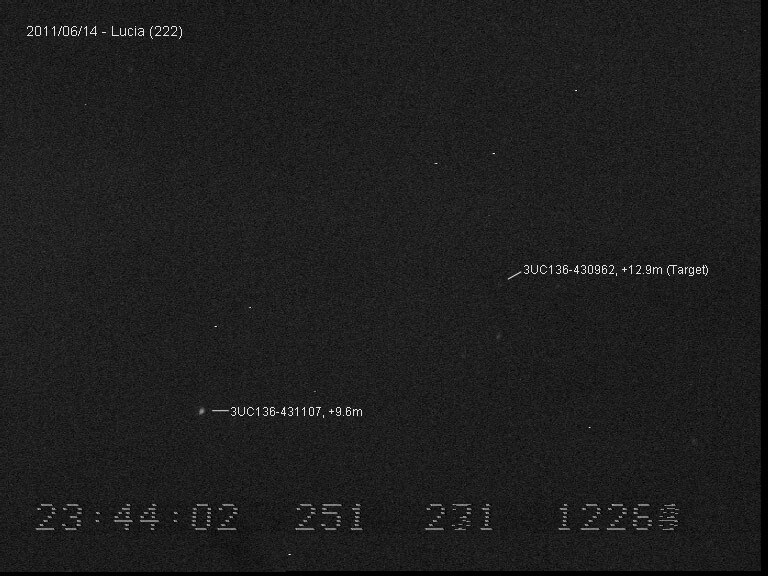 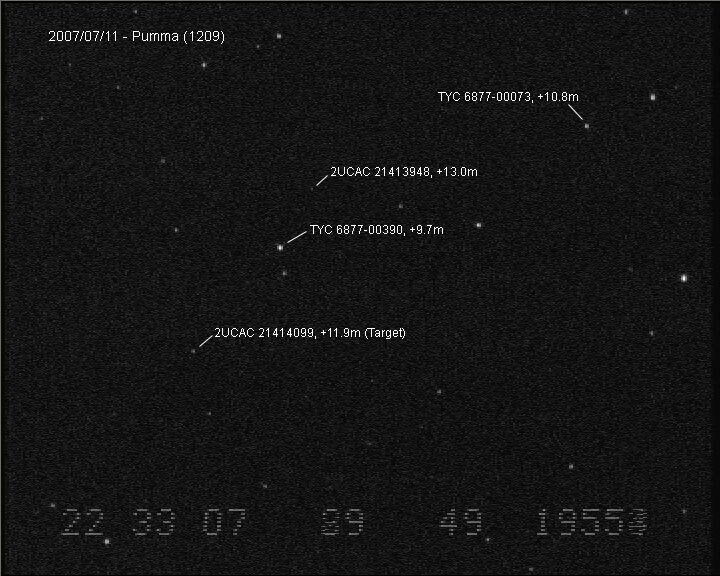 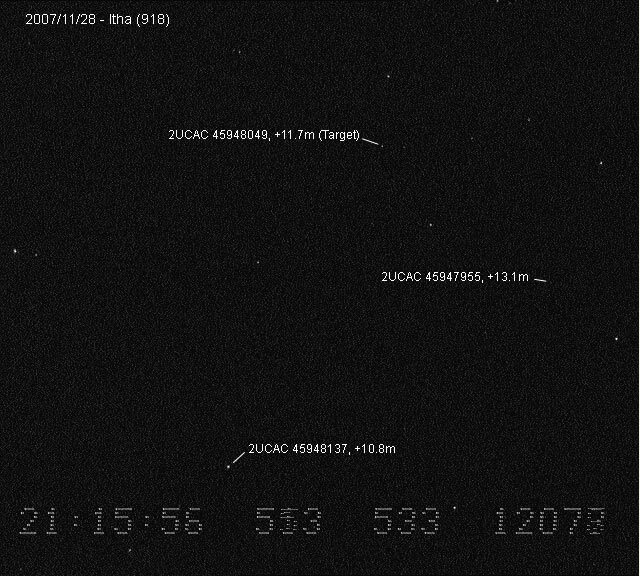 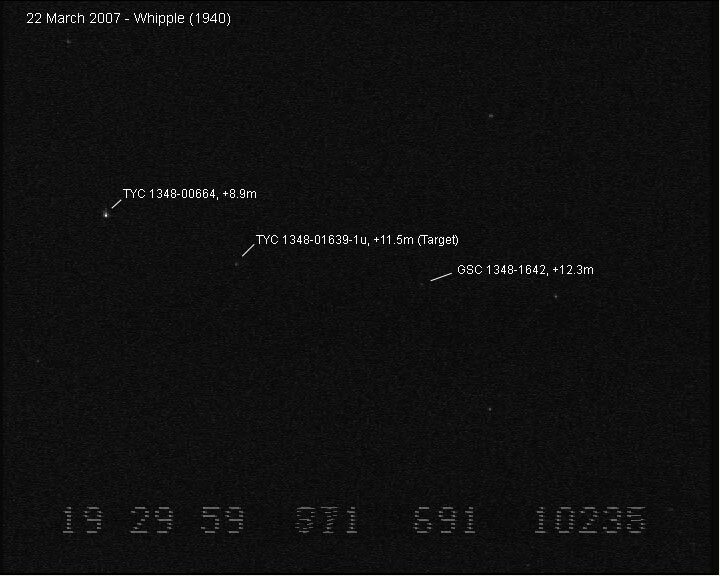 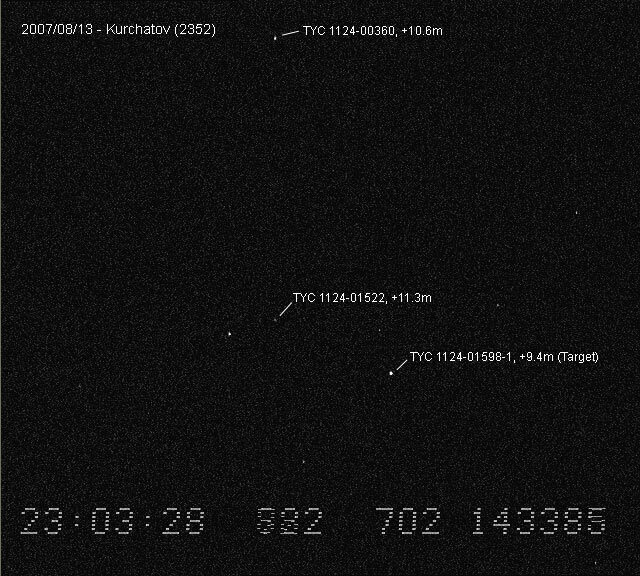 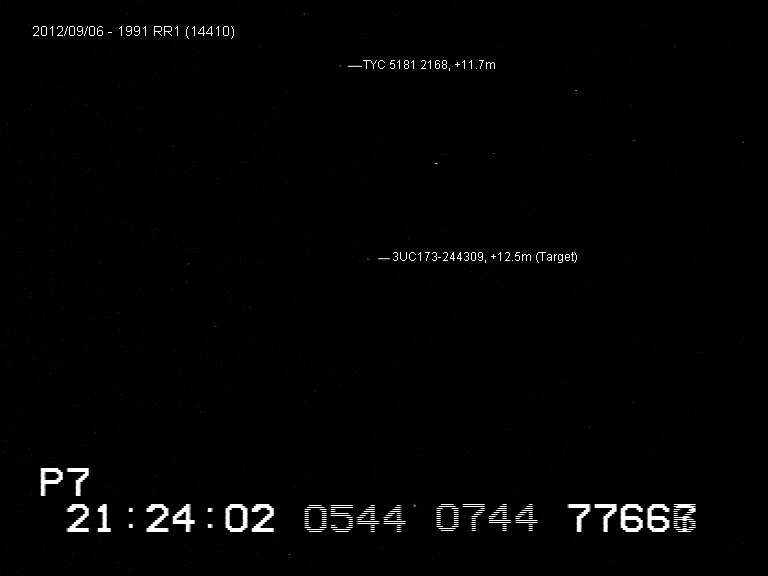 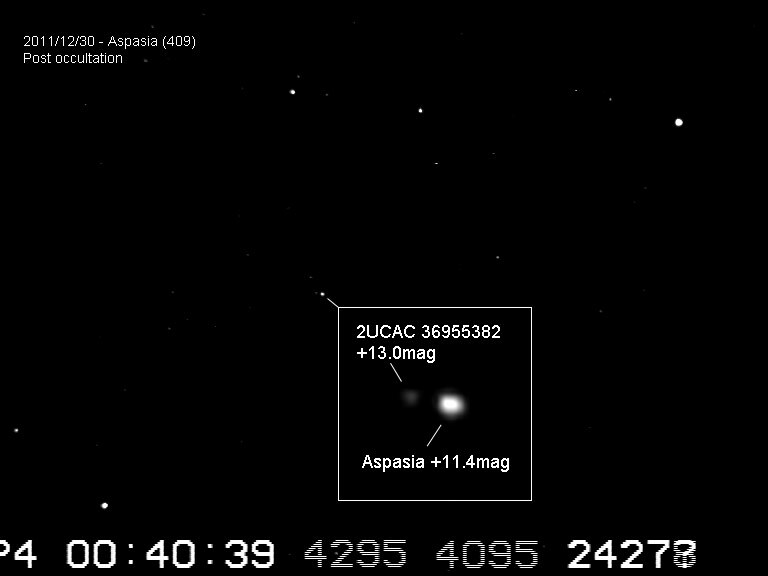 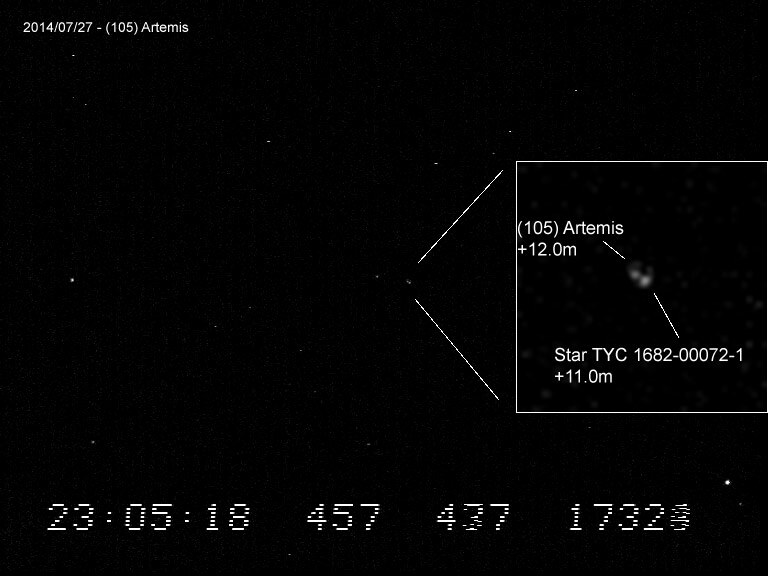 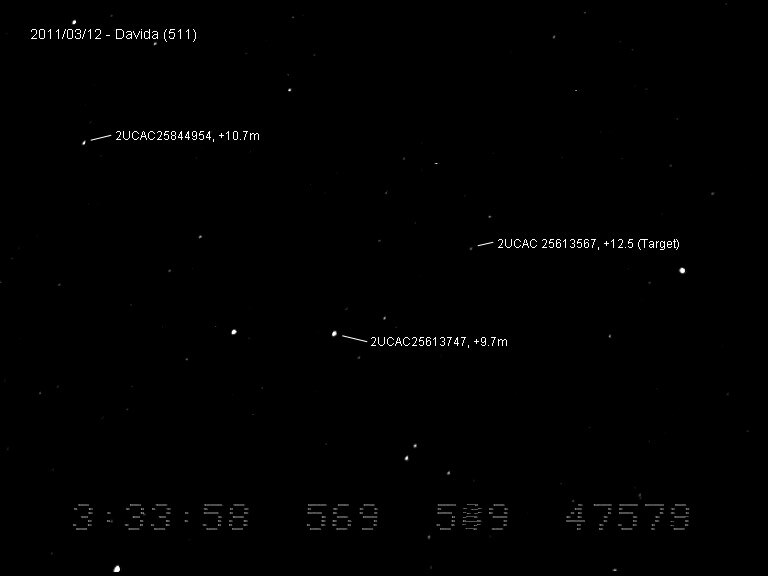 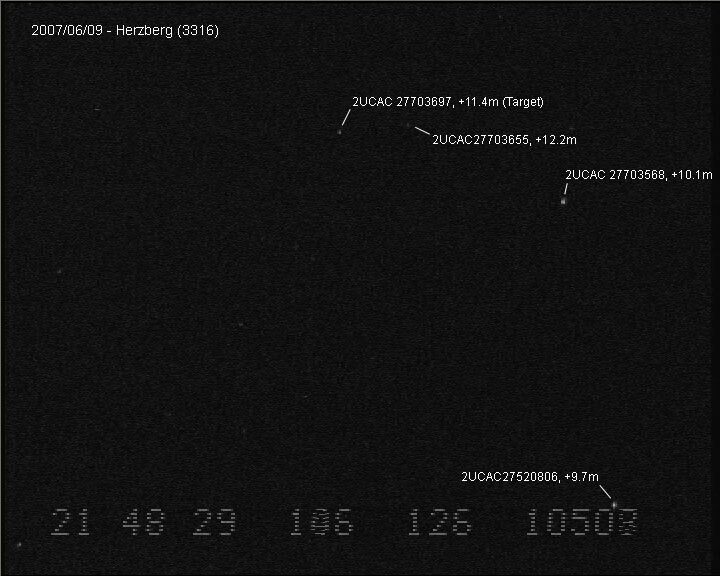 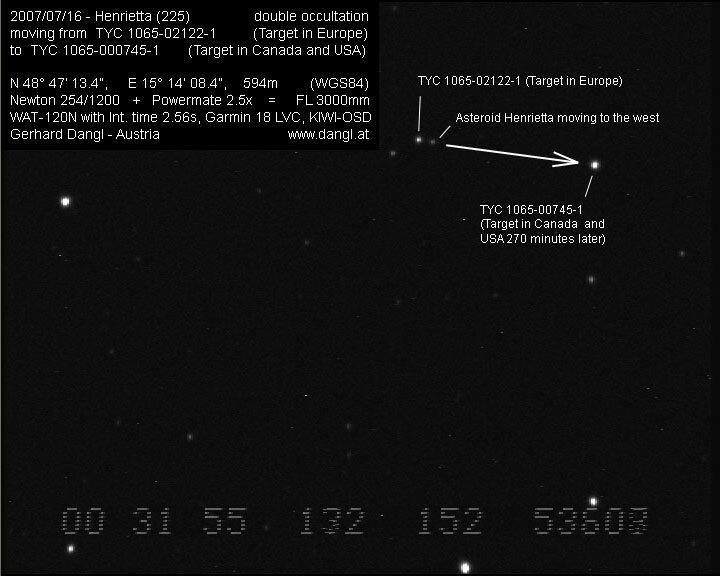 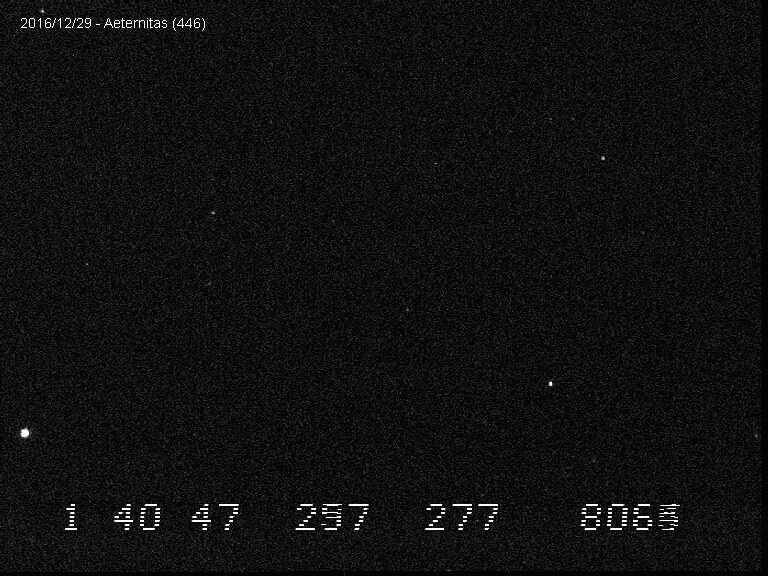 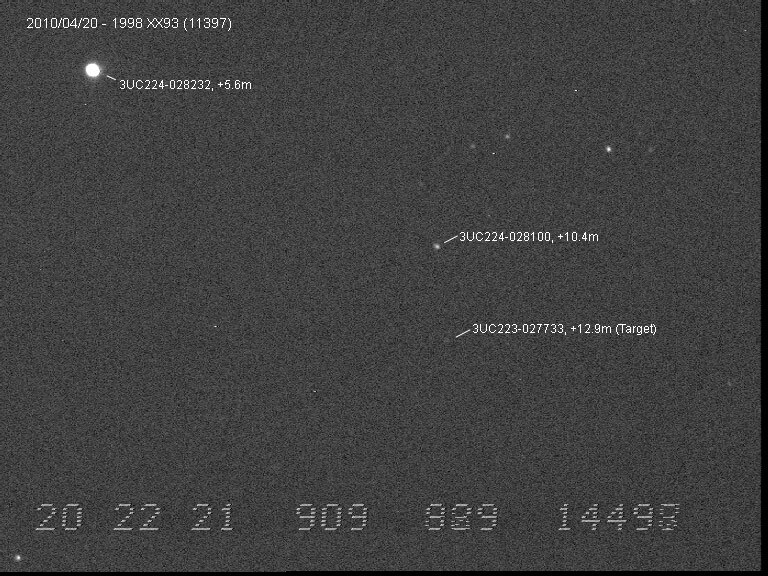 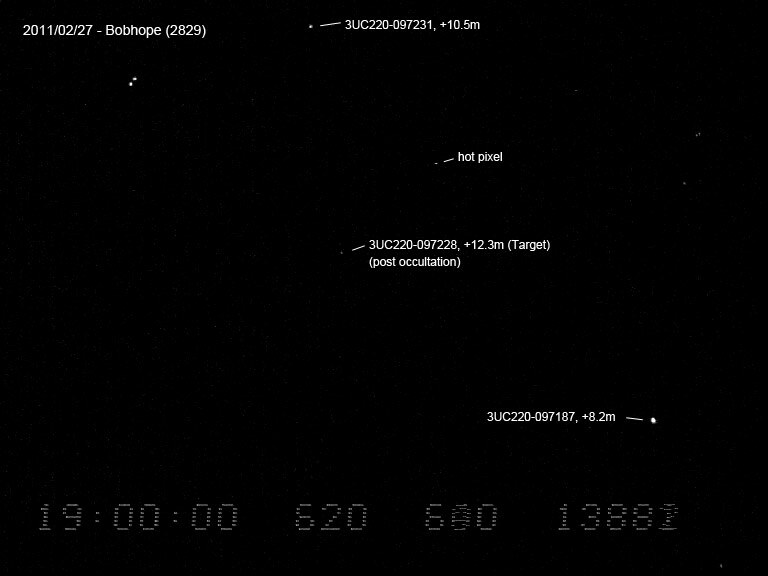 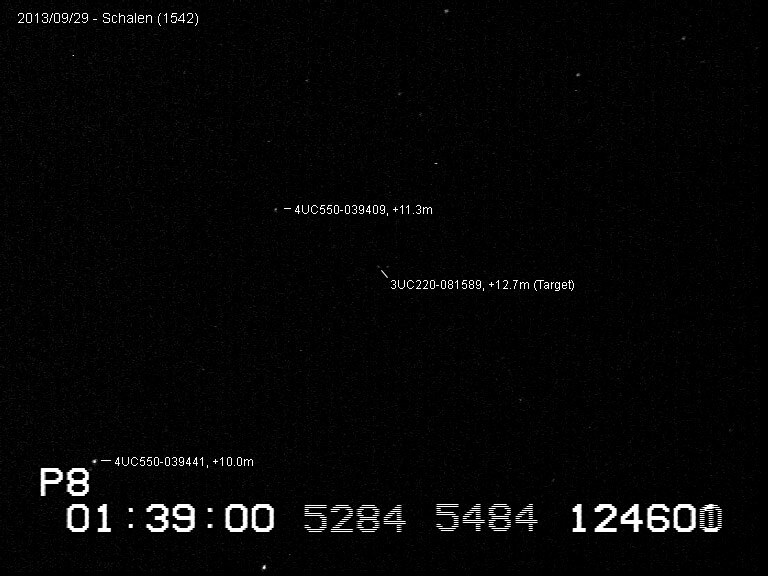 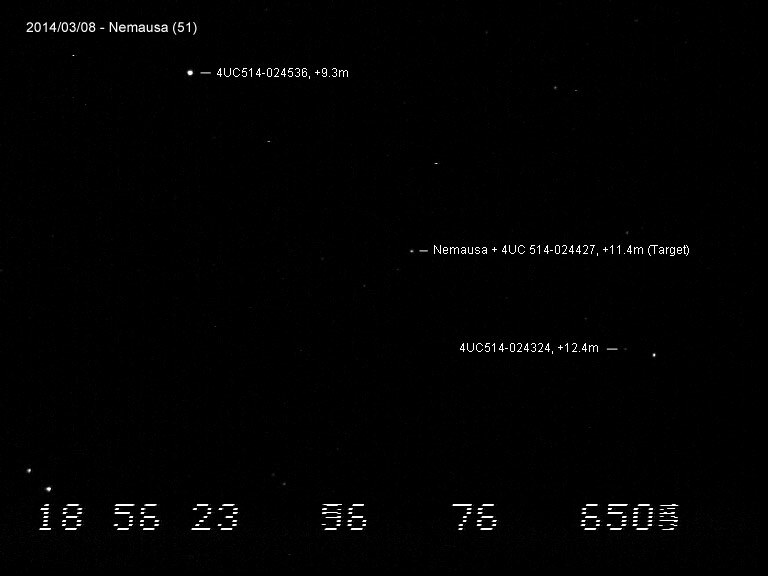 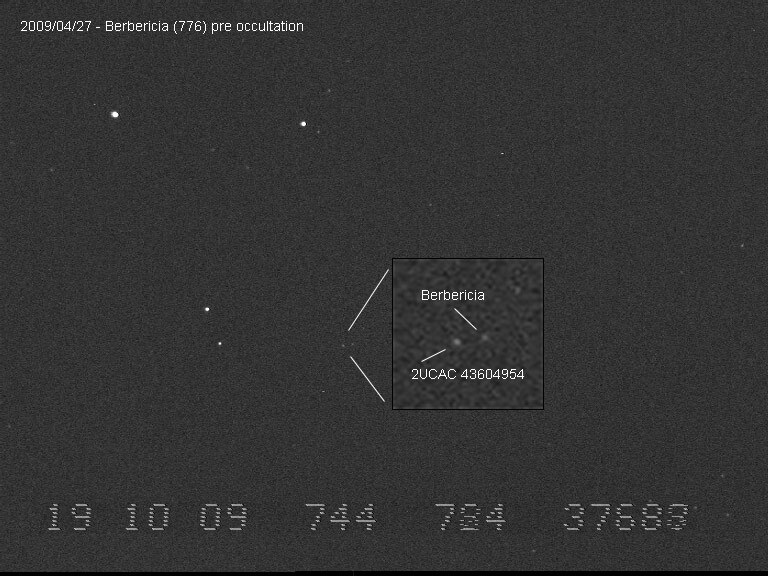 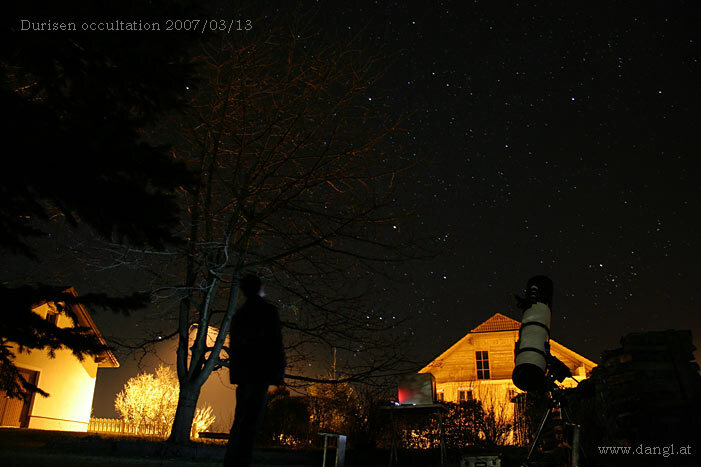 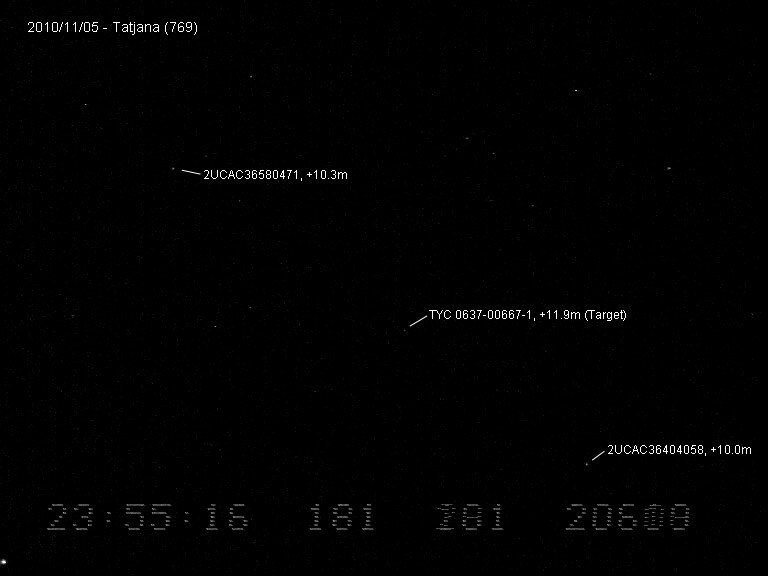 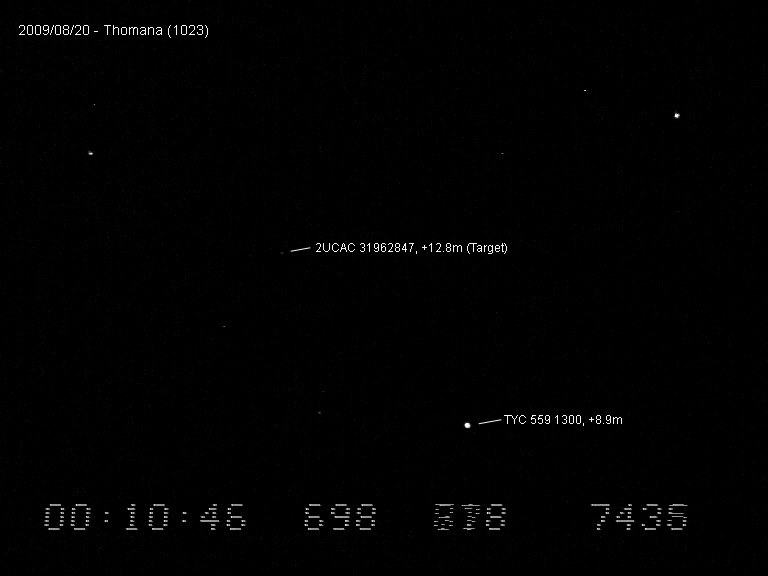 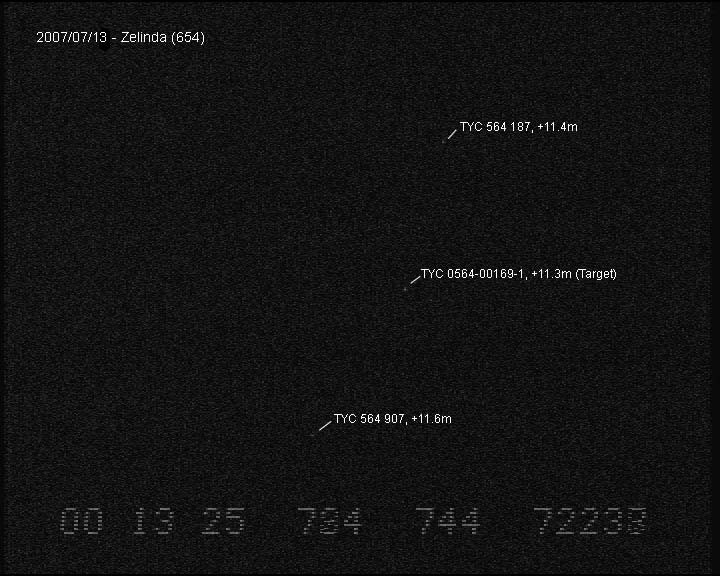 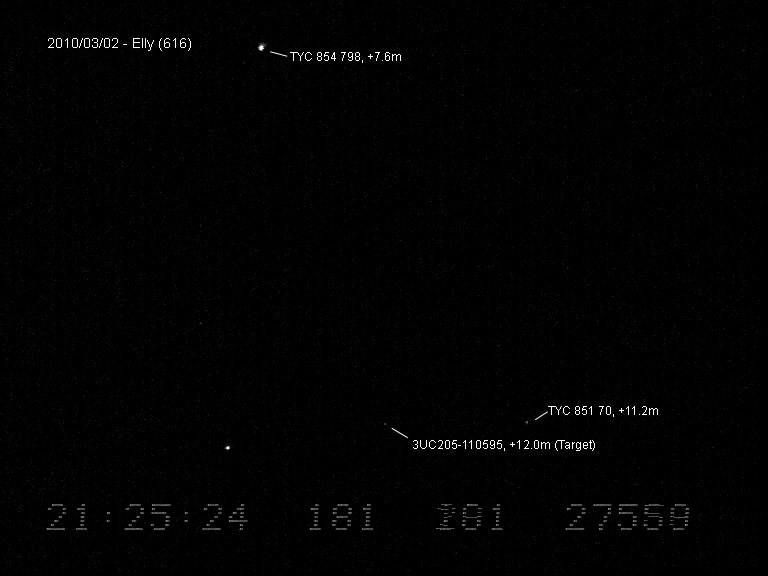 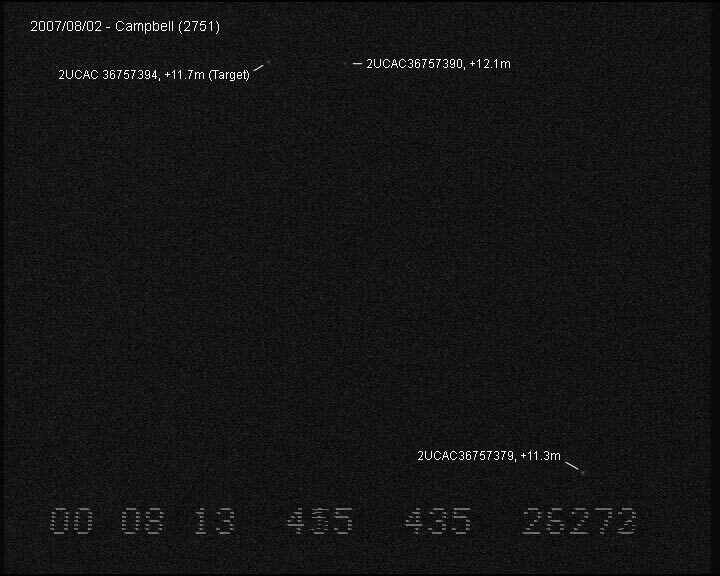 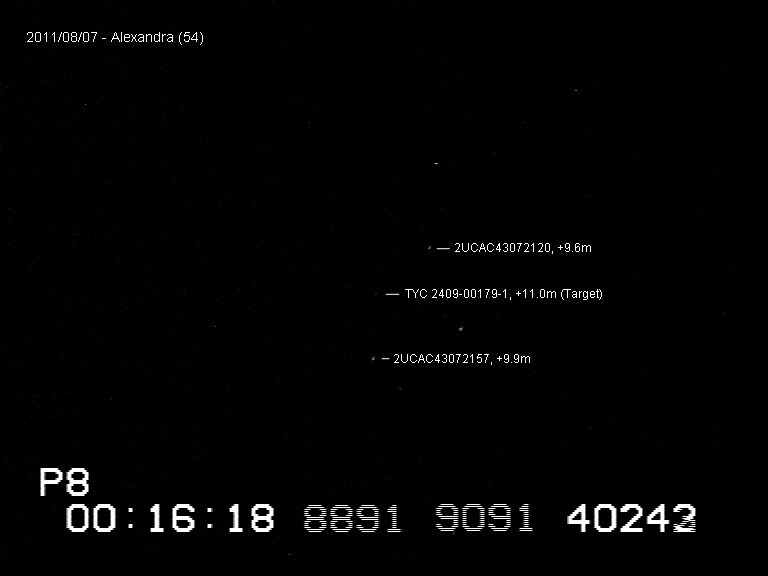 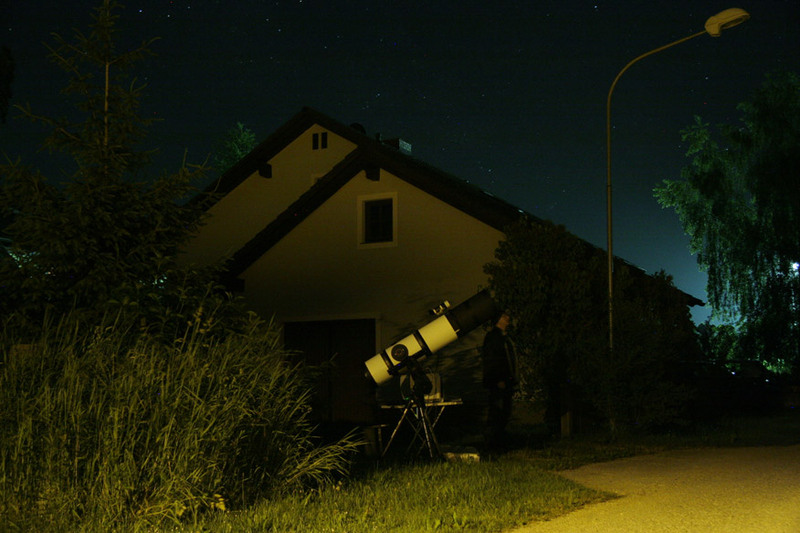 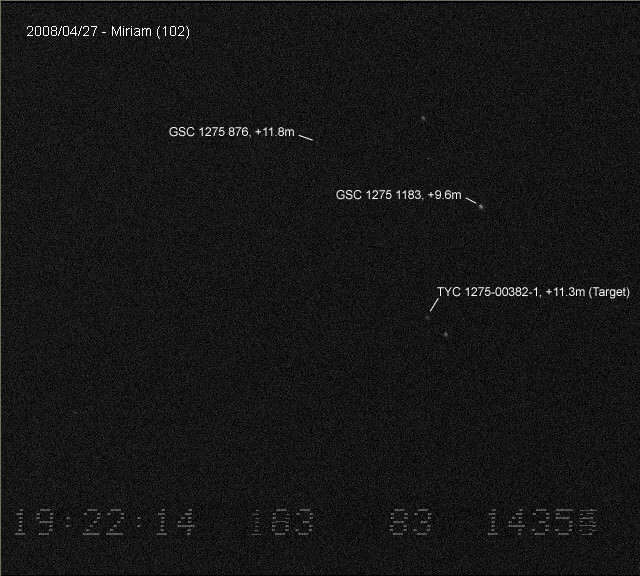 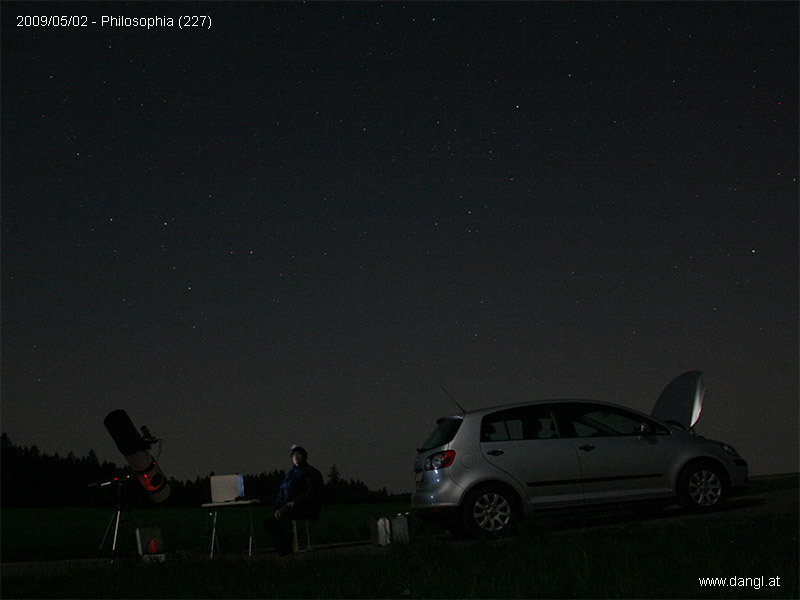 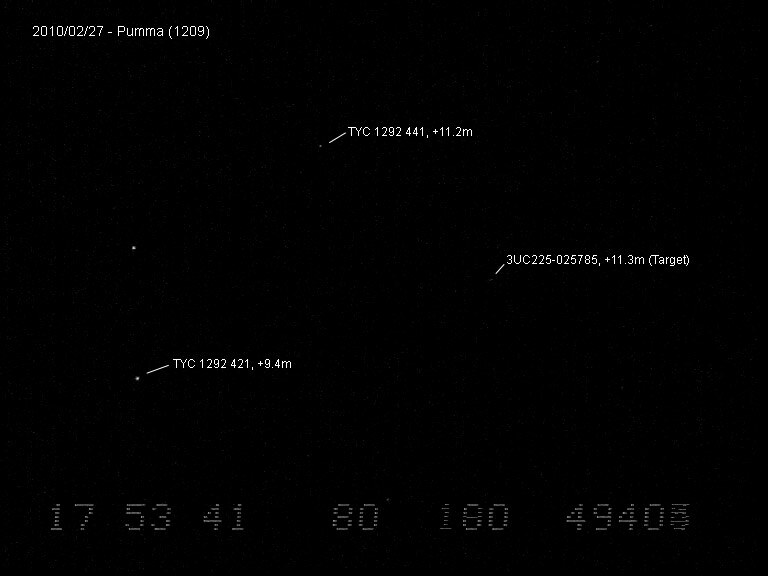 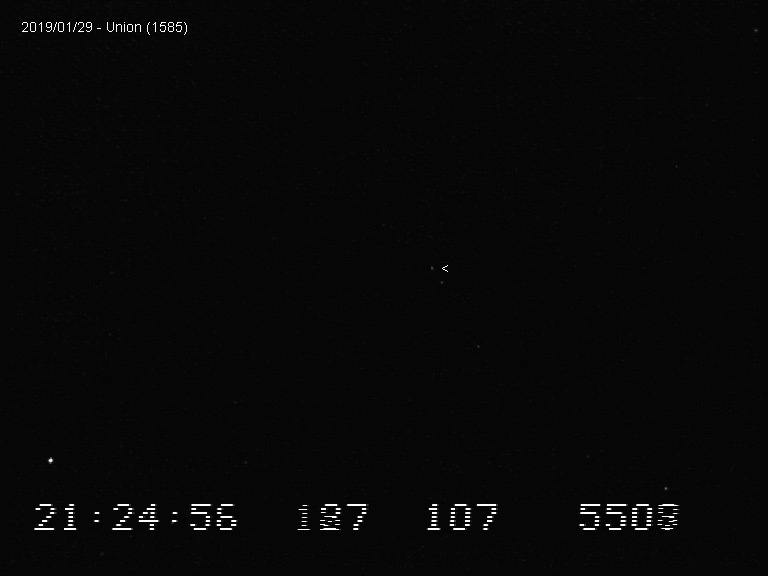 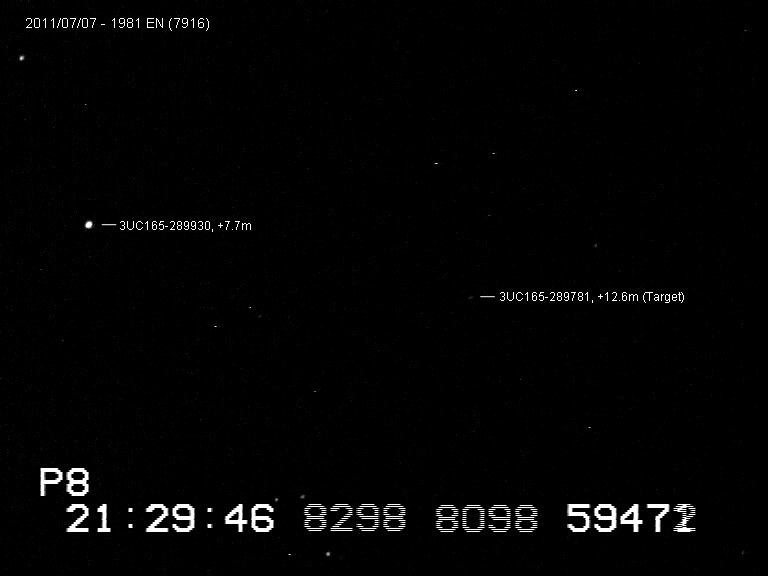 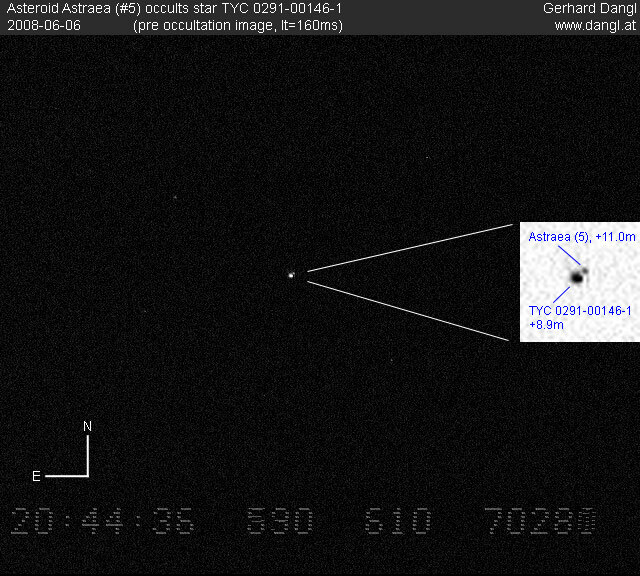 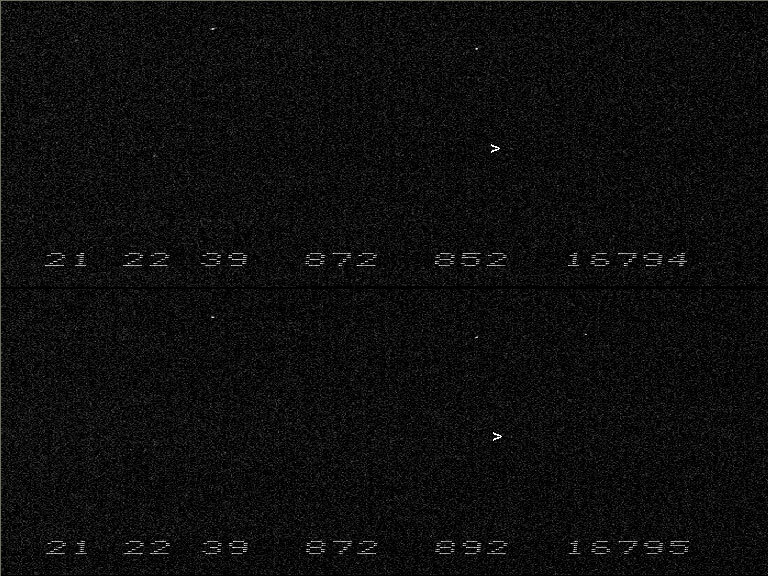 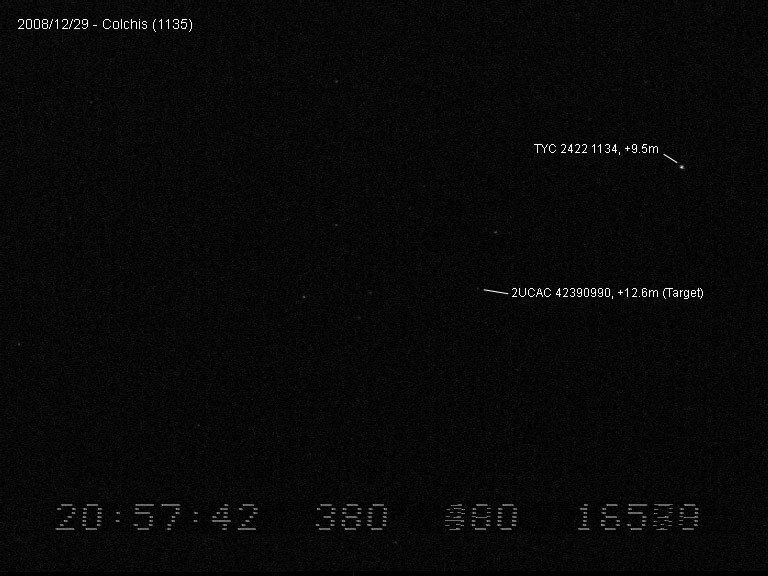 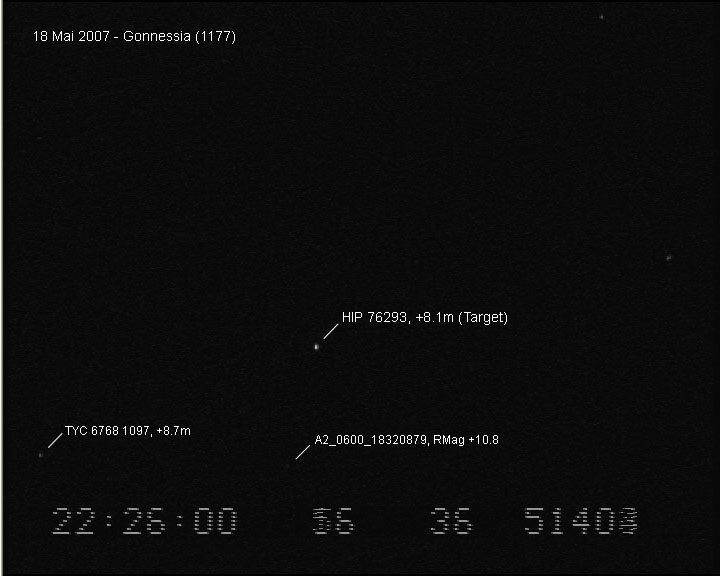 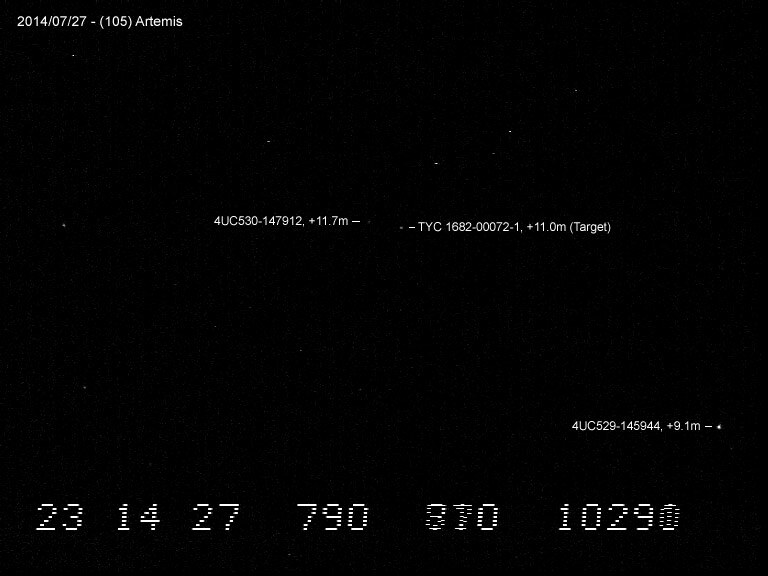 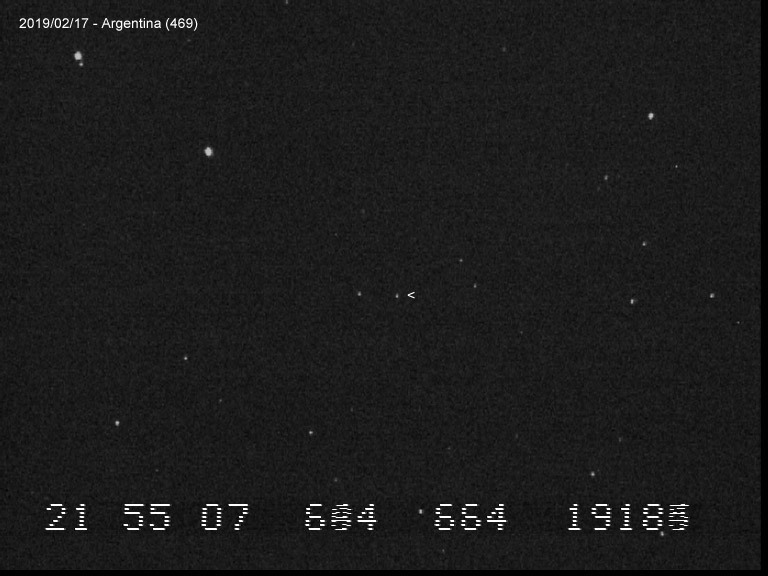 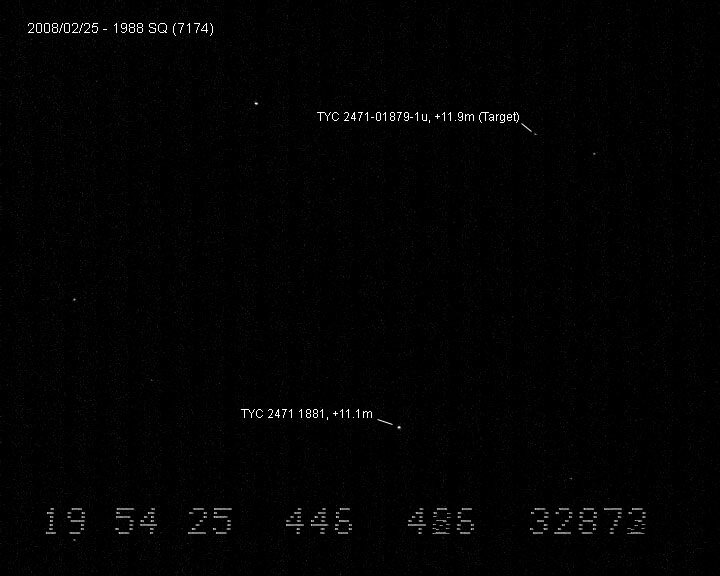 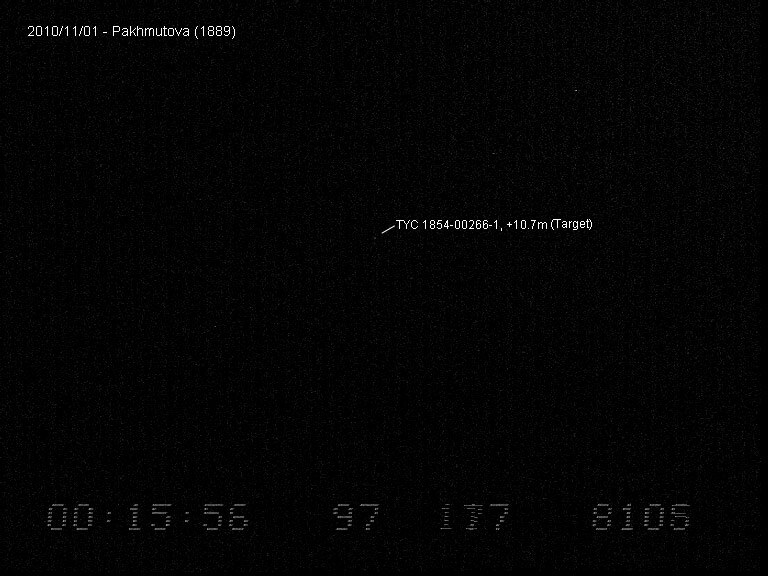 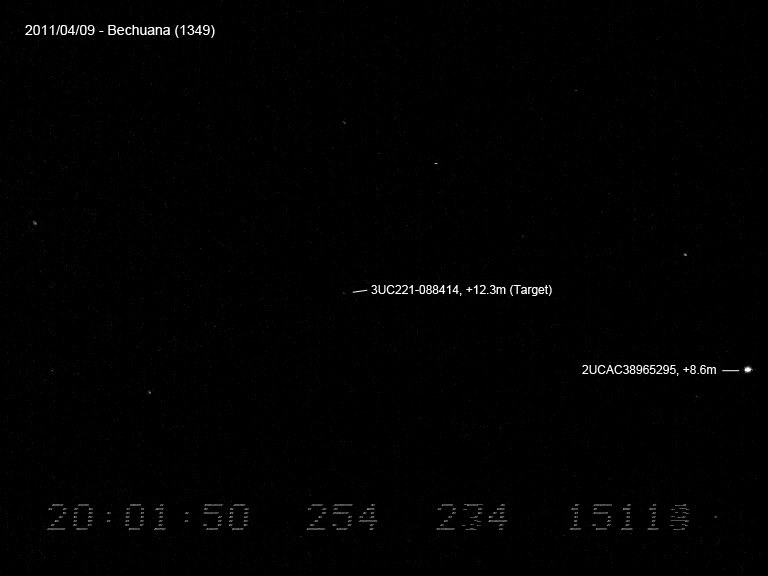 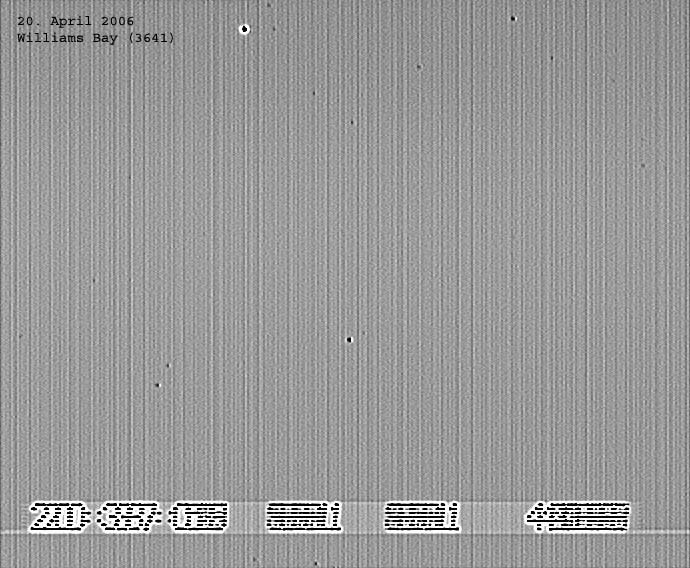 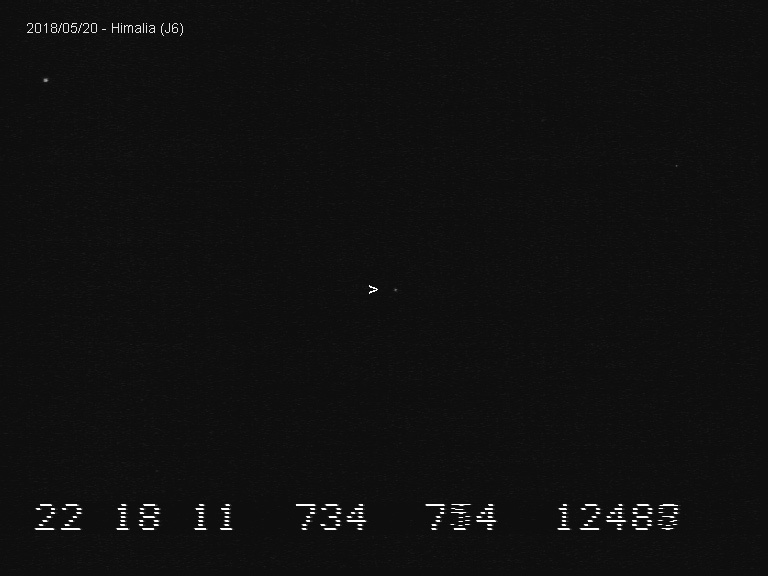 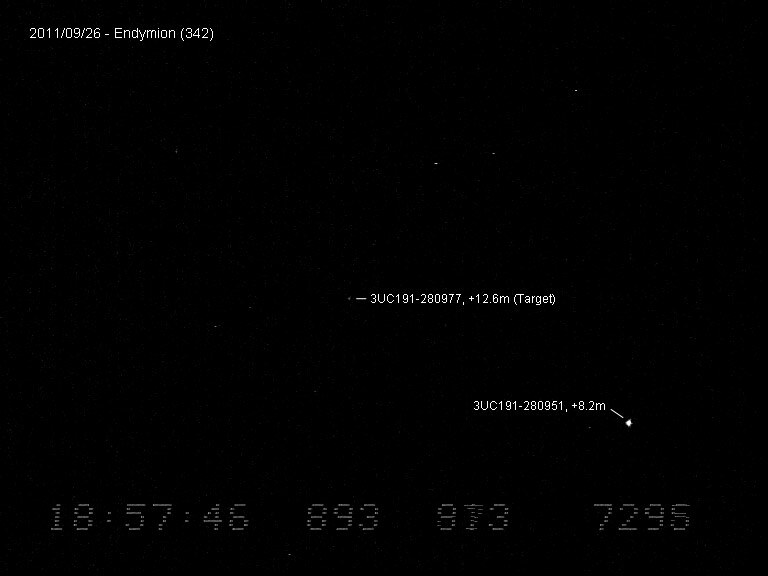 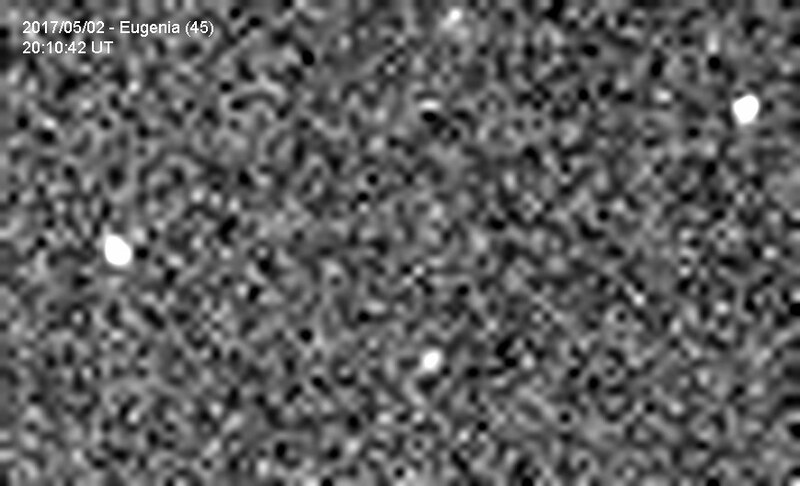 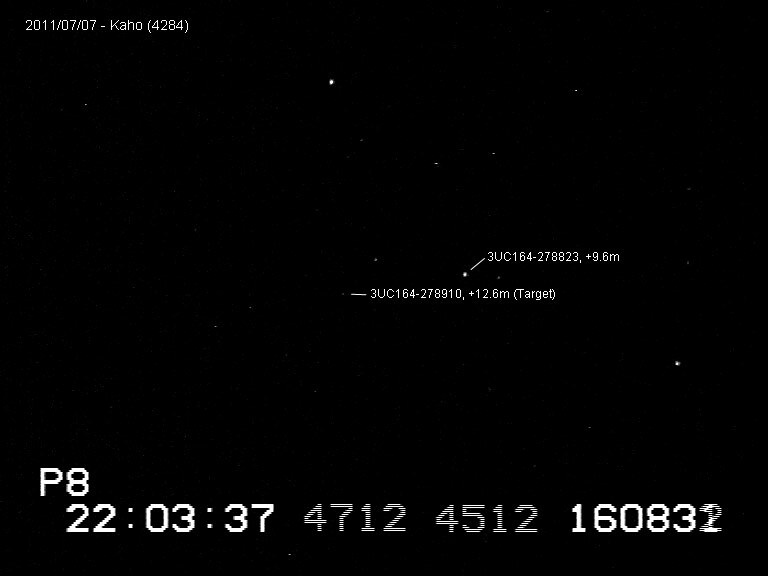 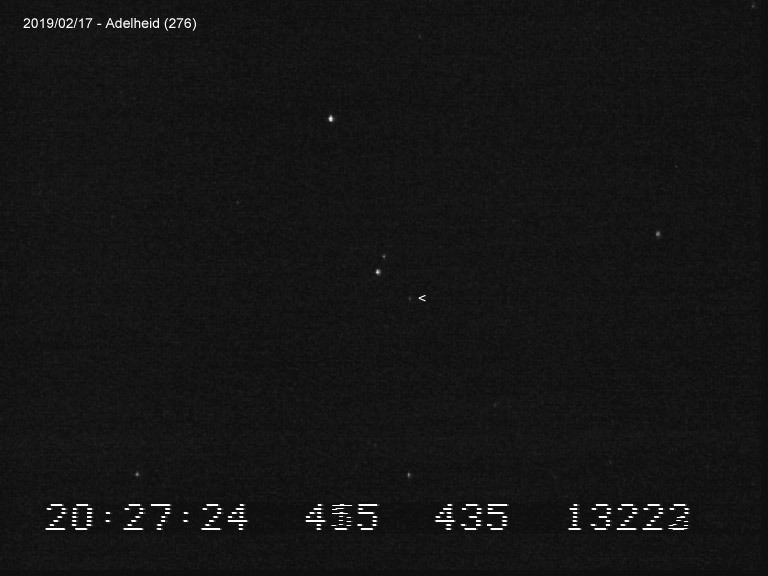 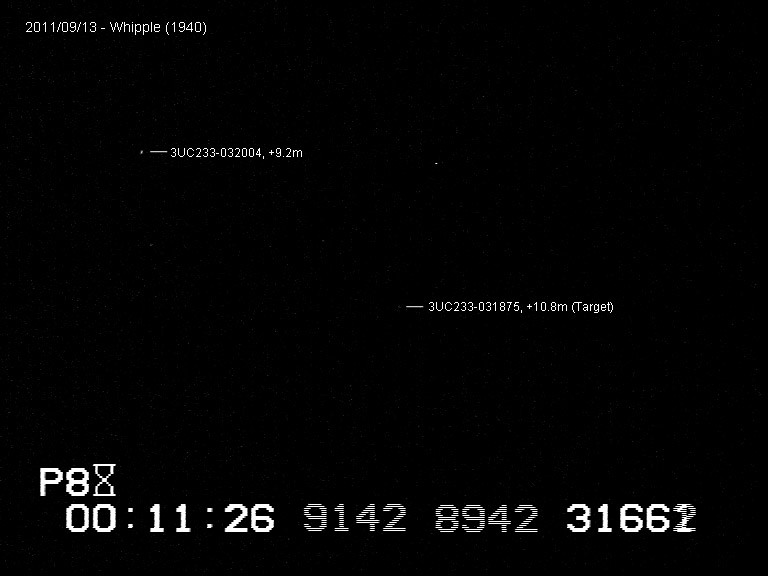 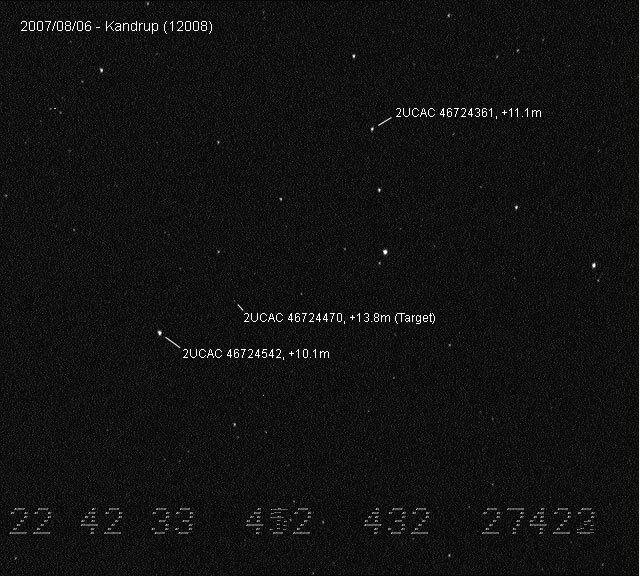 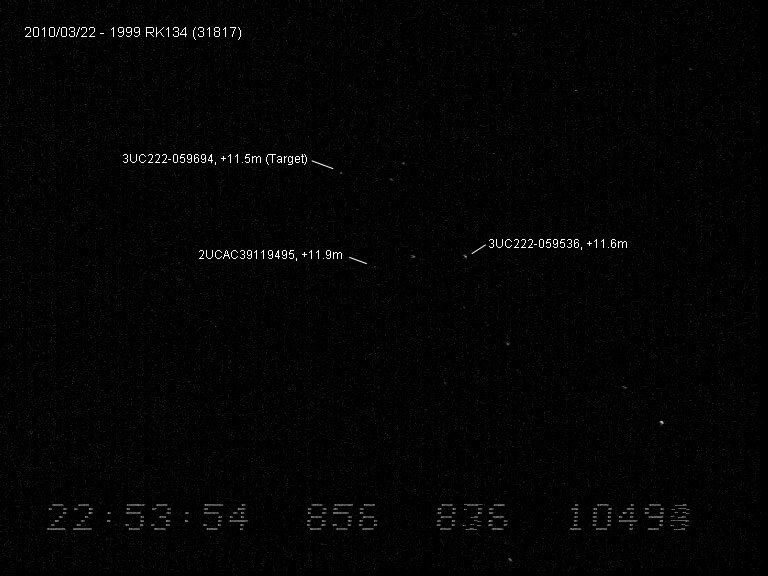 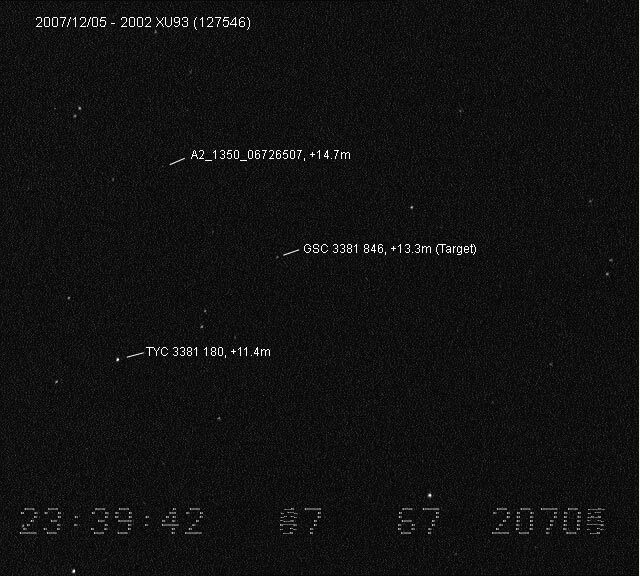 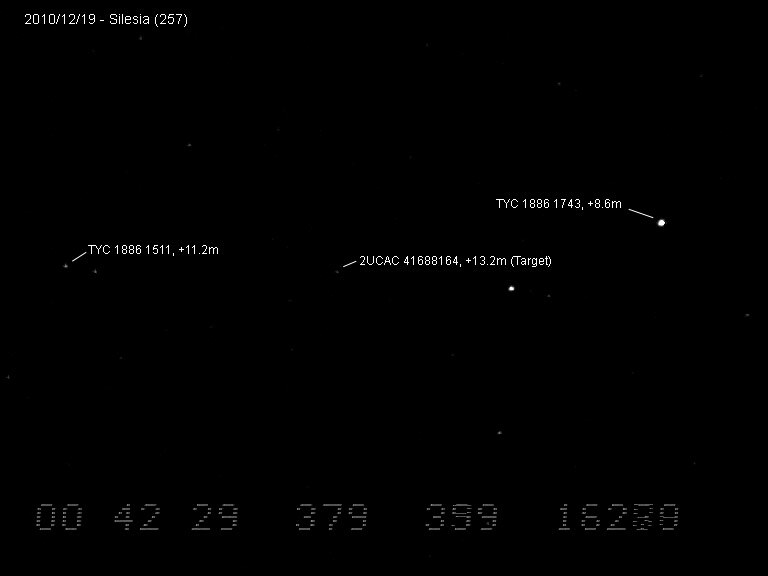 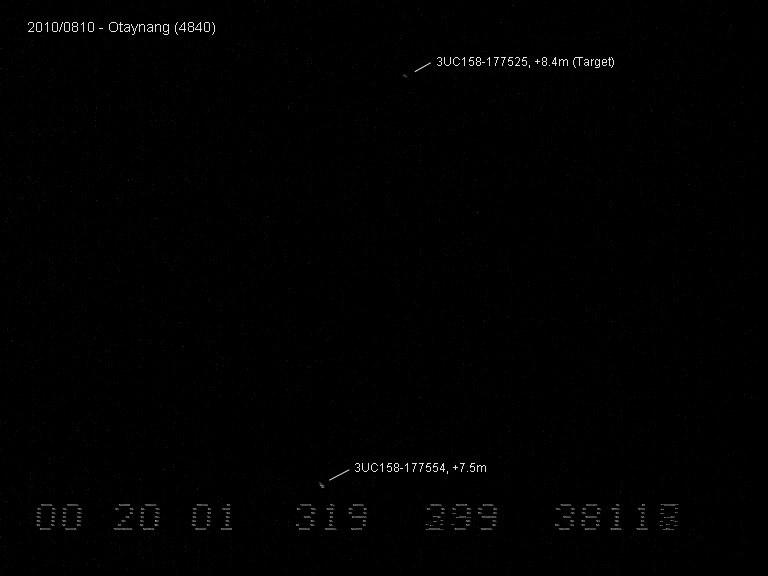 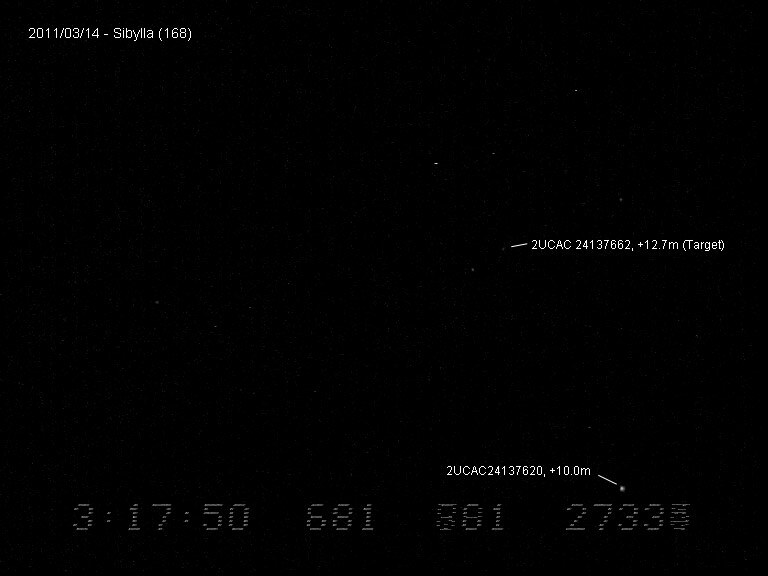 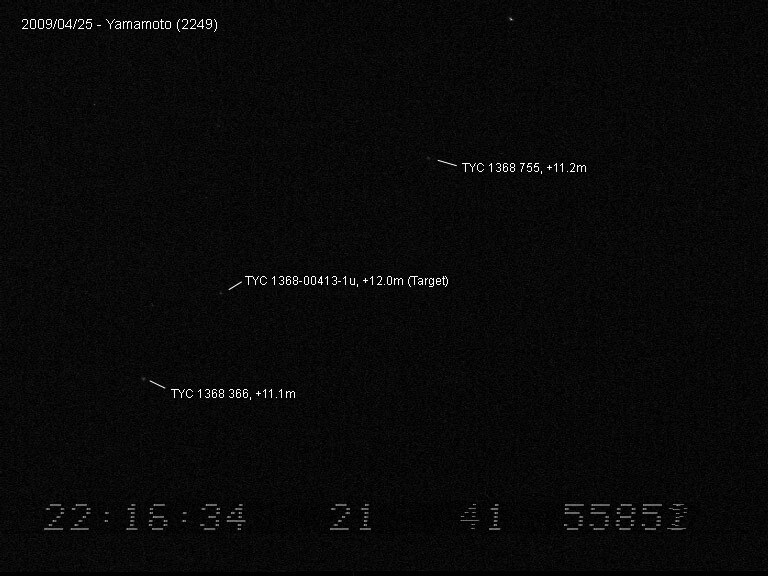 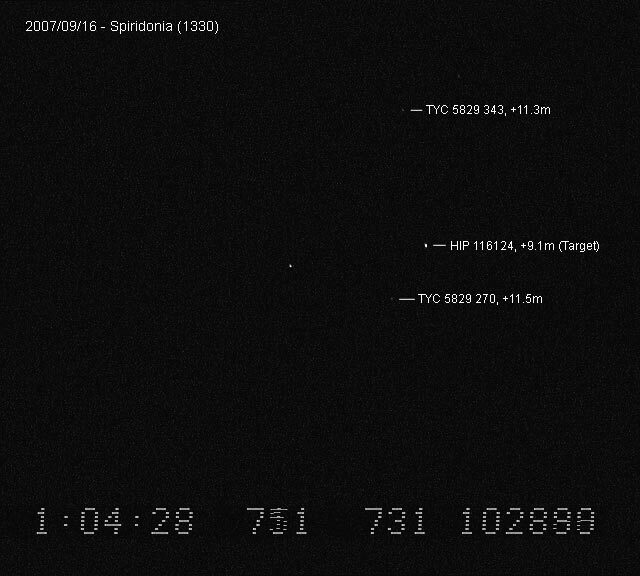 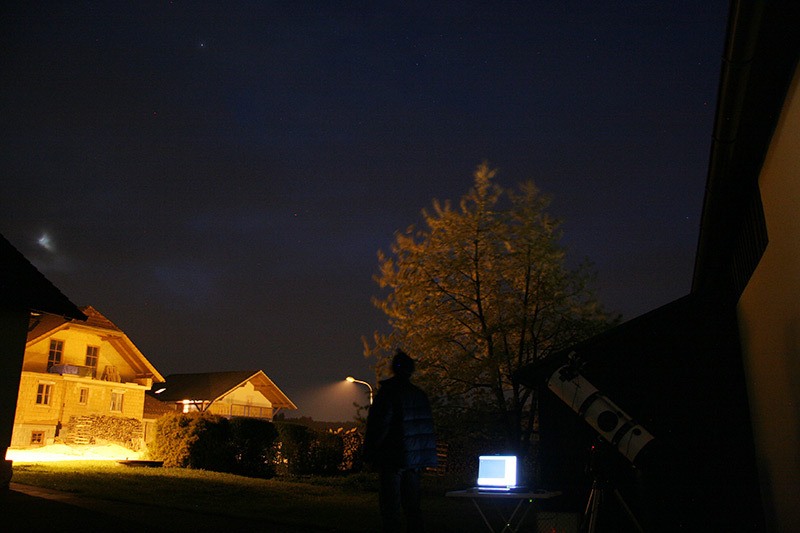 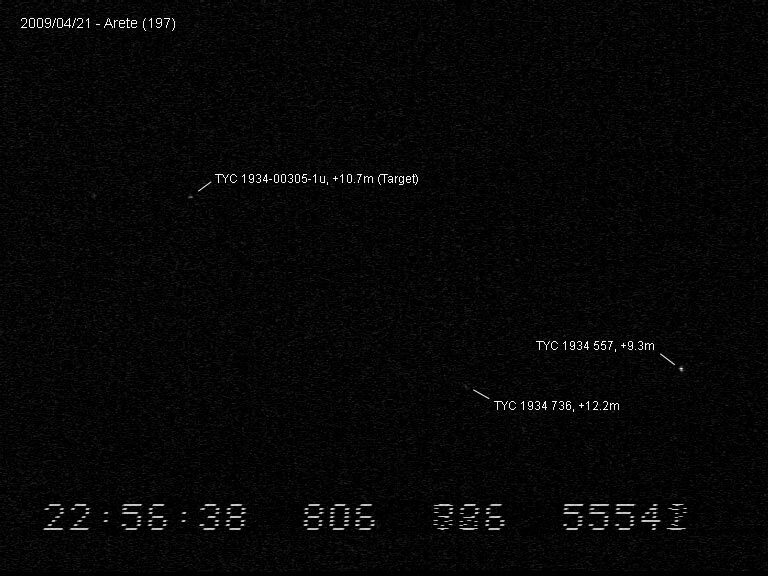 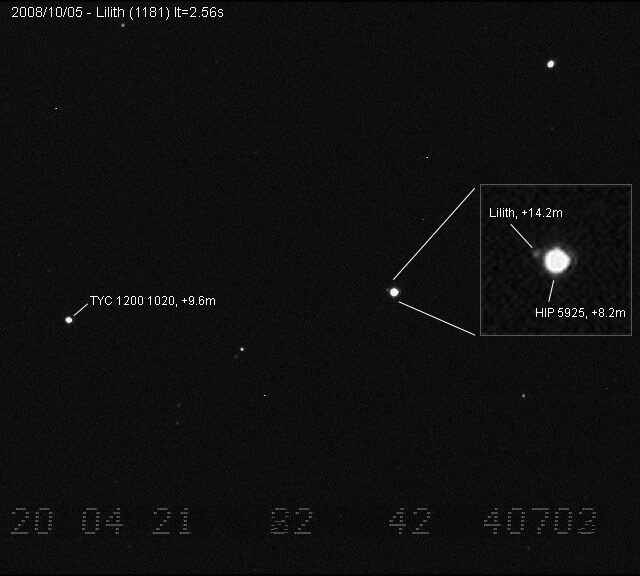 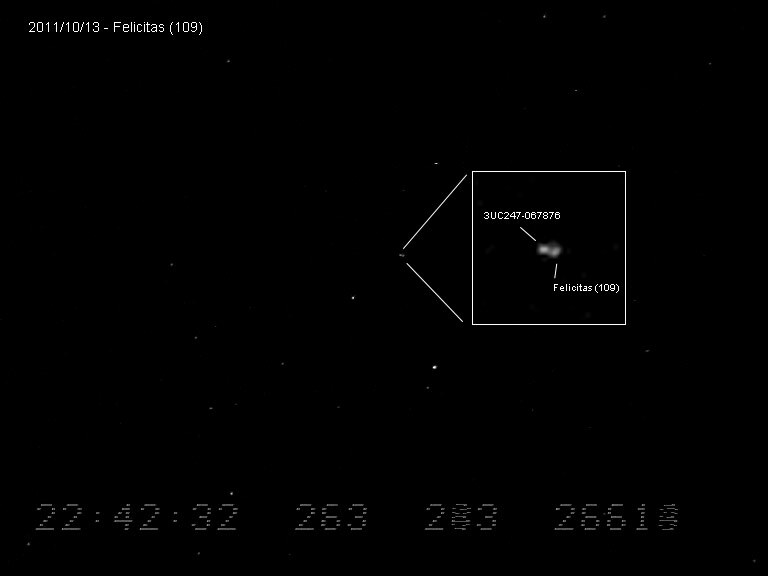 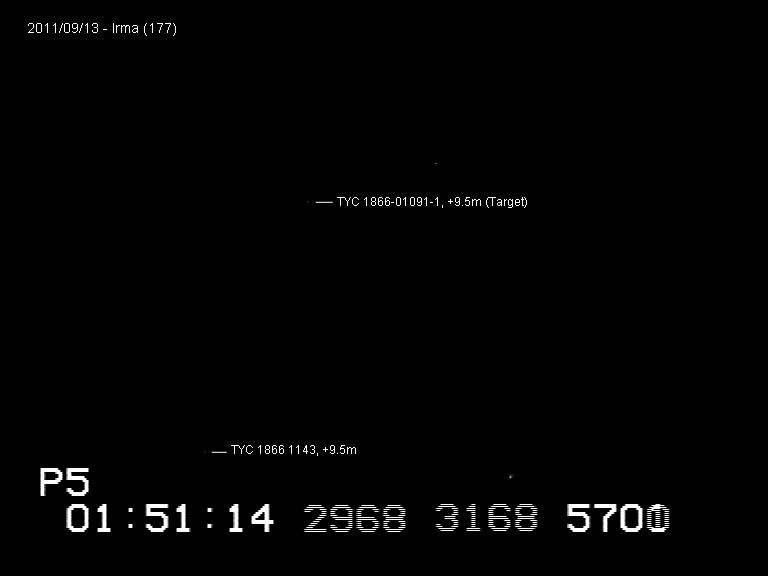 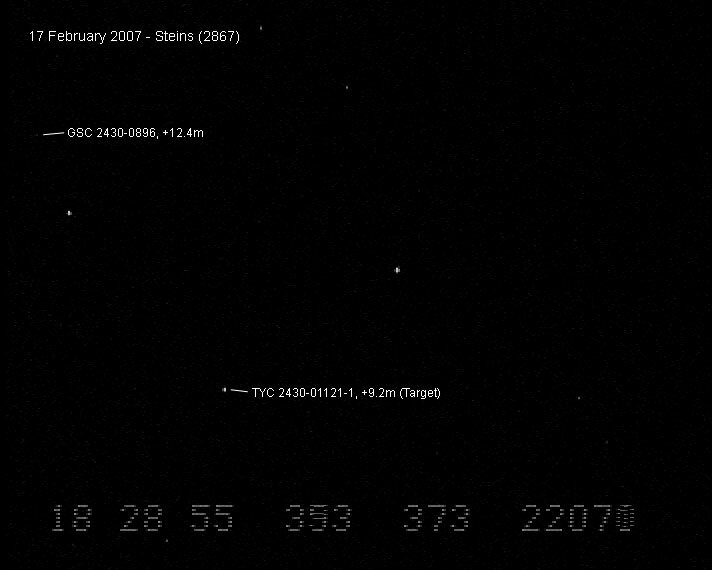 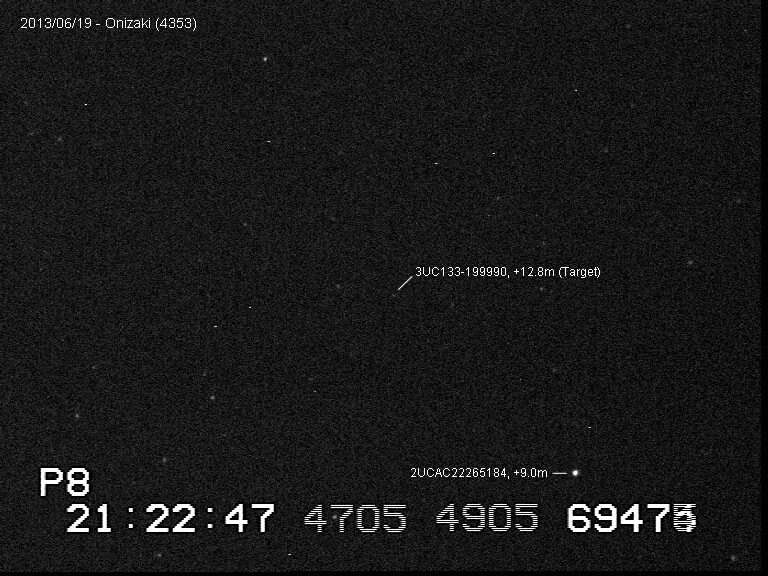 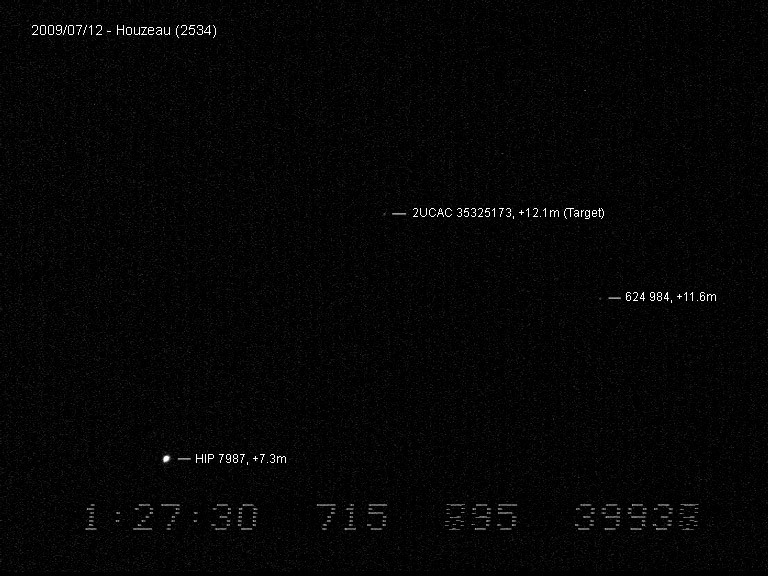 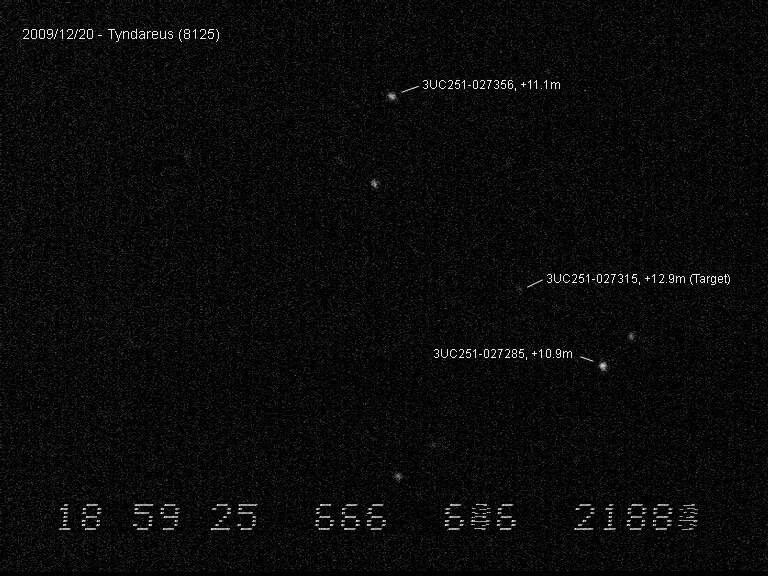 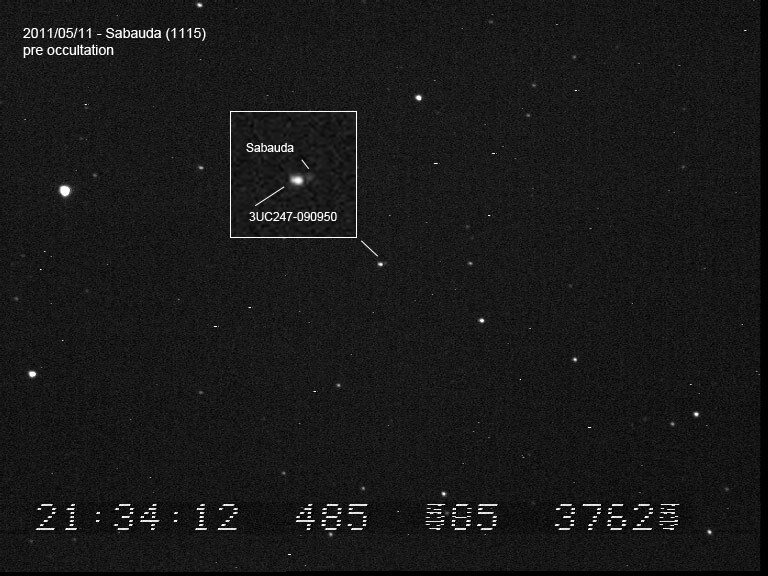 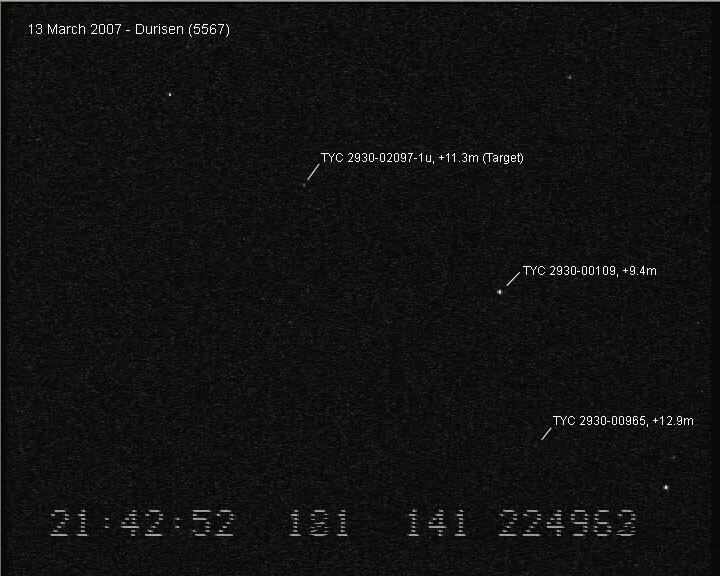 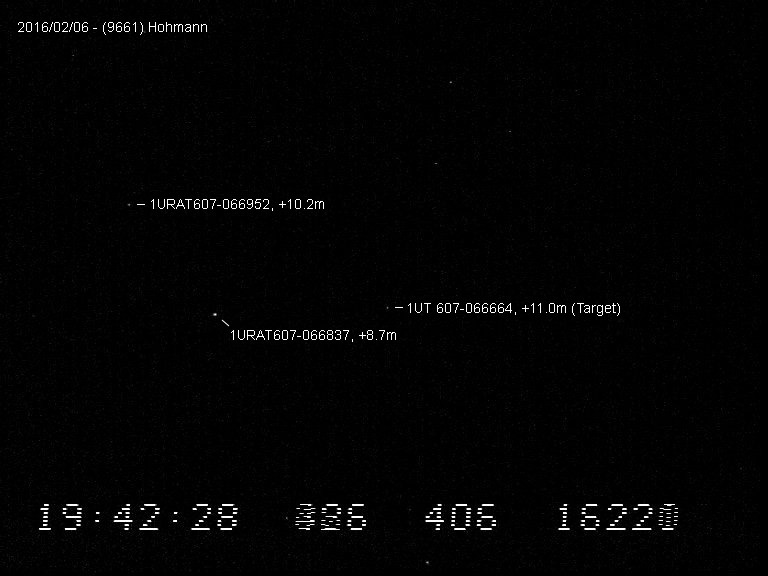 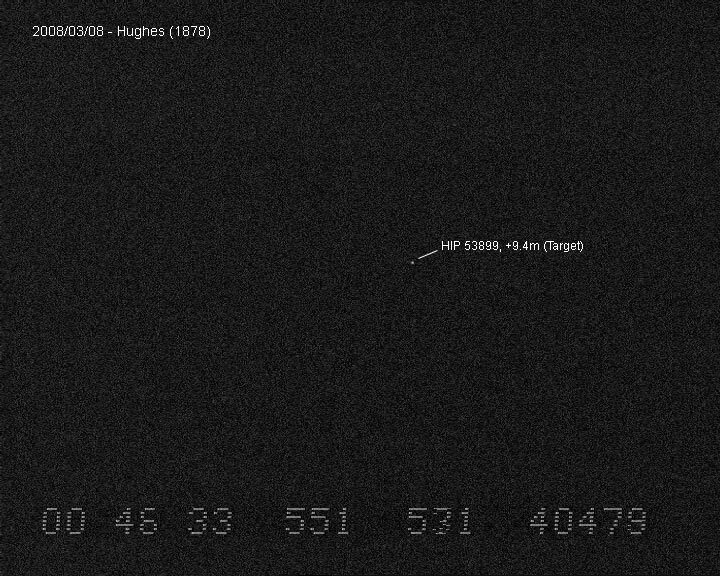 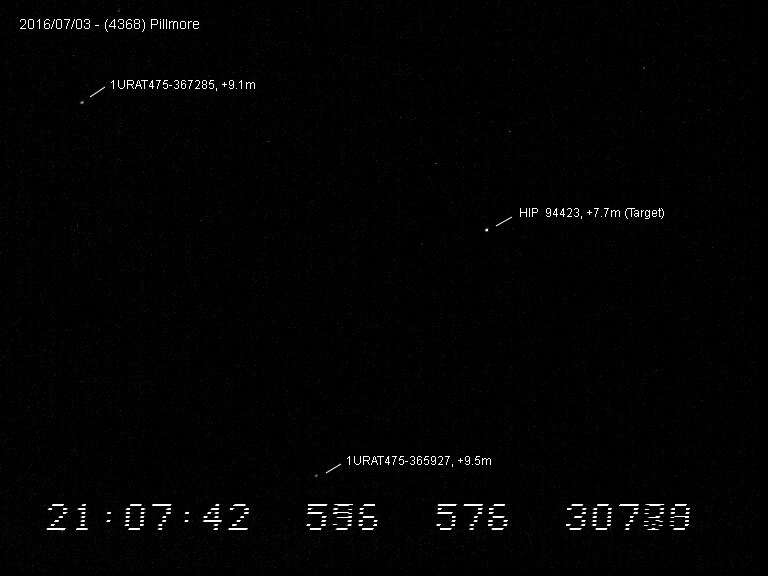 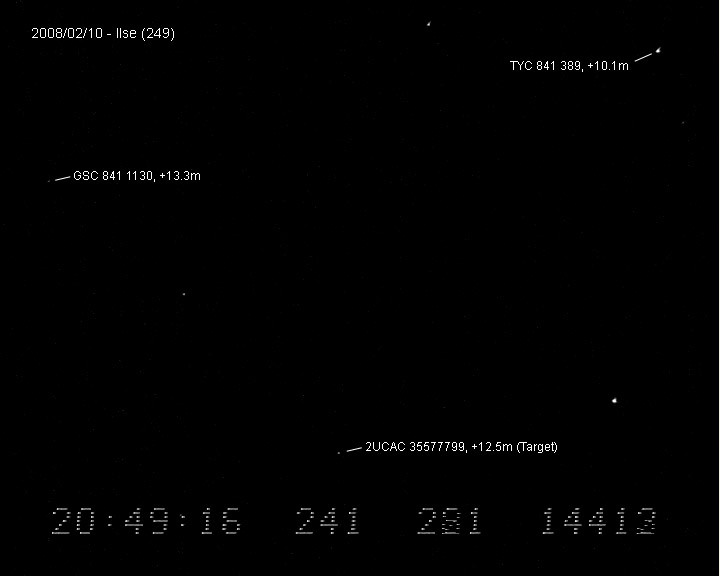 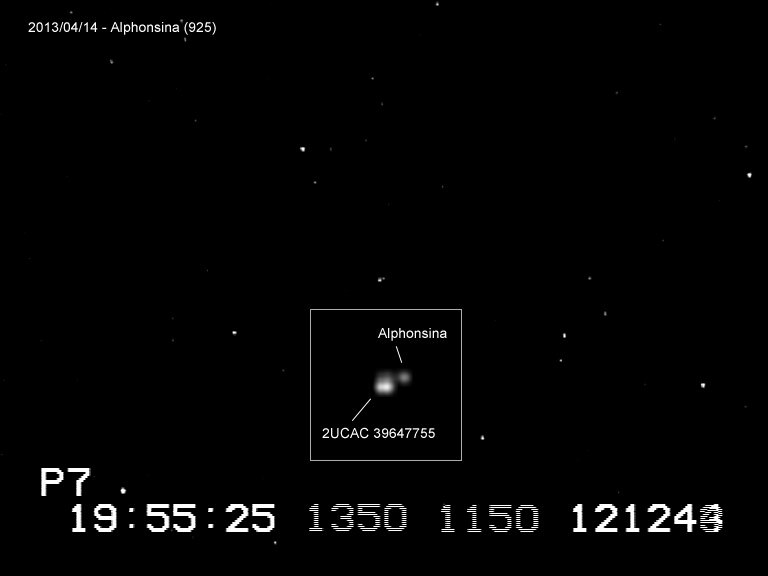 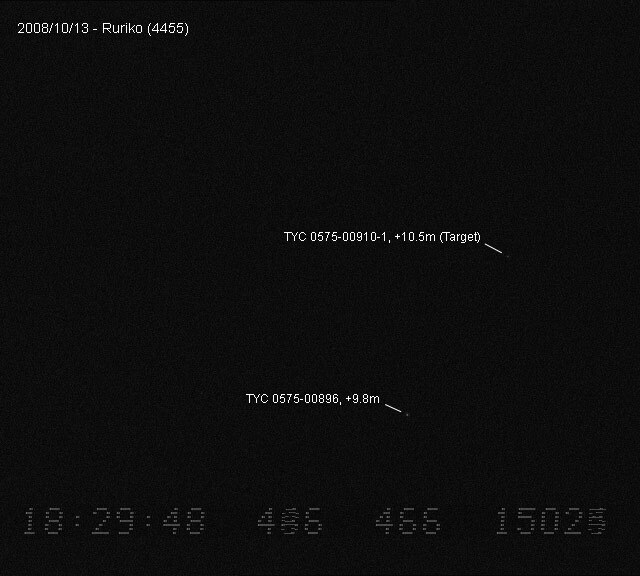 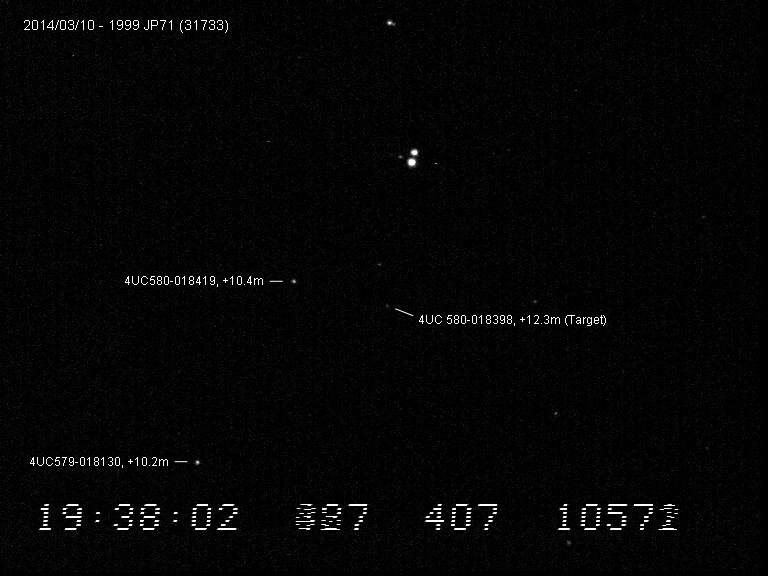 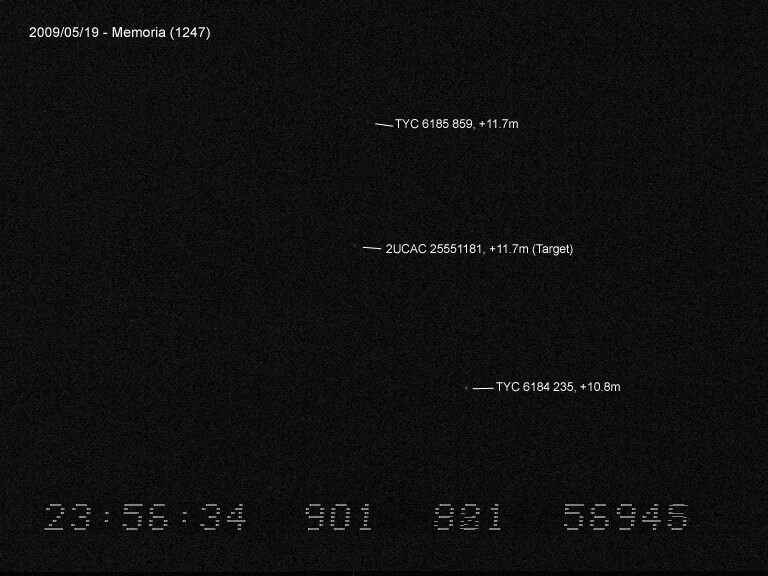 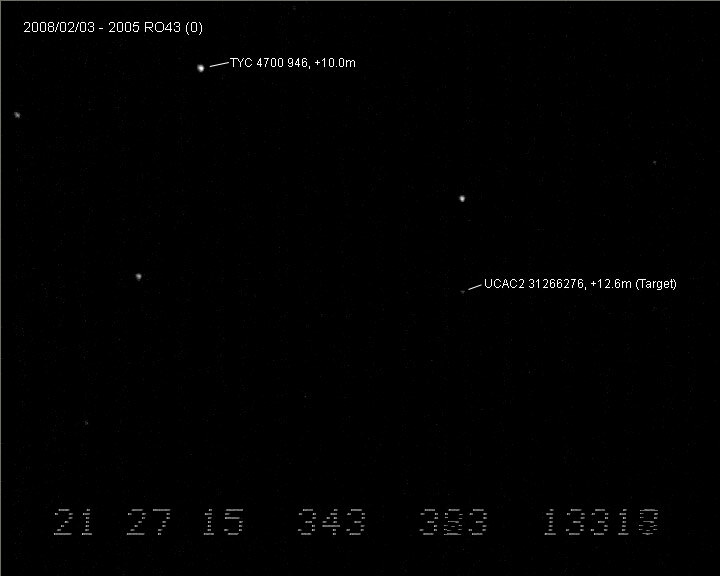 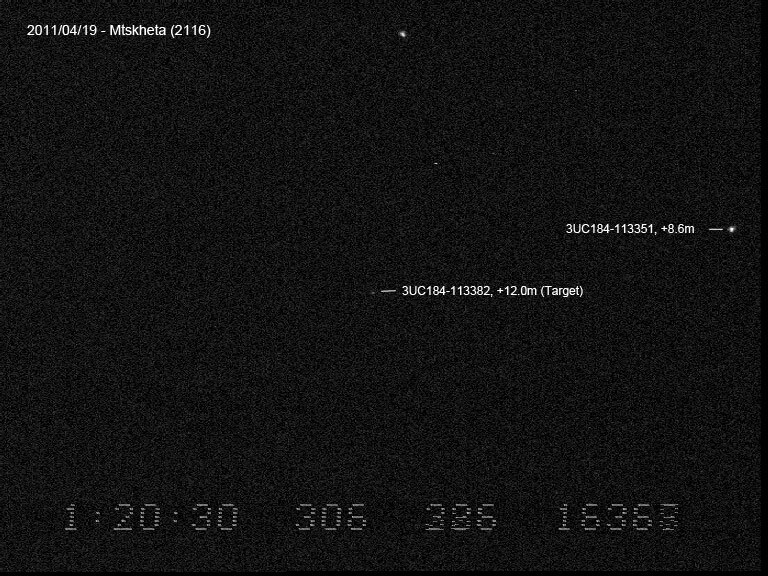 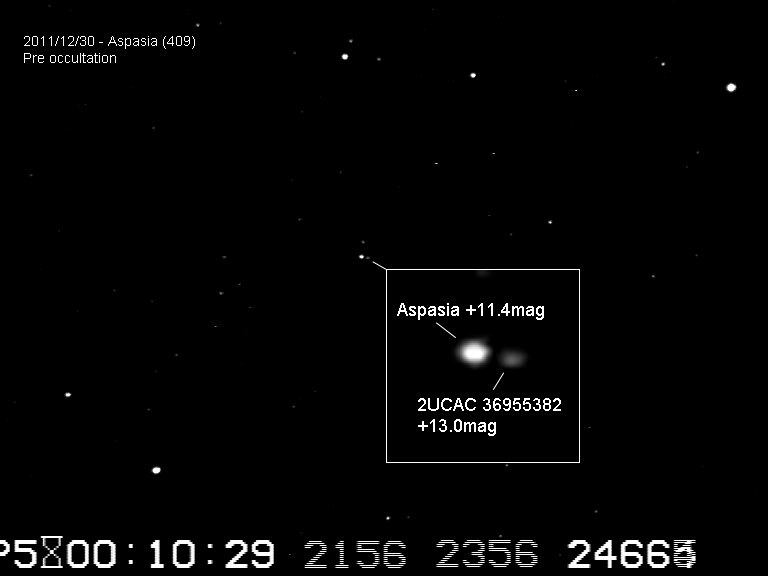 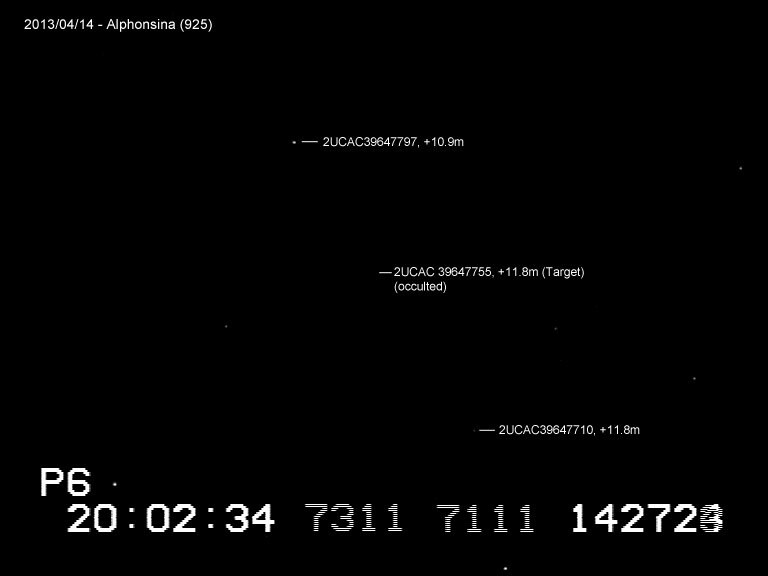 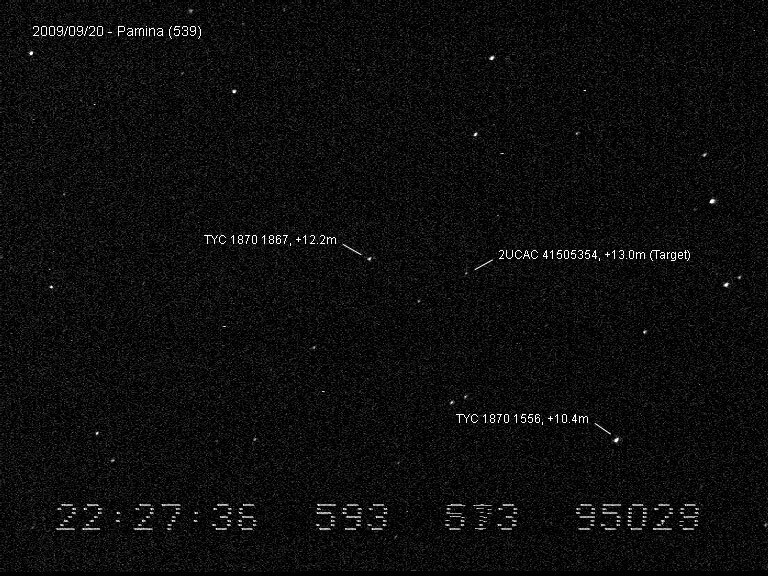 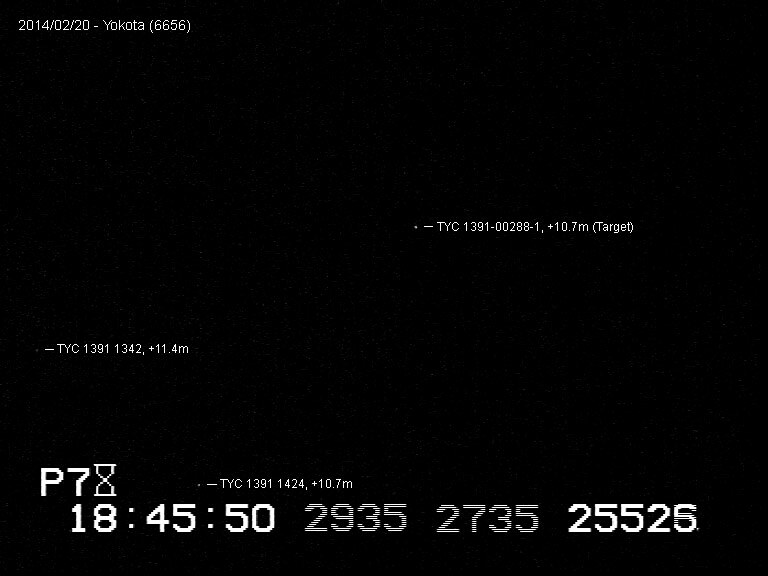 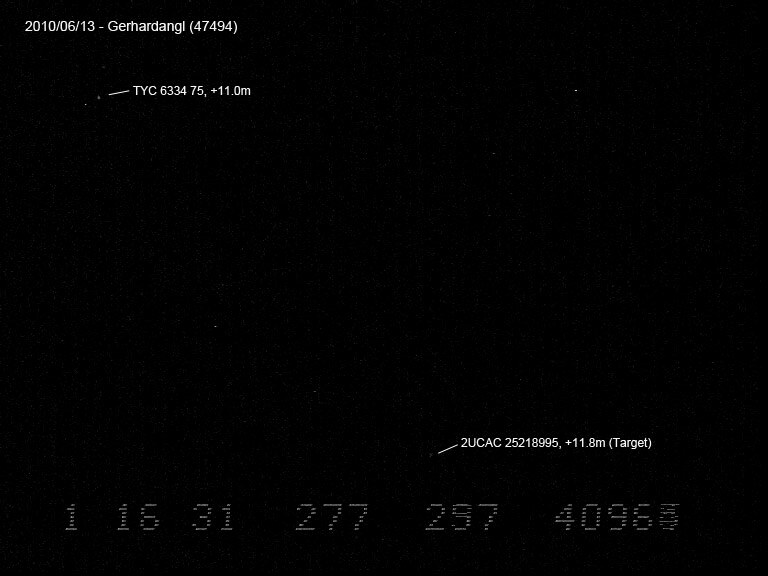 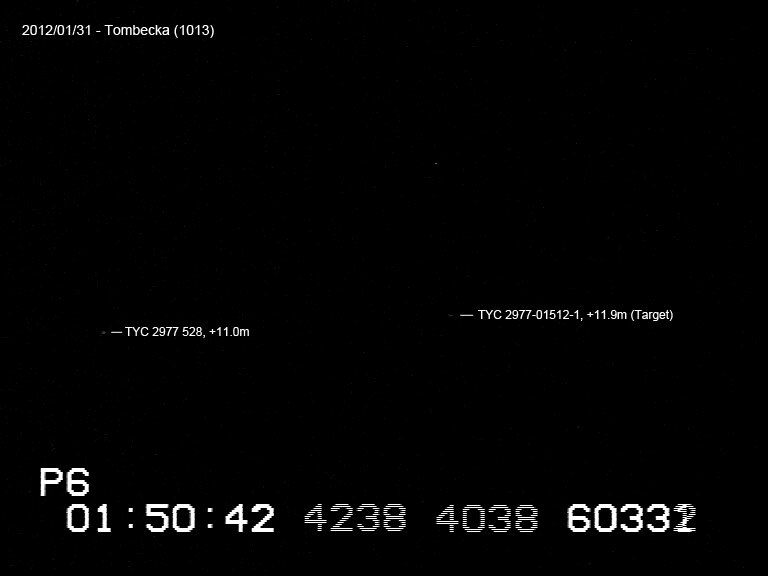 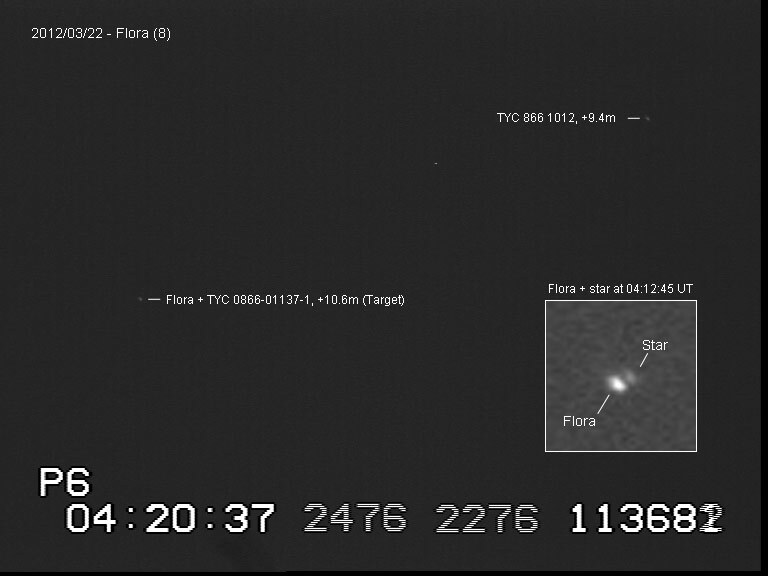 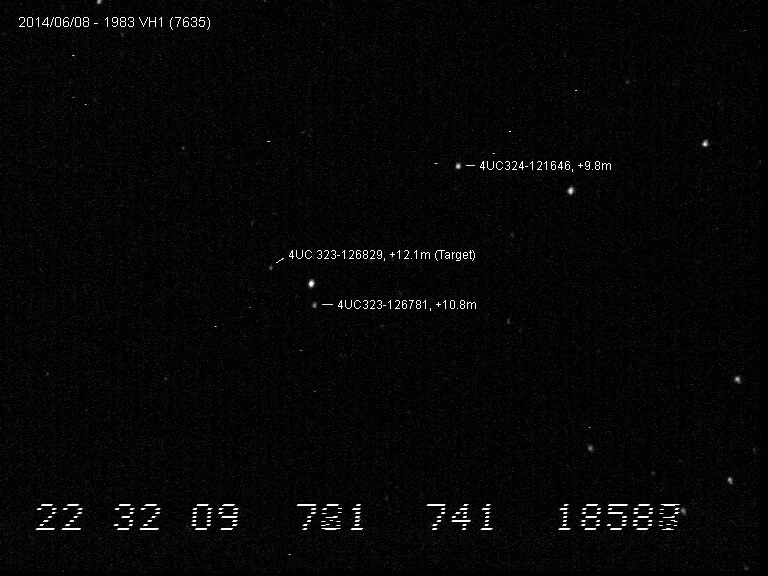 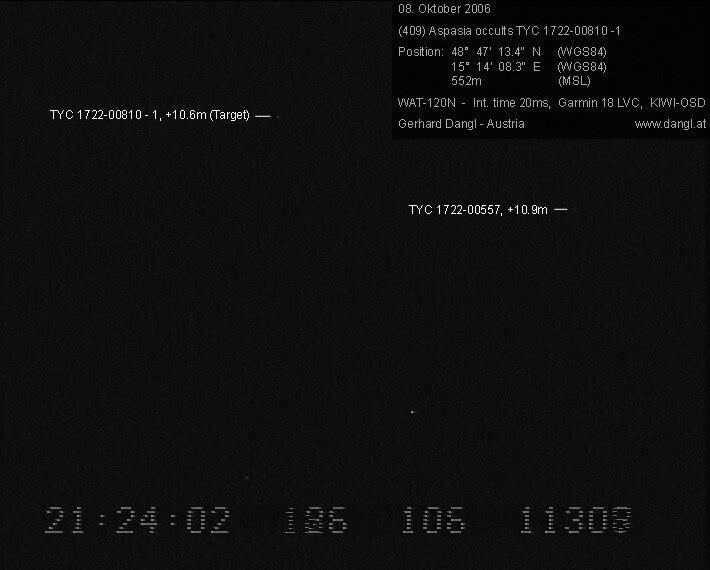 First positive asteroidal occultation ever recorded on video in Austria! 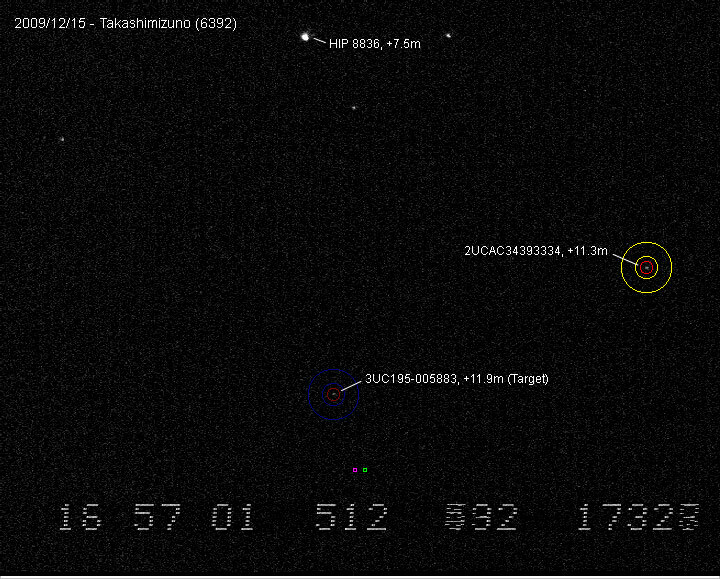 Many thanks to Kazuhisa Miyashita for creating the light measurement tool Limovie used for occultation video evaluation.